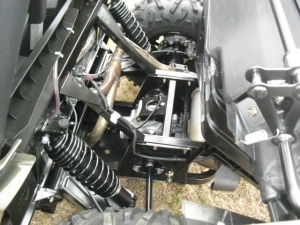 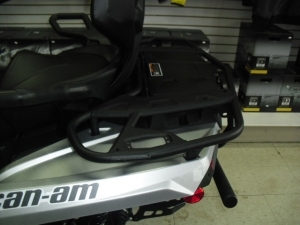 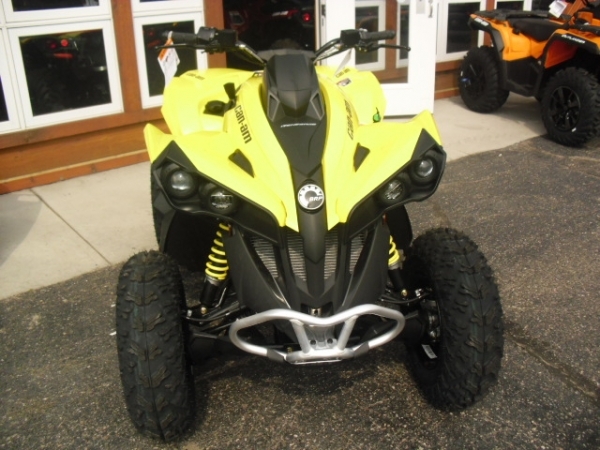 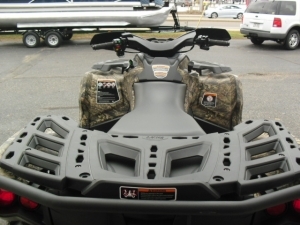 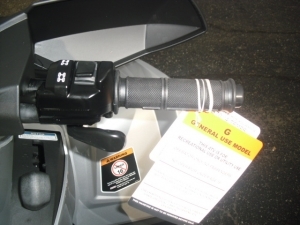 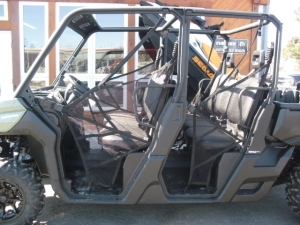 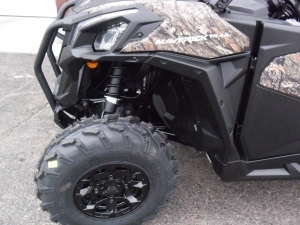 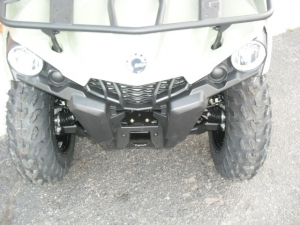 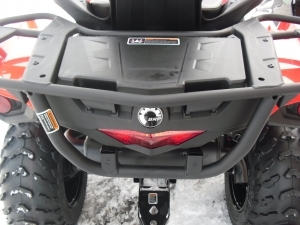 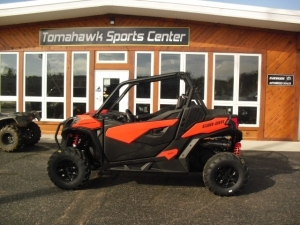 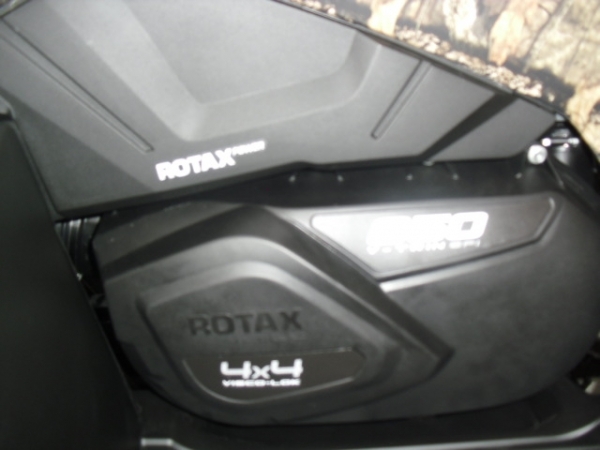 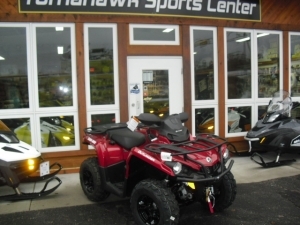 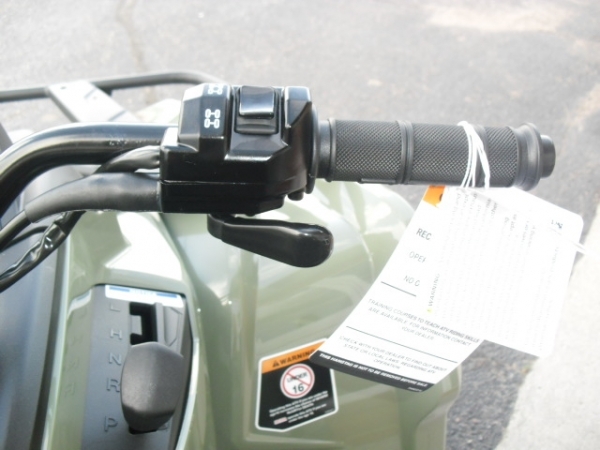 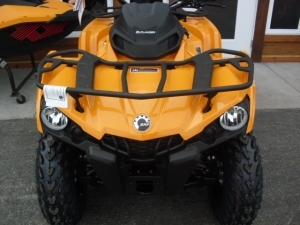 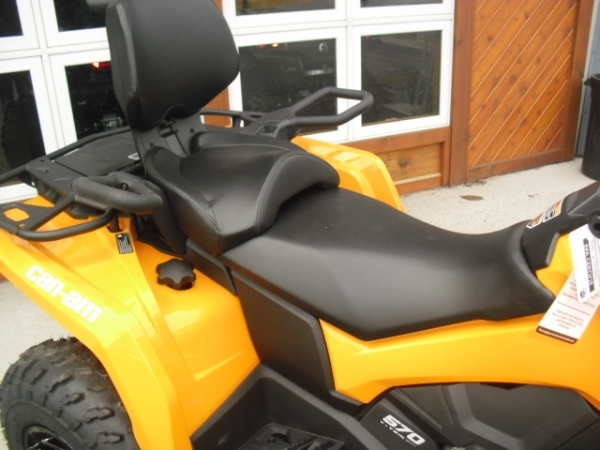 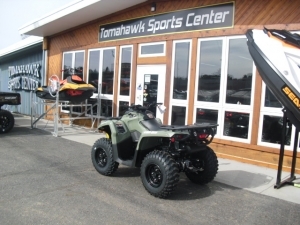 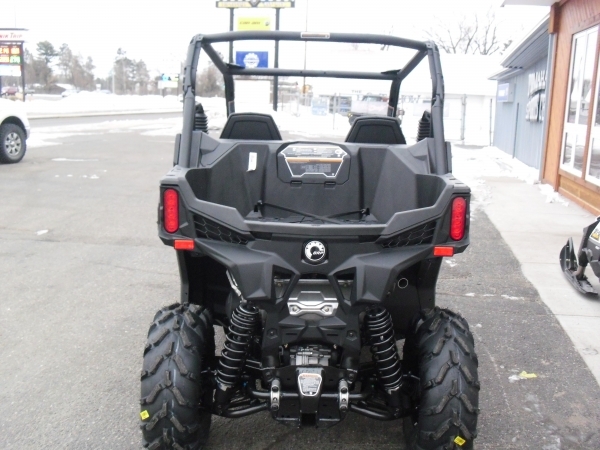 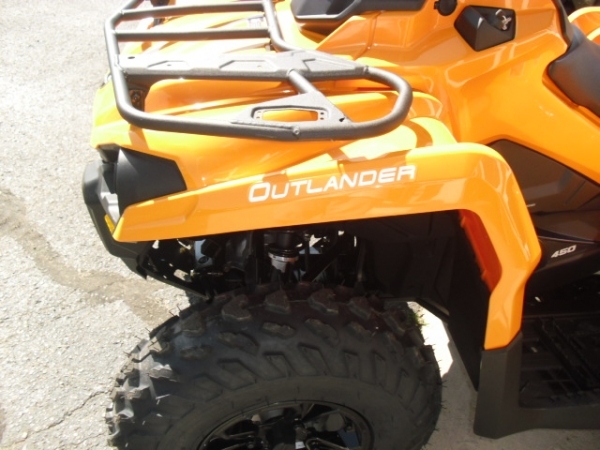 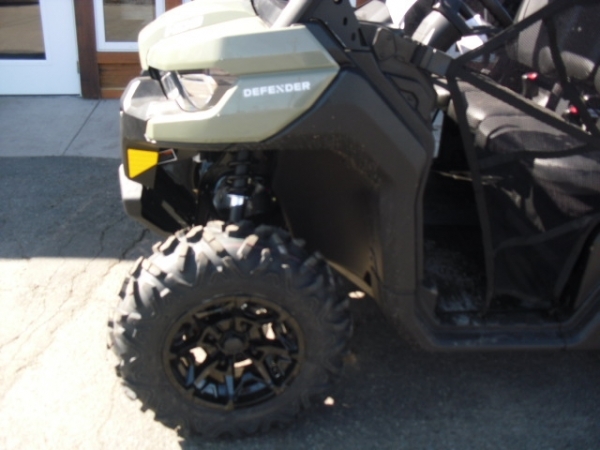 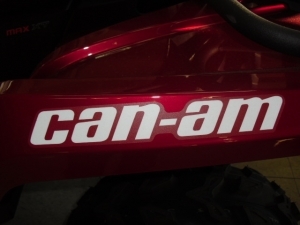 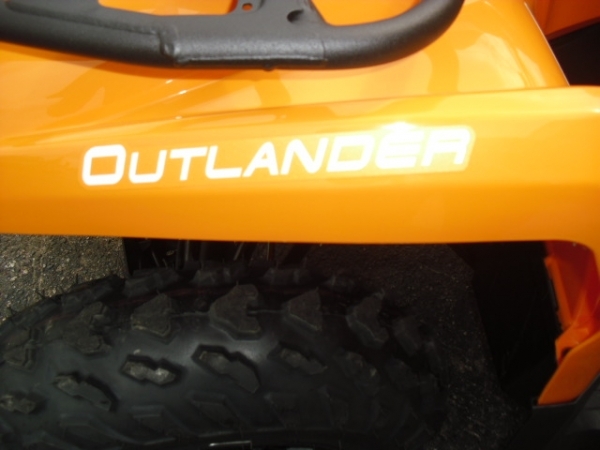 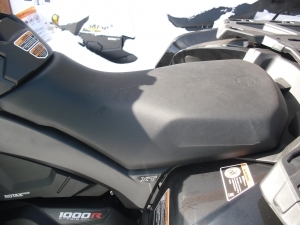 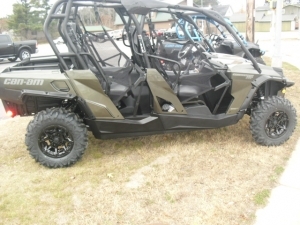 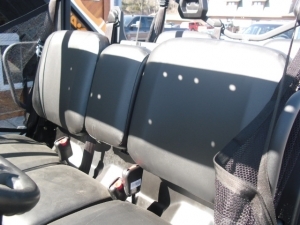 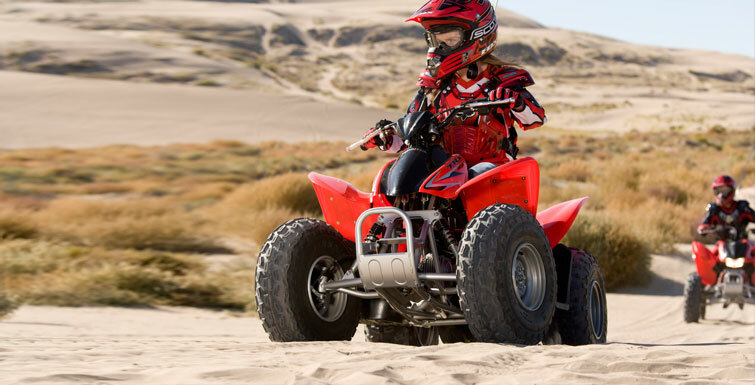 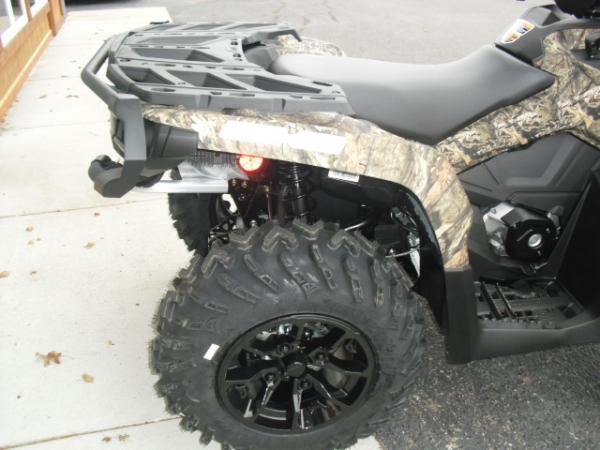 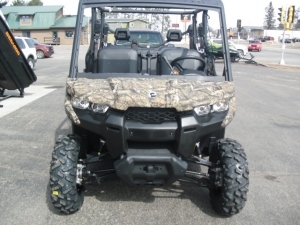 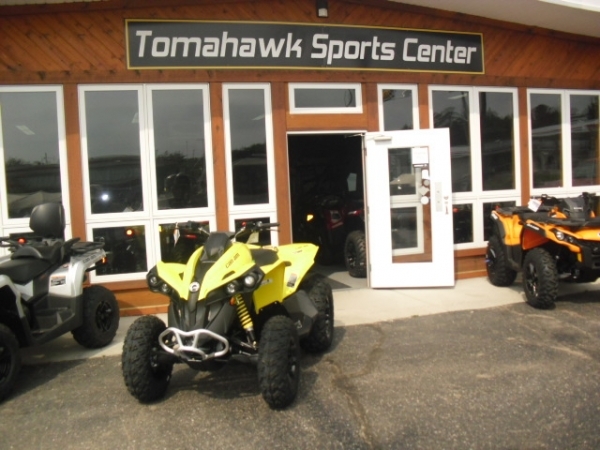 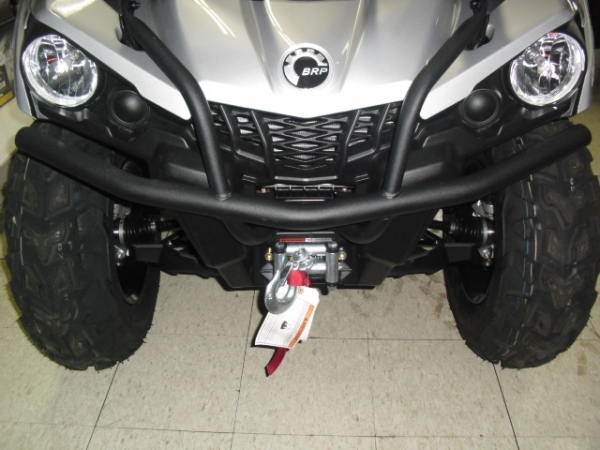 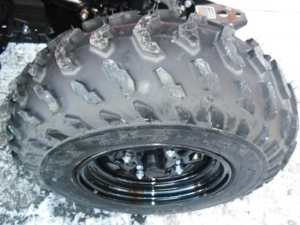 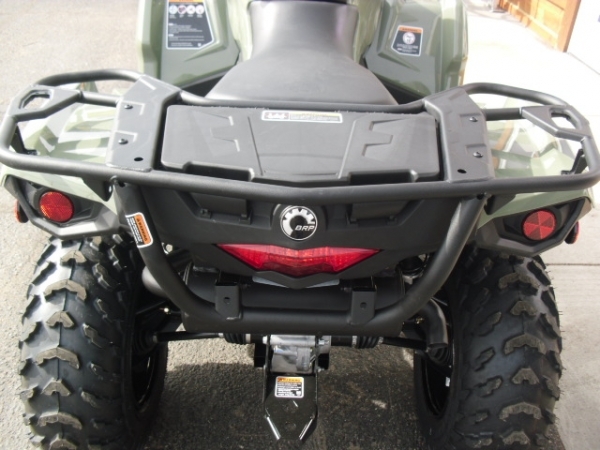 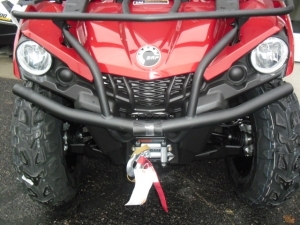 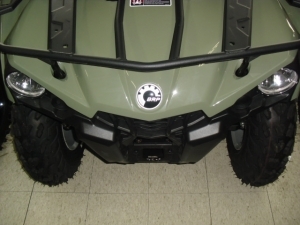 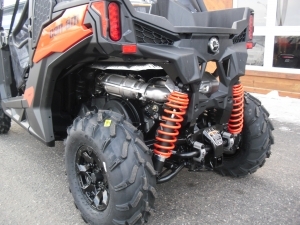 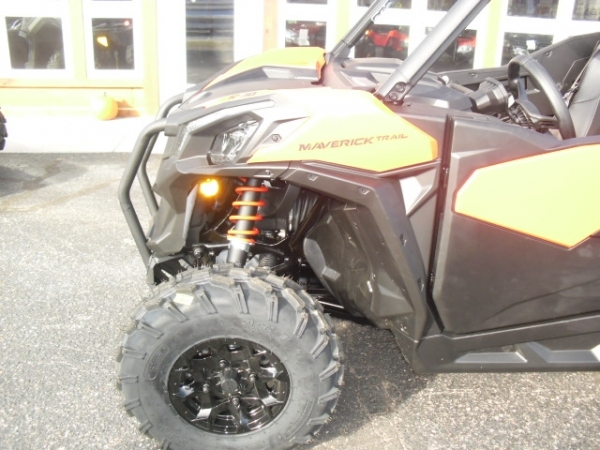 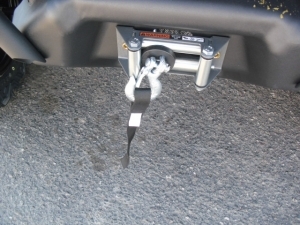 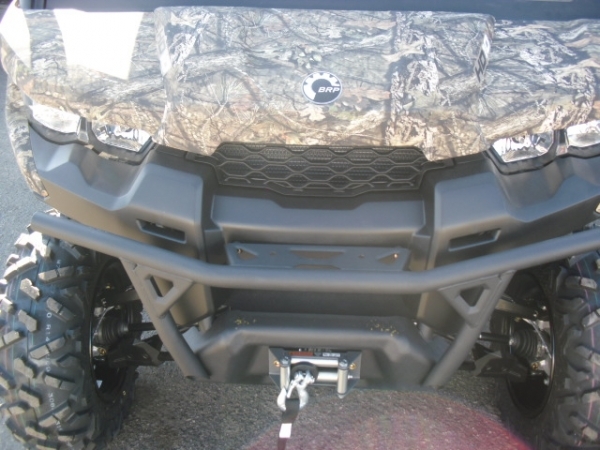 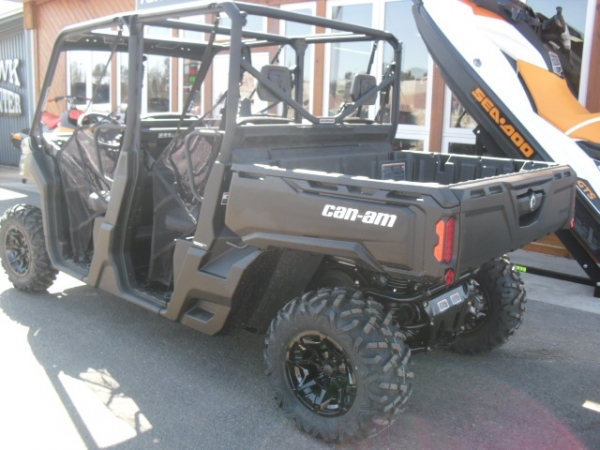 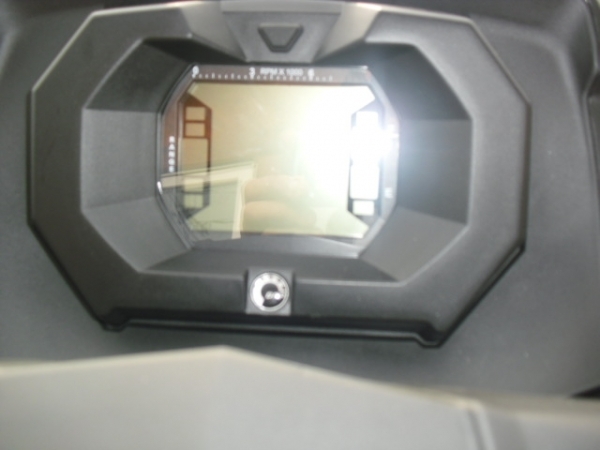 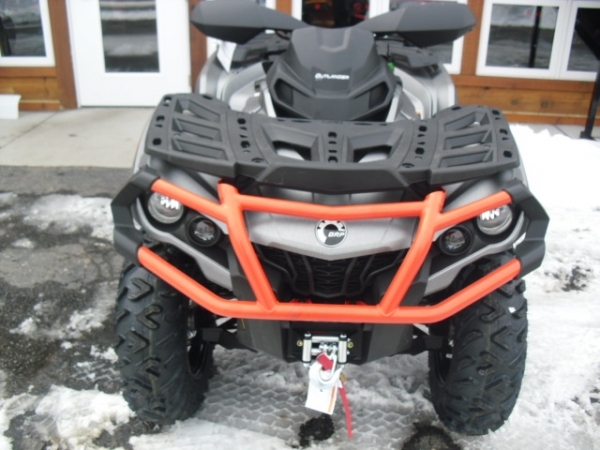 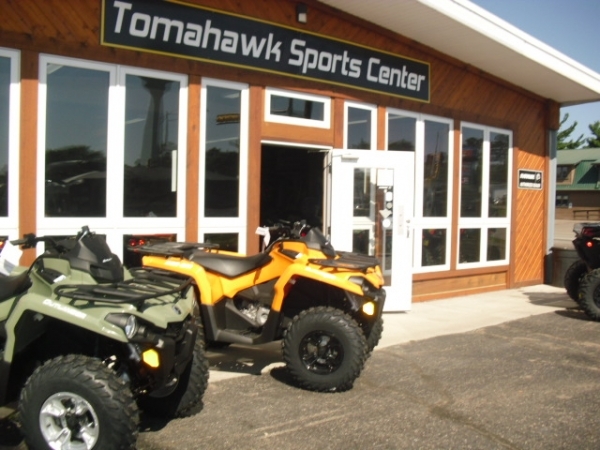 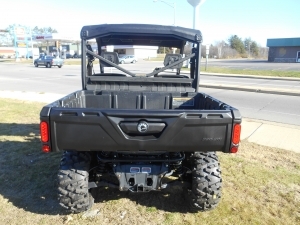 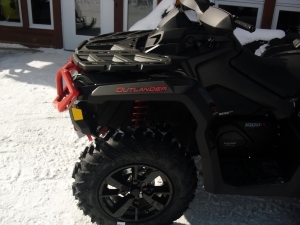 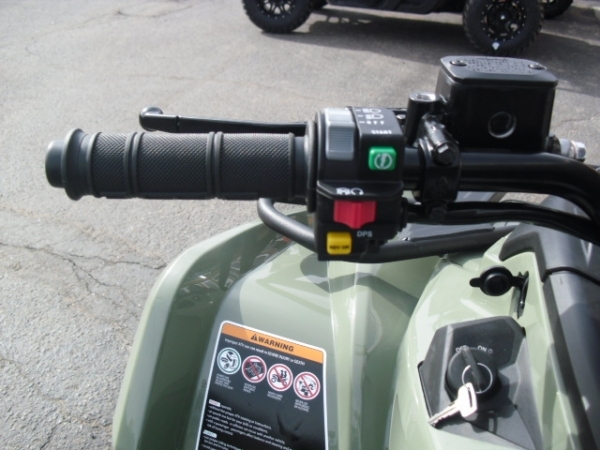 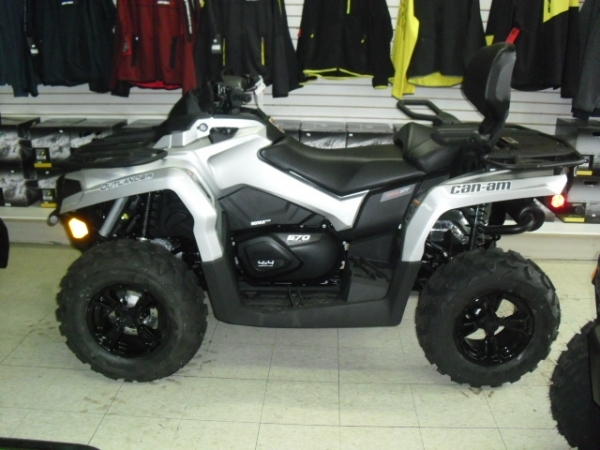 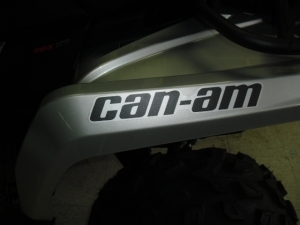 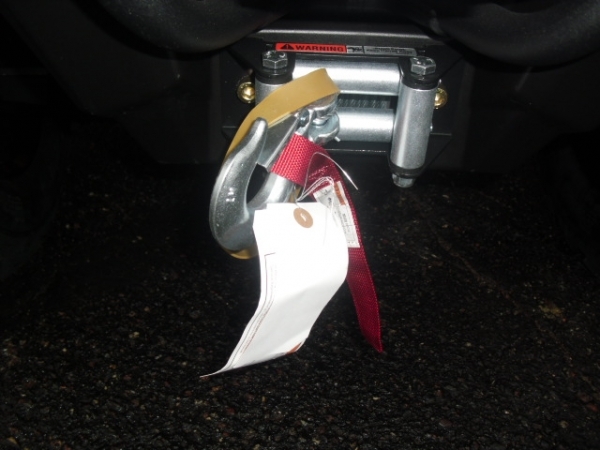 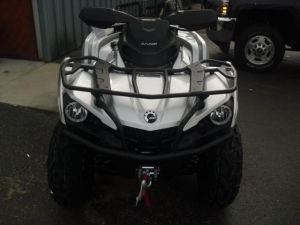 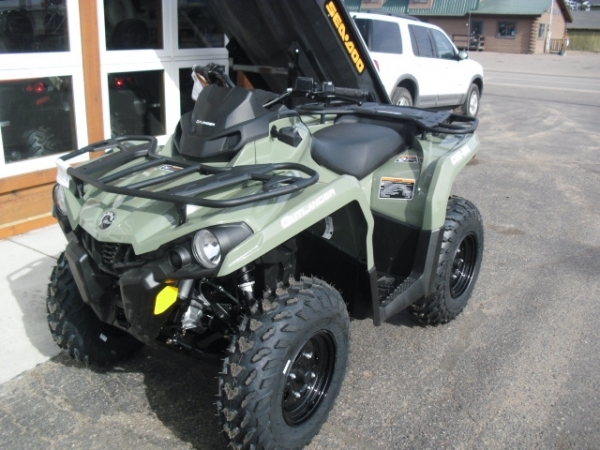 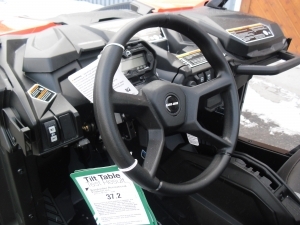 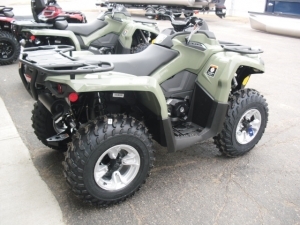 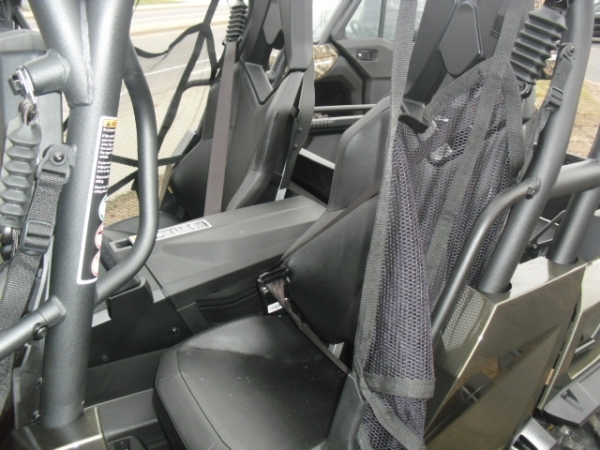 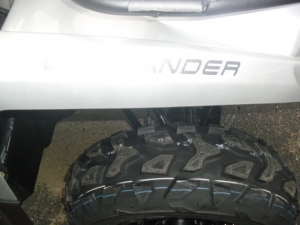 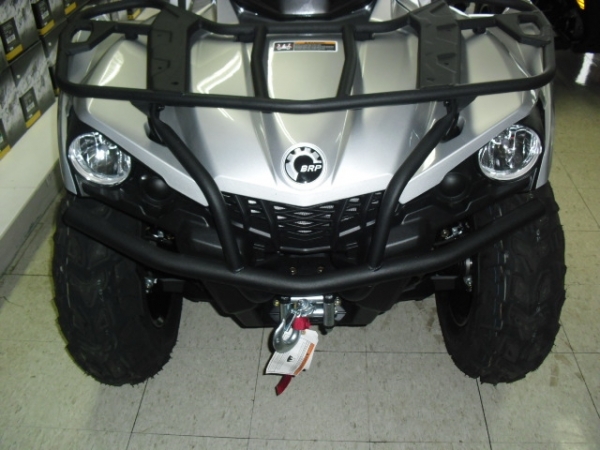 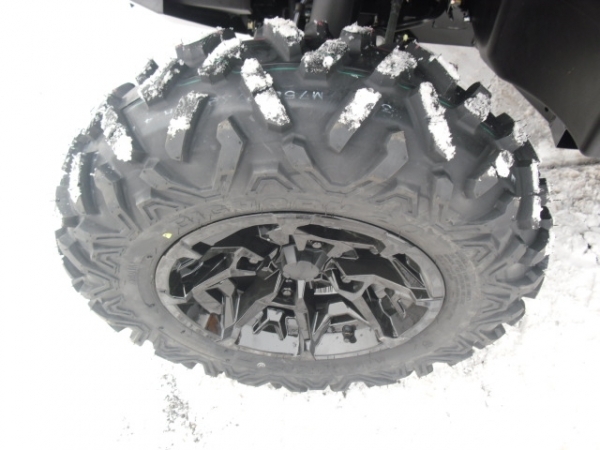 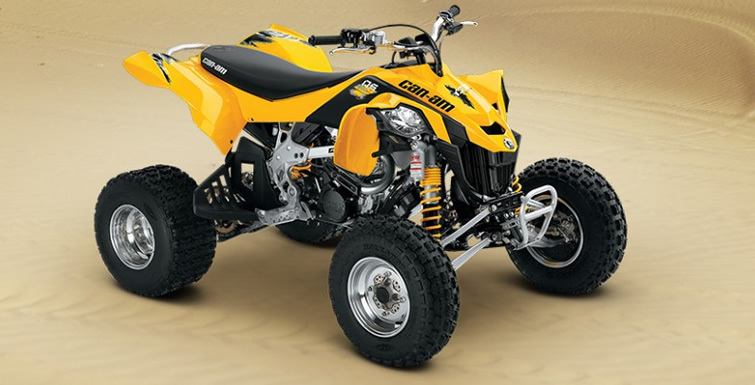 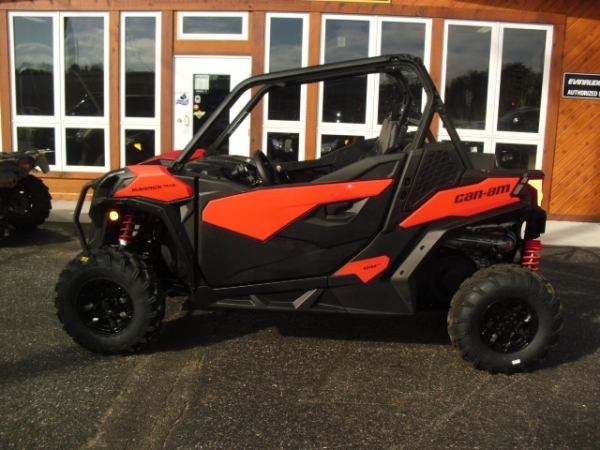 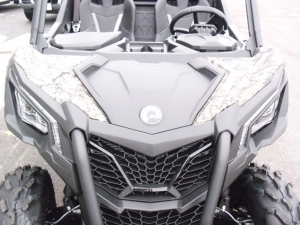 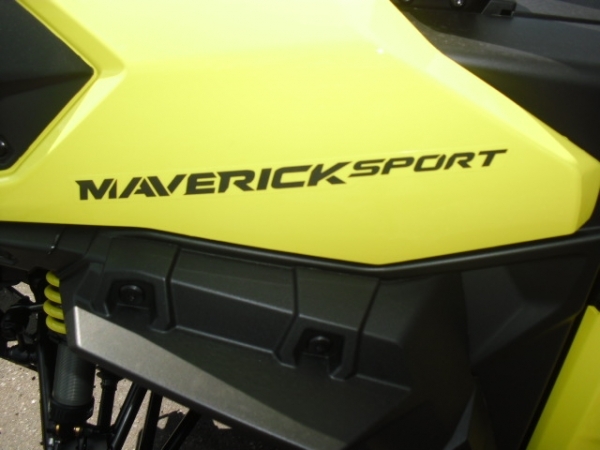 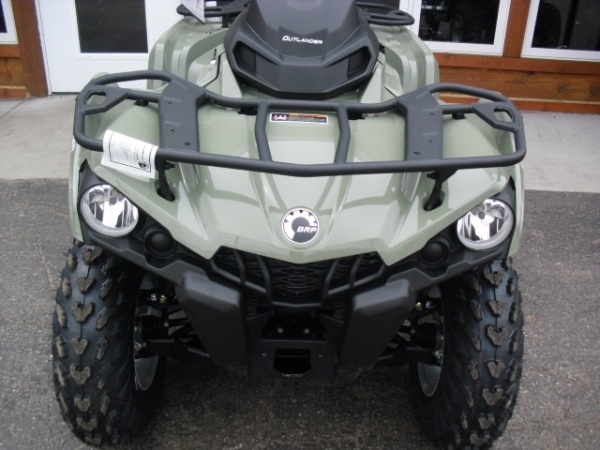 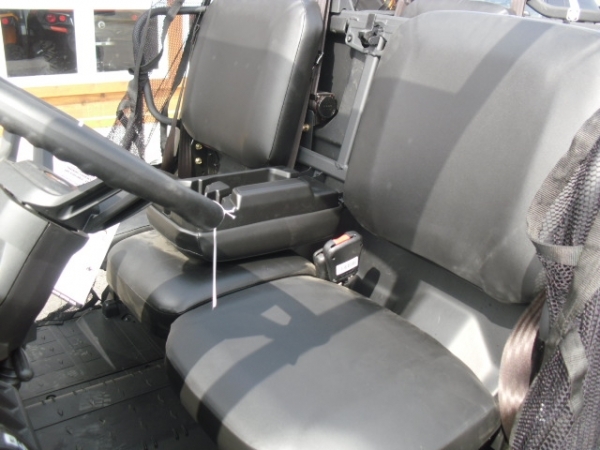 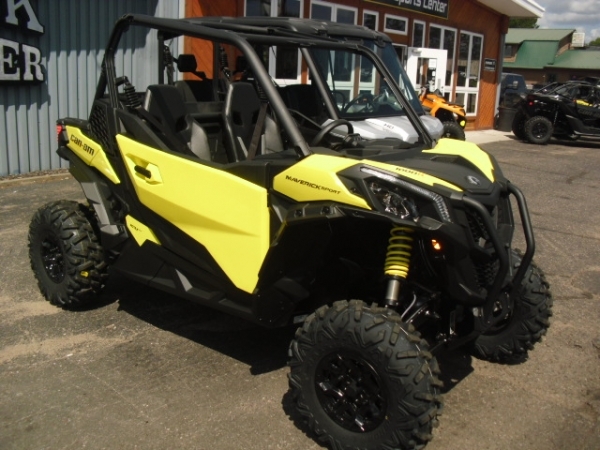 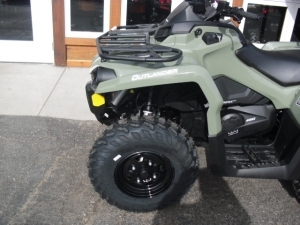 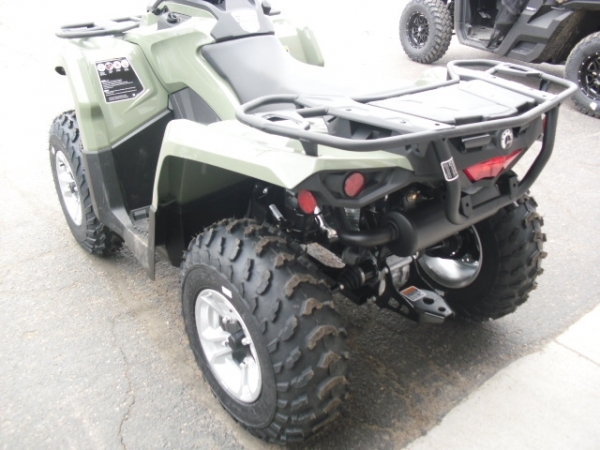 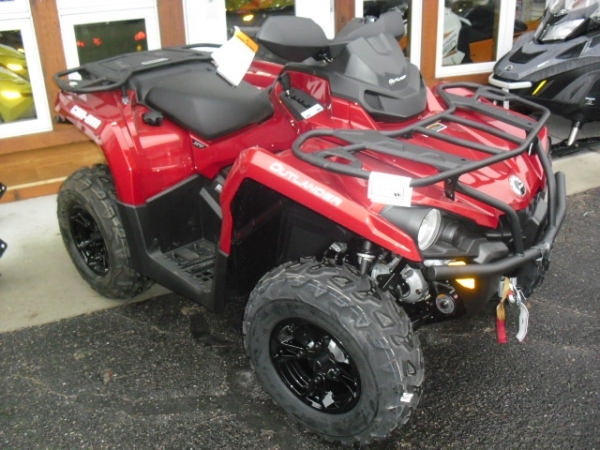 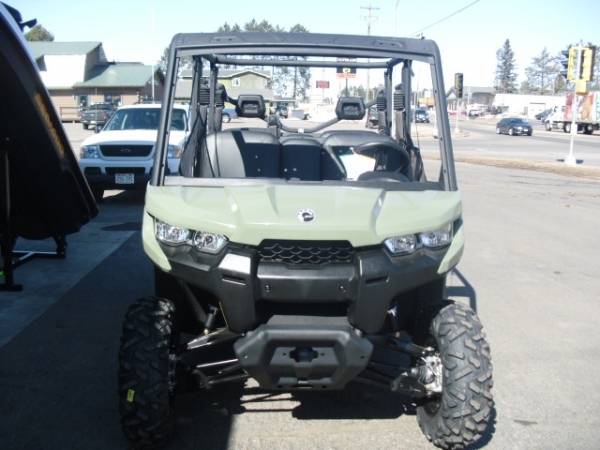 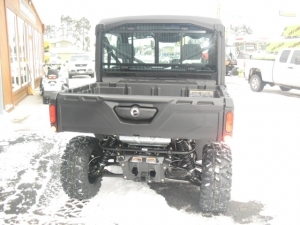 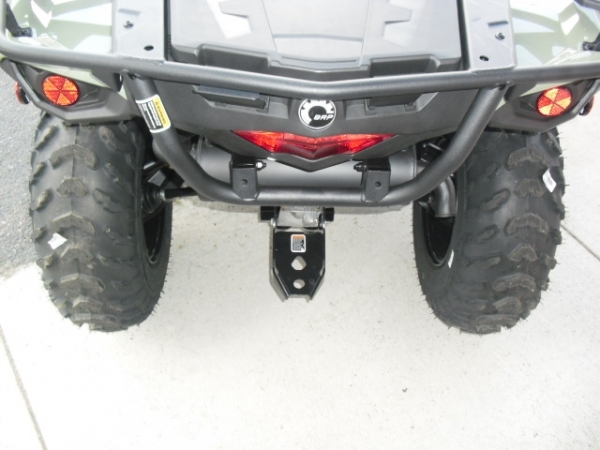 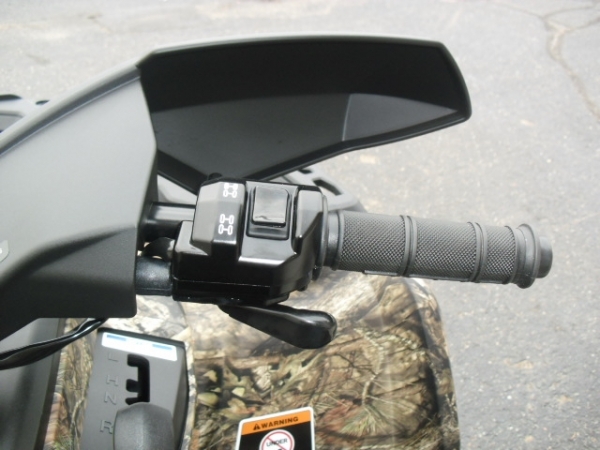 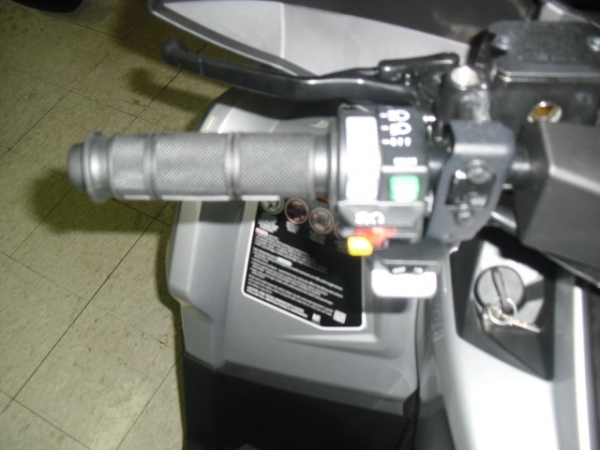 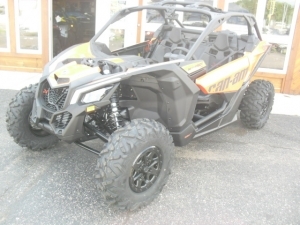 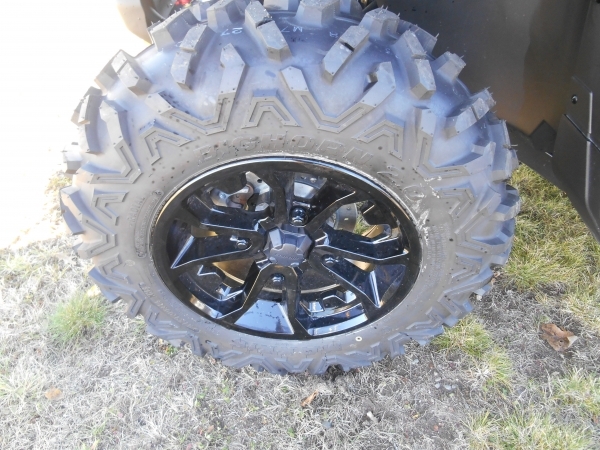 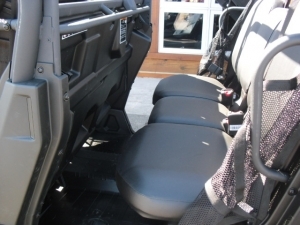 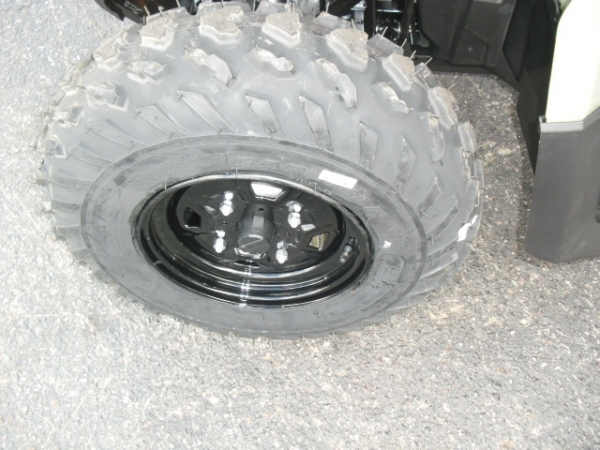 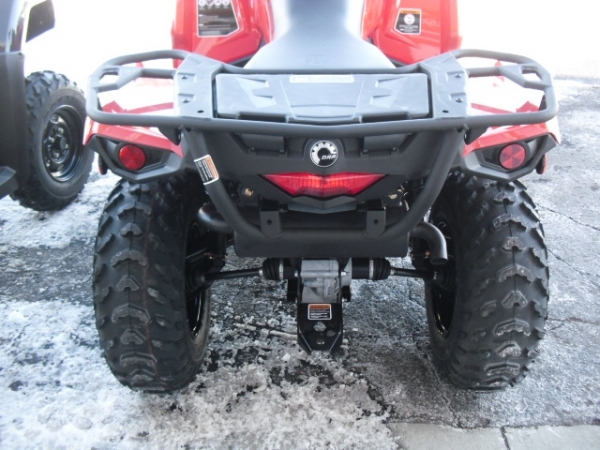 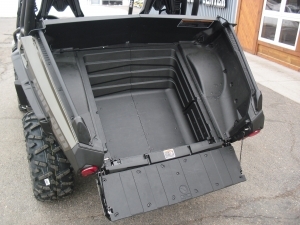 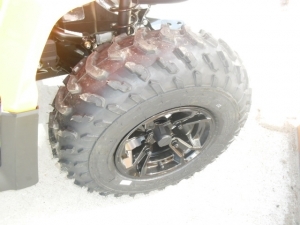 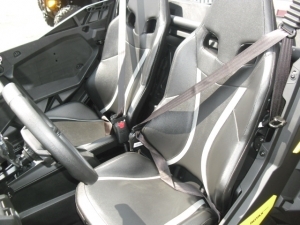 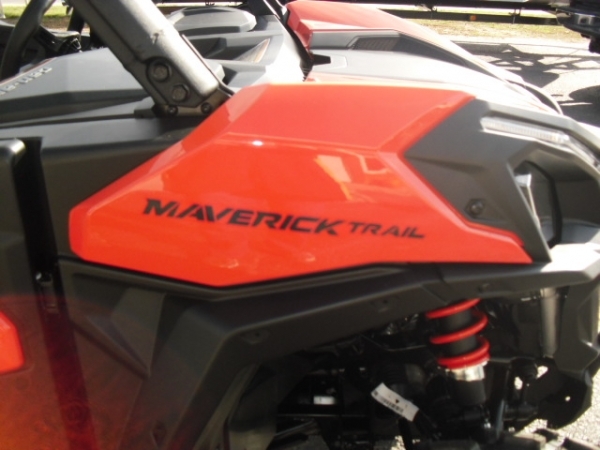 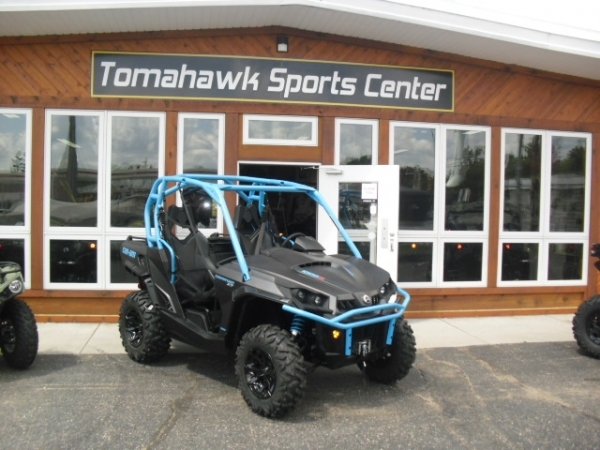 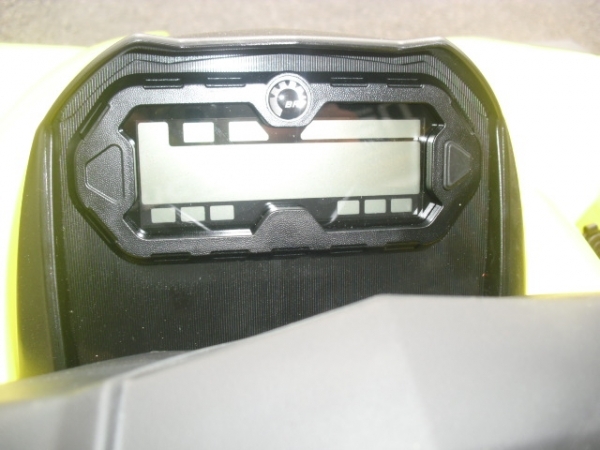 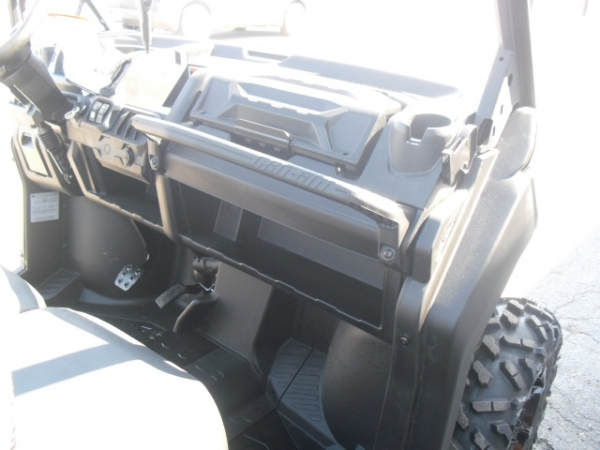 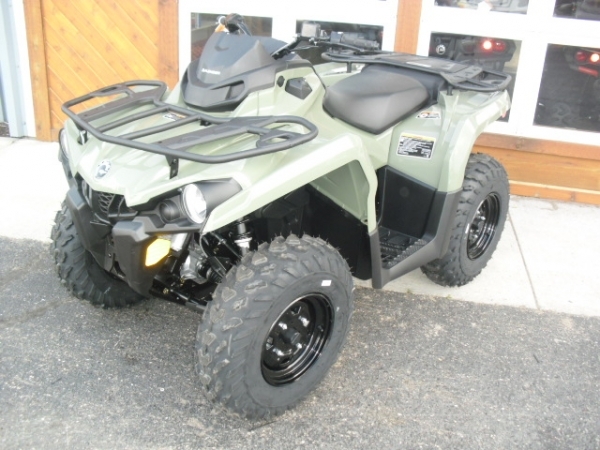 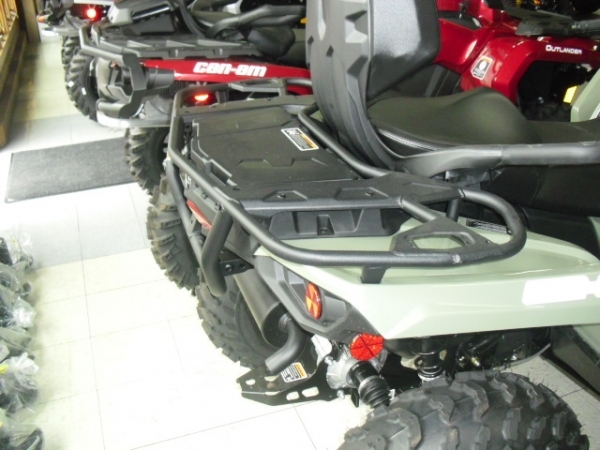 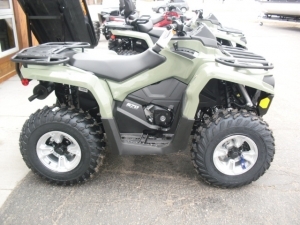 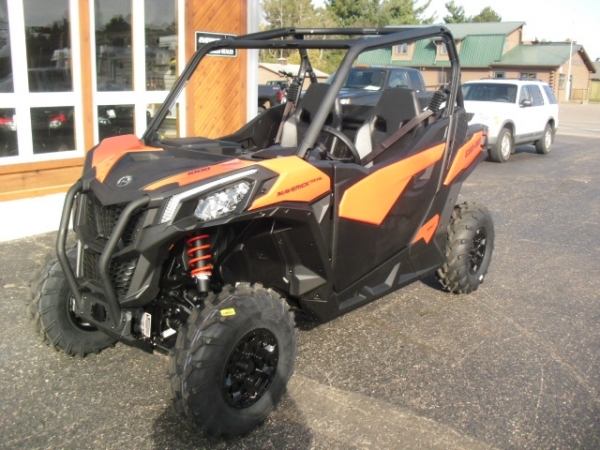 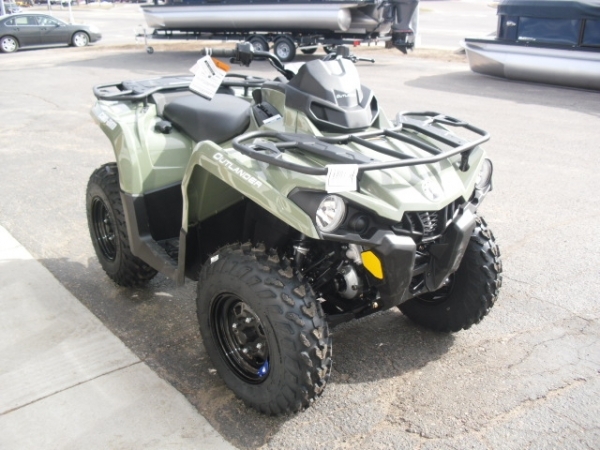 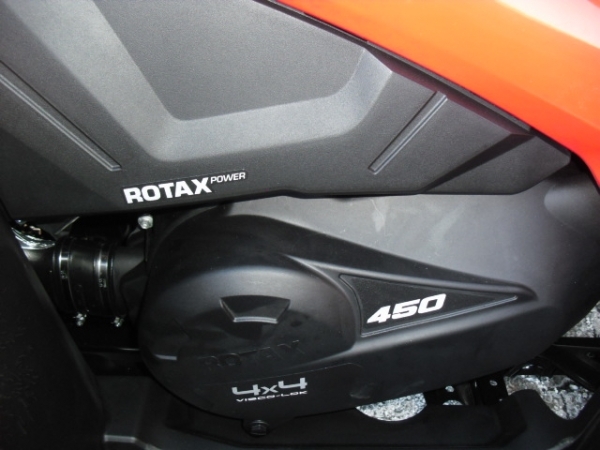 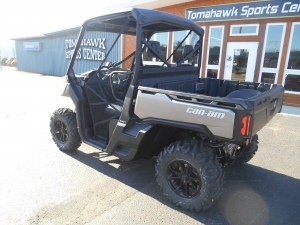 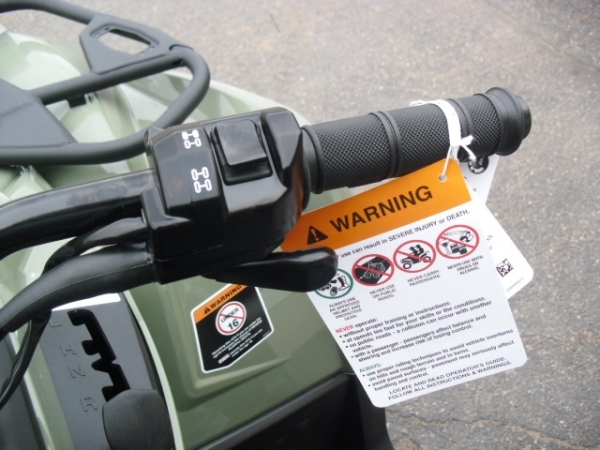 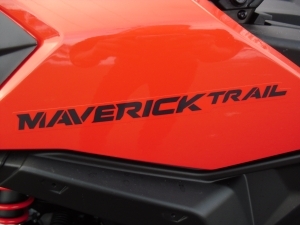 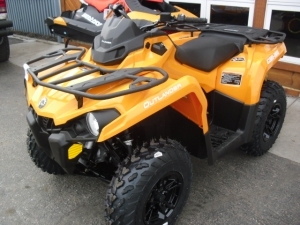 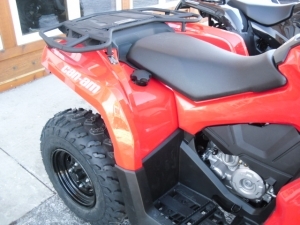 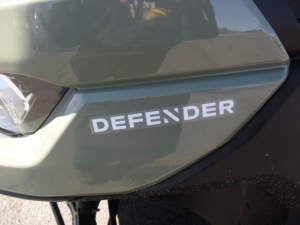 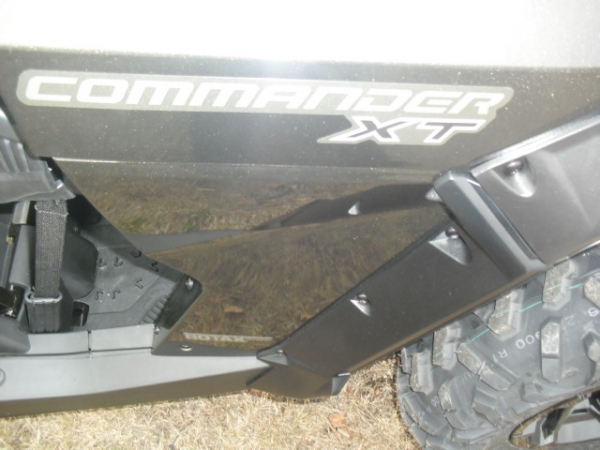 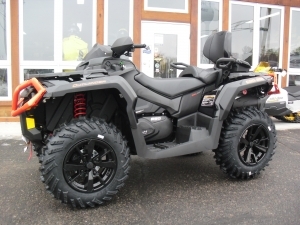 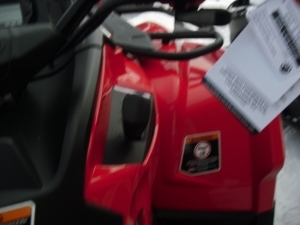 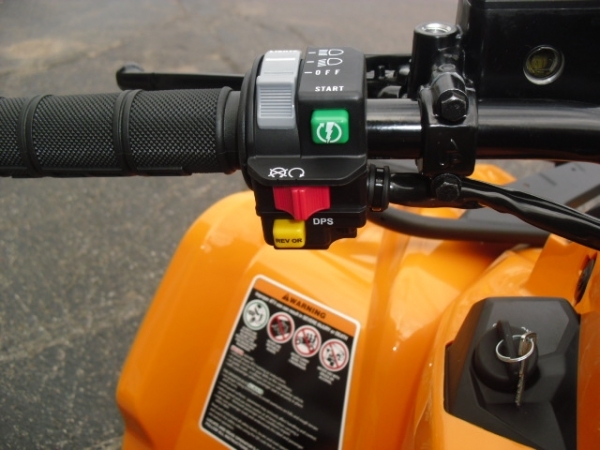 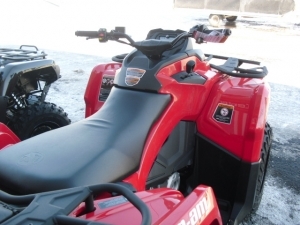 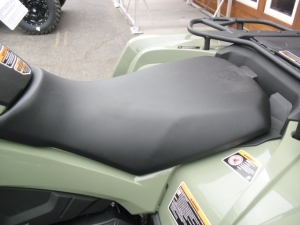 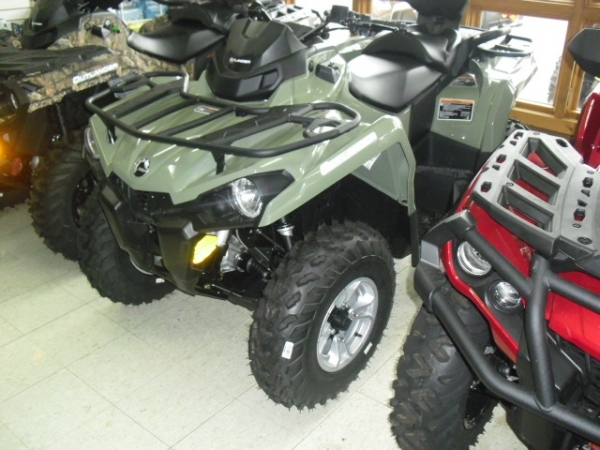 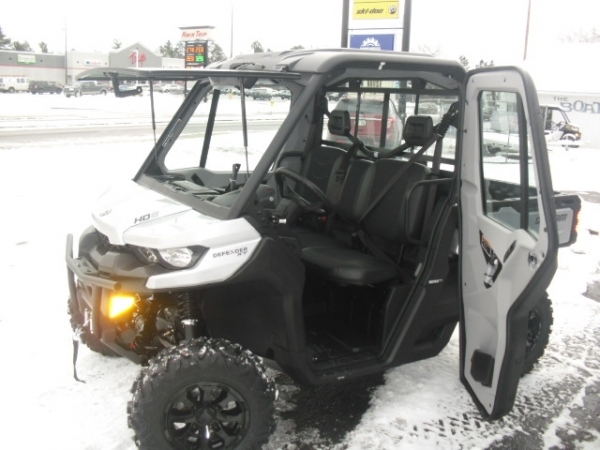 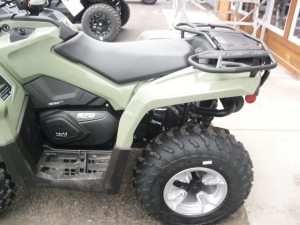 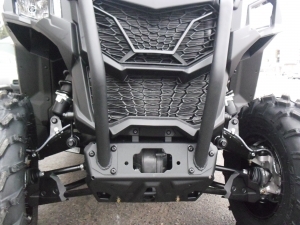 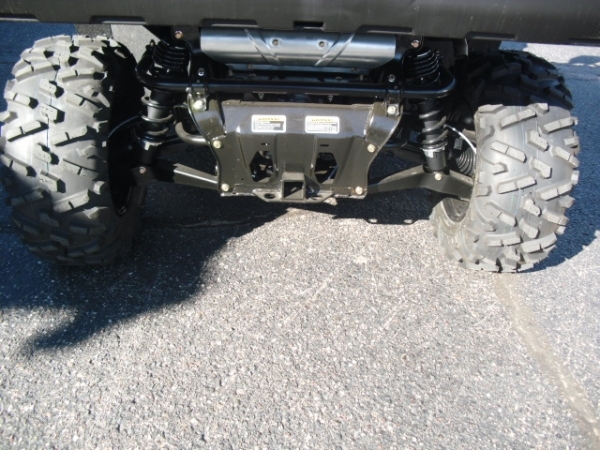 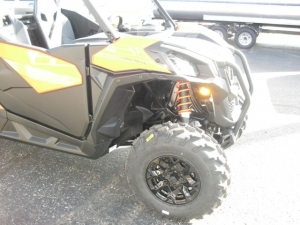 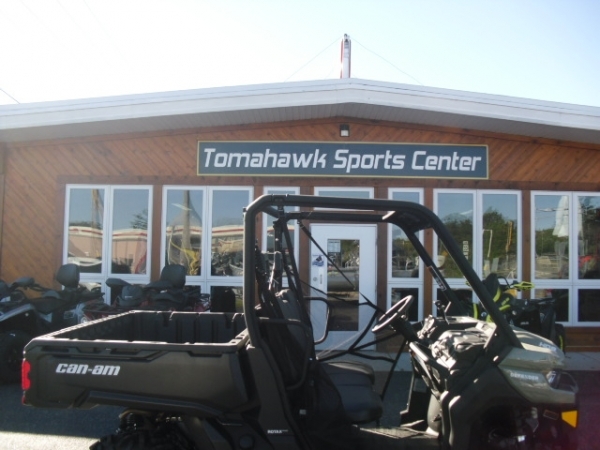 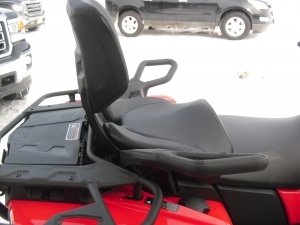 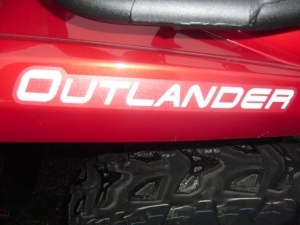 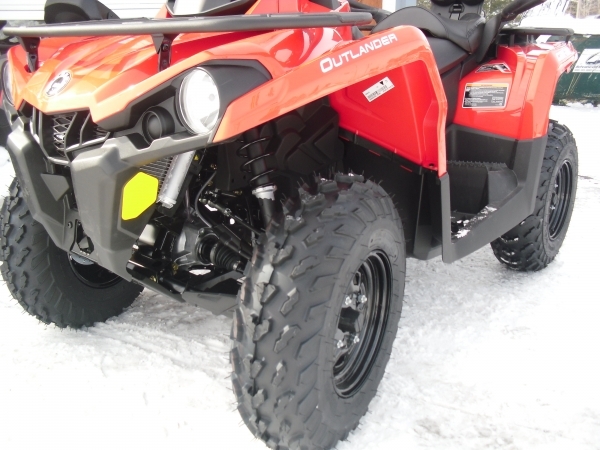 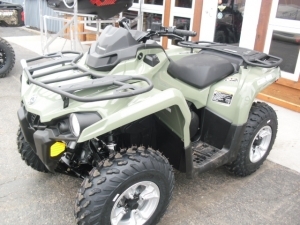 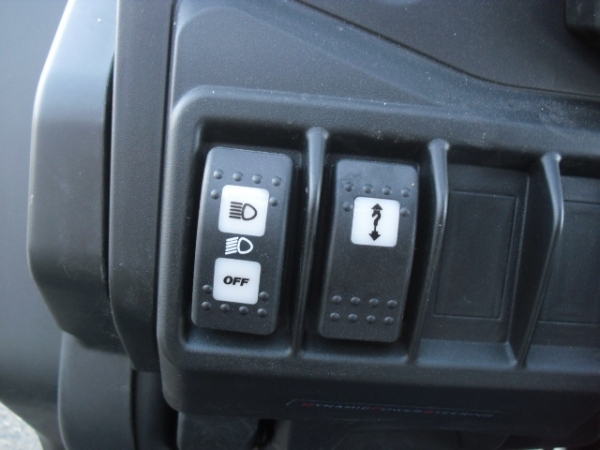 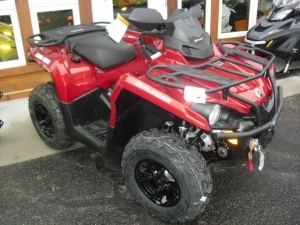 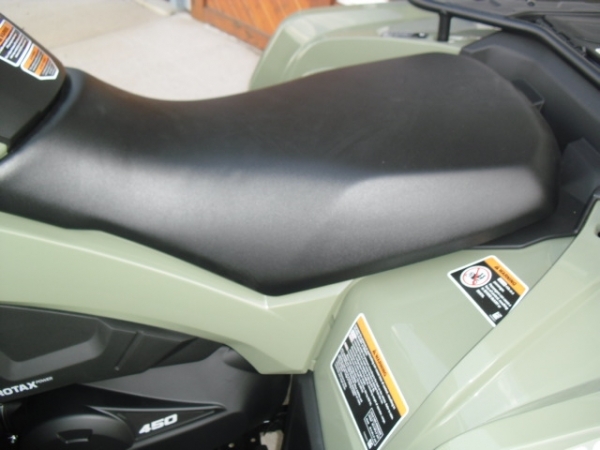 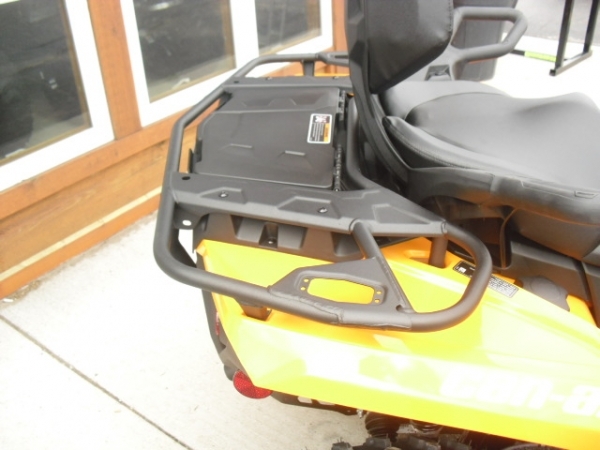 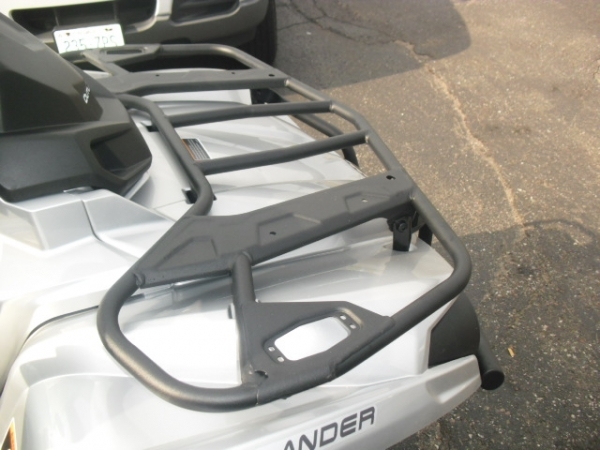 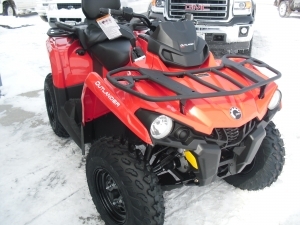 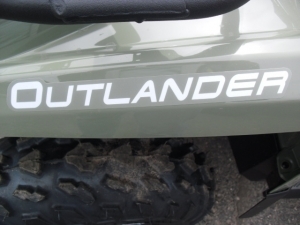 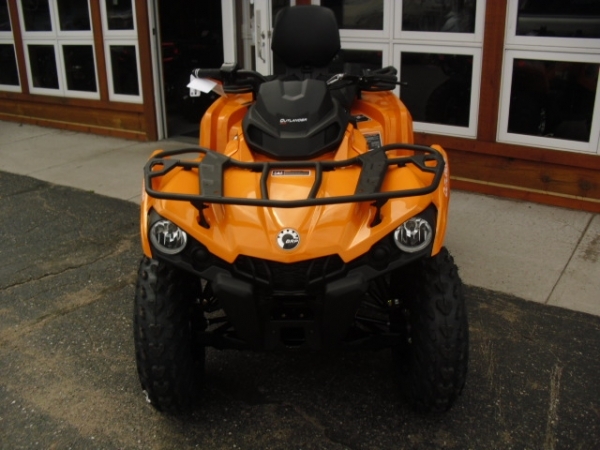 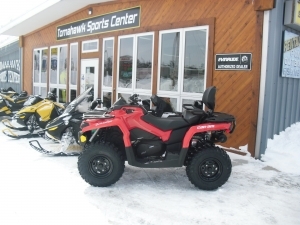 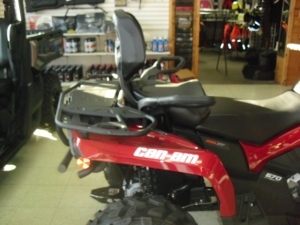 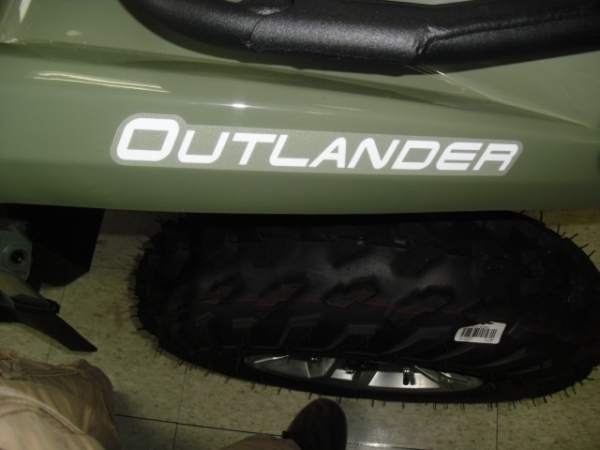 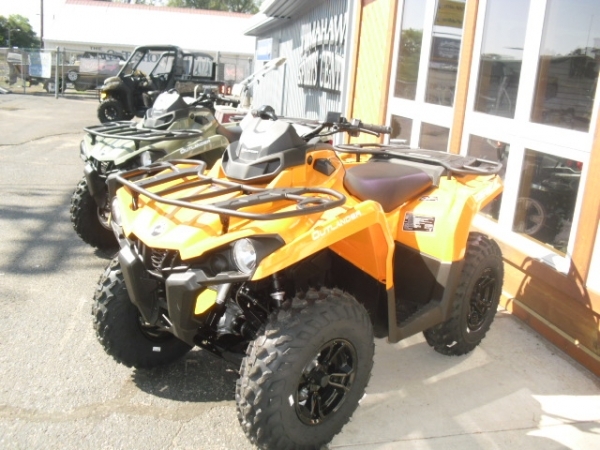 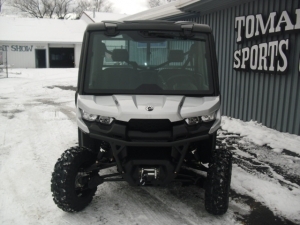 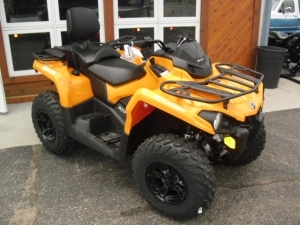 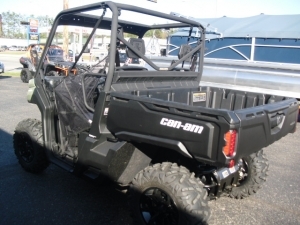 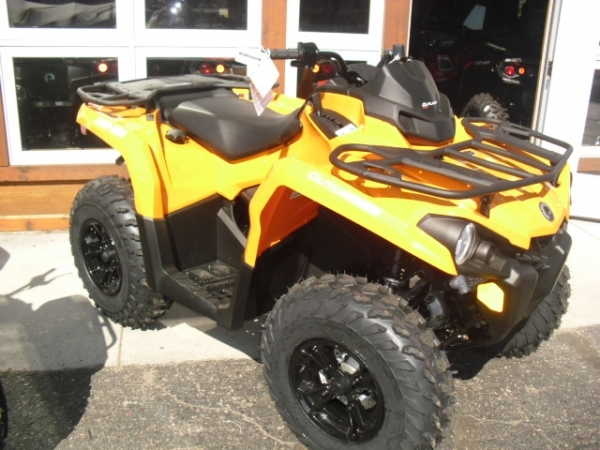 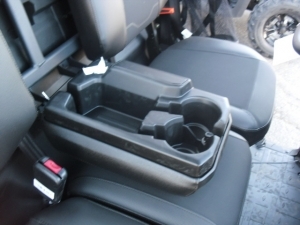 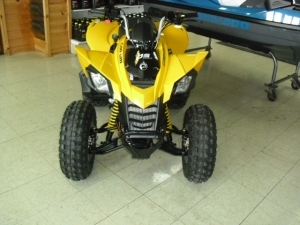 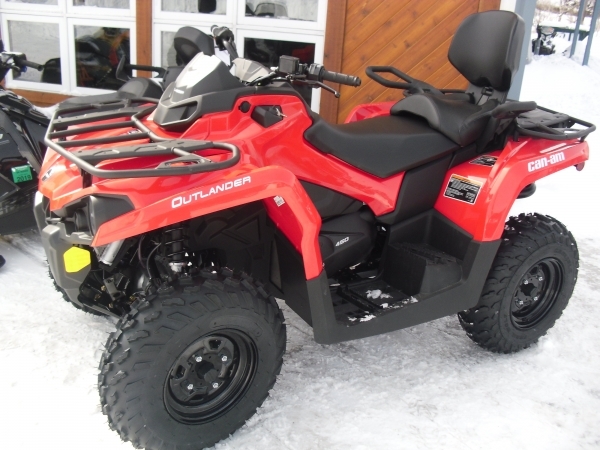 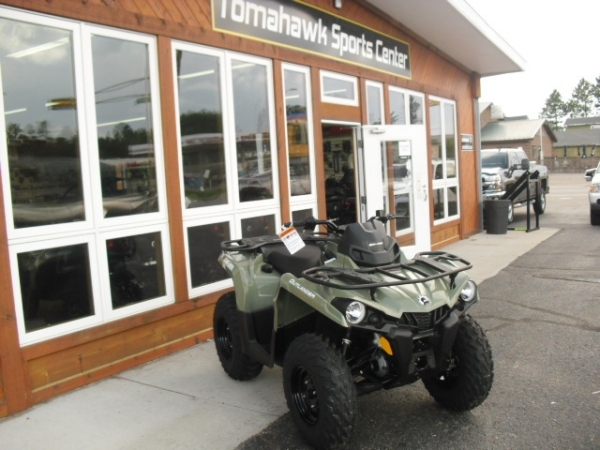 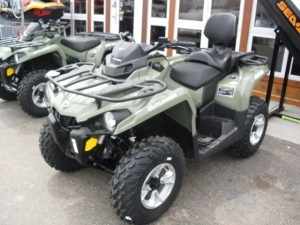 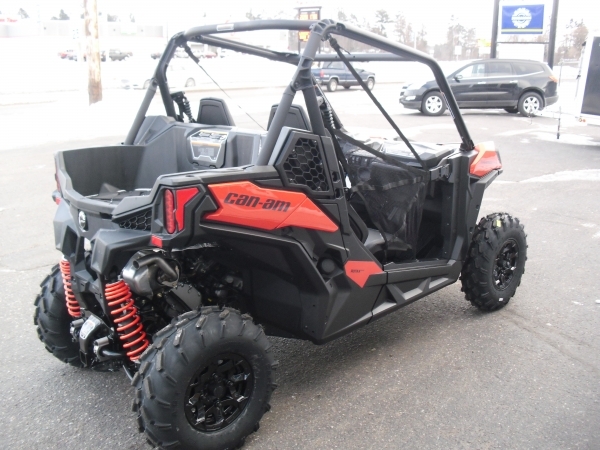 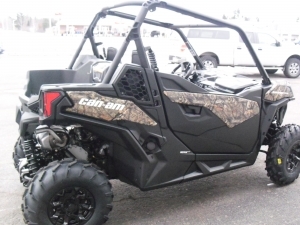 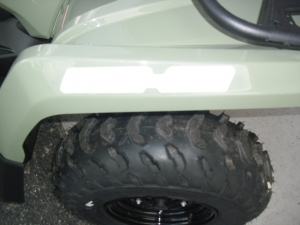 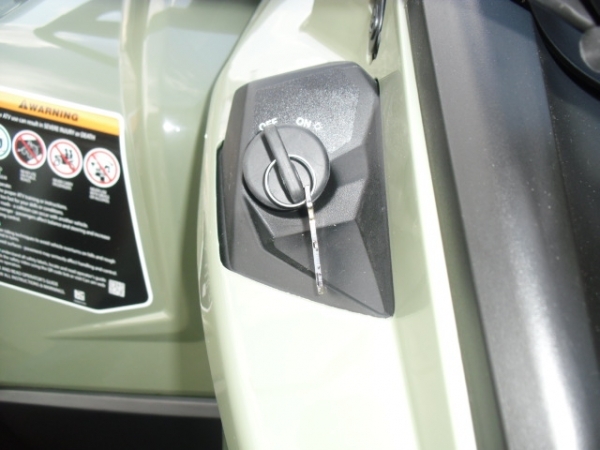 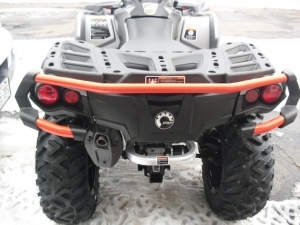 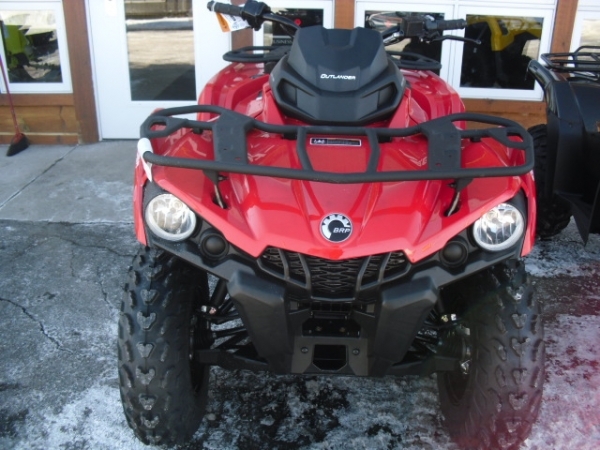 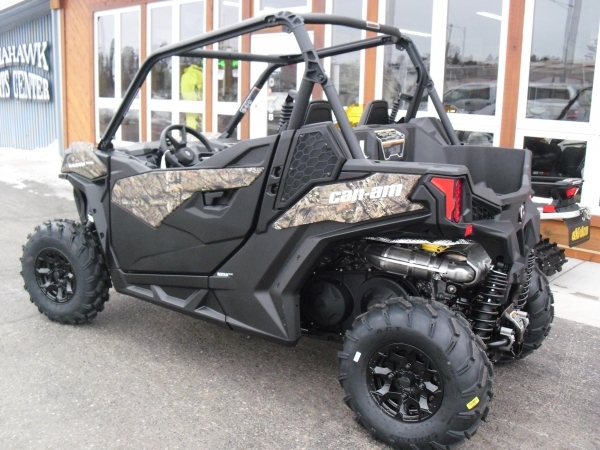 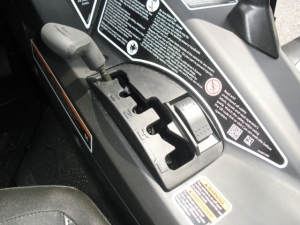 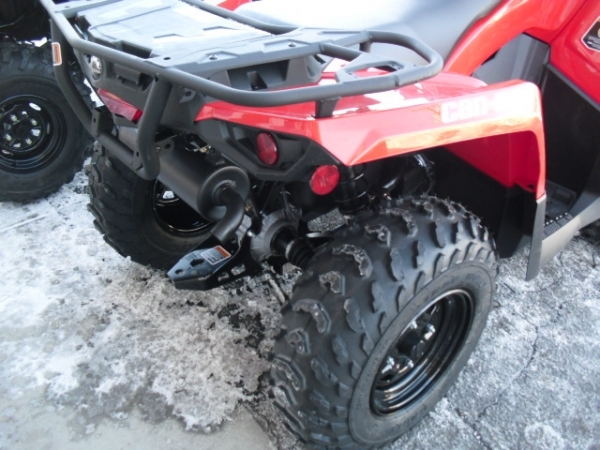 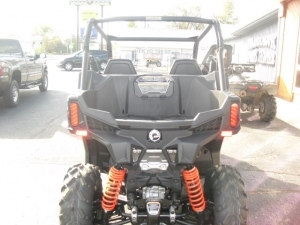 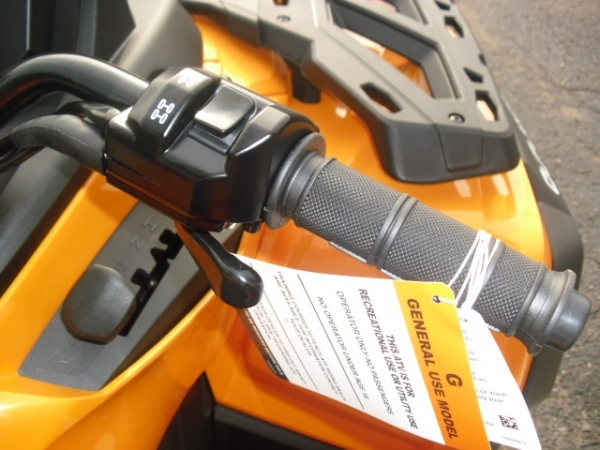 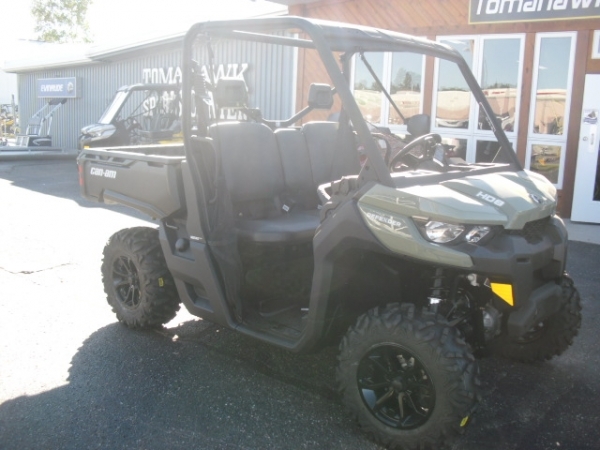 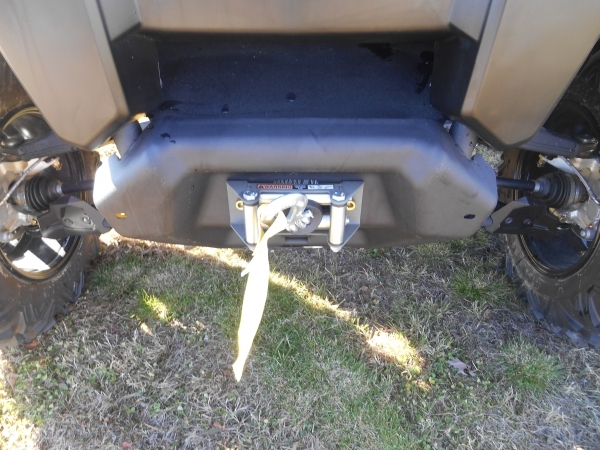 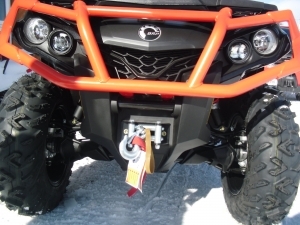 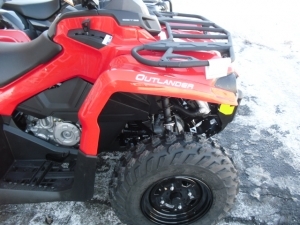 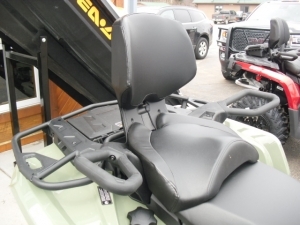 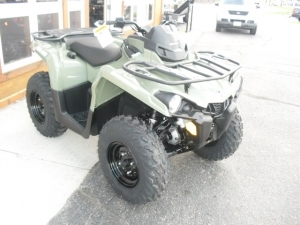 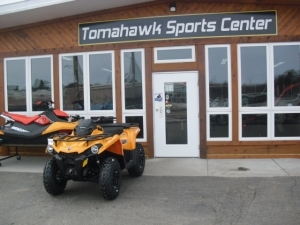 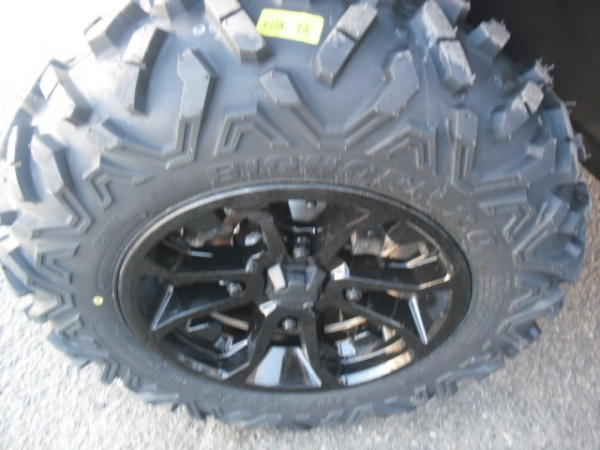 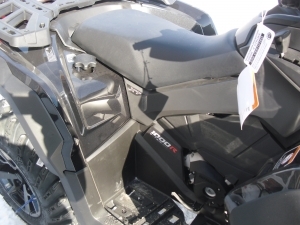 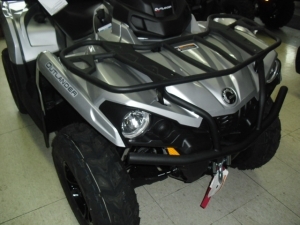 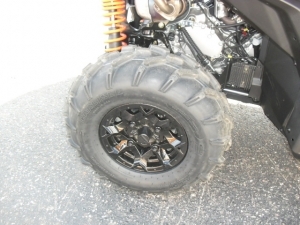 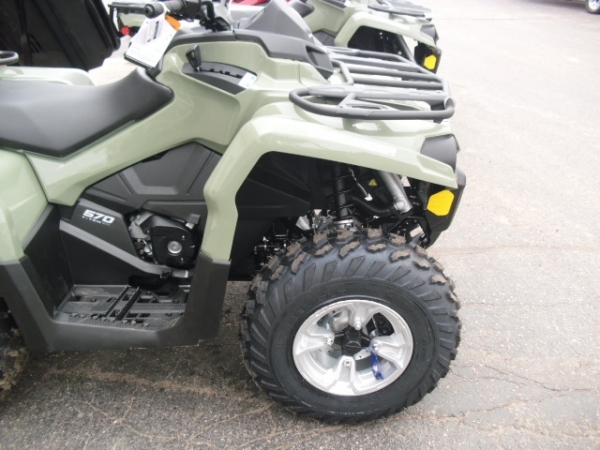 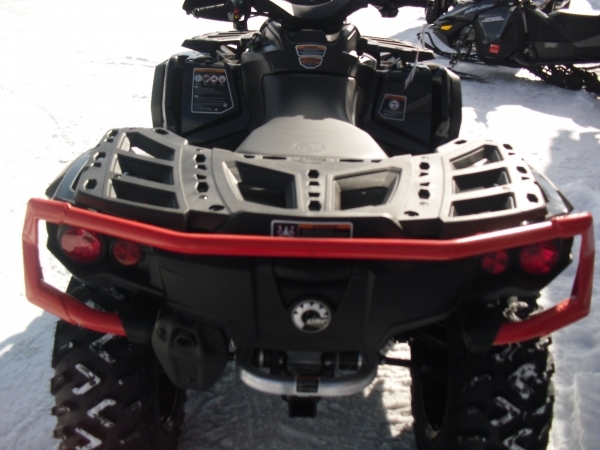 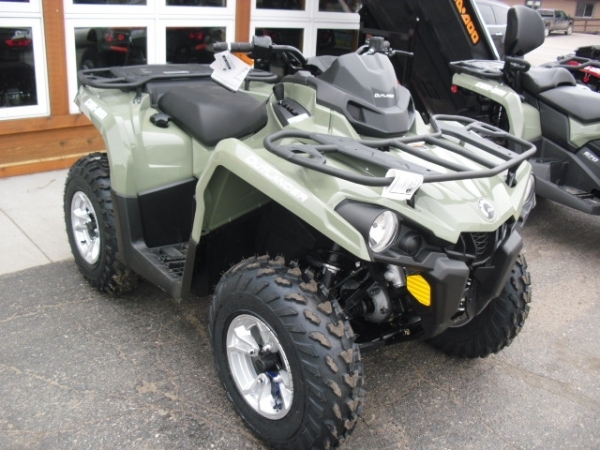 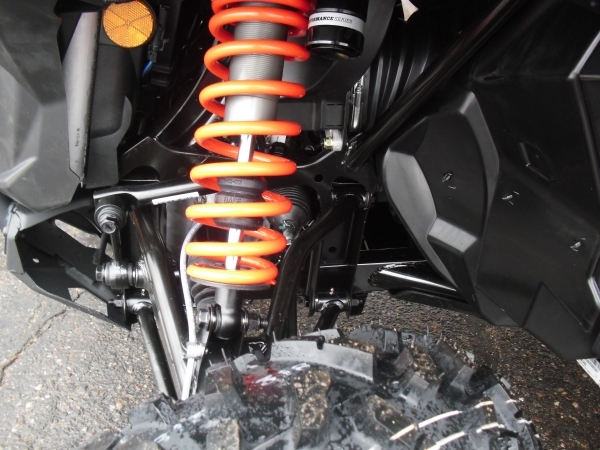 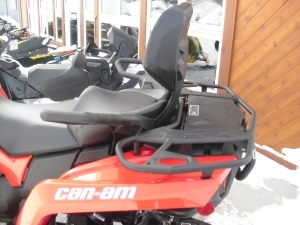 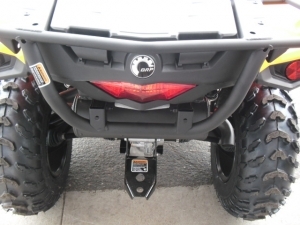 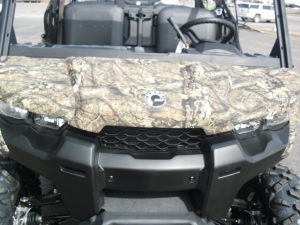 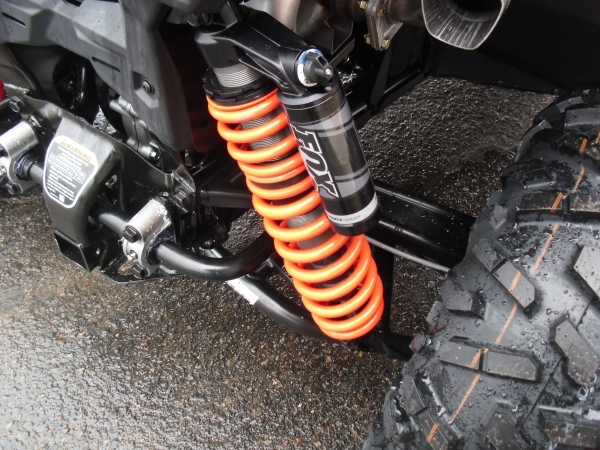 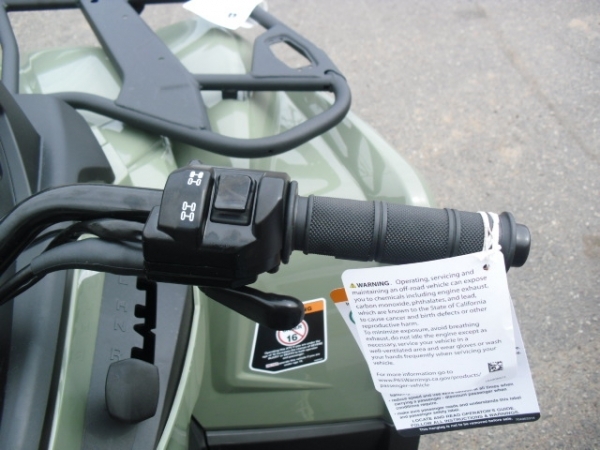 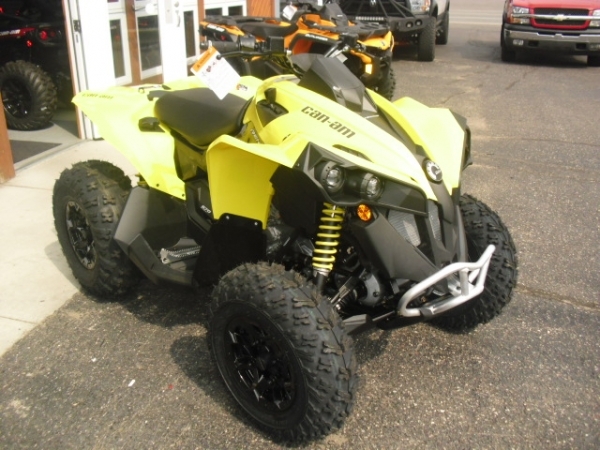 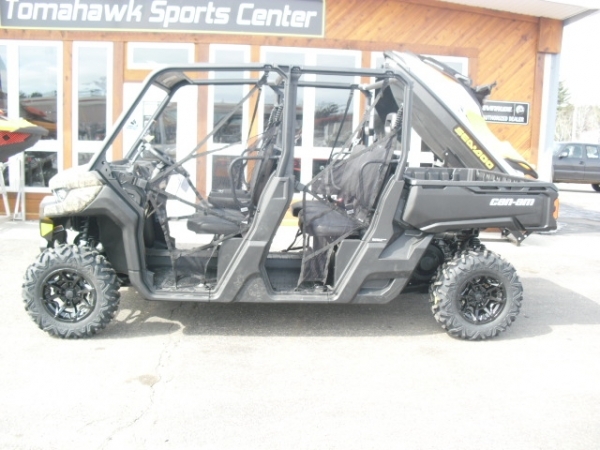 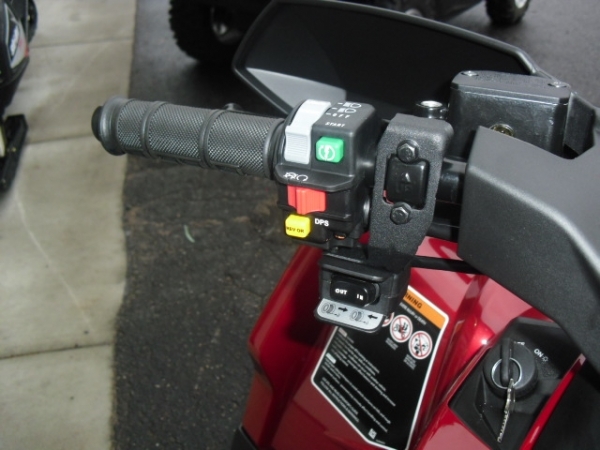 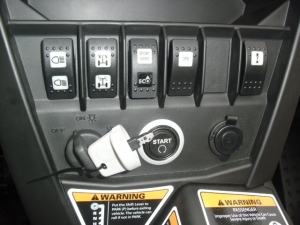 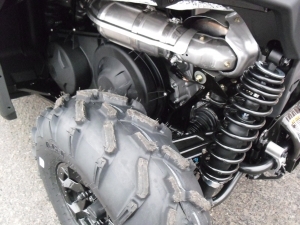 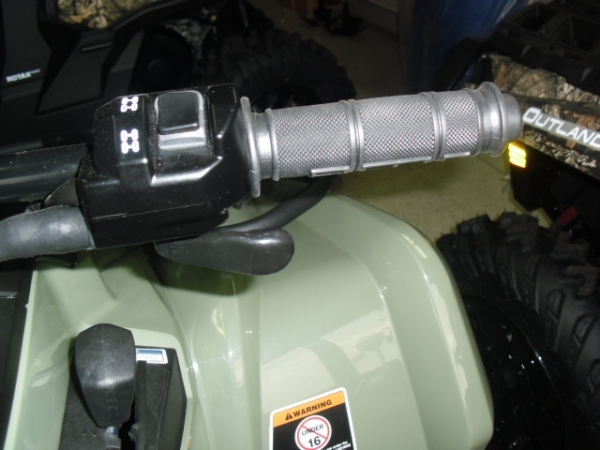 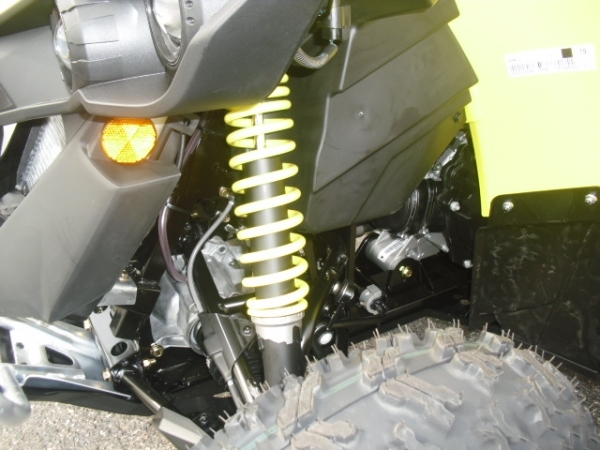 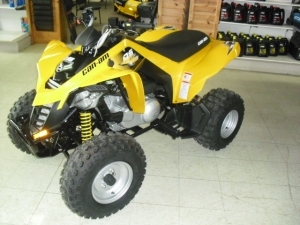 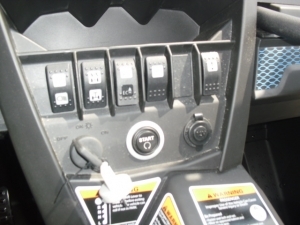 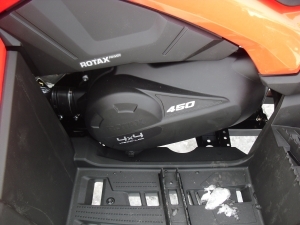 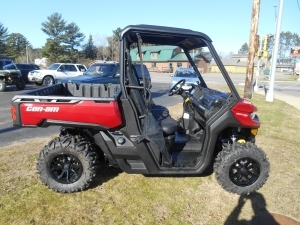 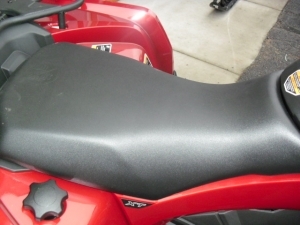 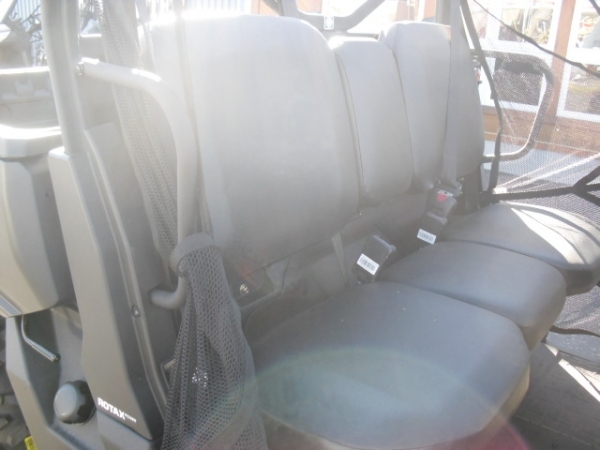 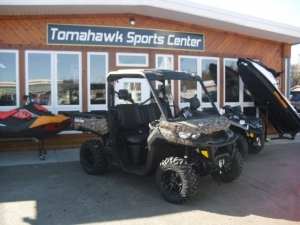 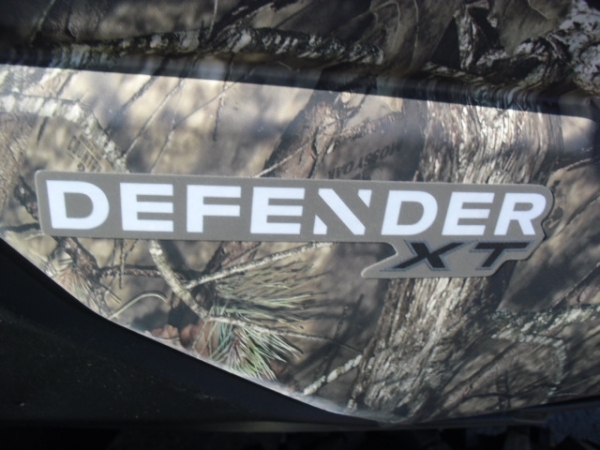 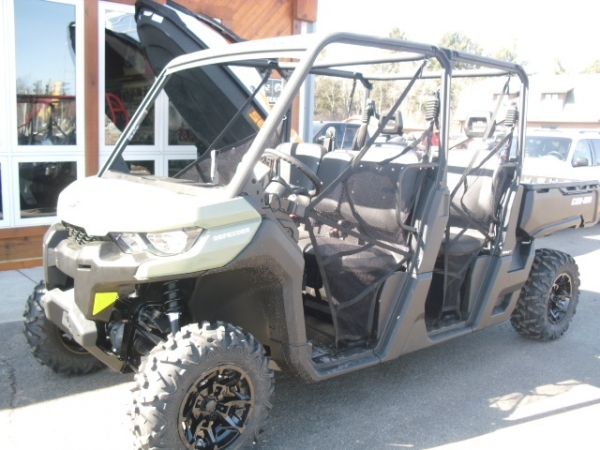 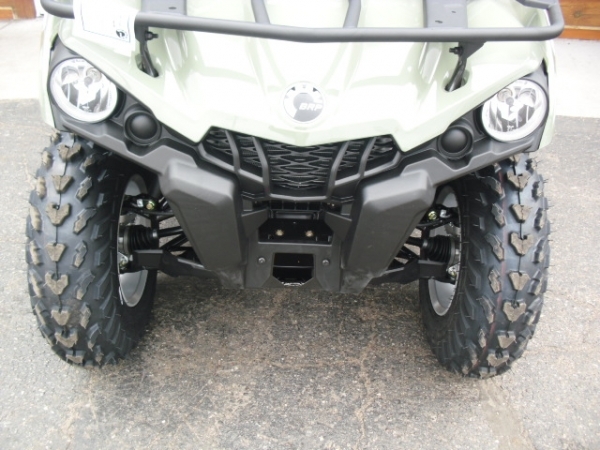 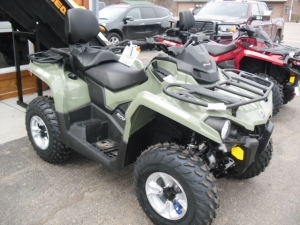 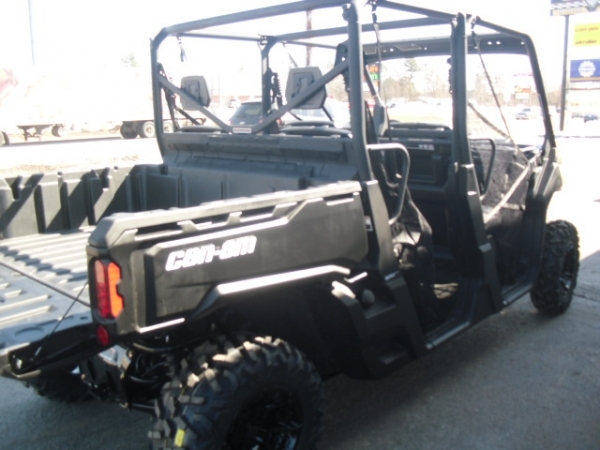 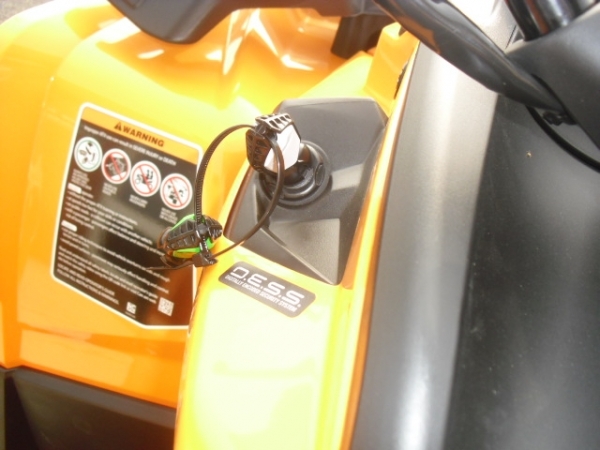 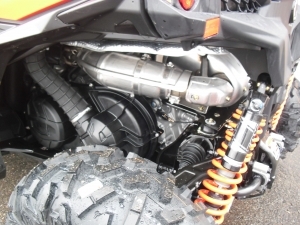 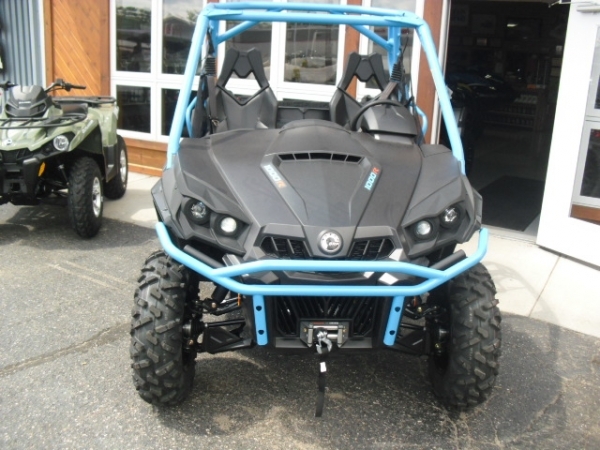 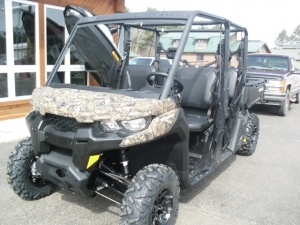 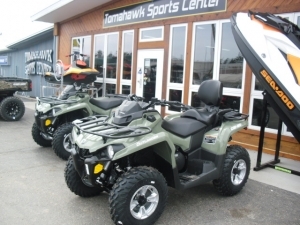 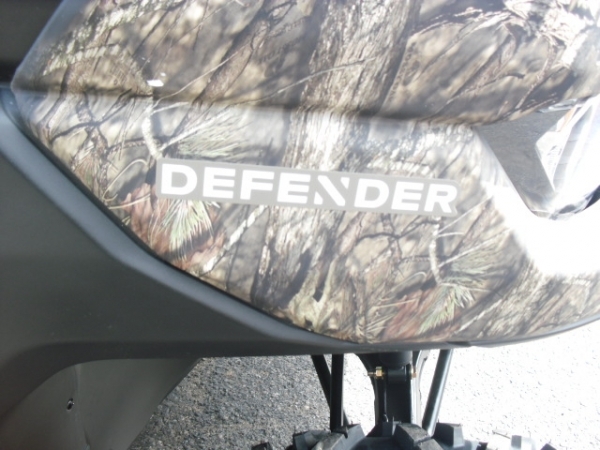 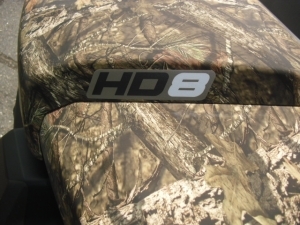 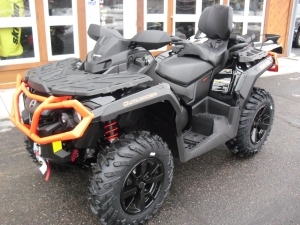 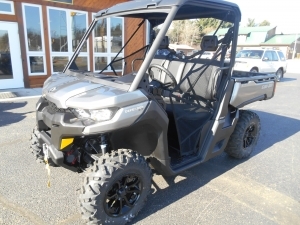 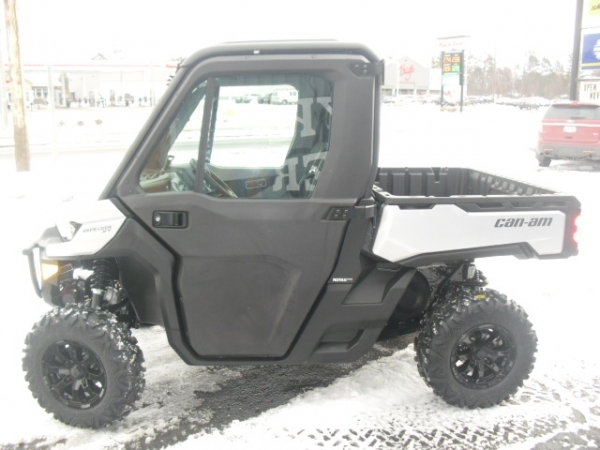 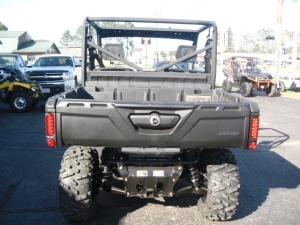 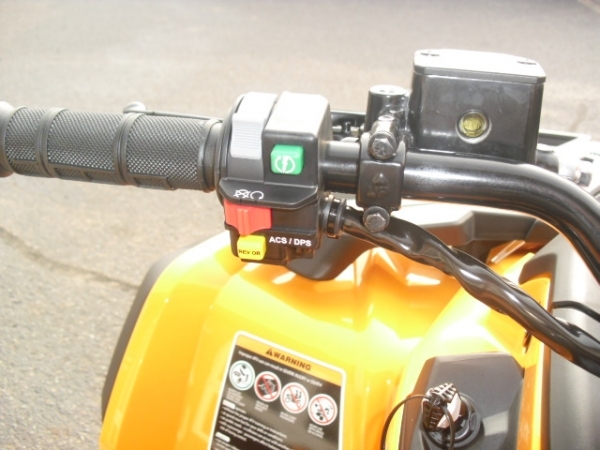 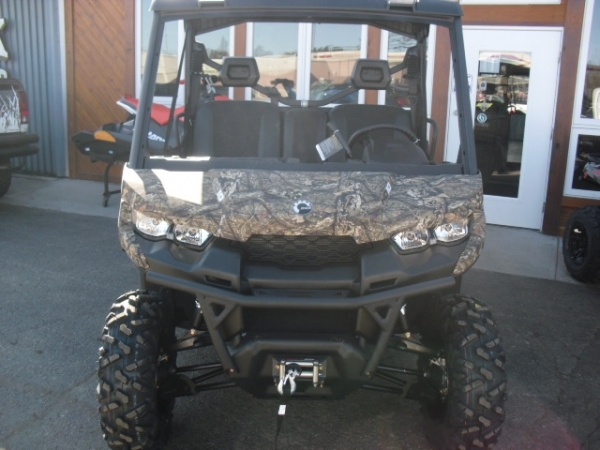 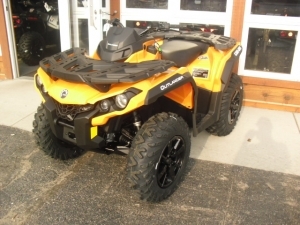 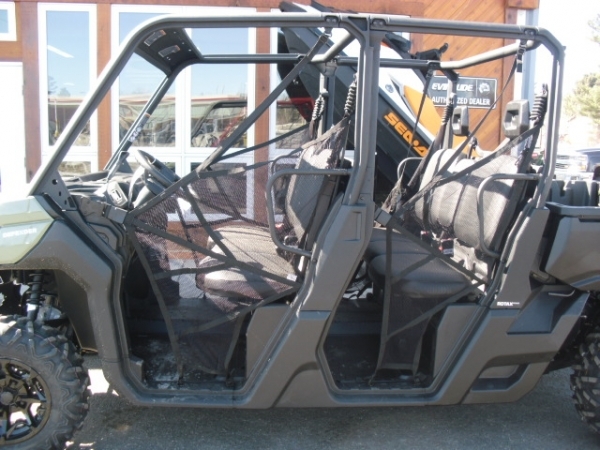 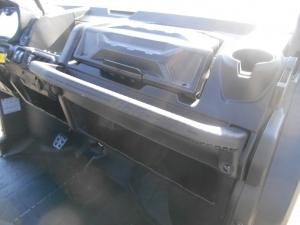 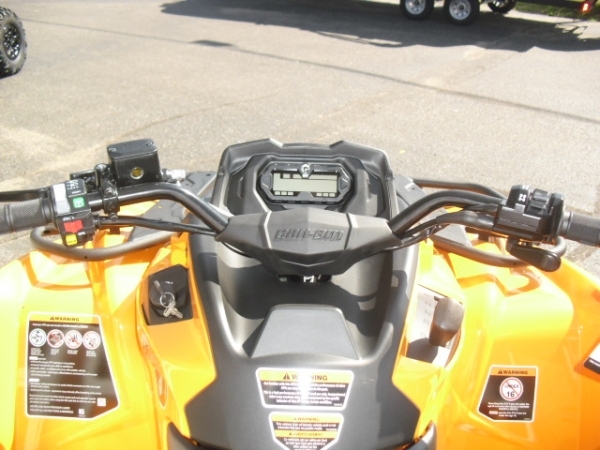 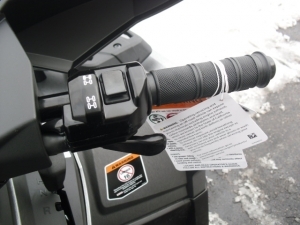 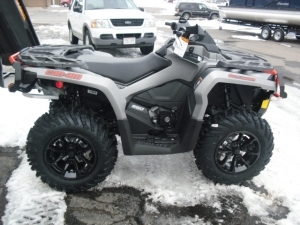 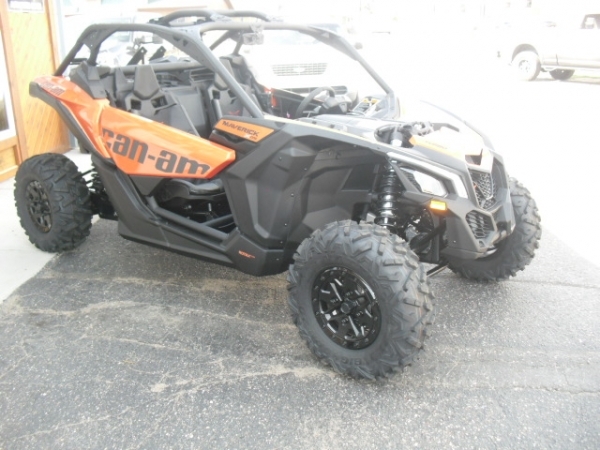 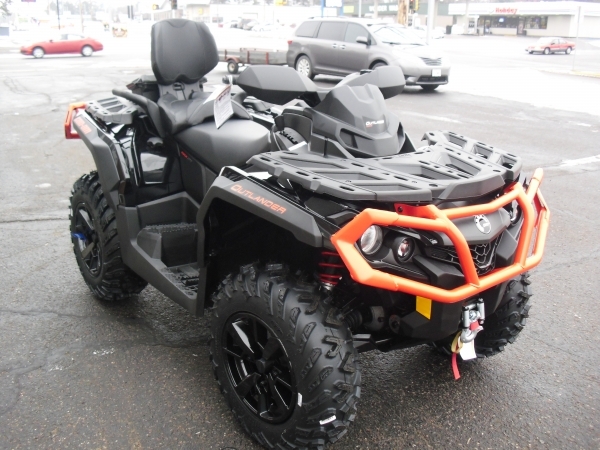 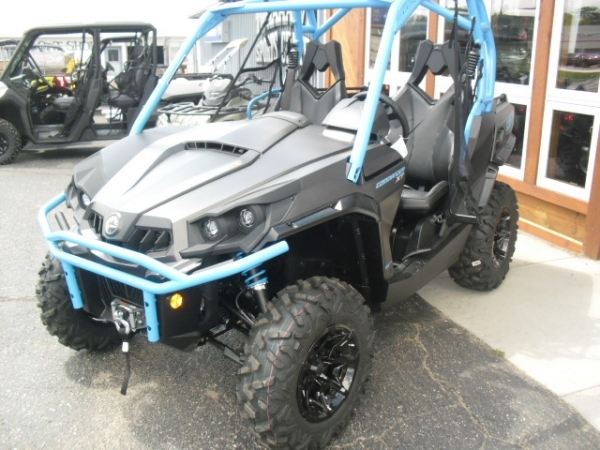 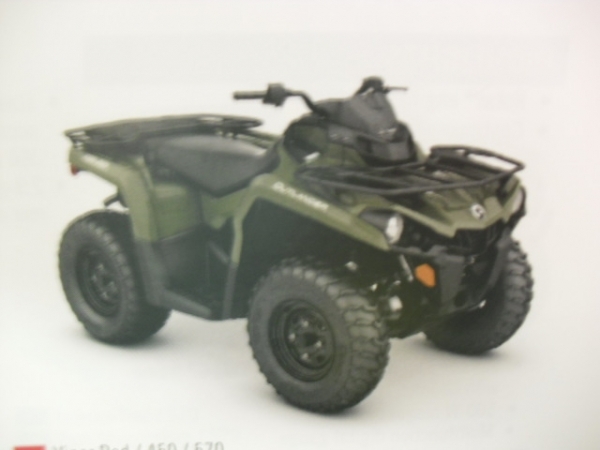 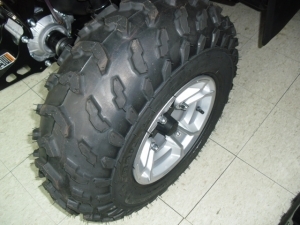 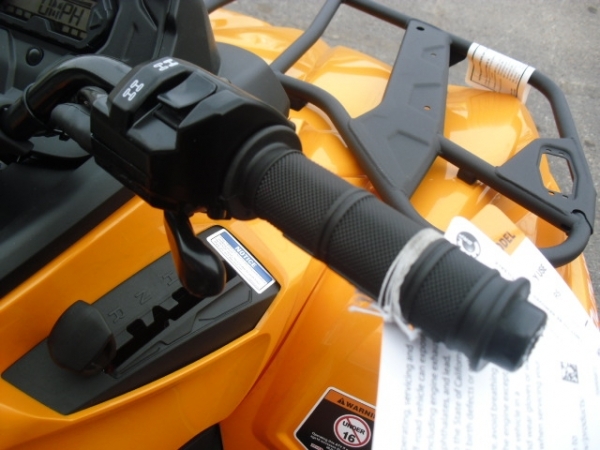 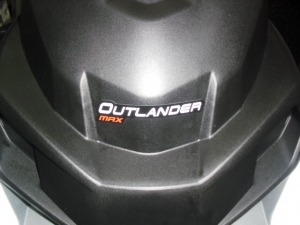 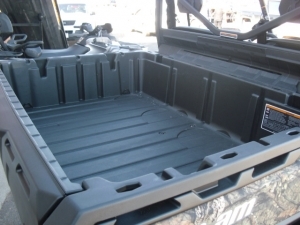 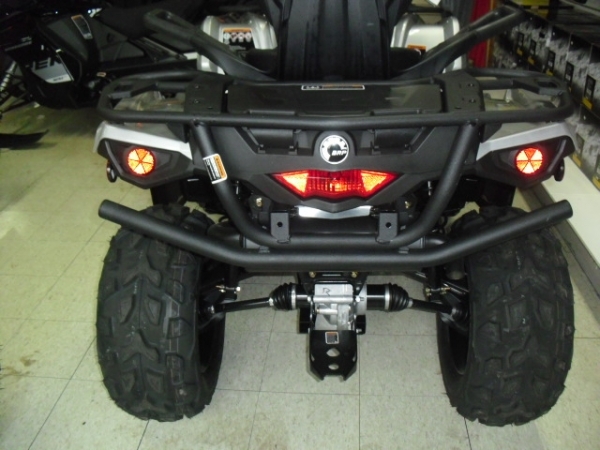 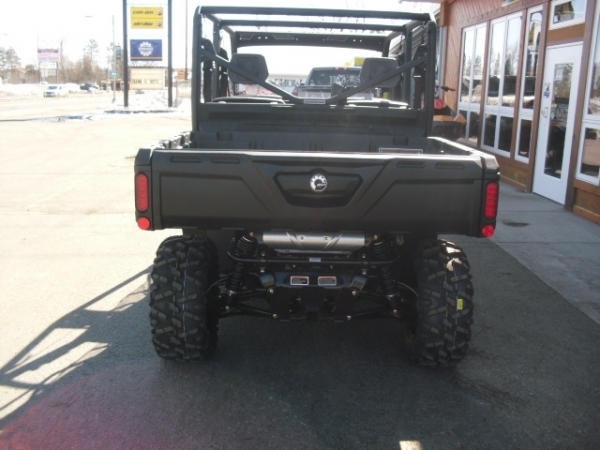 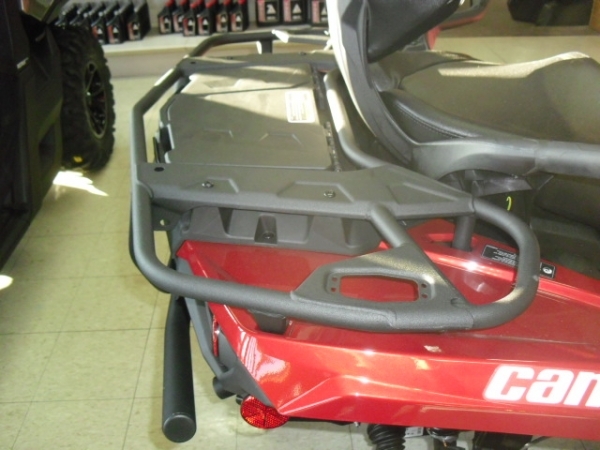 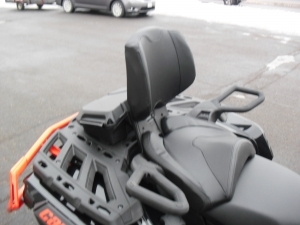 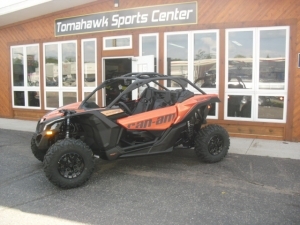 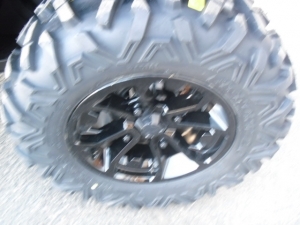 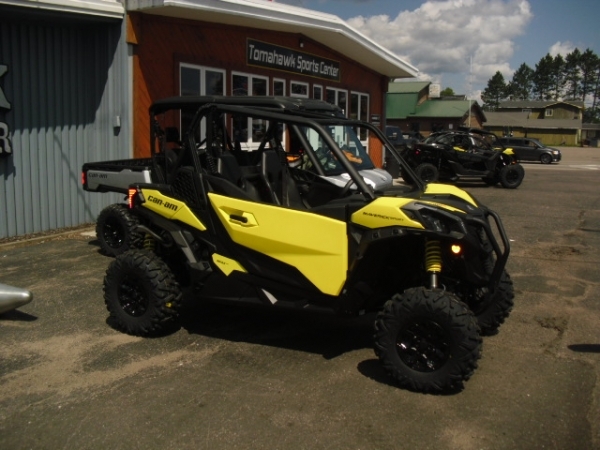 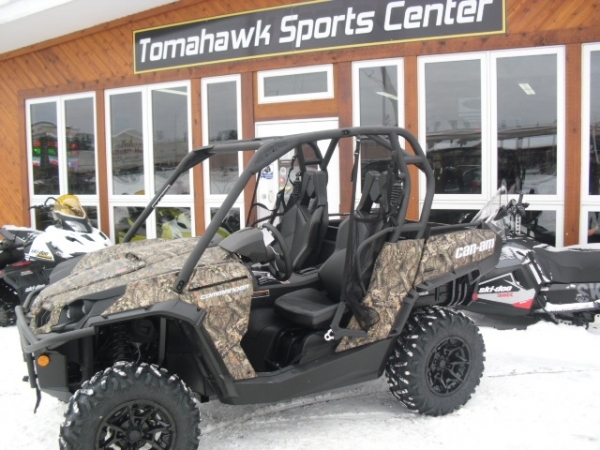 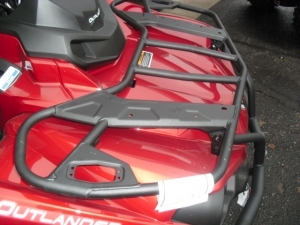 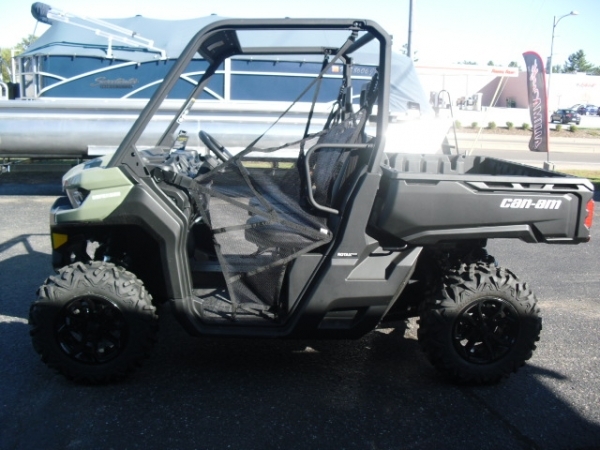 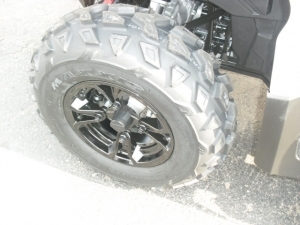 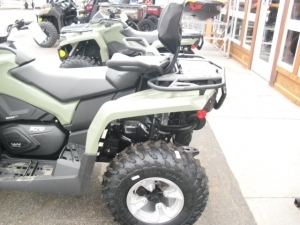 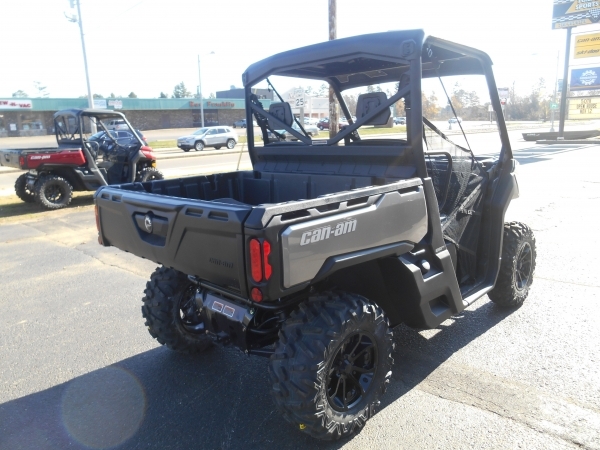 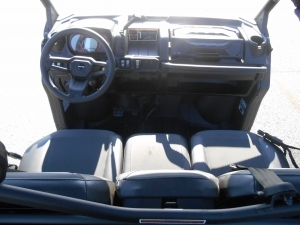 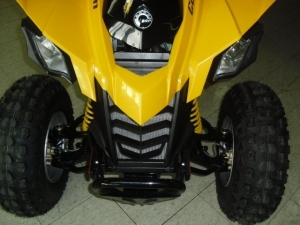 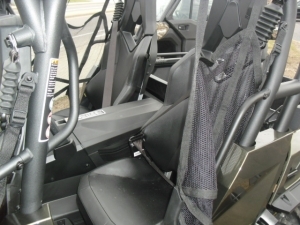 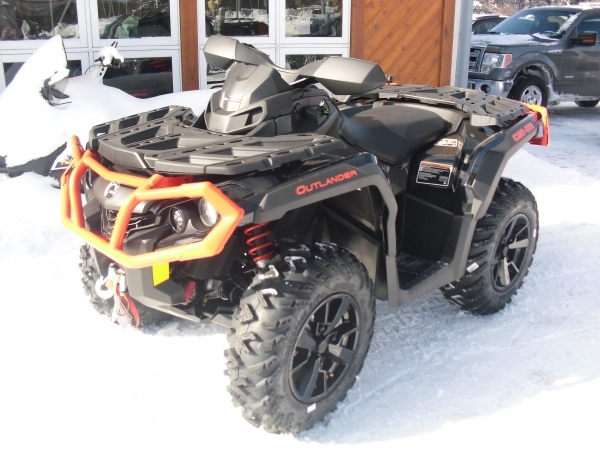 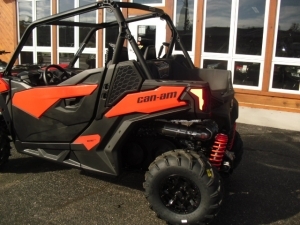 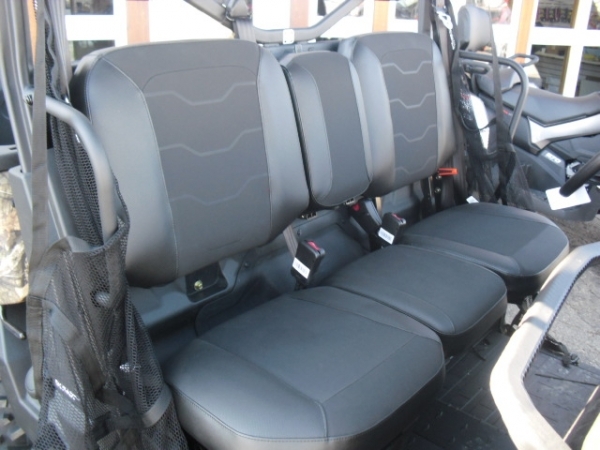 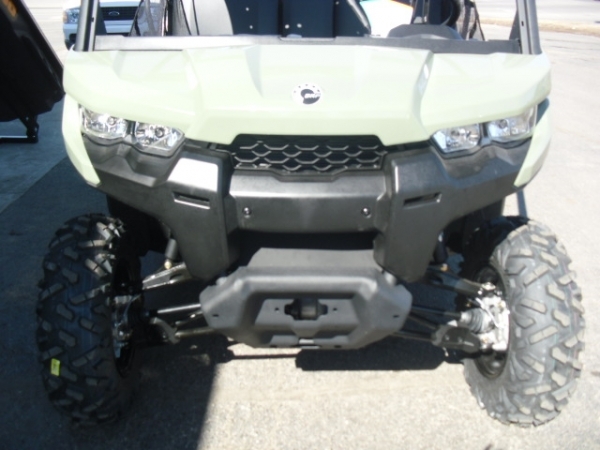 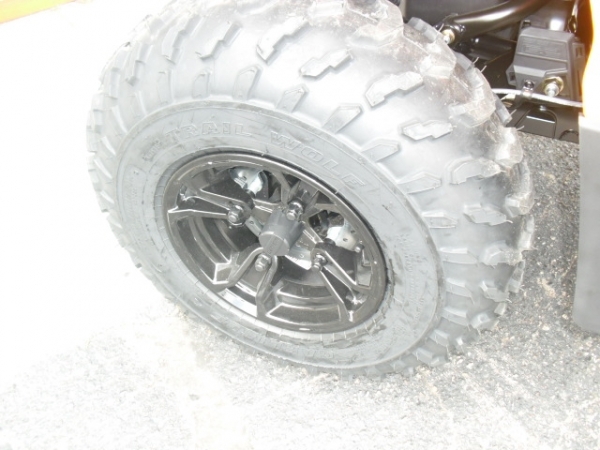 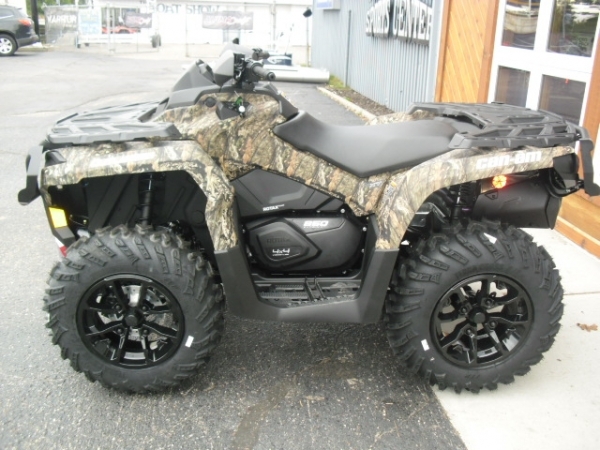 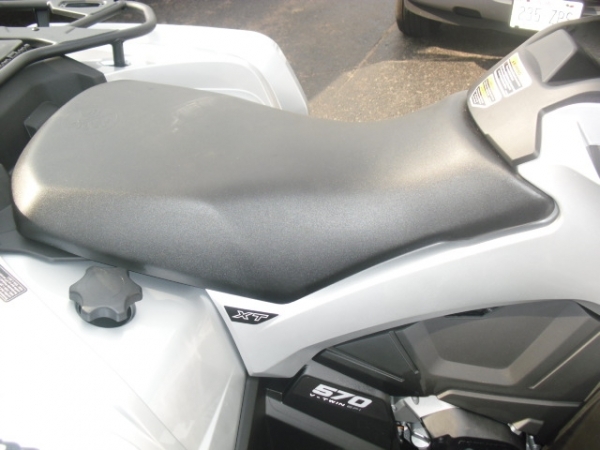 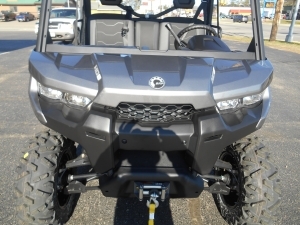 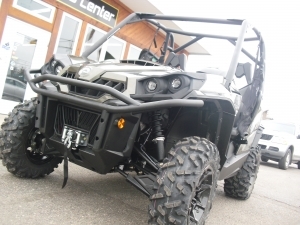 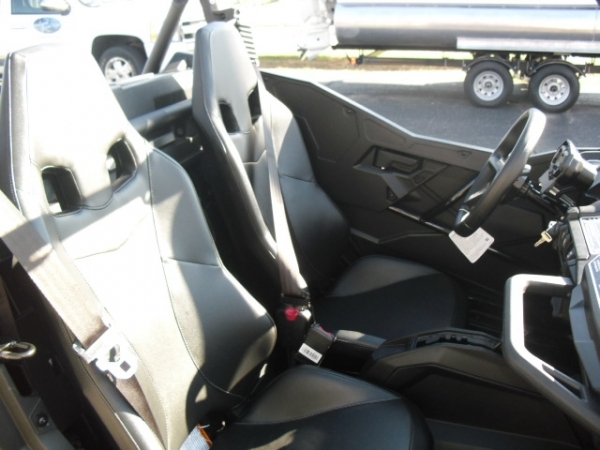 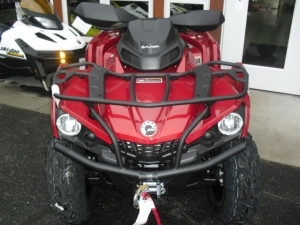 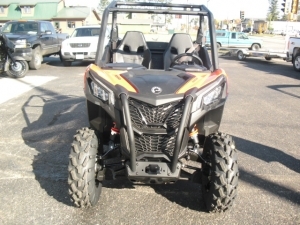 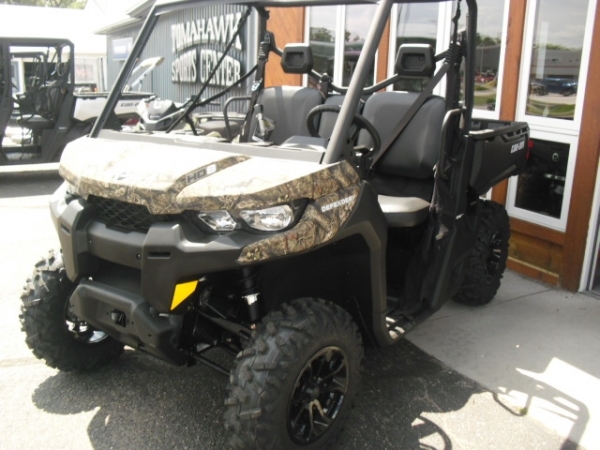 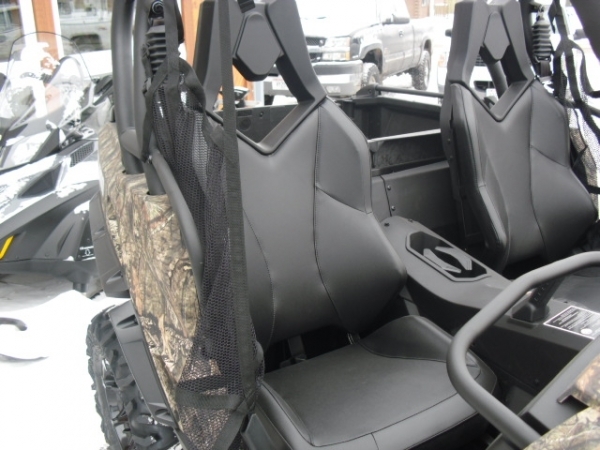 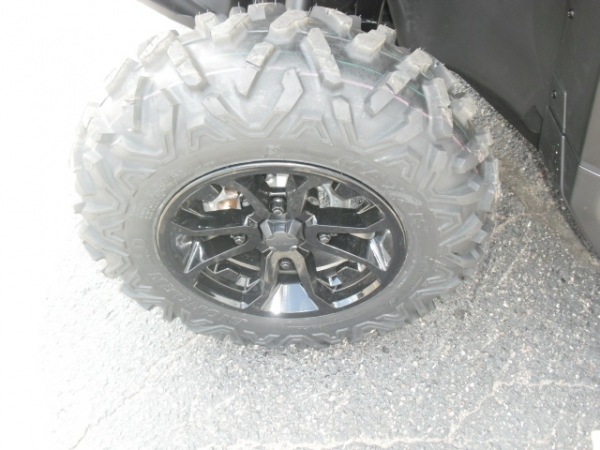 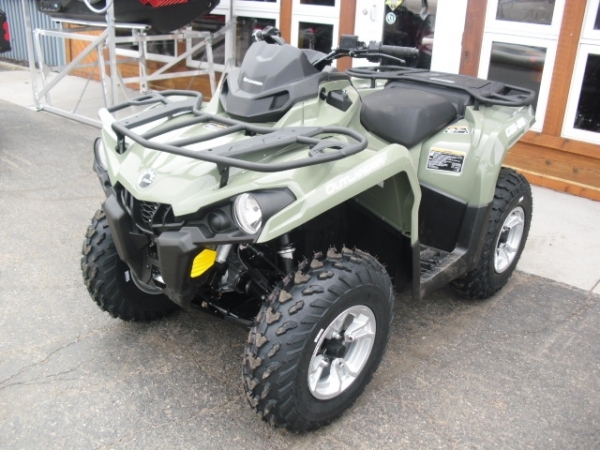 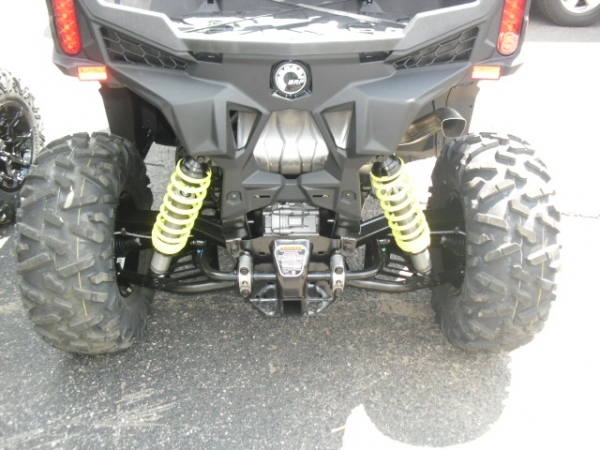 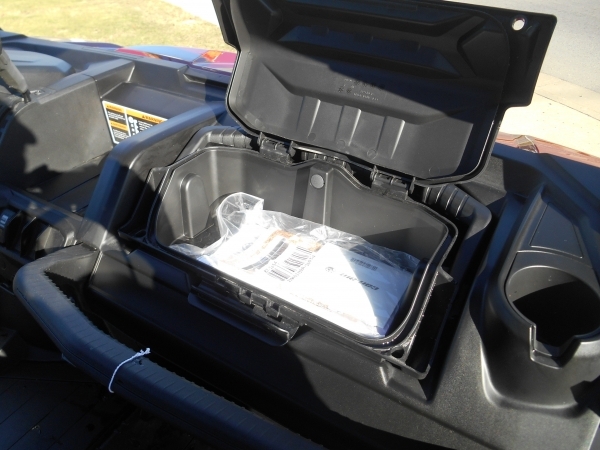 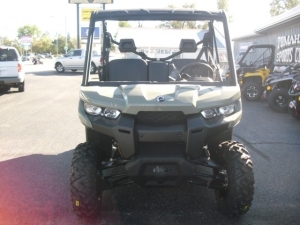 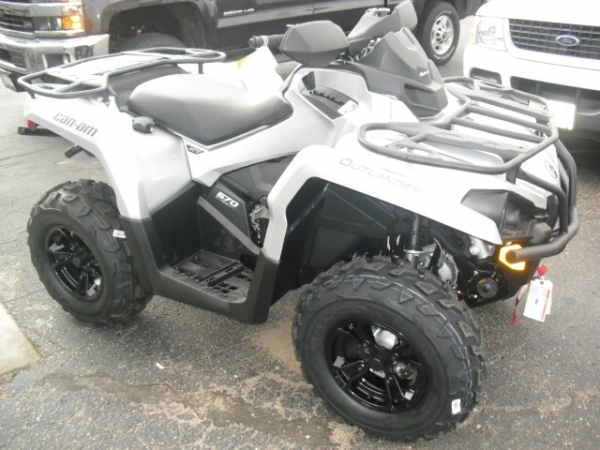 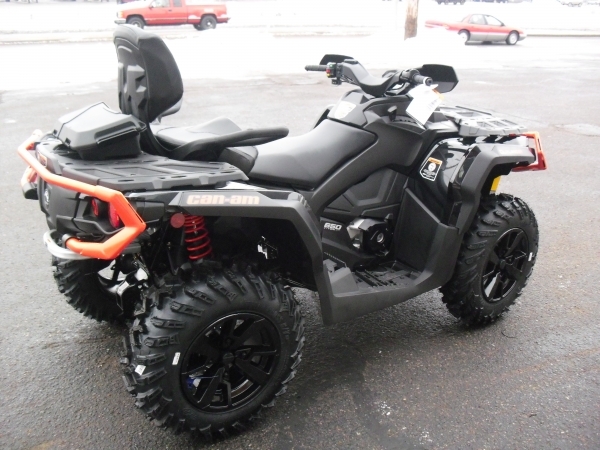 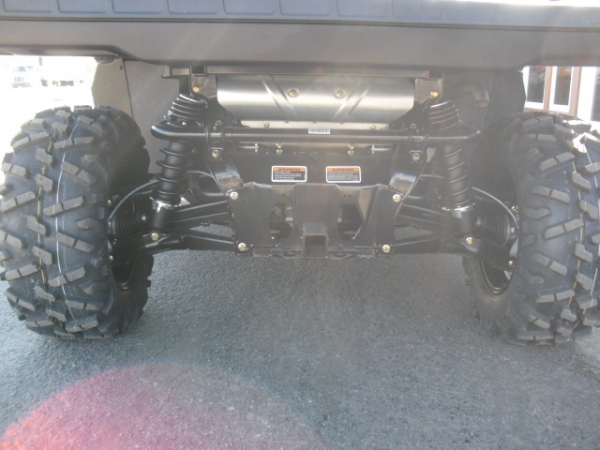 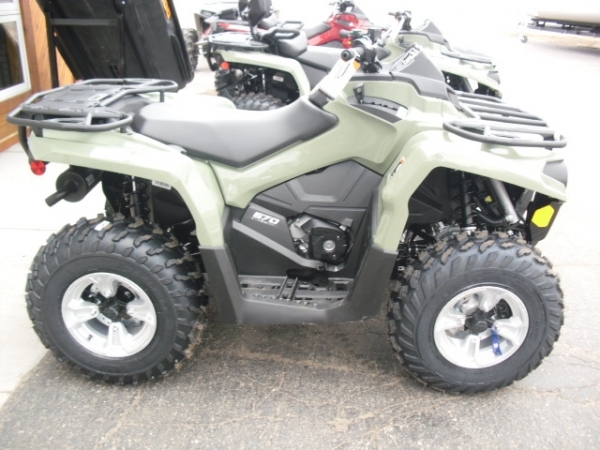 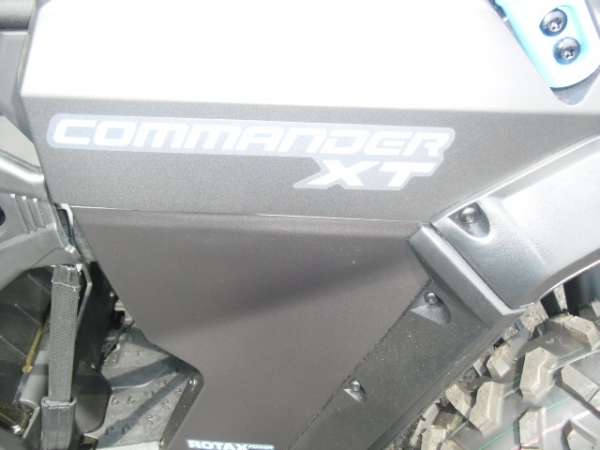 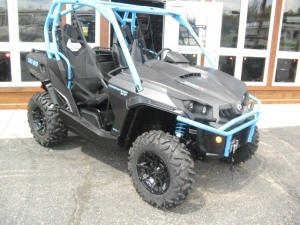 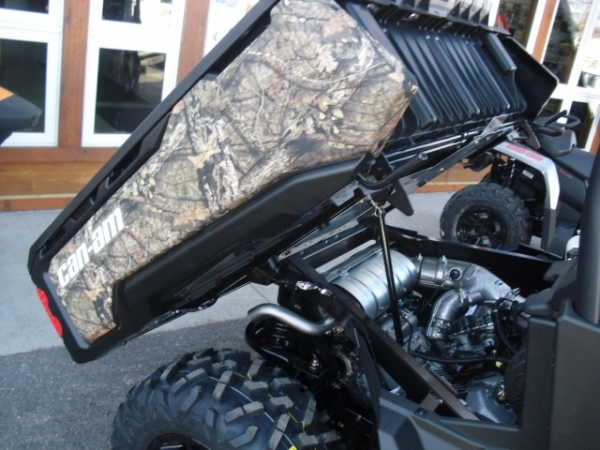 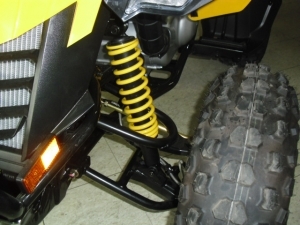 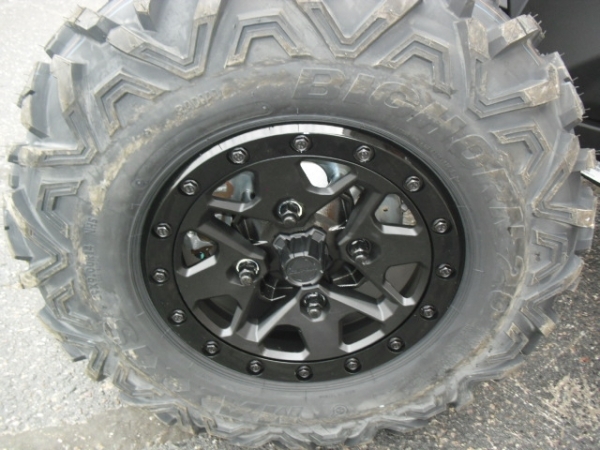 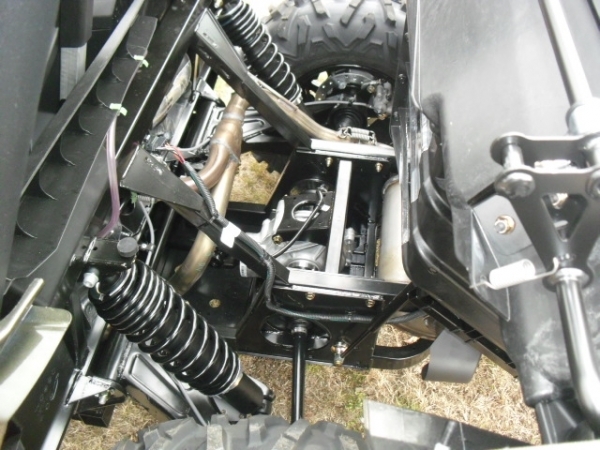 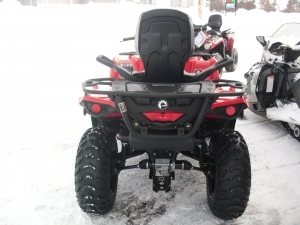 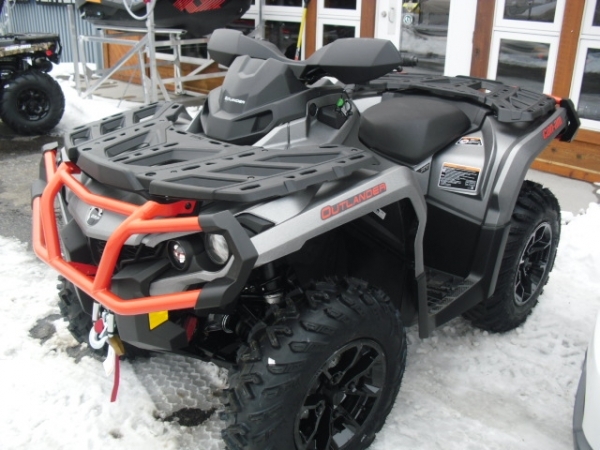 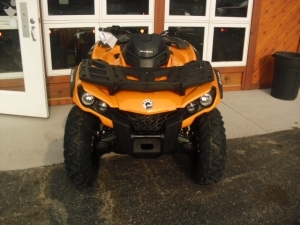 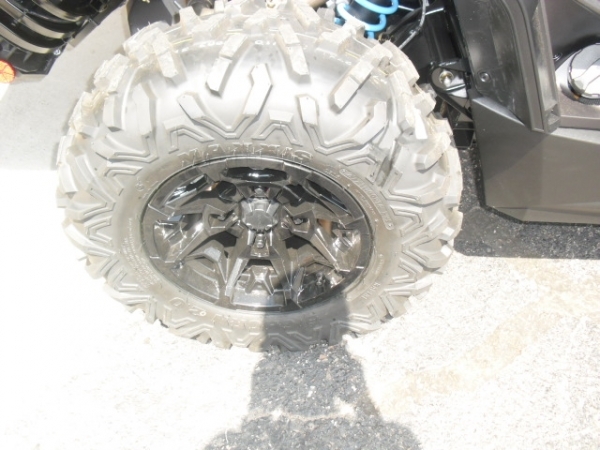 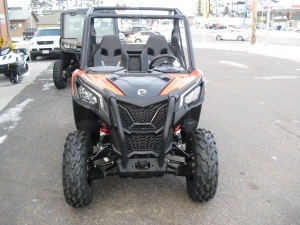 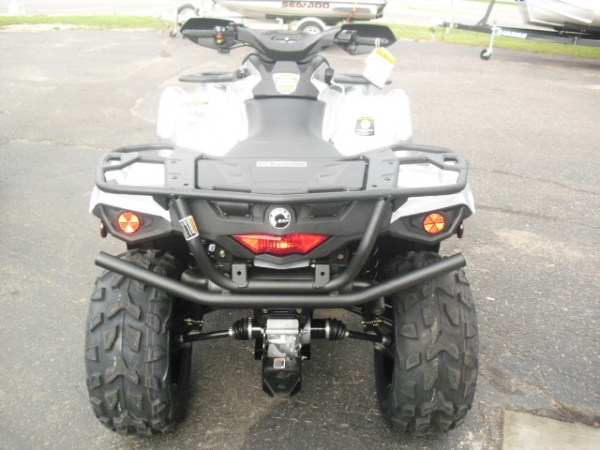 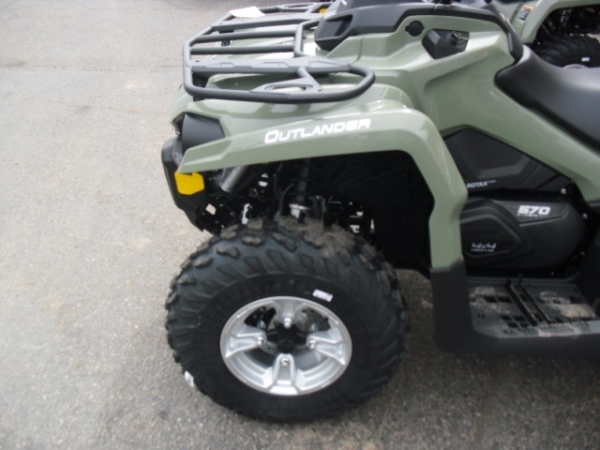 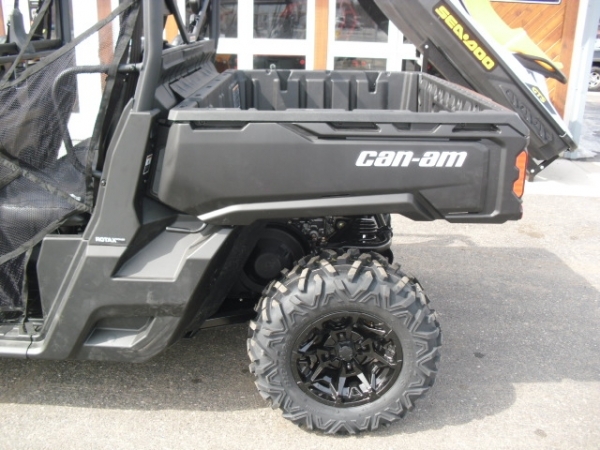 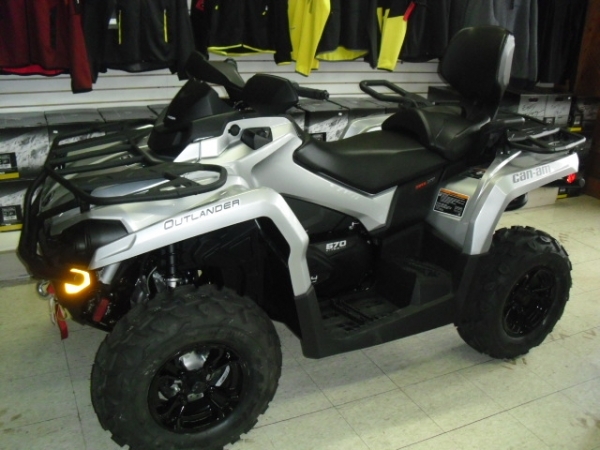 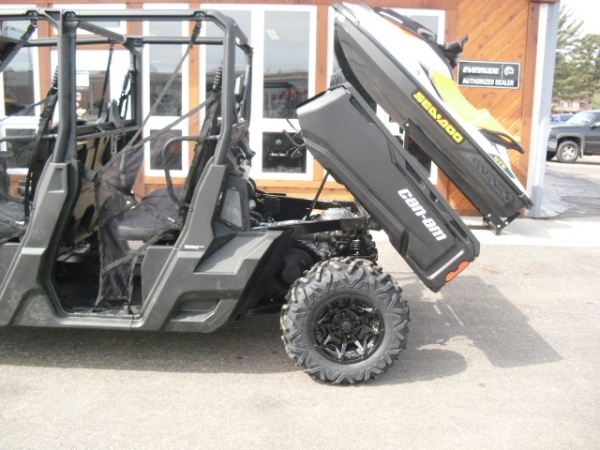 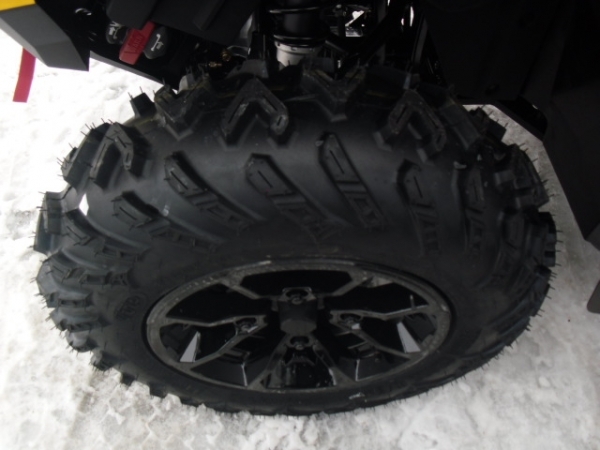 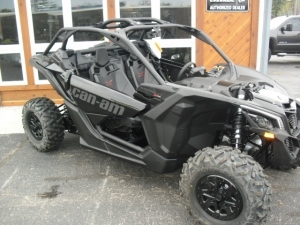 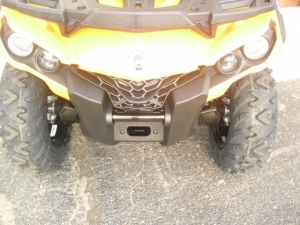 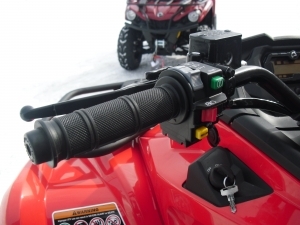 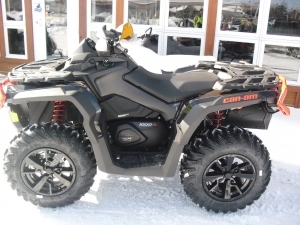 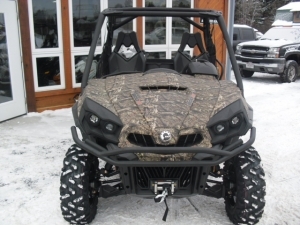 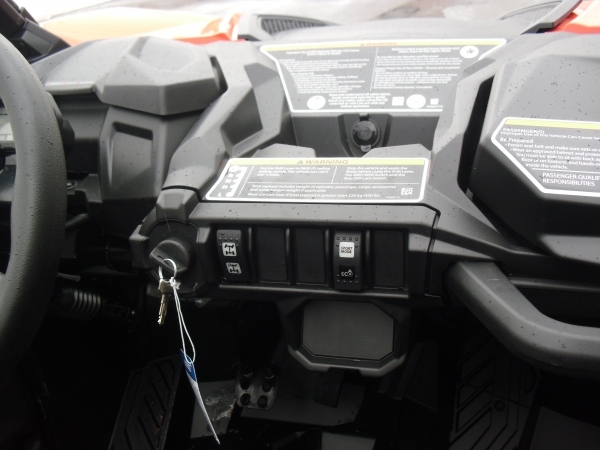 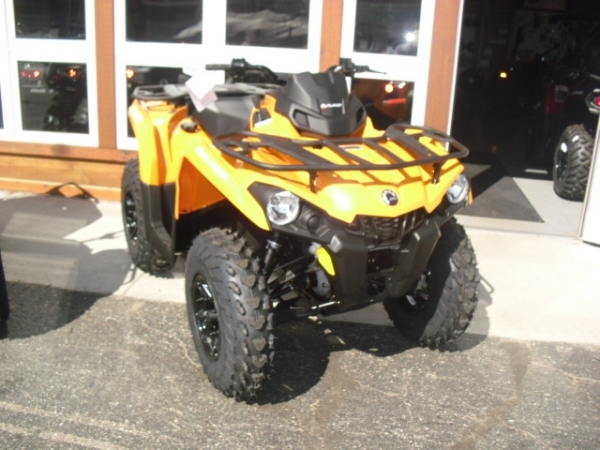 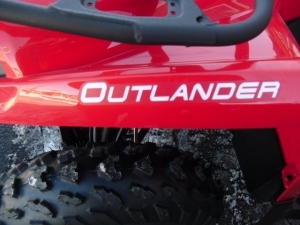 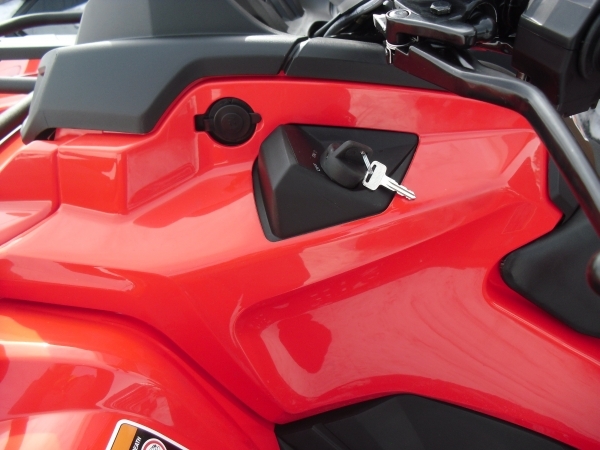 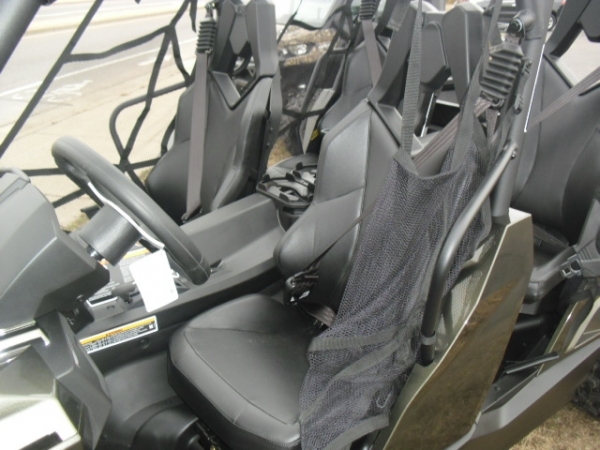 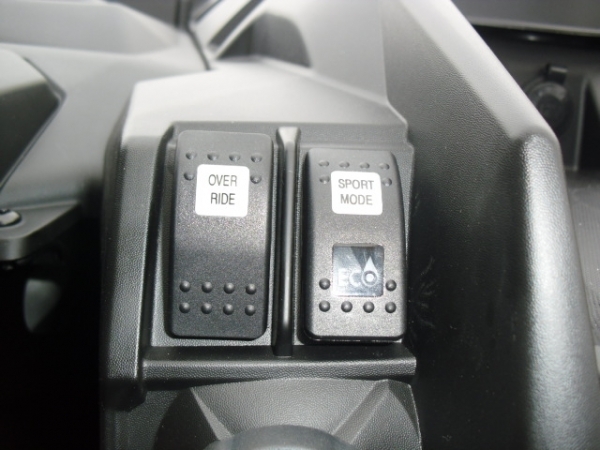 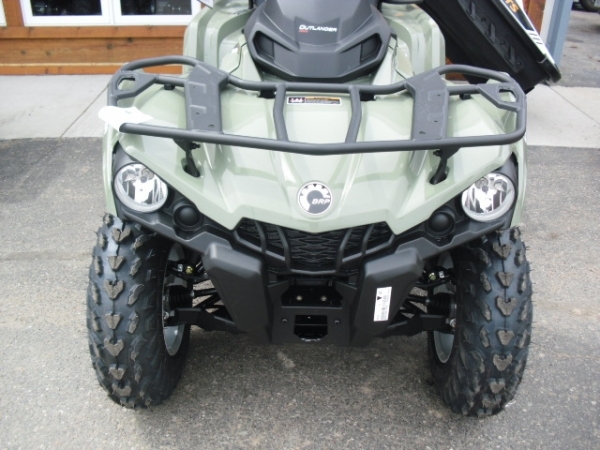 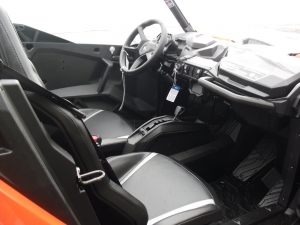 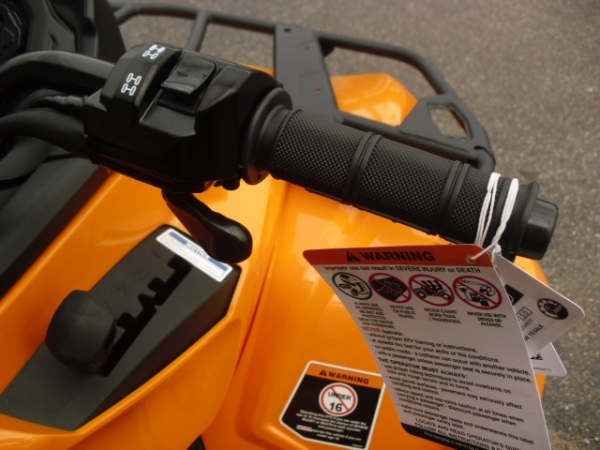 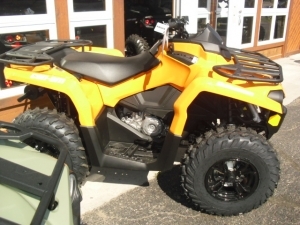 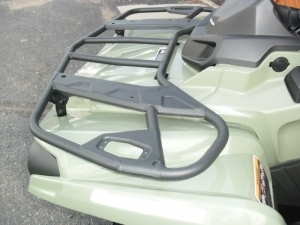 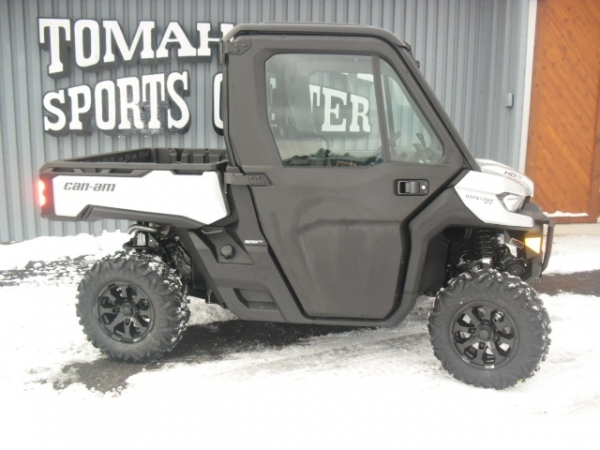 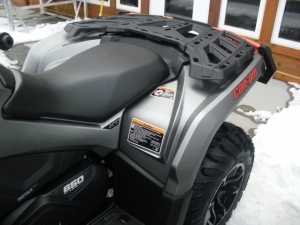 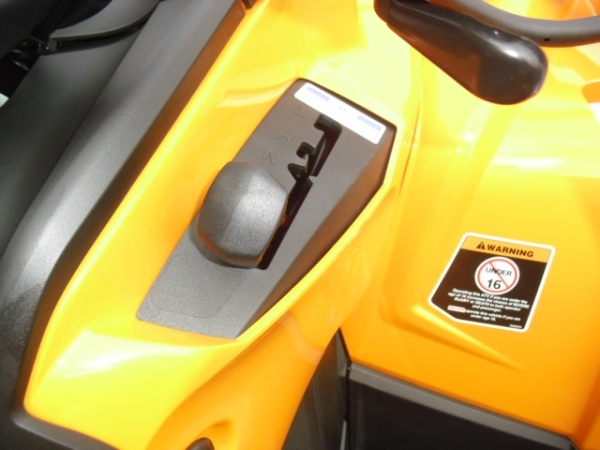 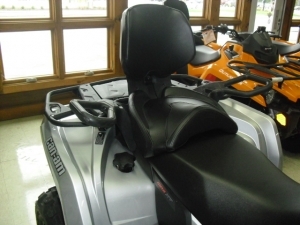 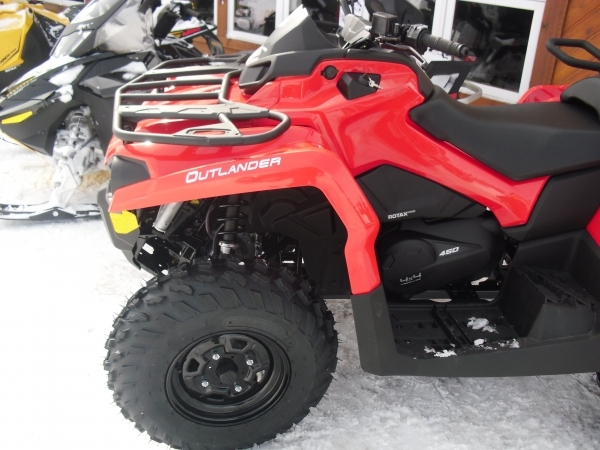 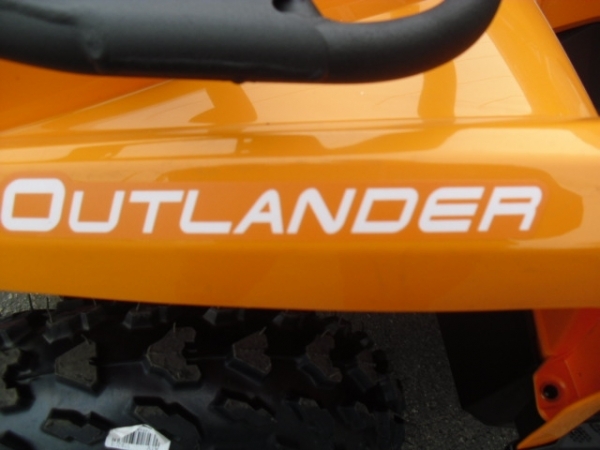 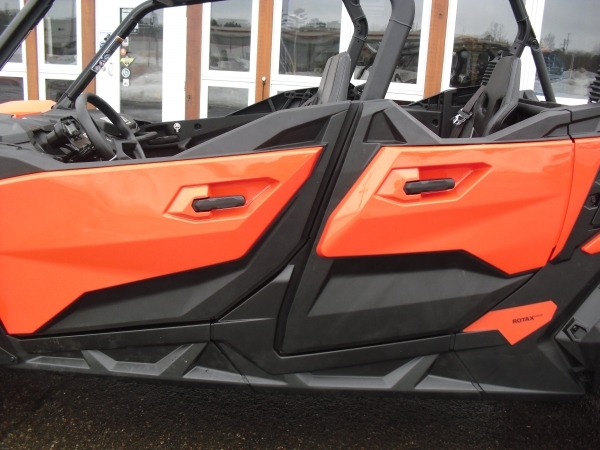 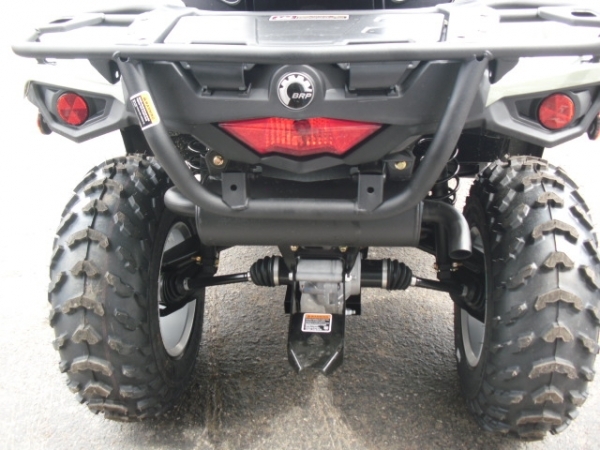 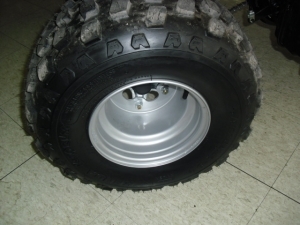 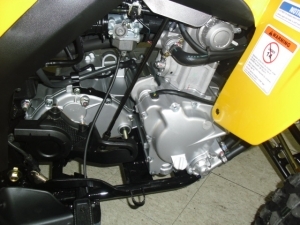 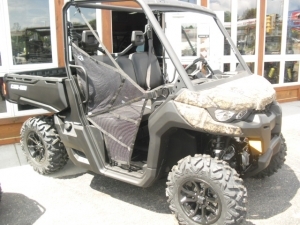 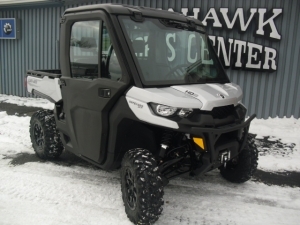 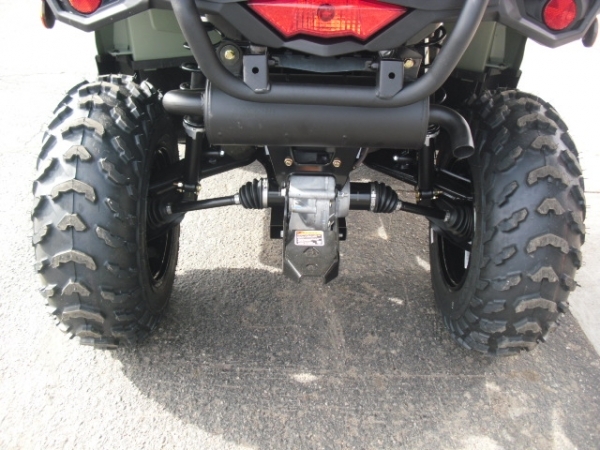 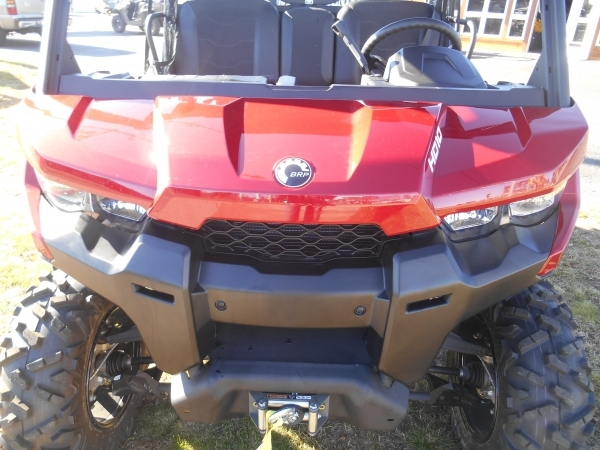 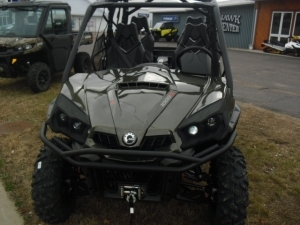 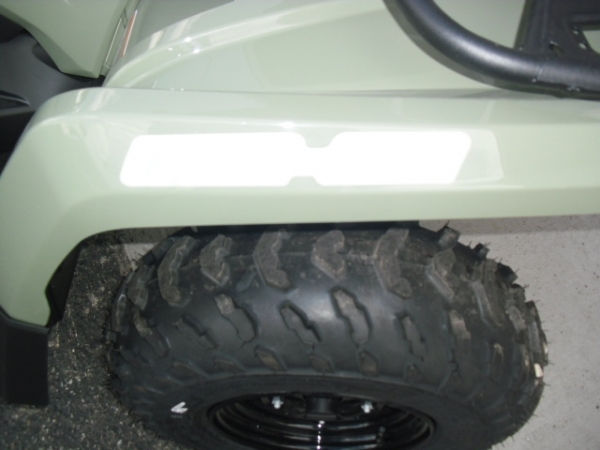 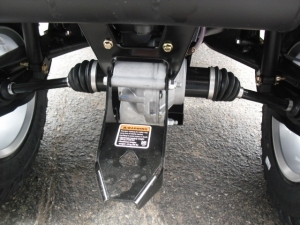 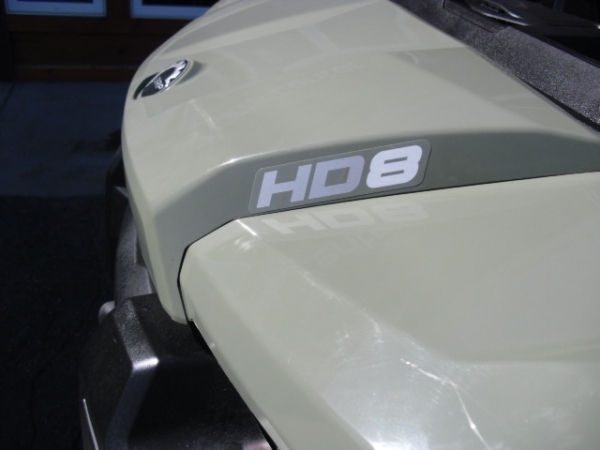 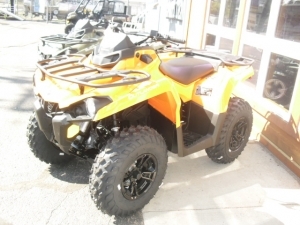 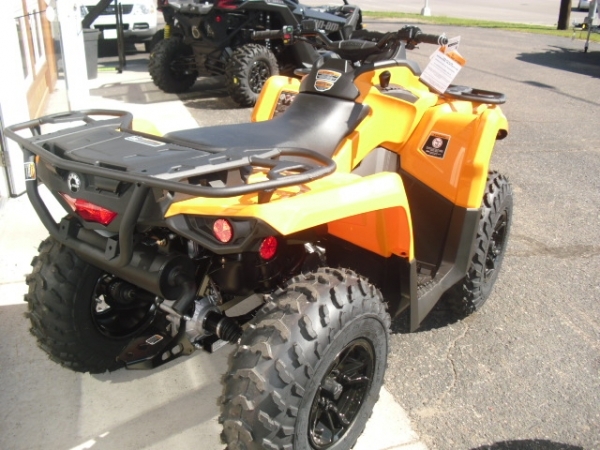 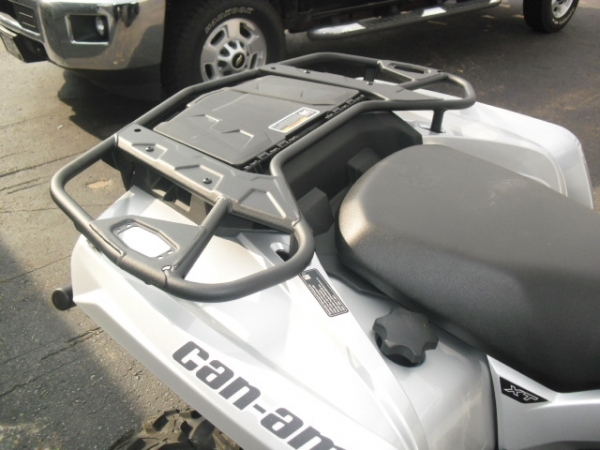 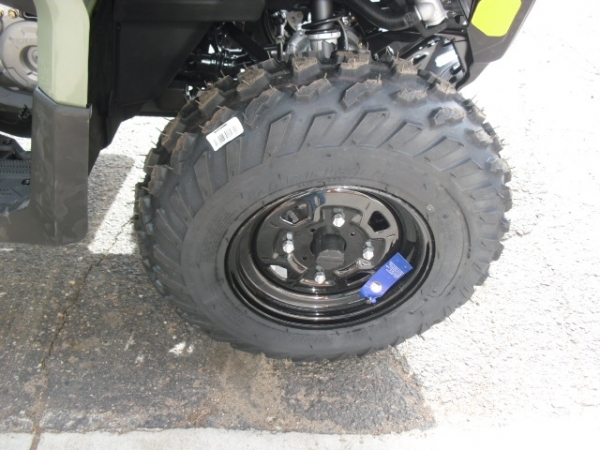 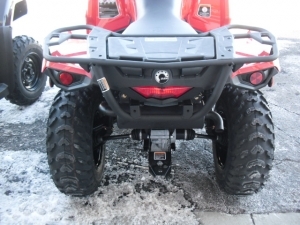 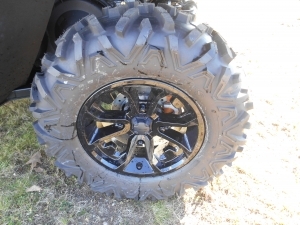 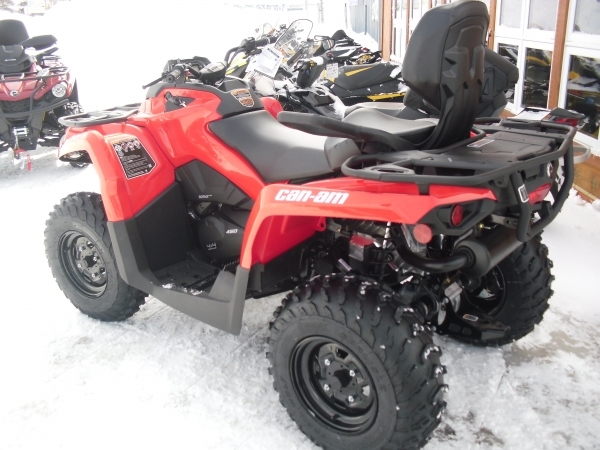 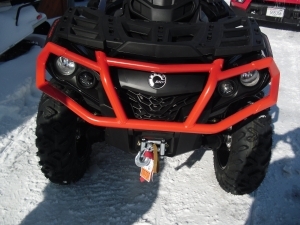 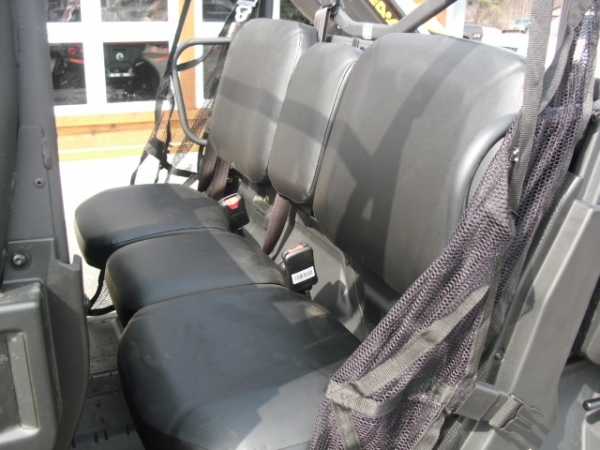 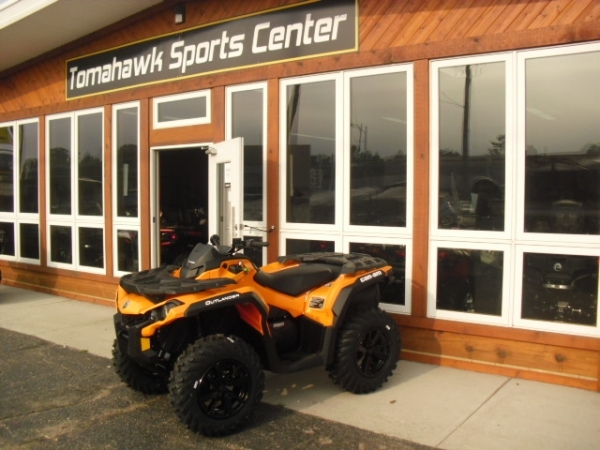 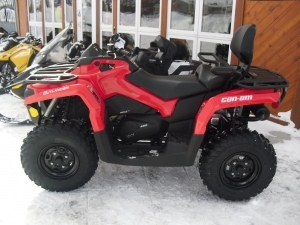 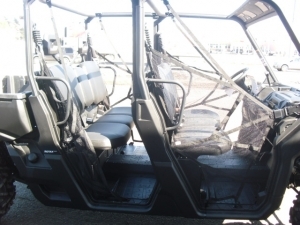 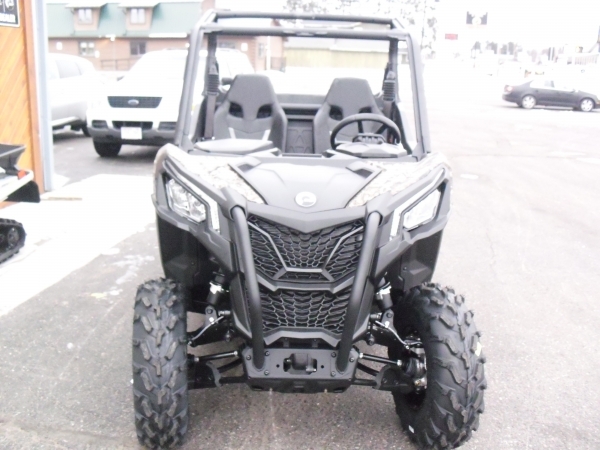 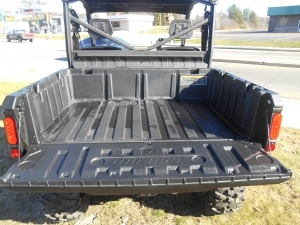 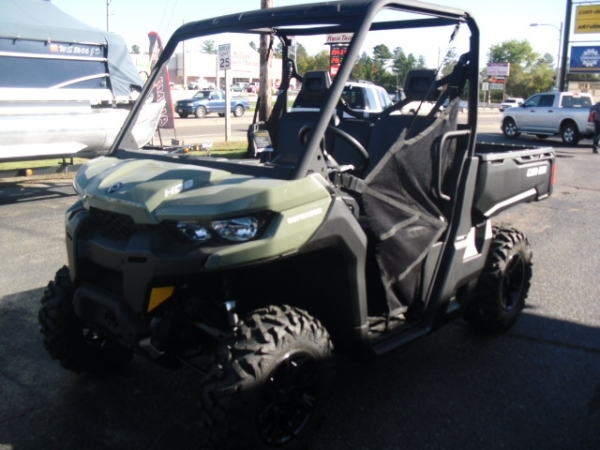 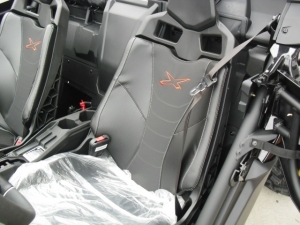 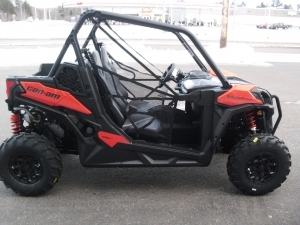 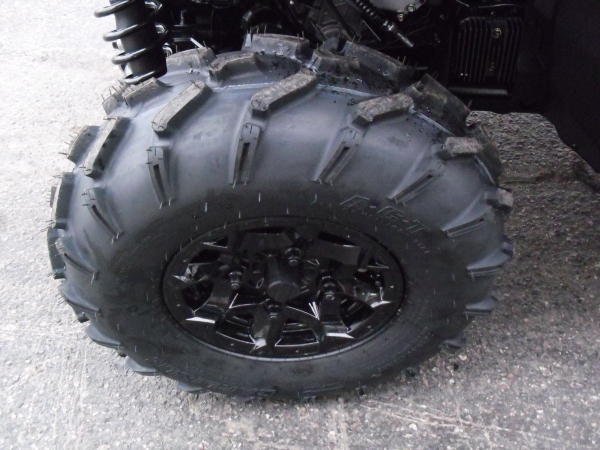 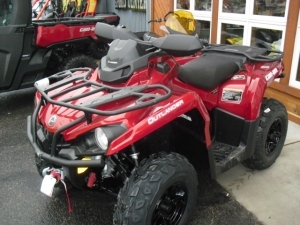 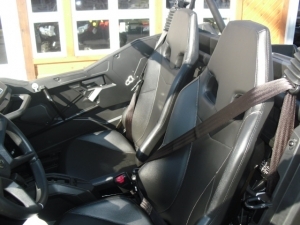 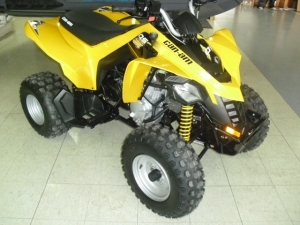 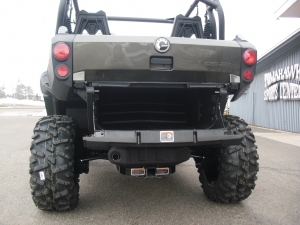 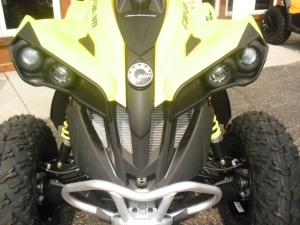 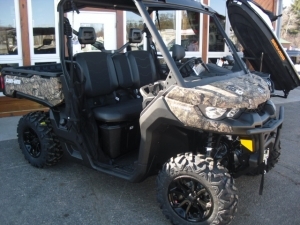 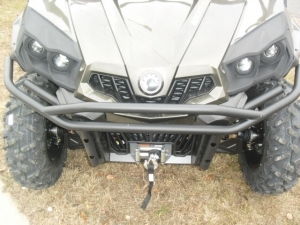 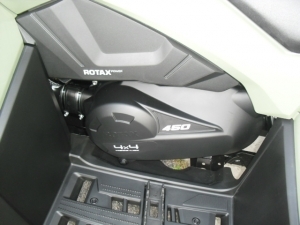 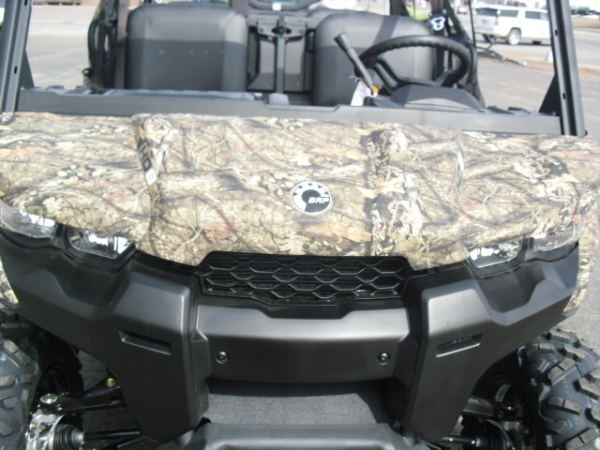 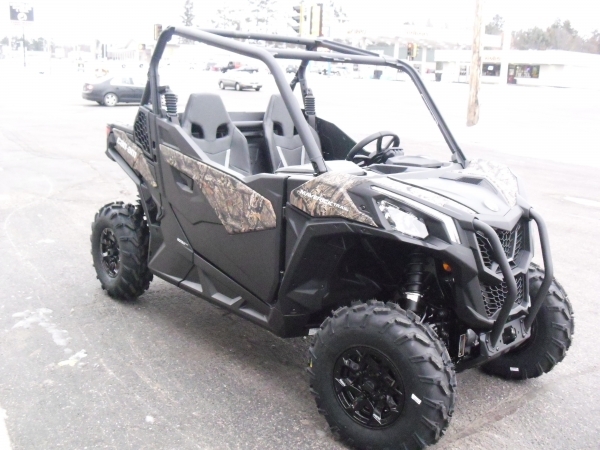 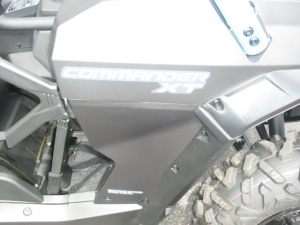 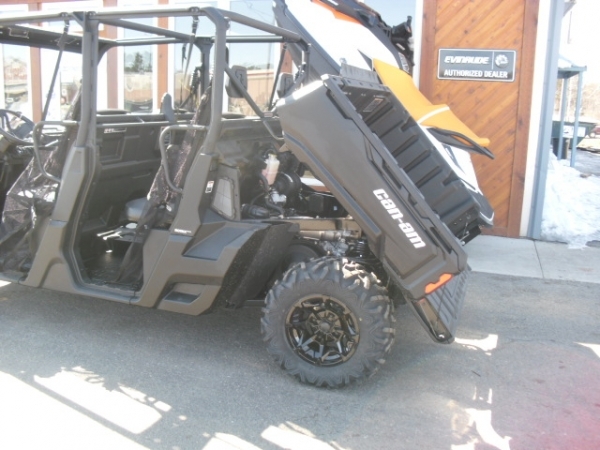 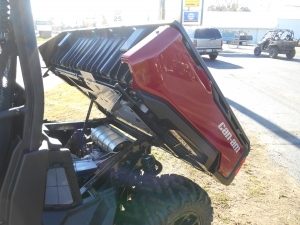 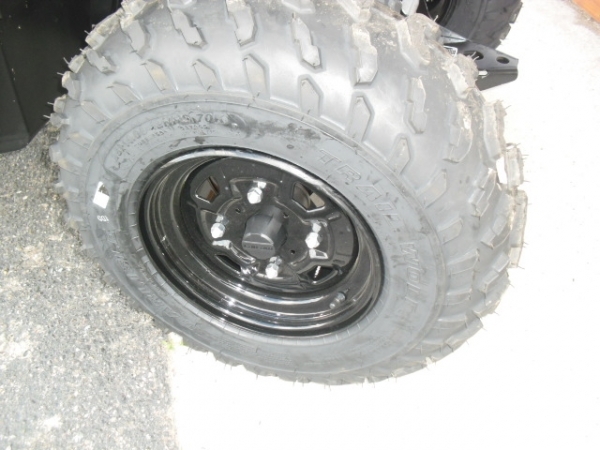 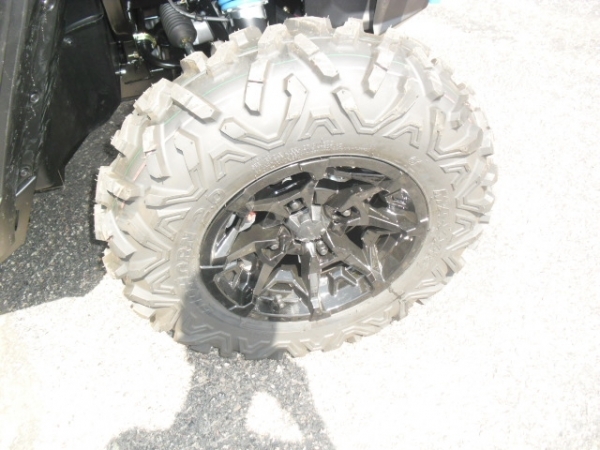 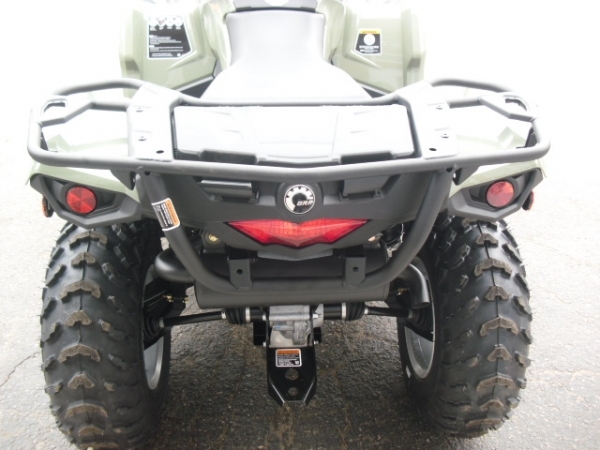 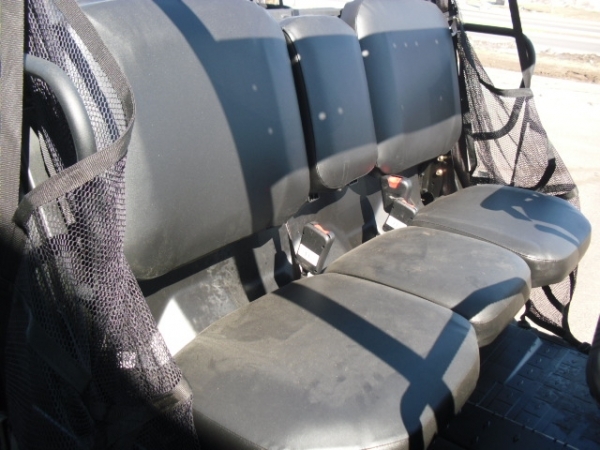 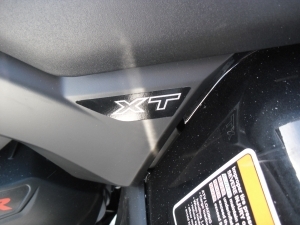 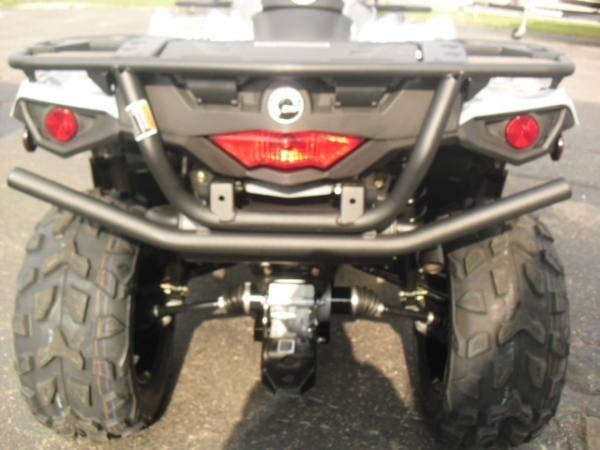 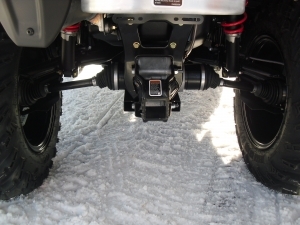 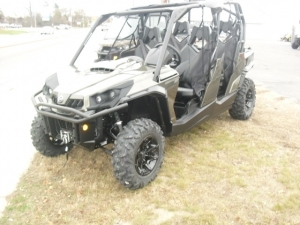 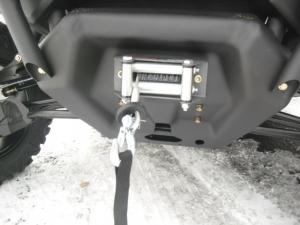 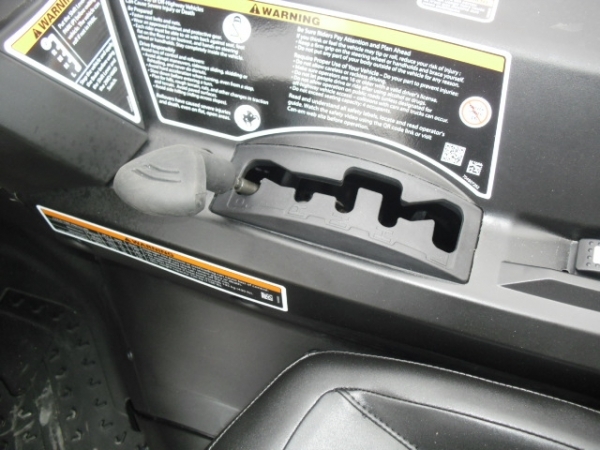 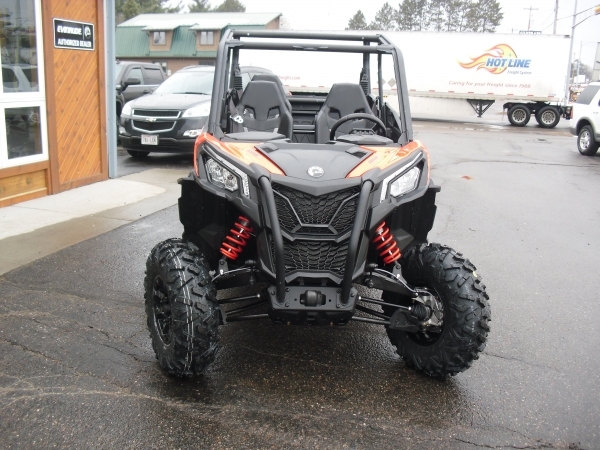 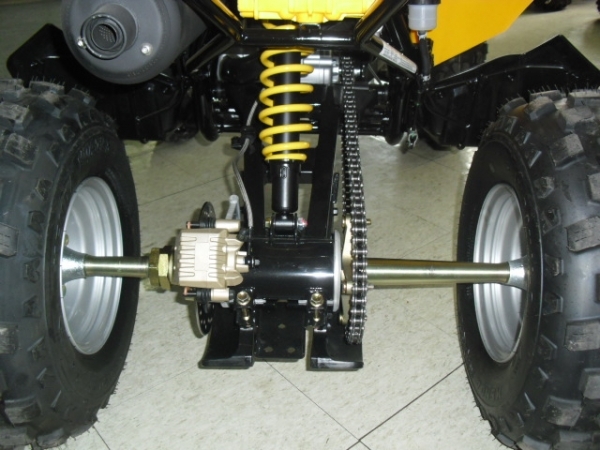 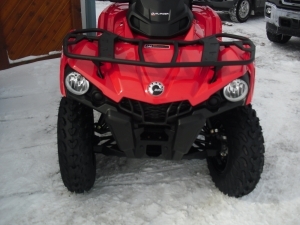 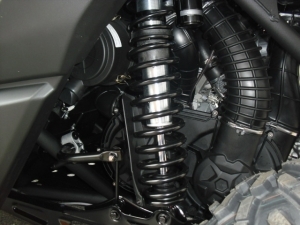 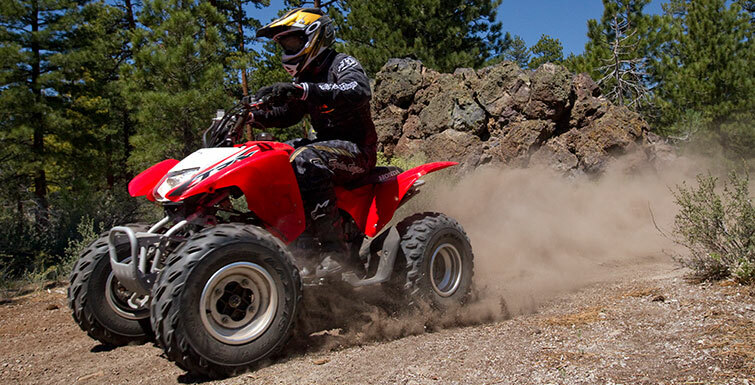 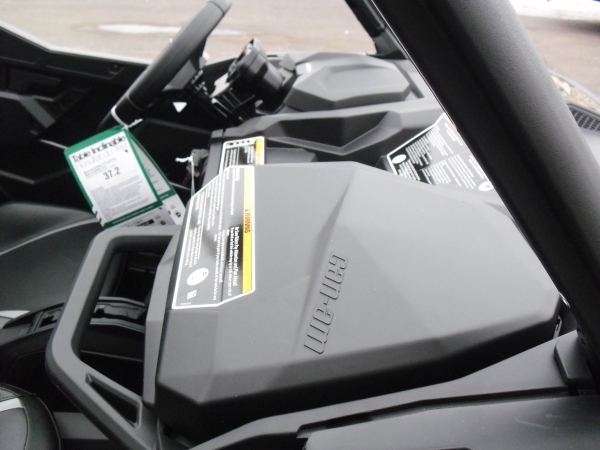 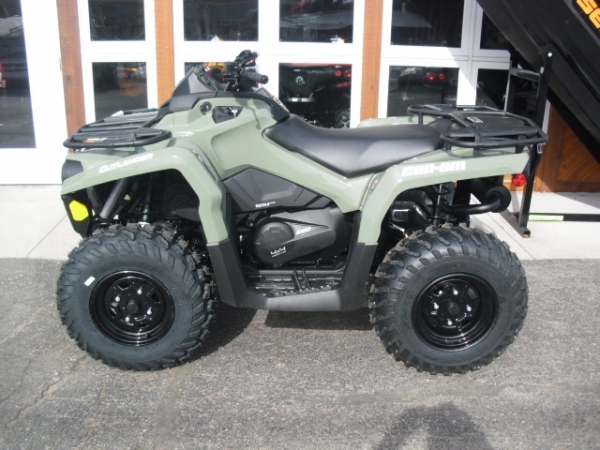 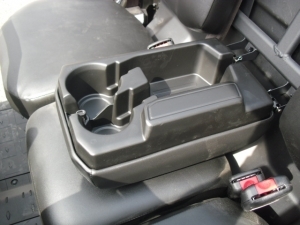 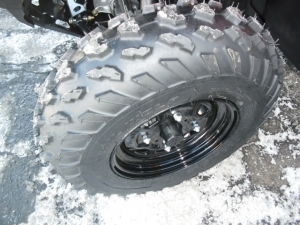 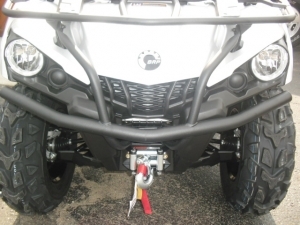 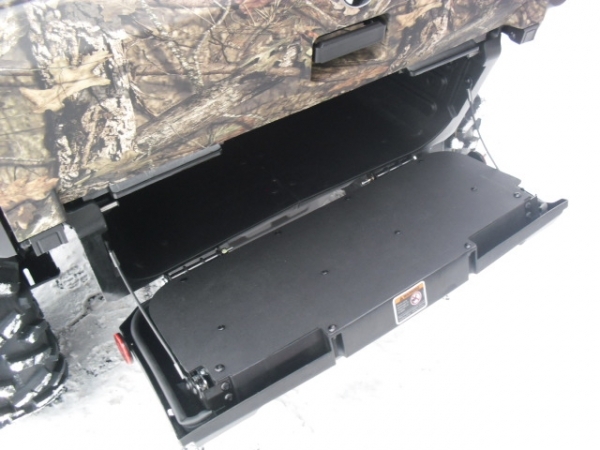 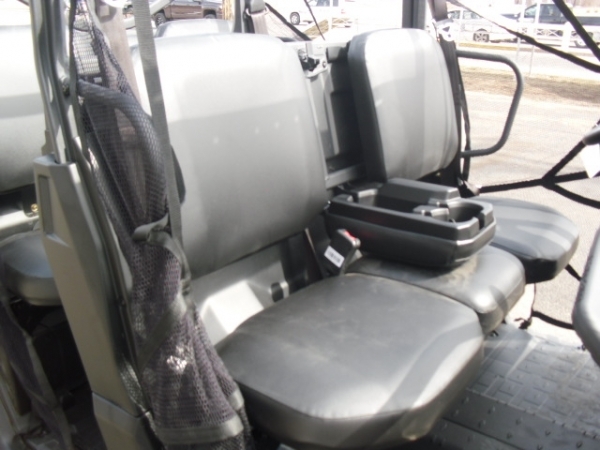 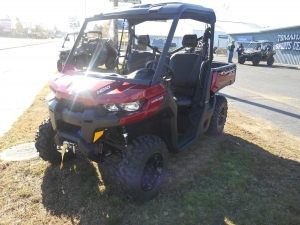 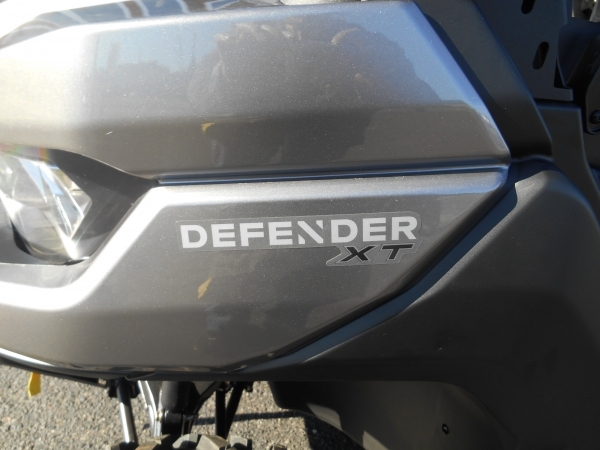 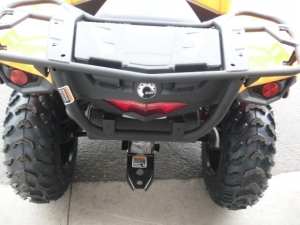 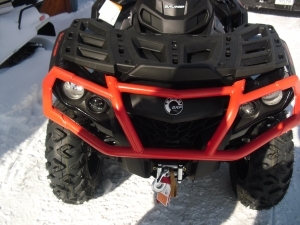 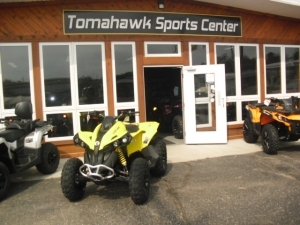 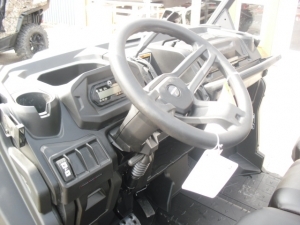 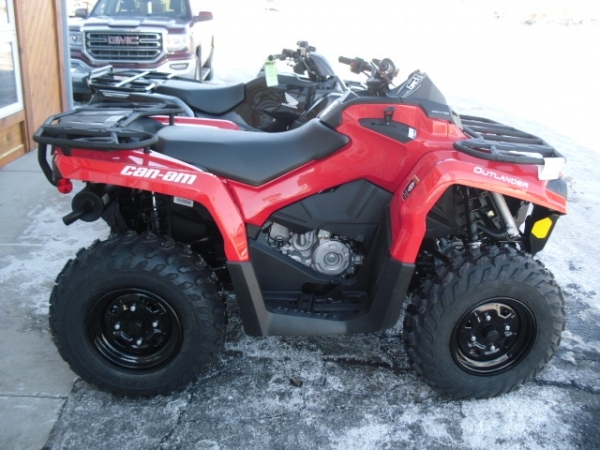 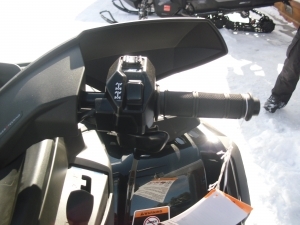 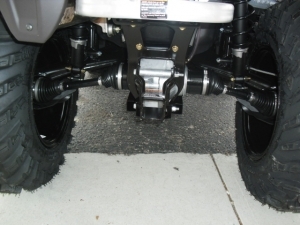 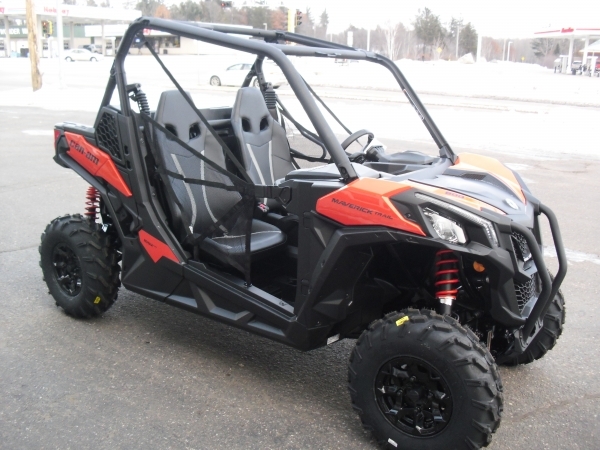 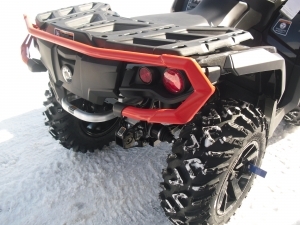 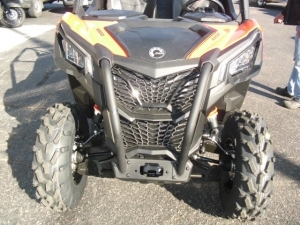 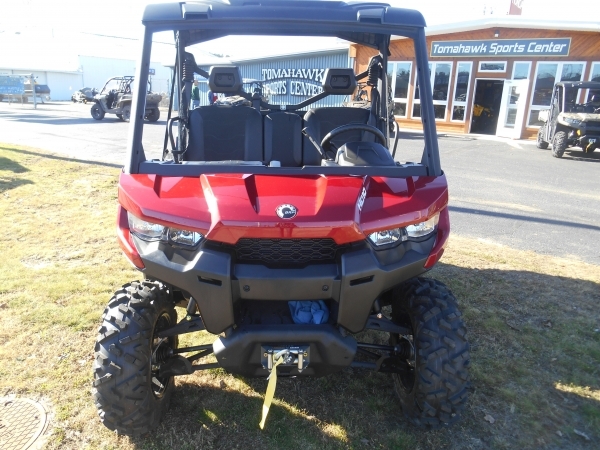 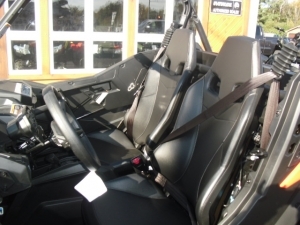 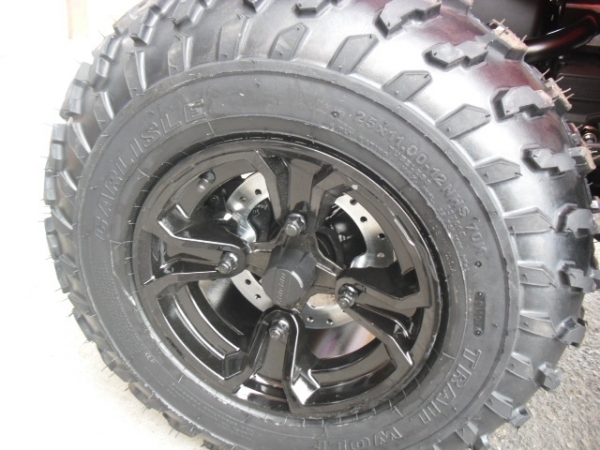 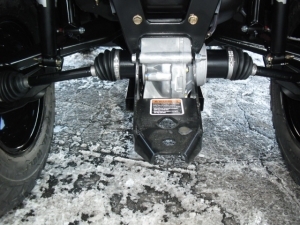 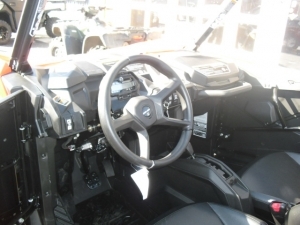 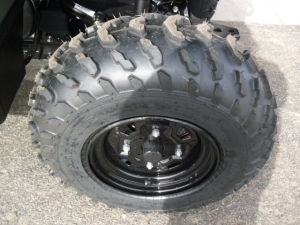 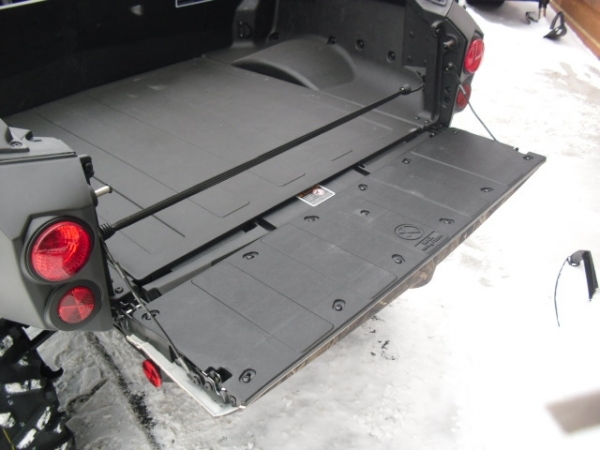 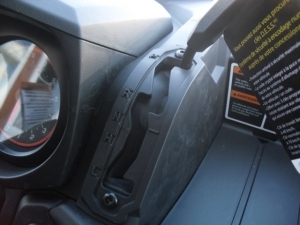 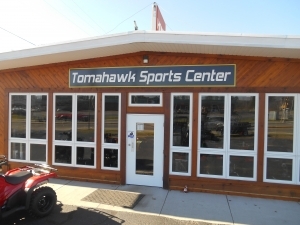 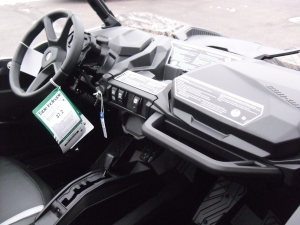 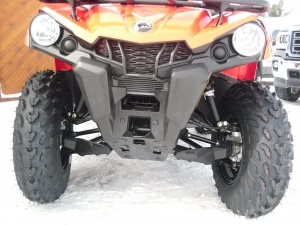 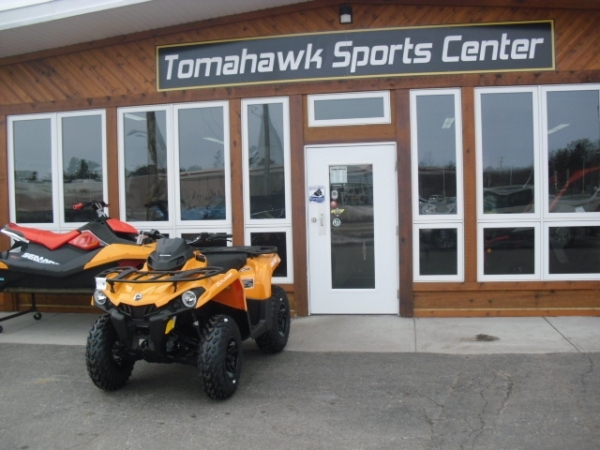 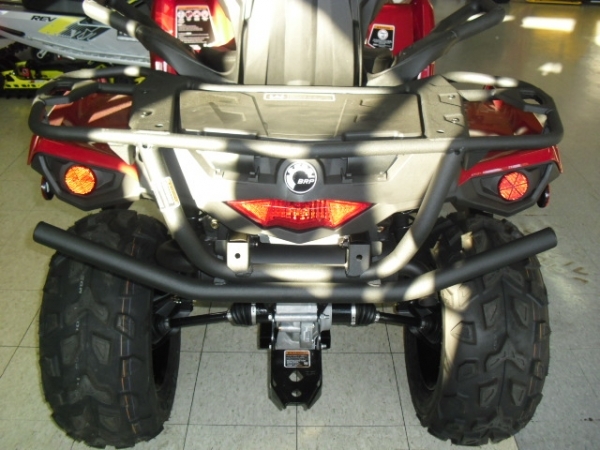 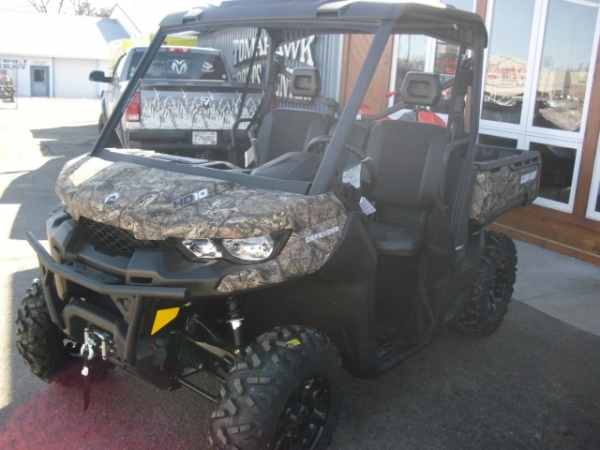 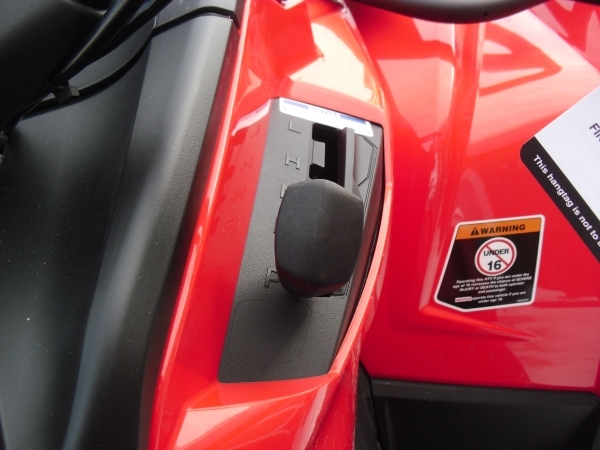 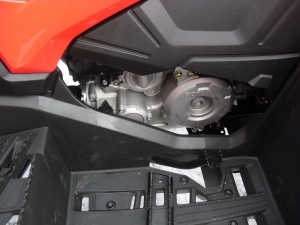 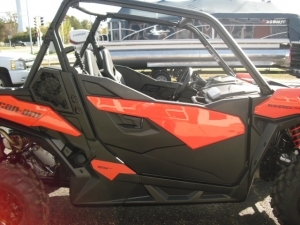 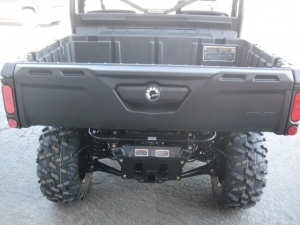 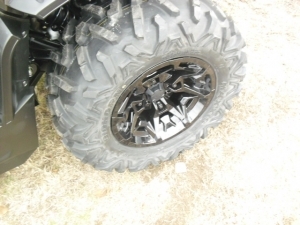 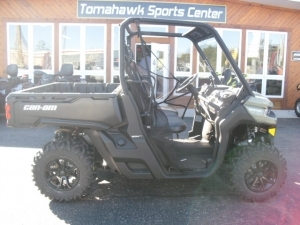 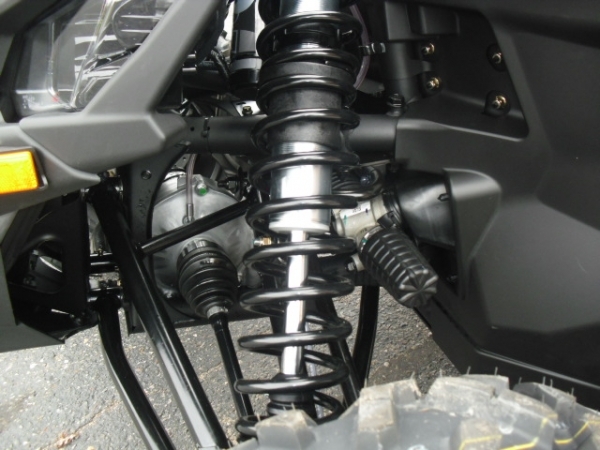 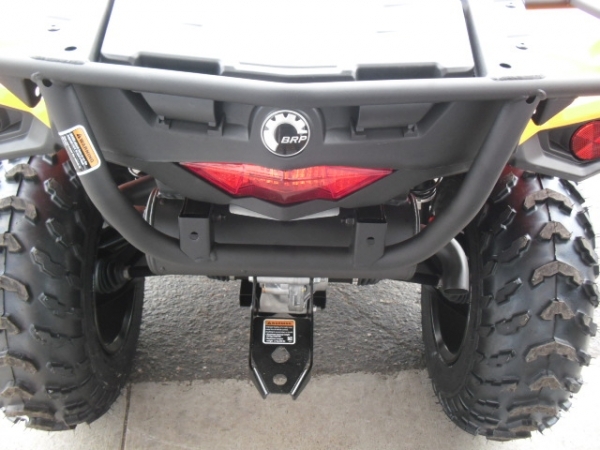 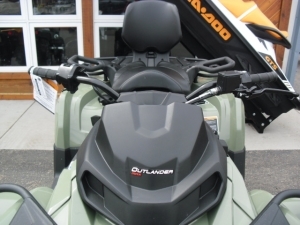 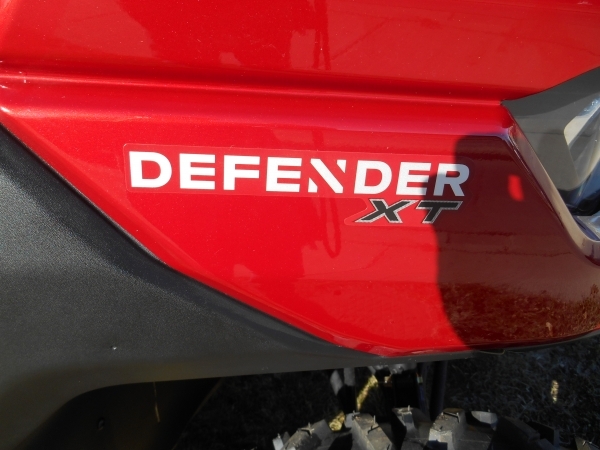 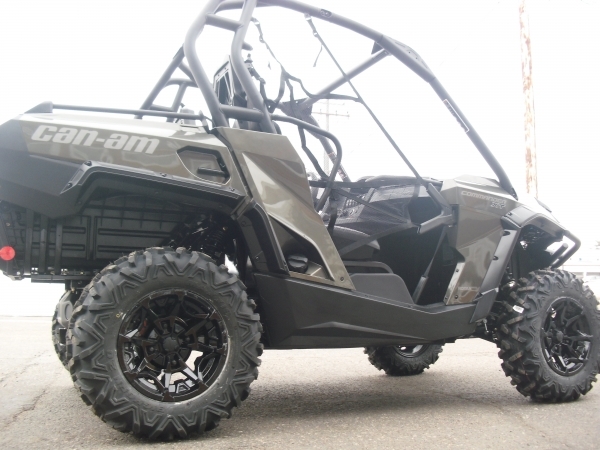 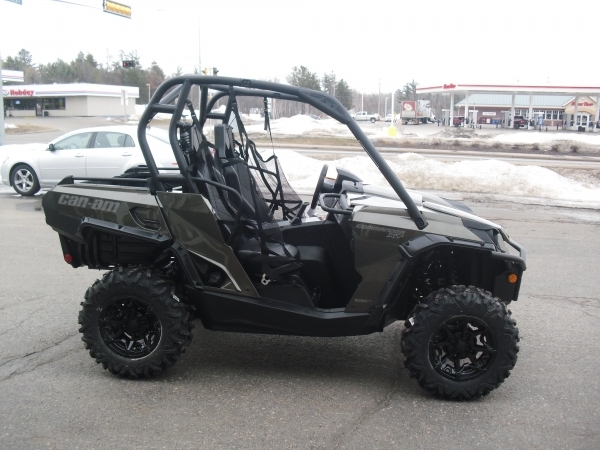 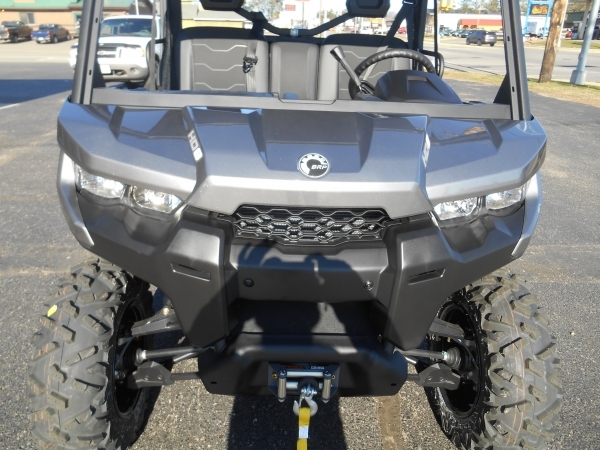 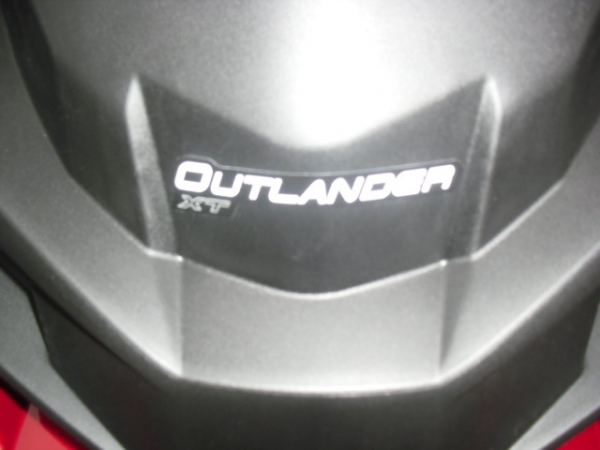 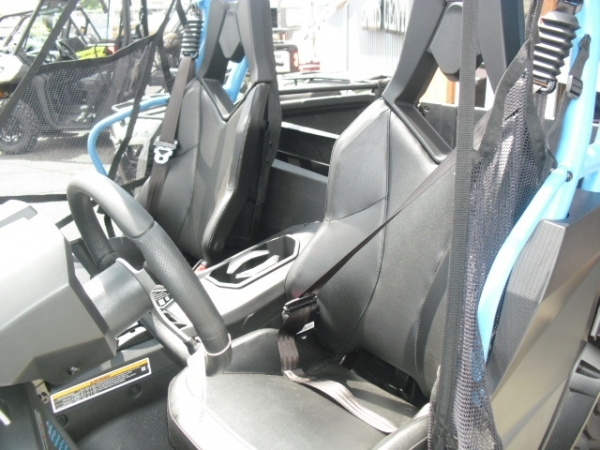 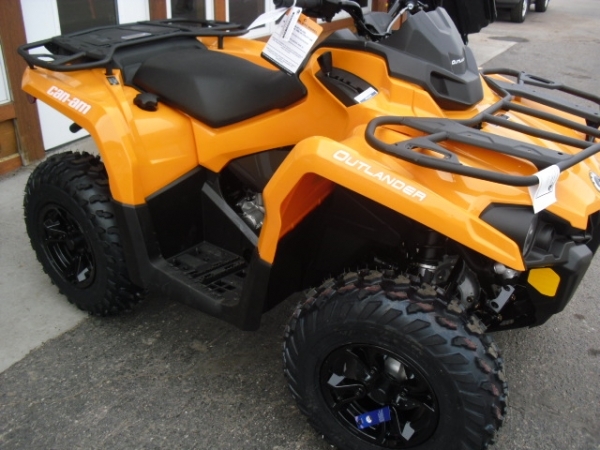 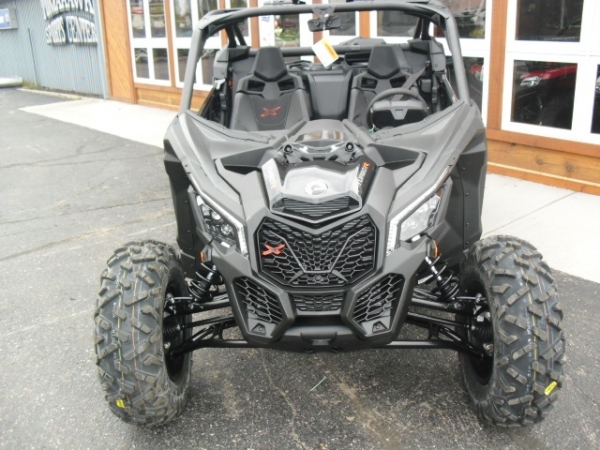 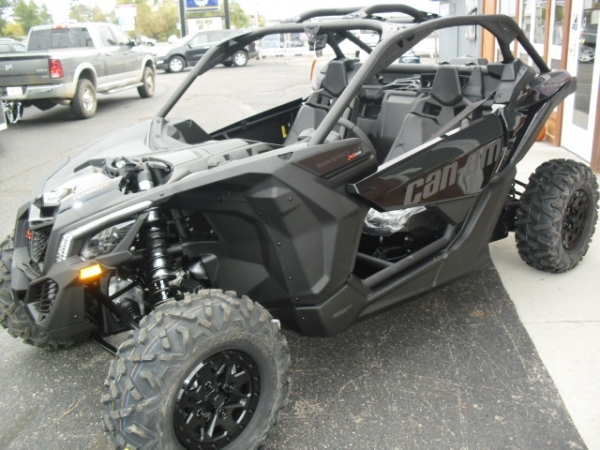 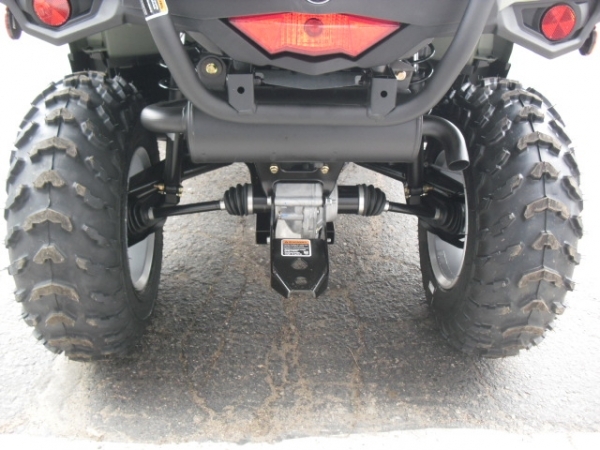 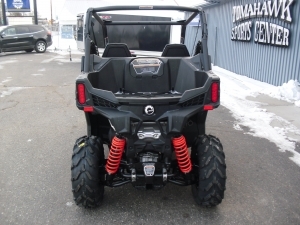 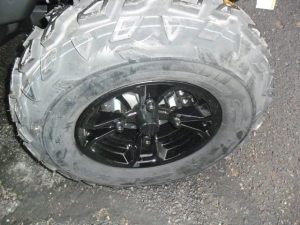 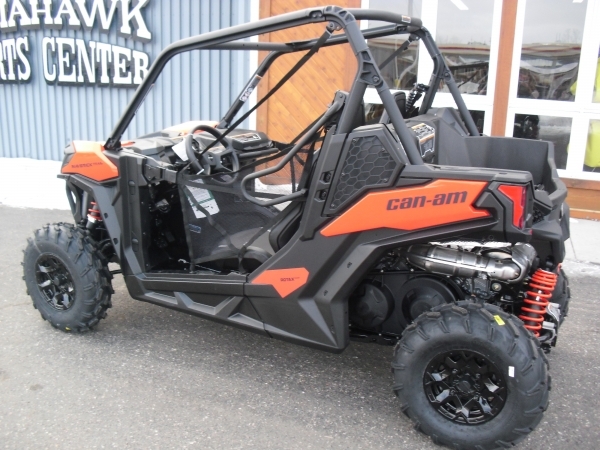 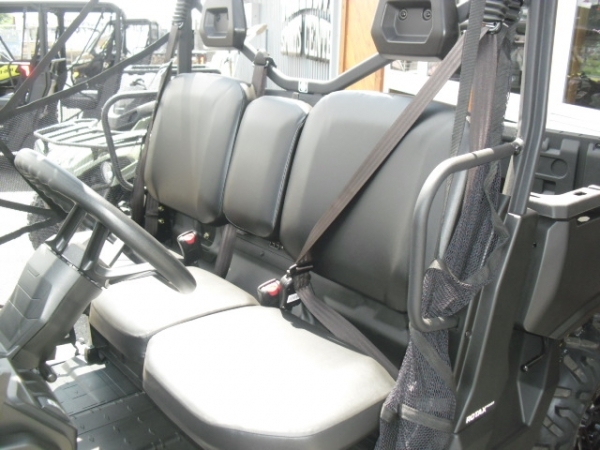 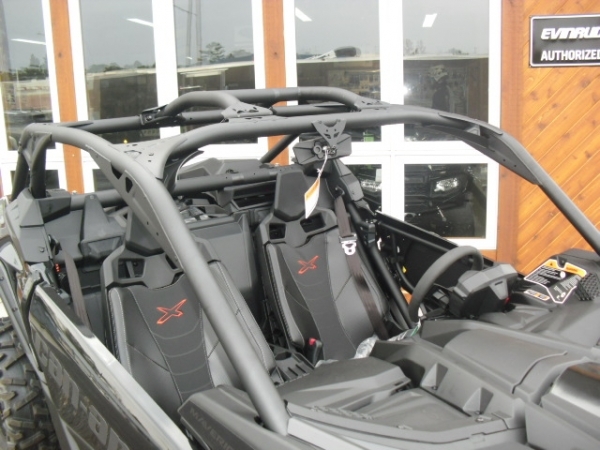 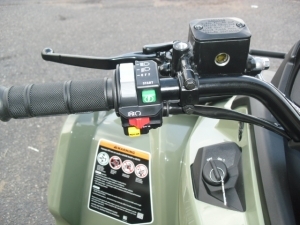 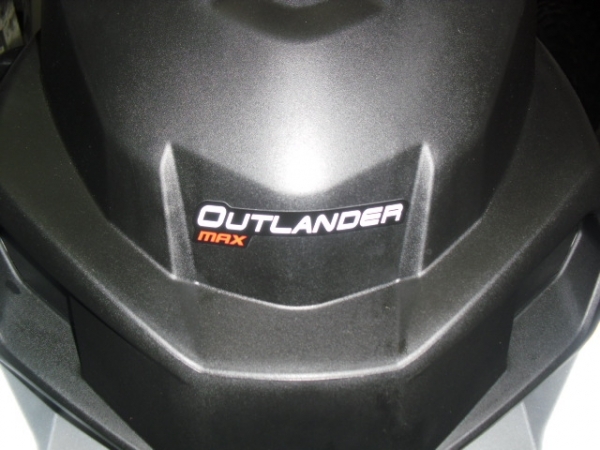 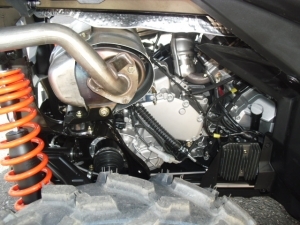 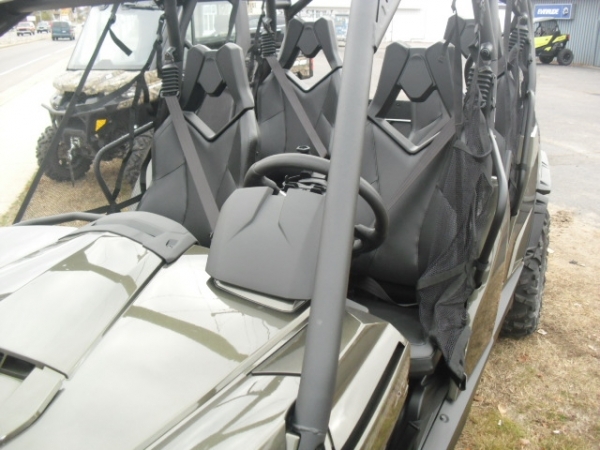 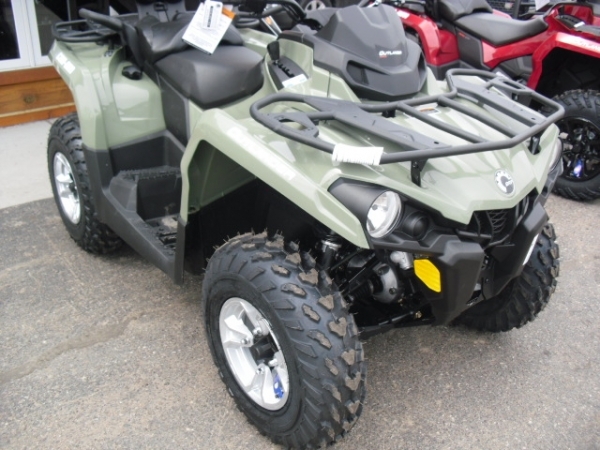 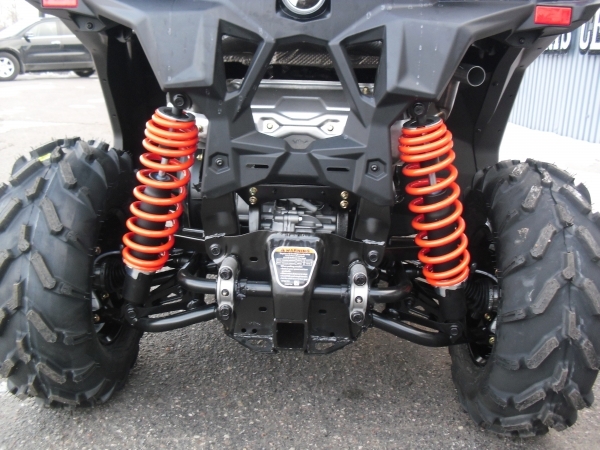 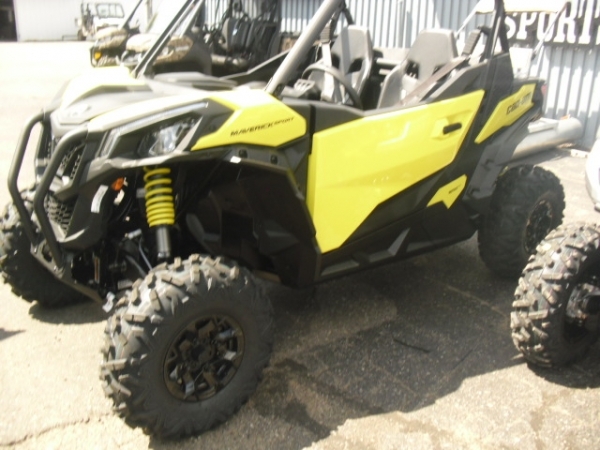 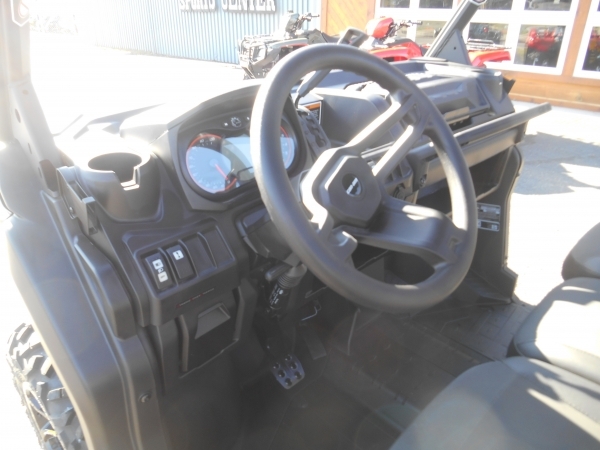 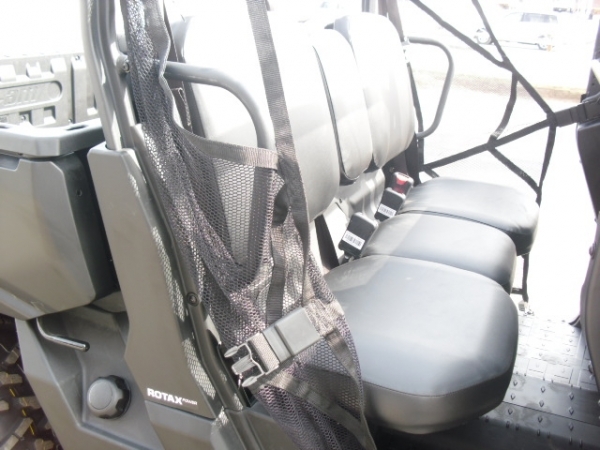 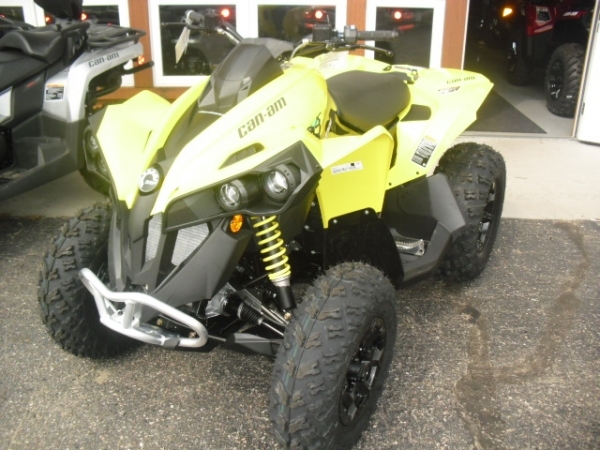 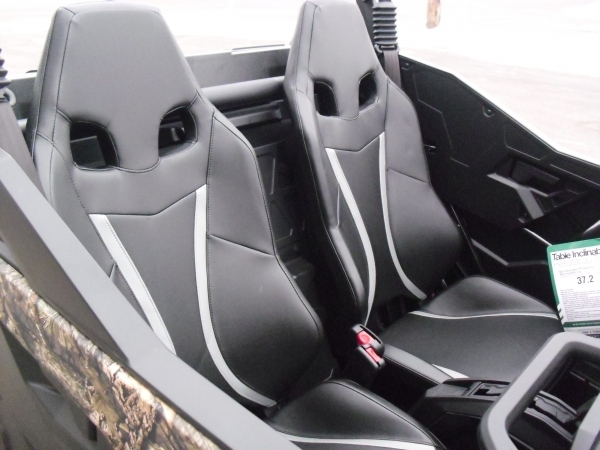 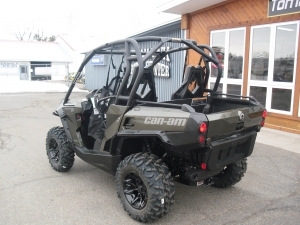 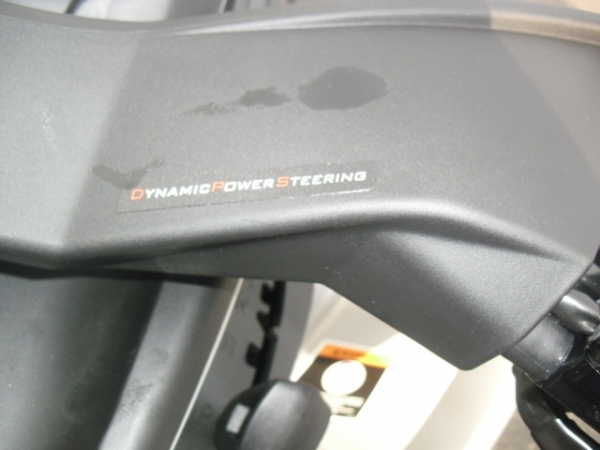 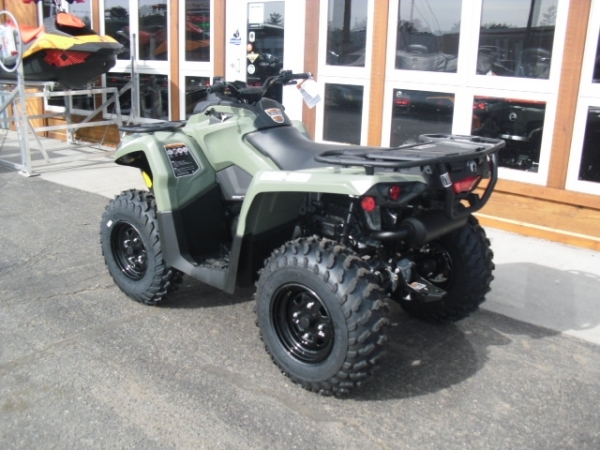 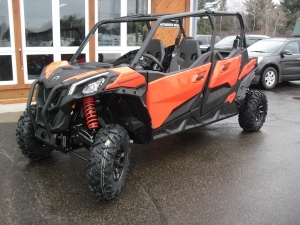 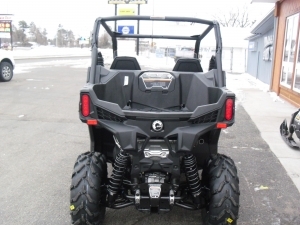 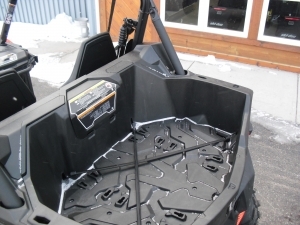 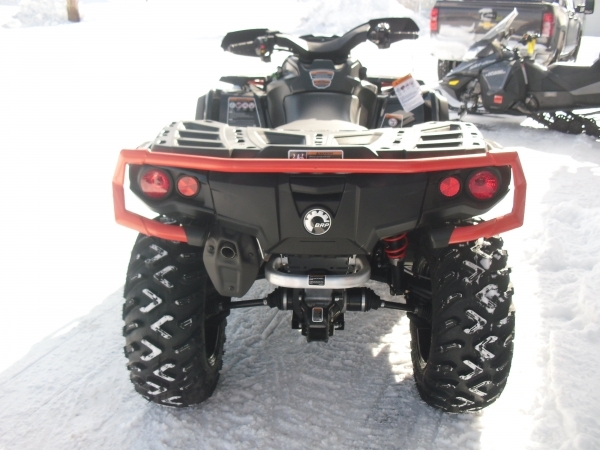 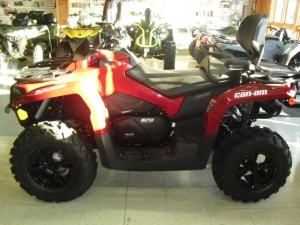 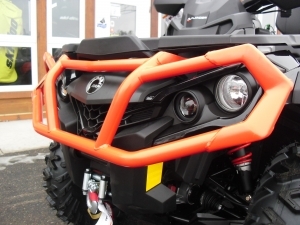 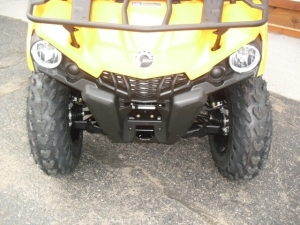 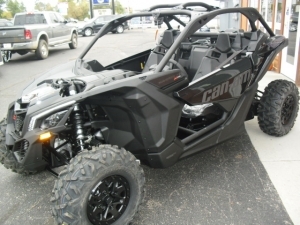 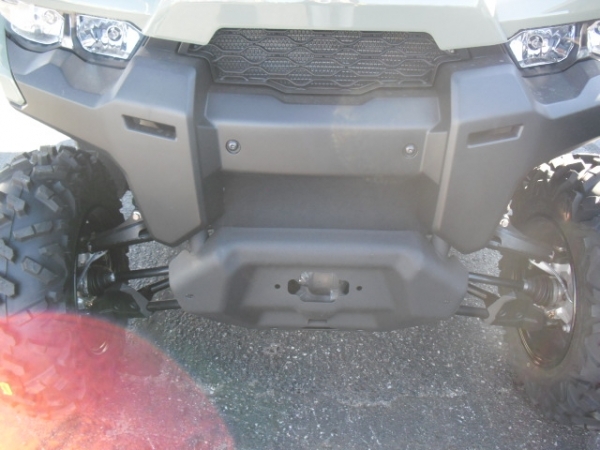 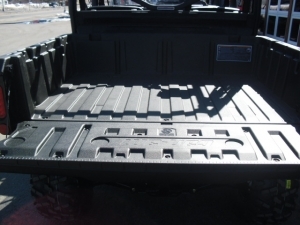 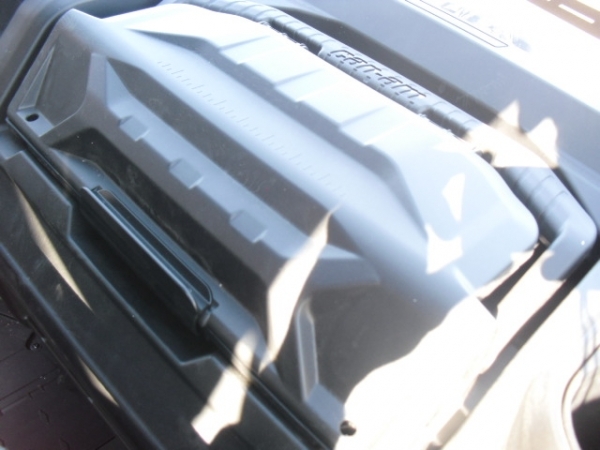 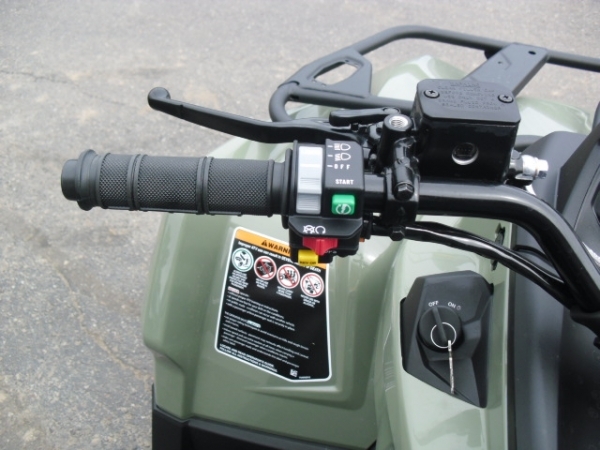 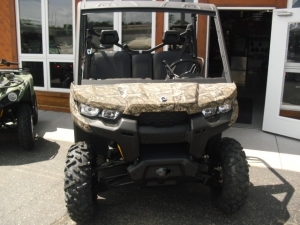 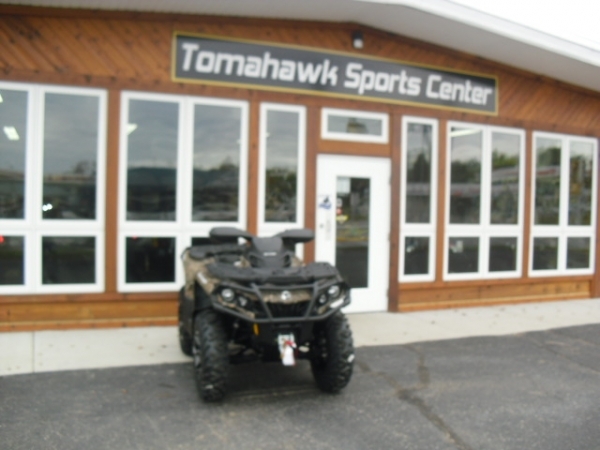 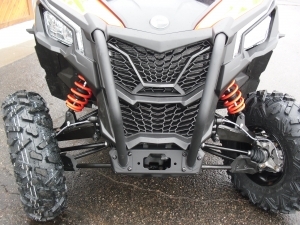 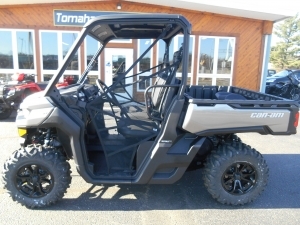 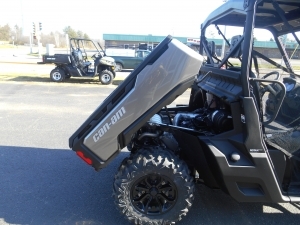 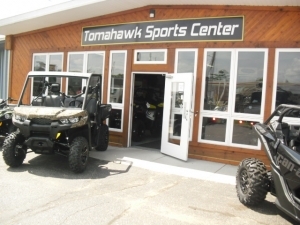 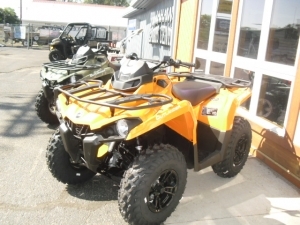 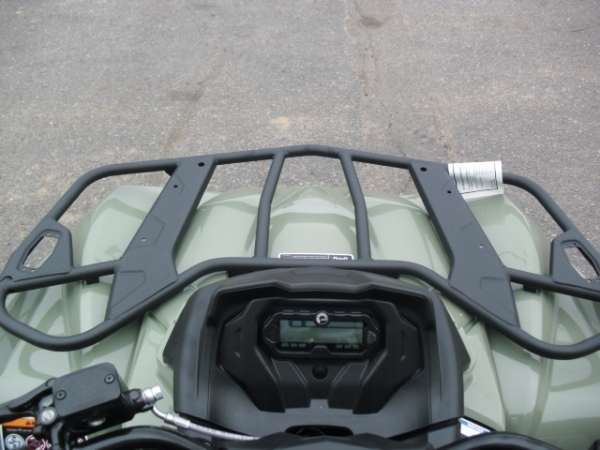 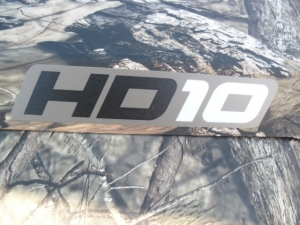 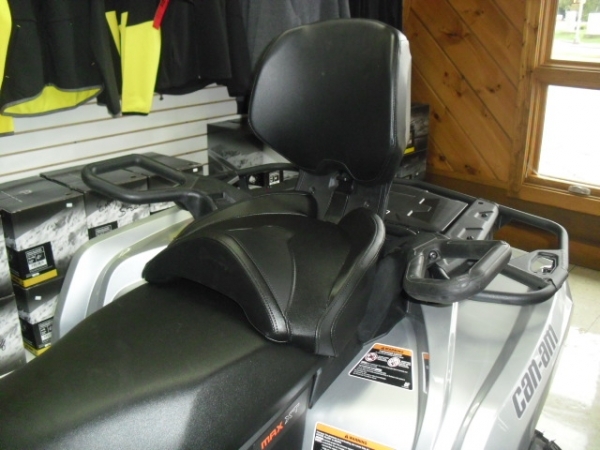 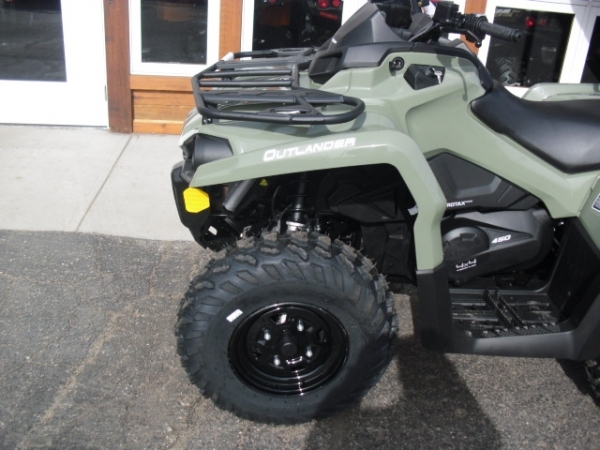 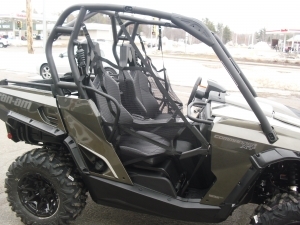 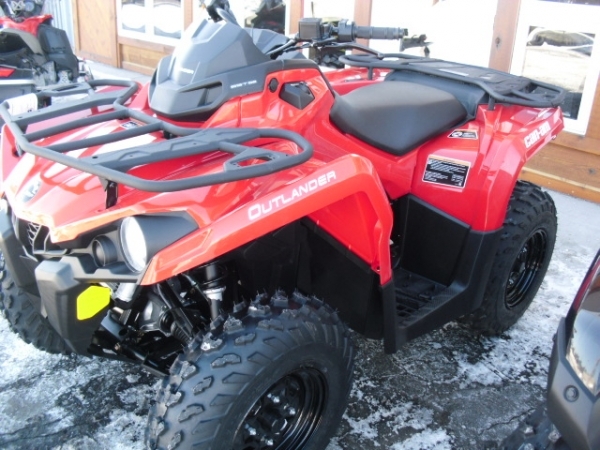 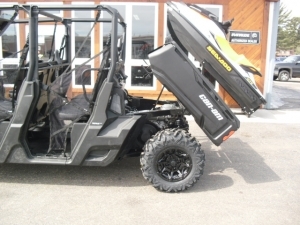 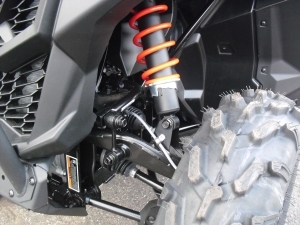 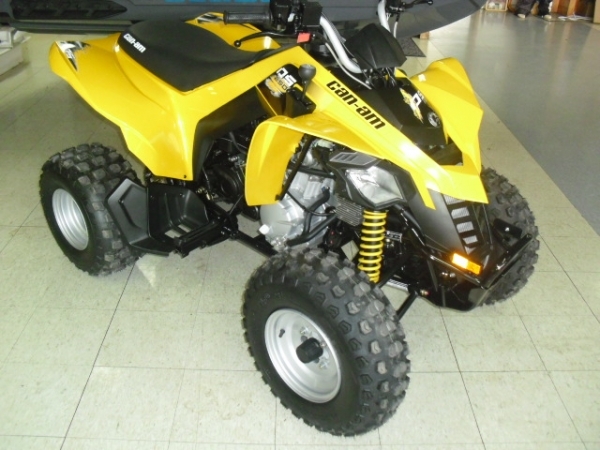 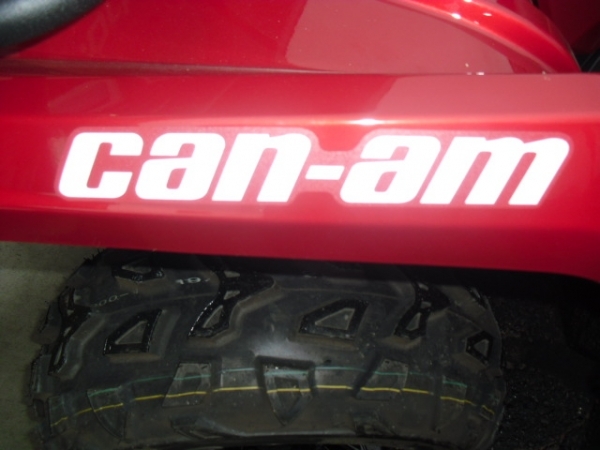 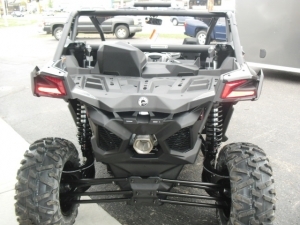 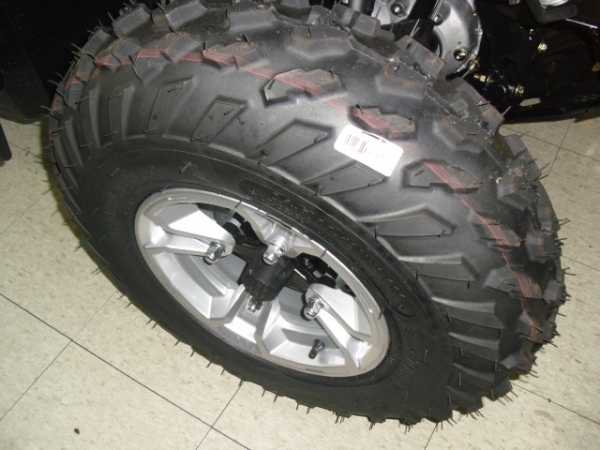 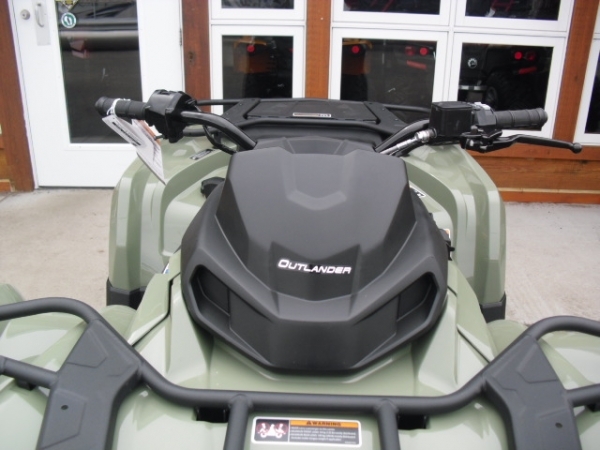 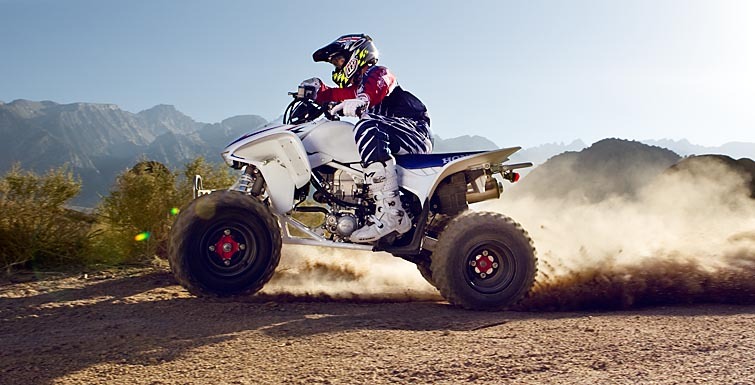 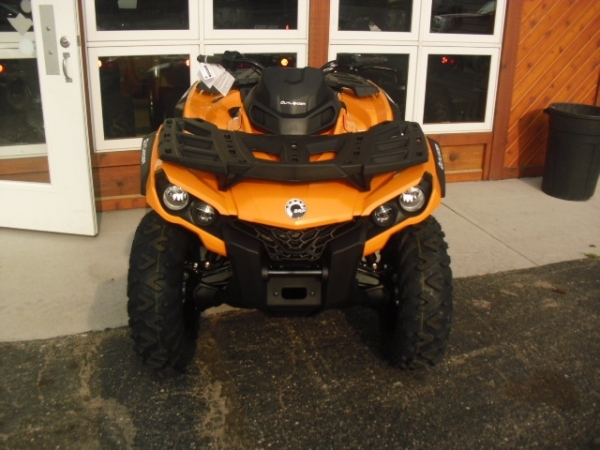 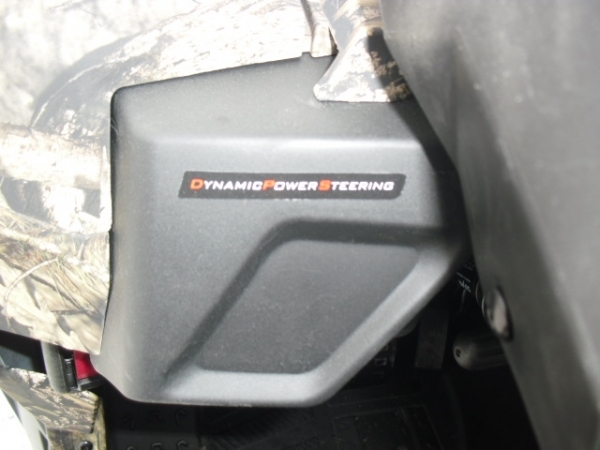 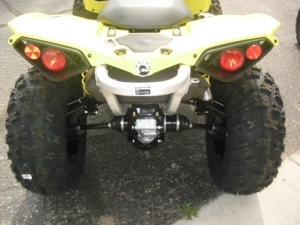 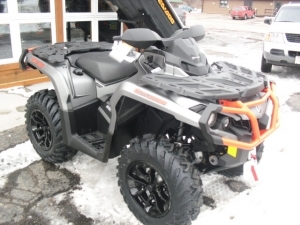 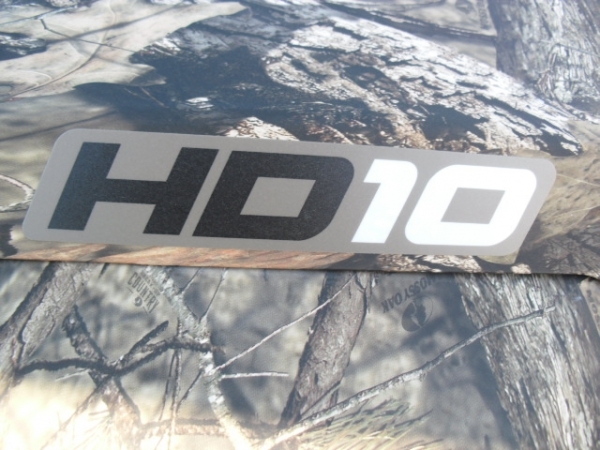 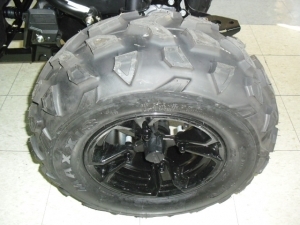 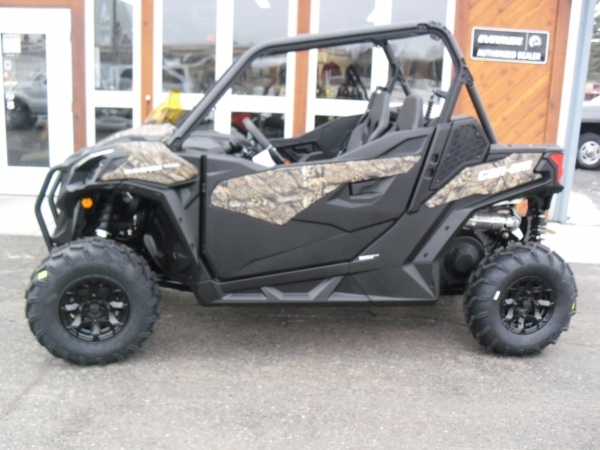 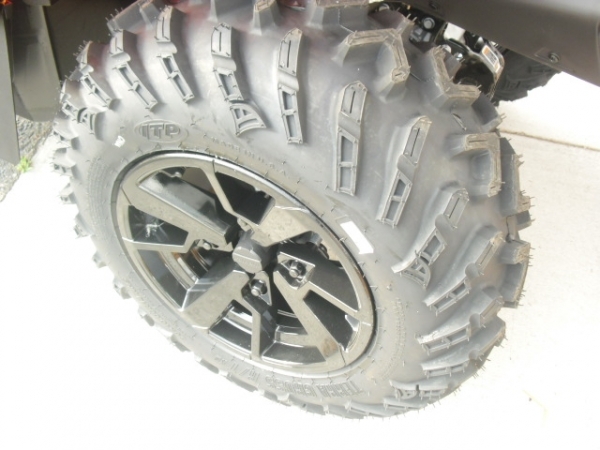 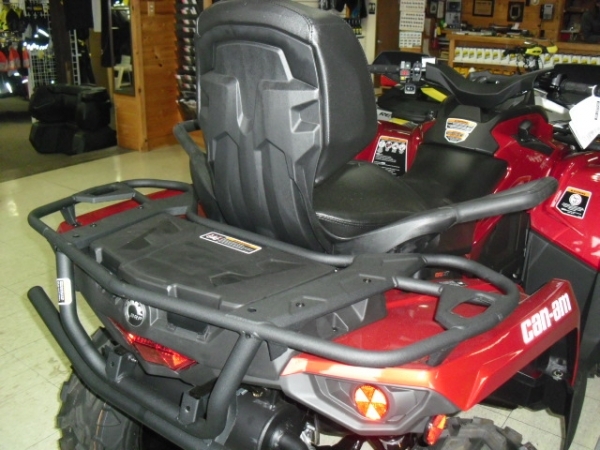 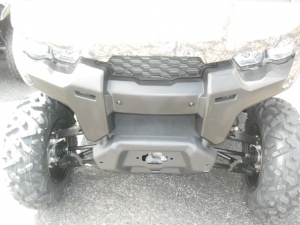 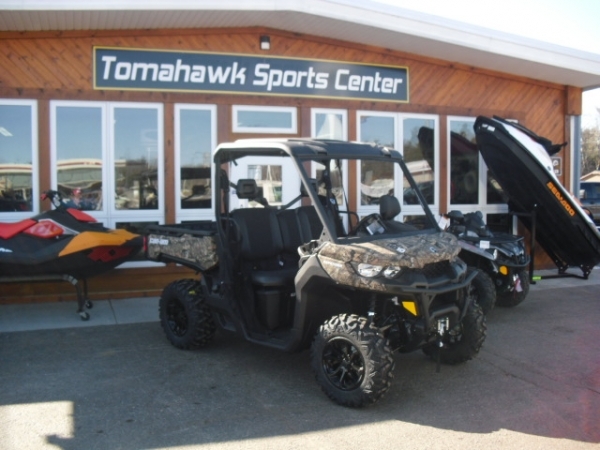 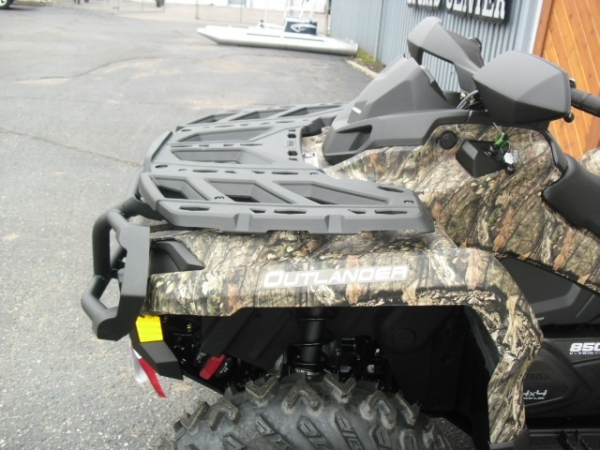 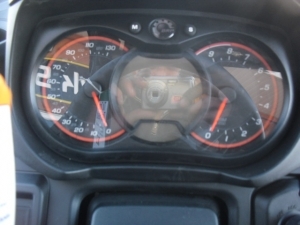 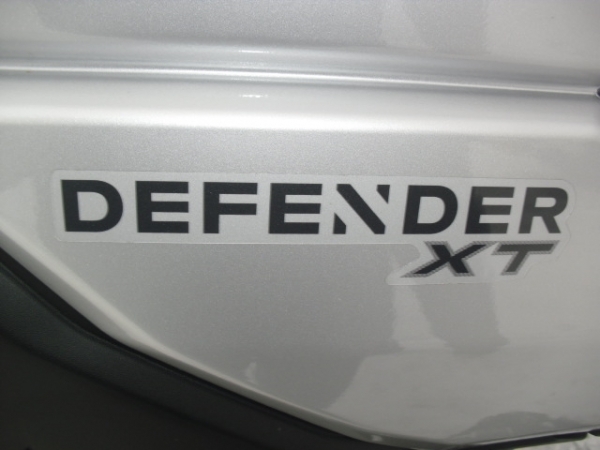 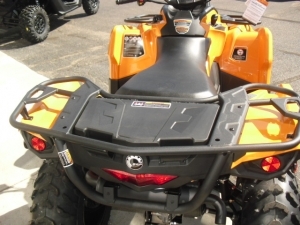 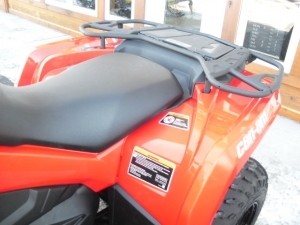 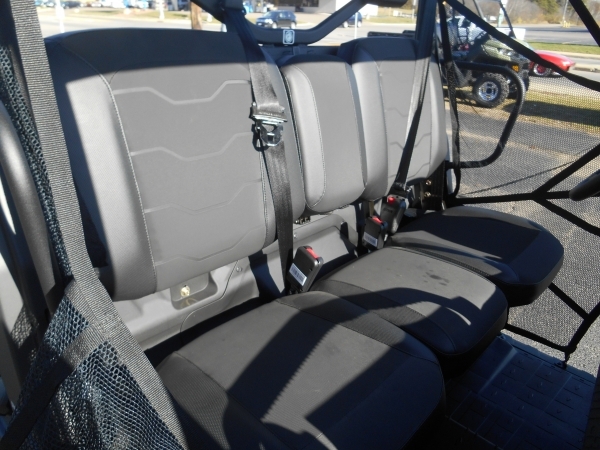 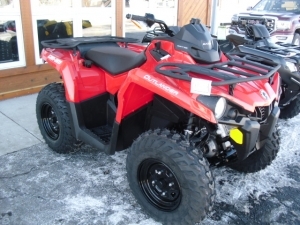 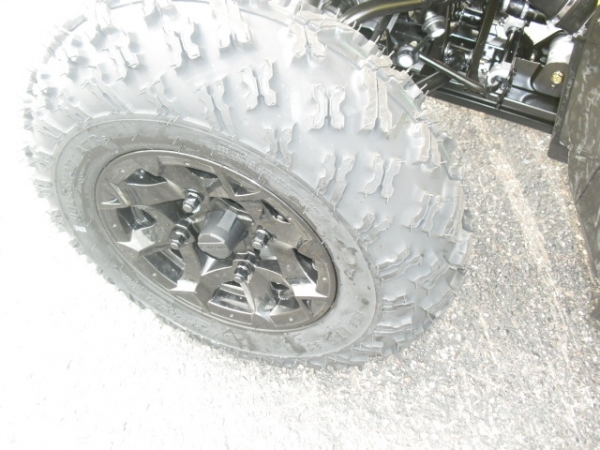 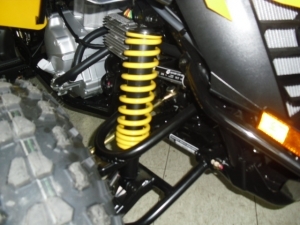 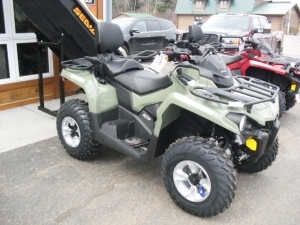 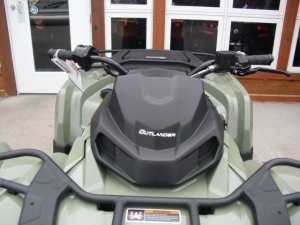 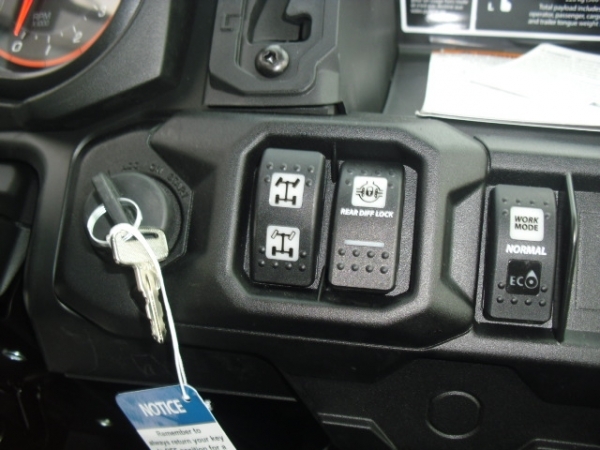 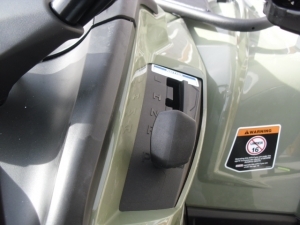 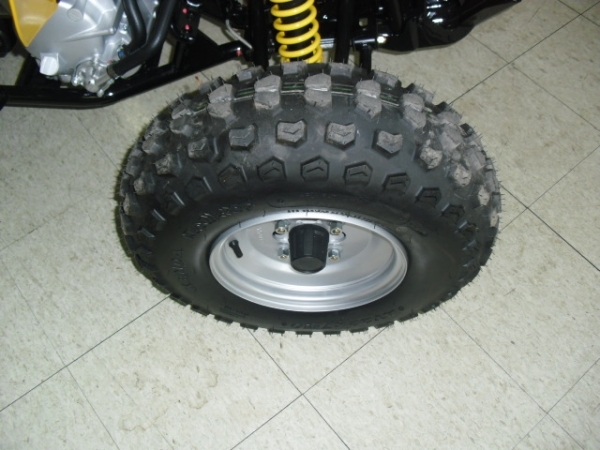 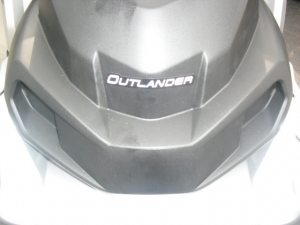 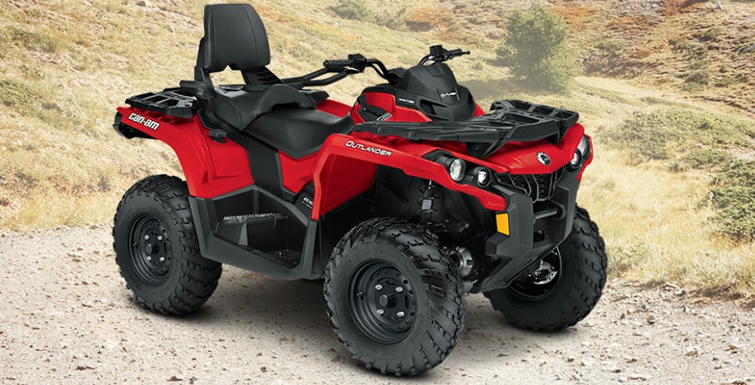 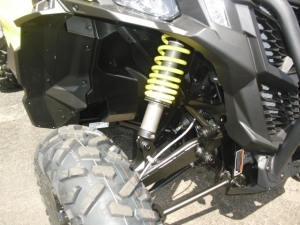 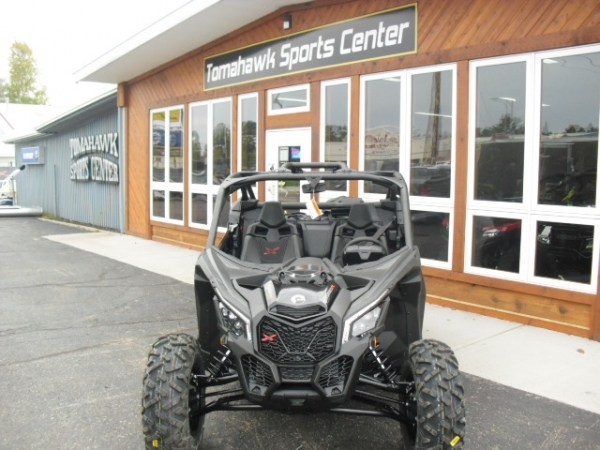 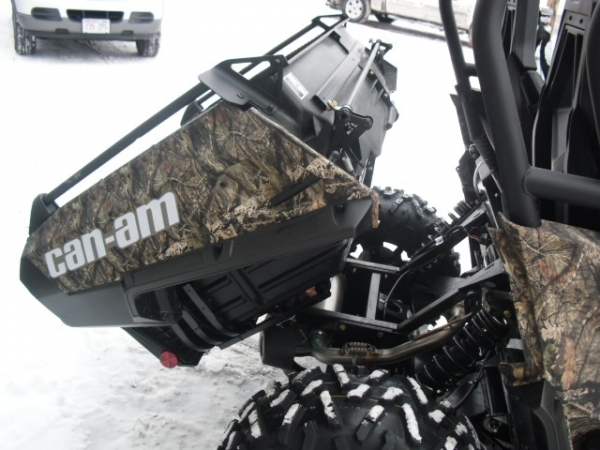 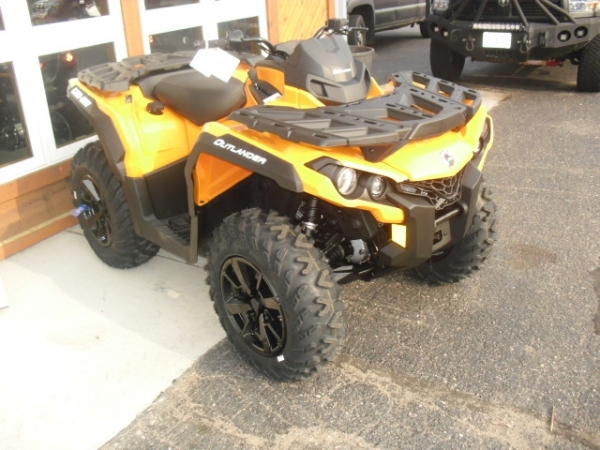 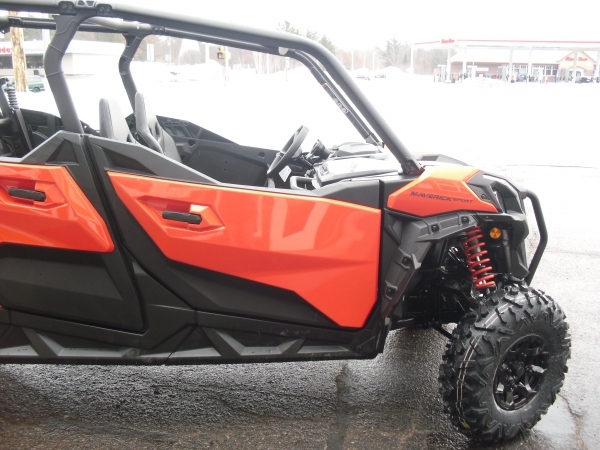 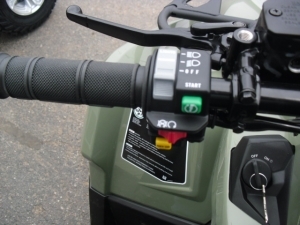 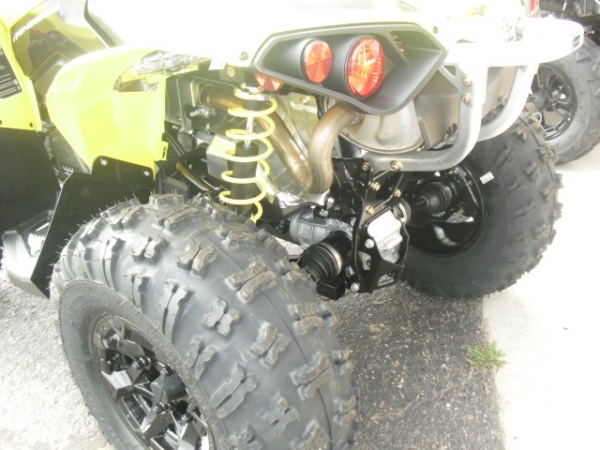 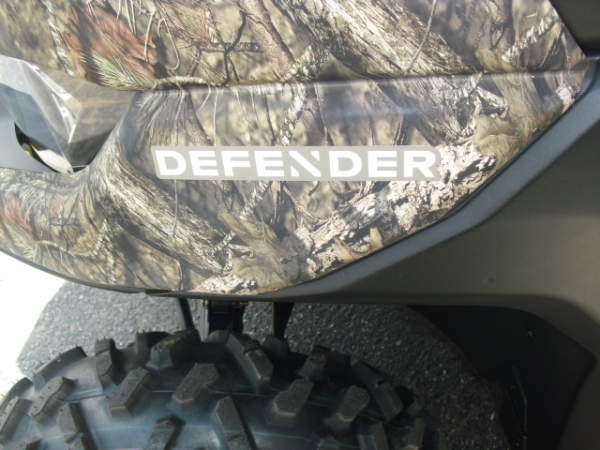 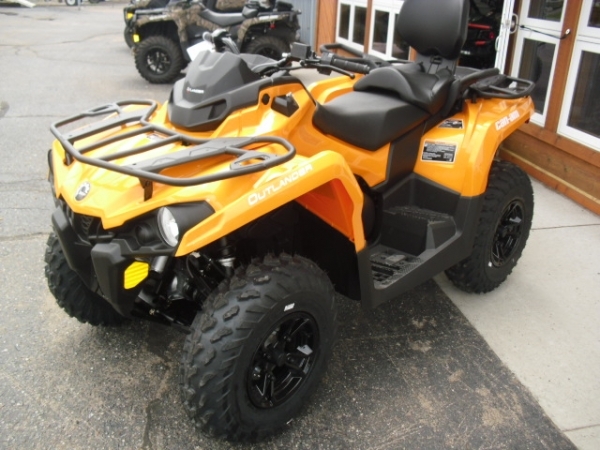 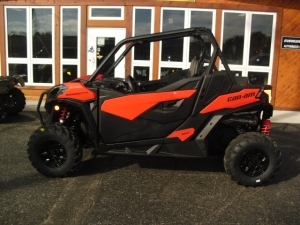 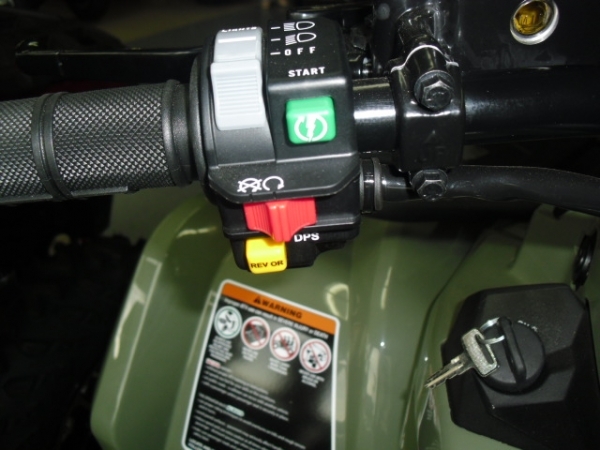 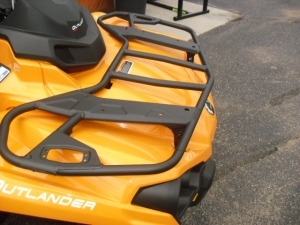 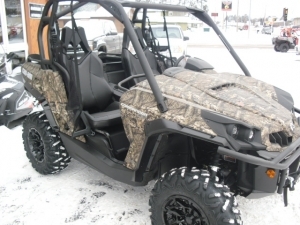 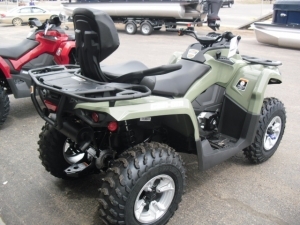 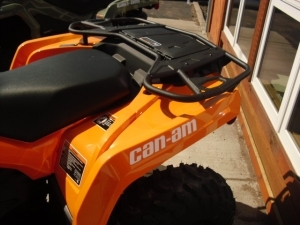 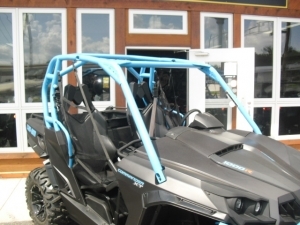 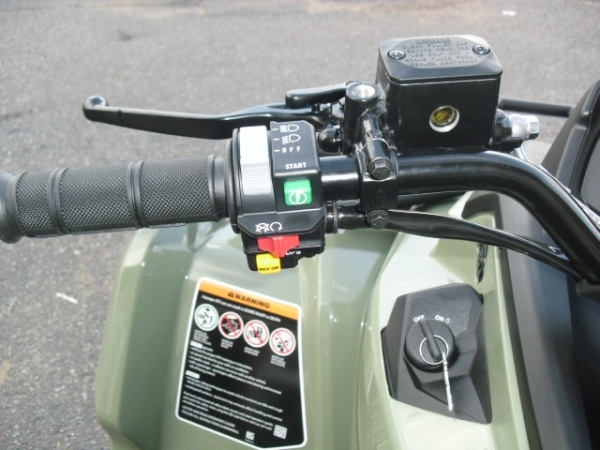 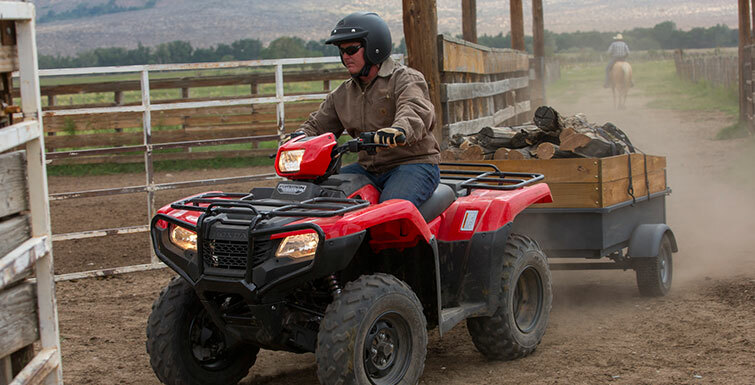 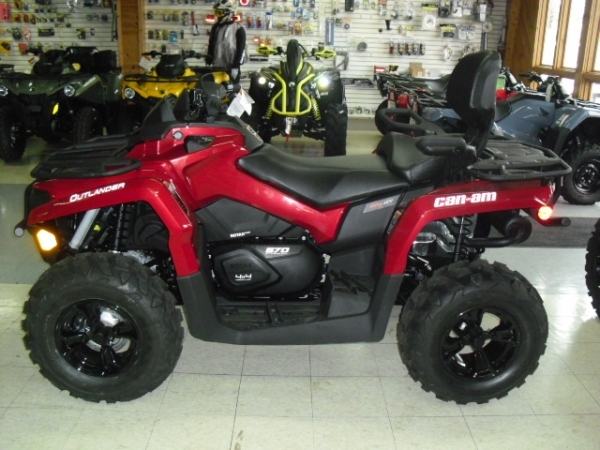 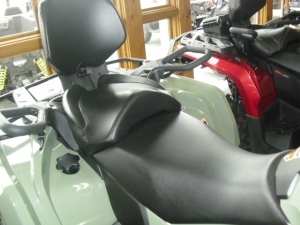 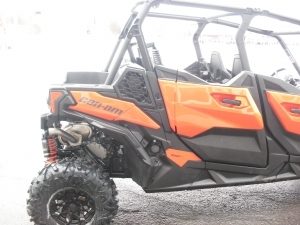 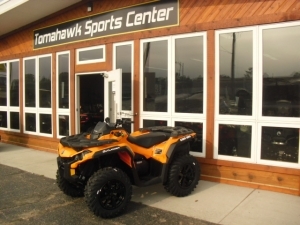 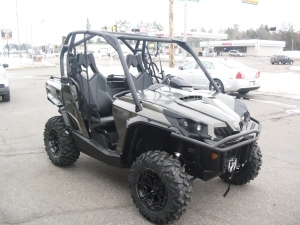 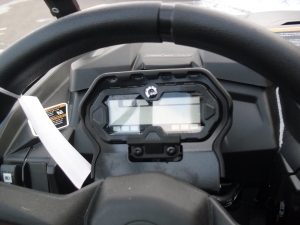 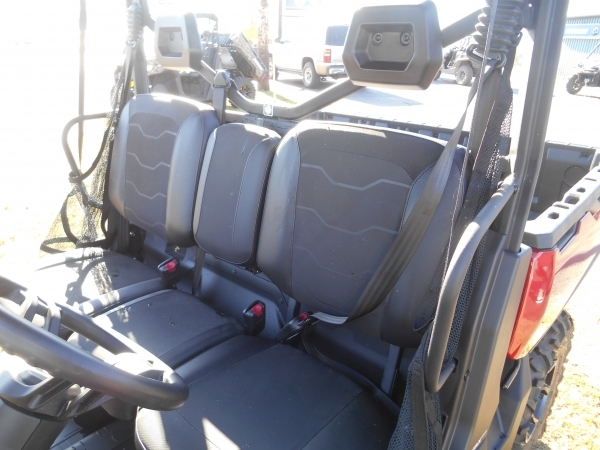 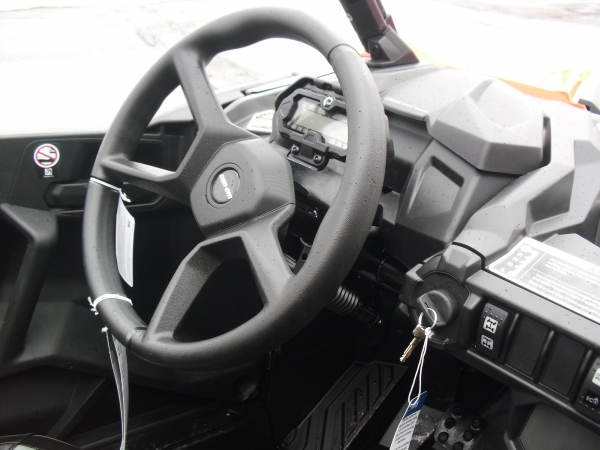 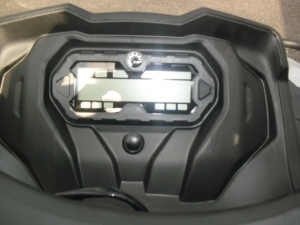 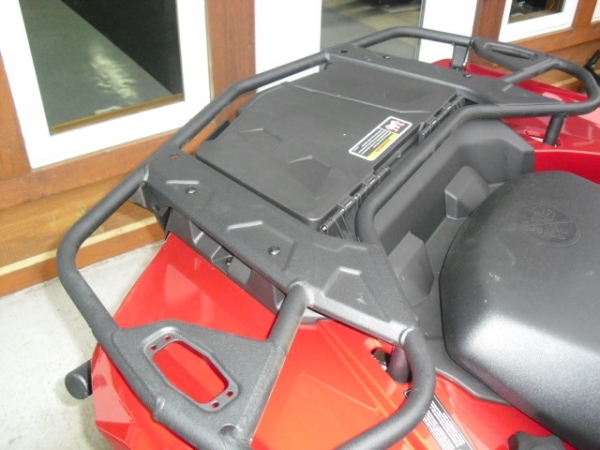 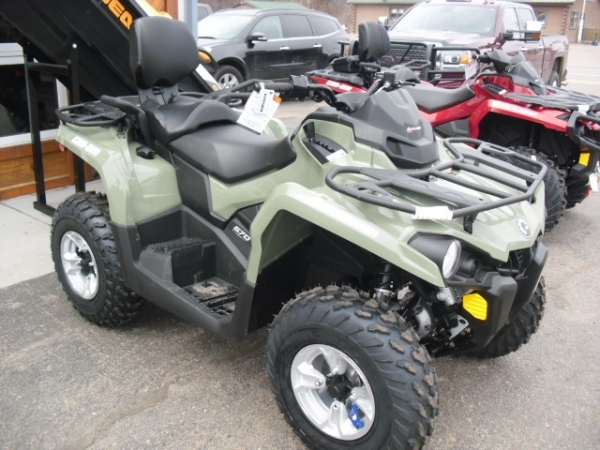 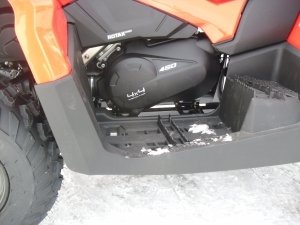 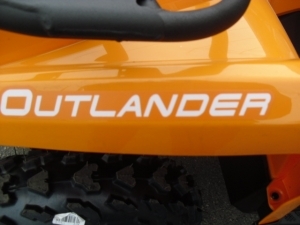 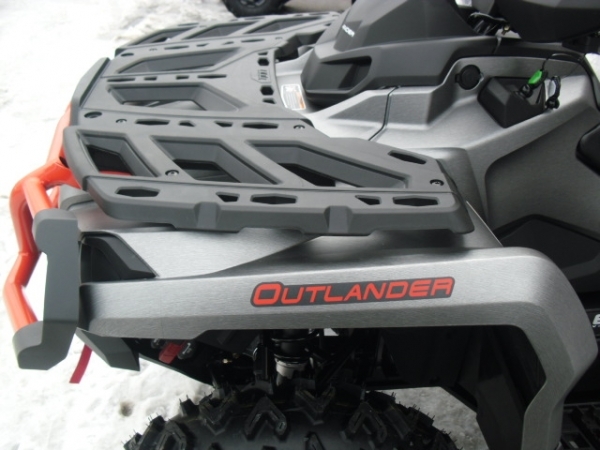 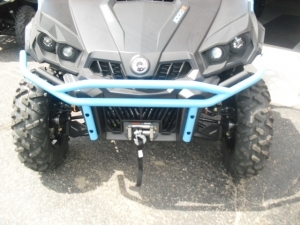 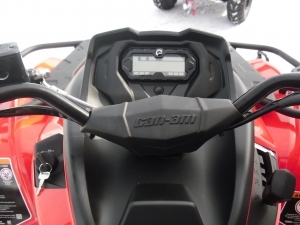 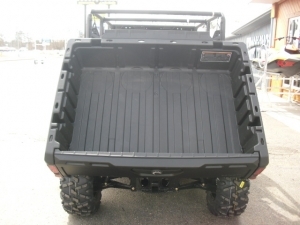 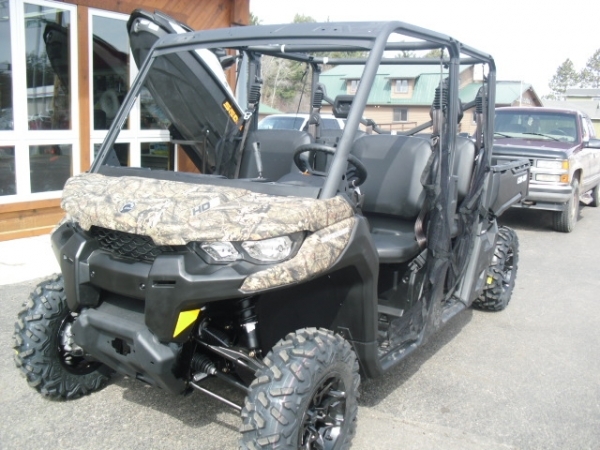 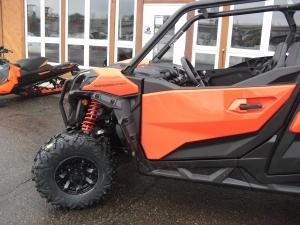 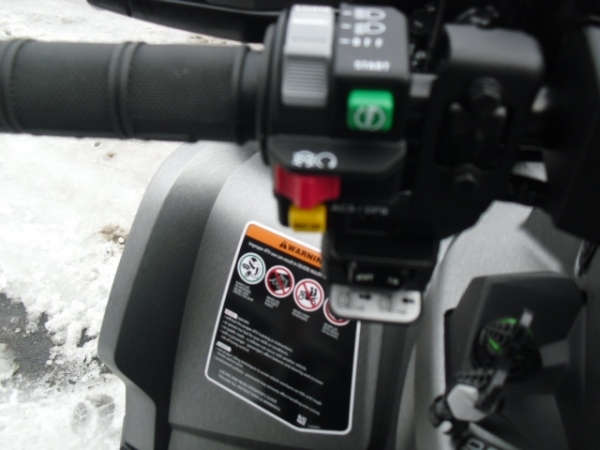 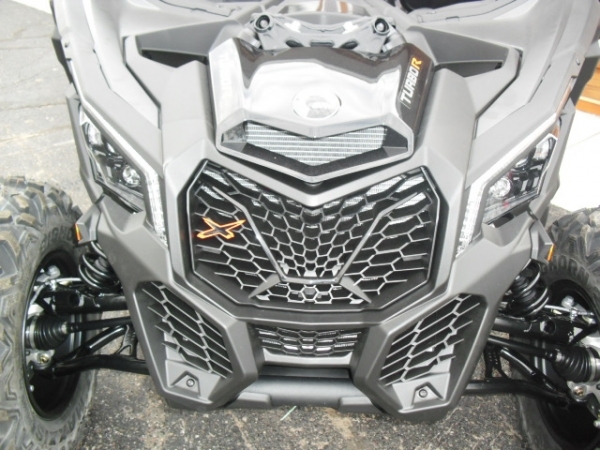 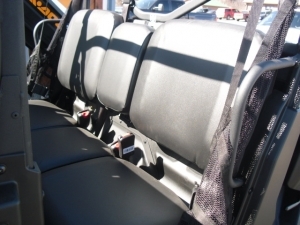 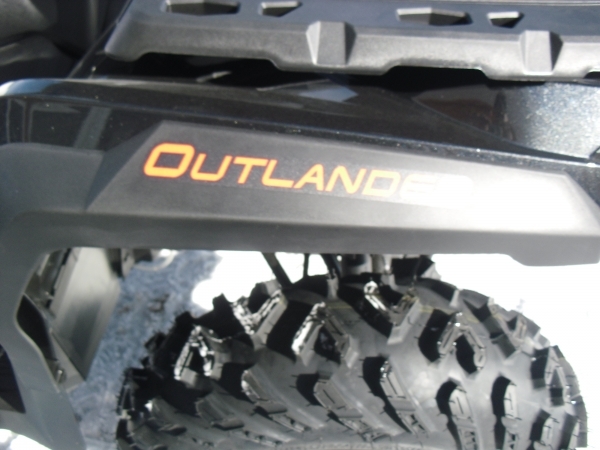 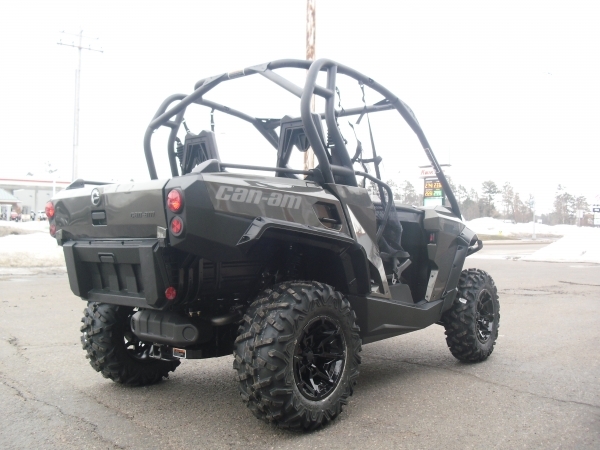 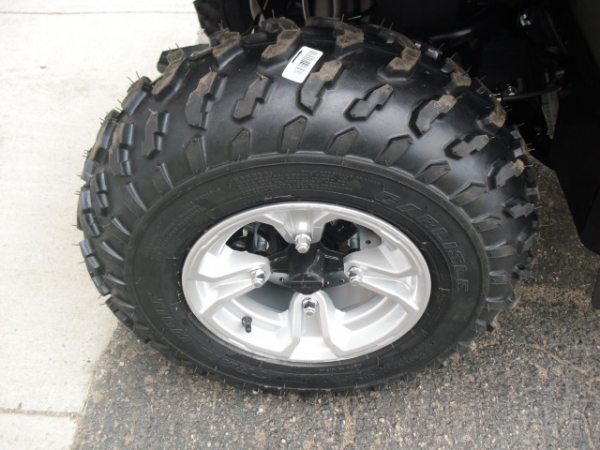 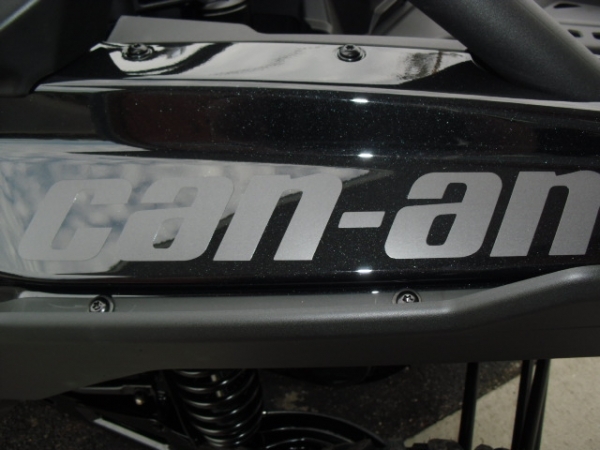 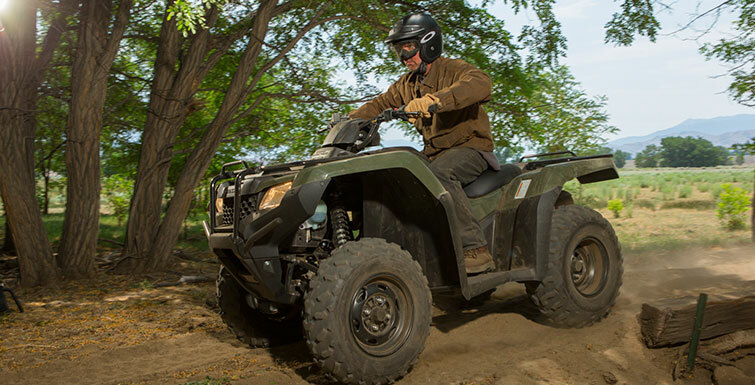 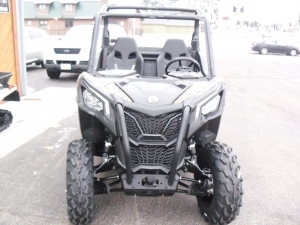 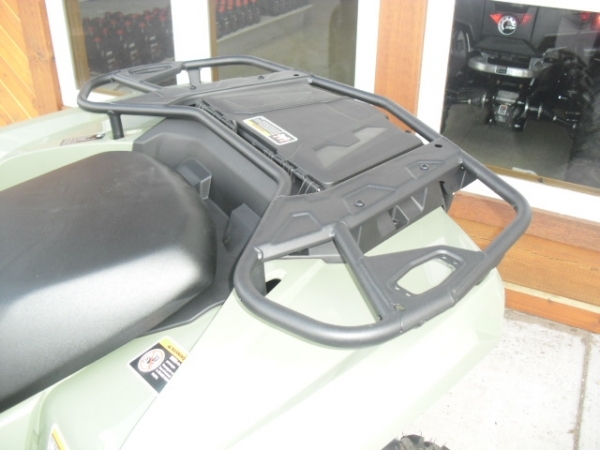 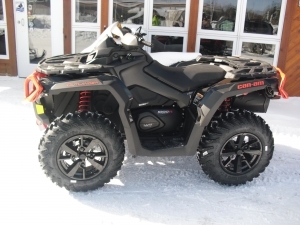 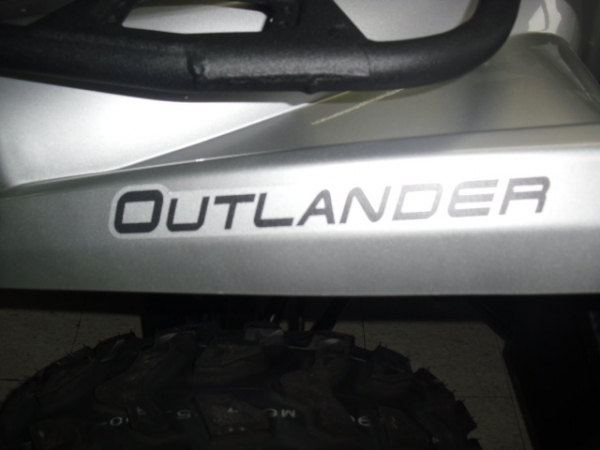 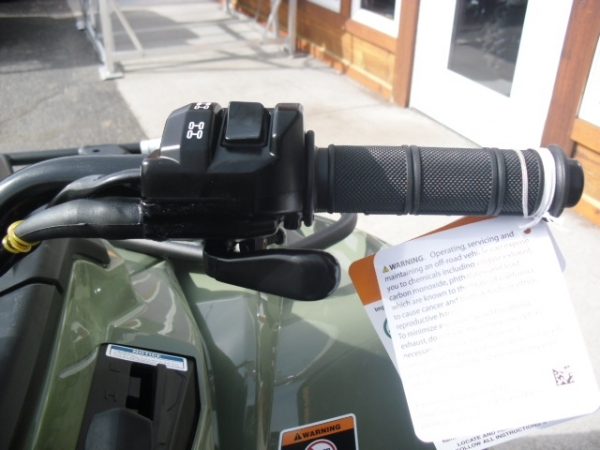 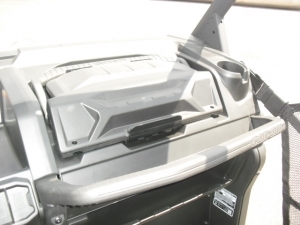 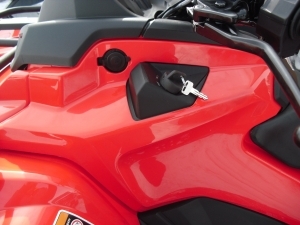 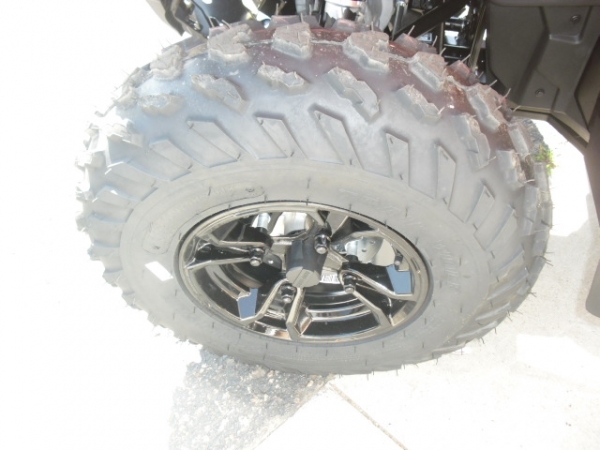 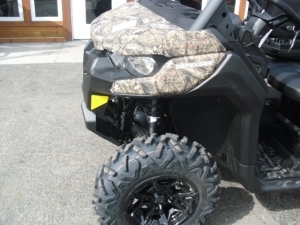 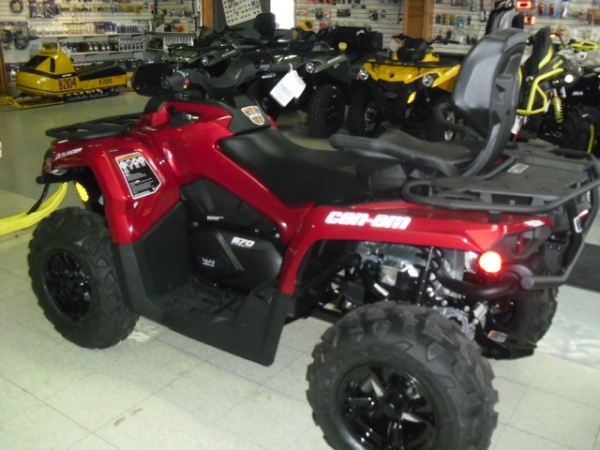 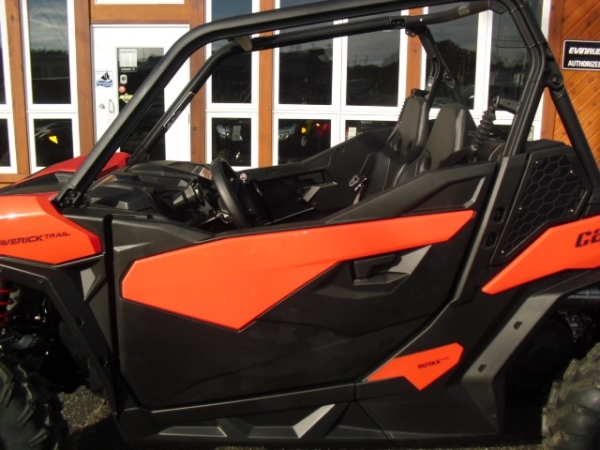 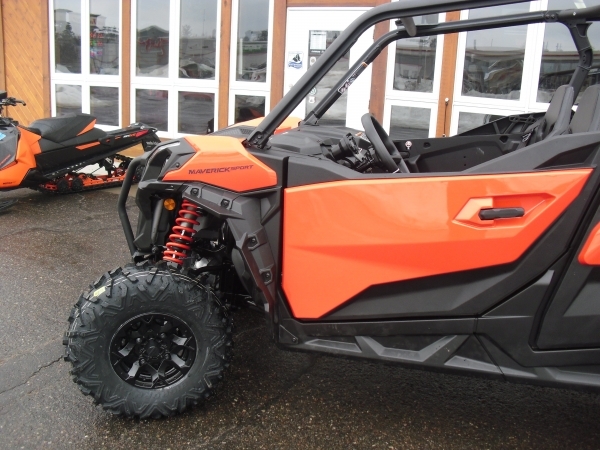 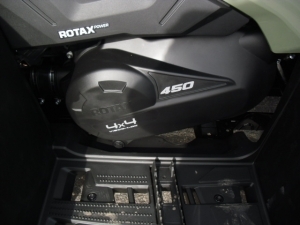 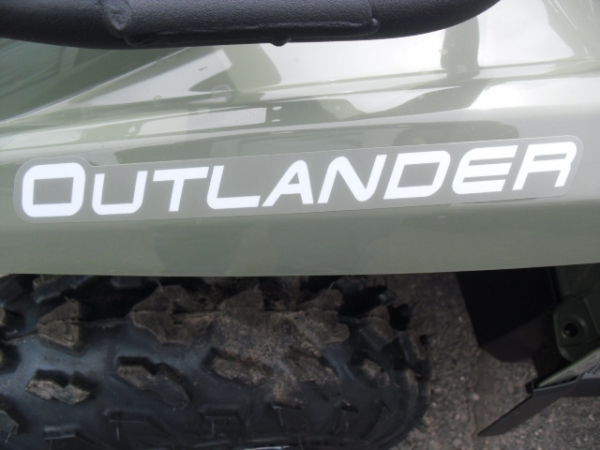 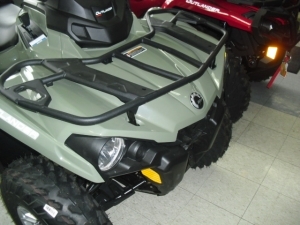 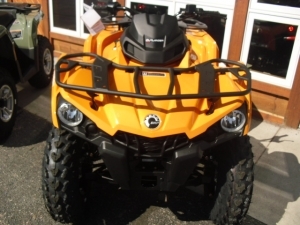 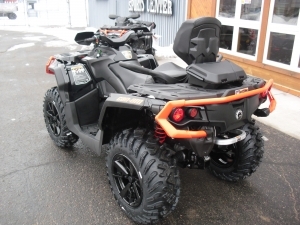 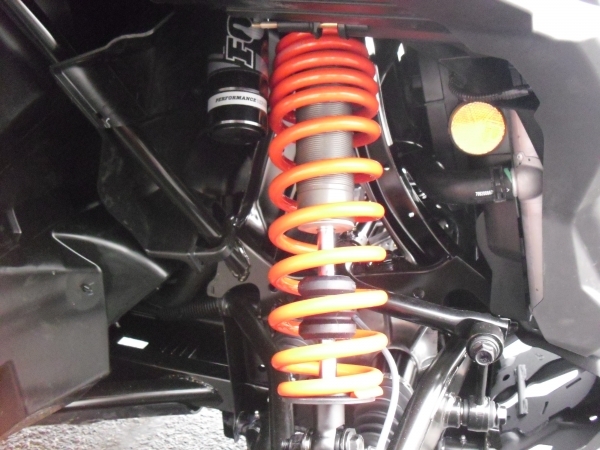 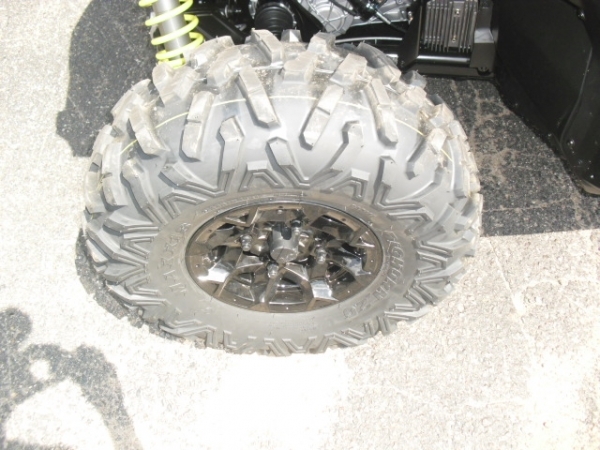 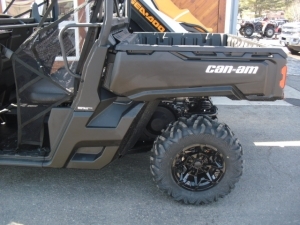 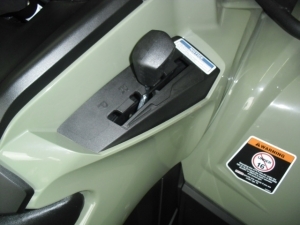 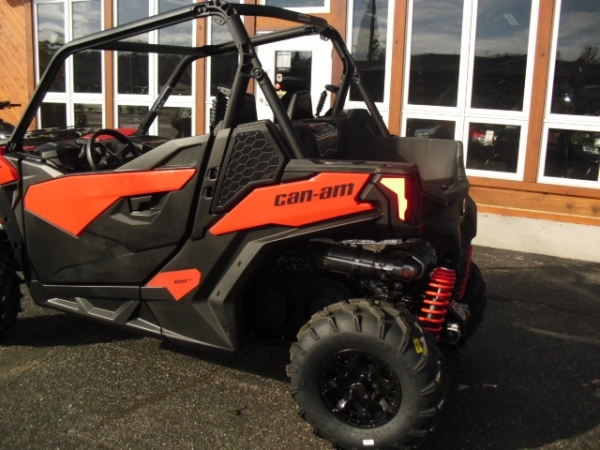 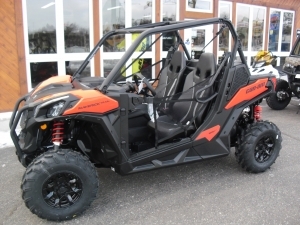 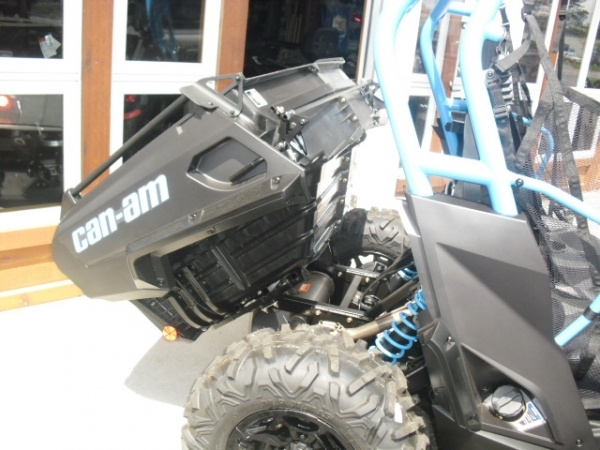 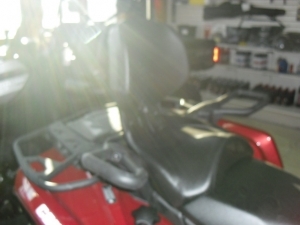 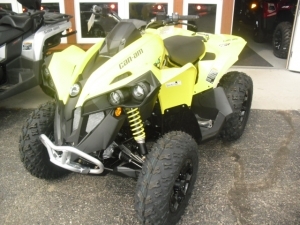 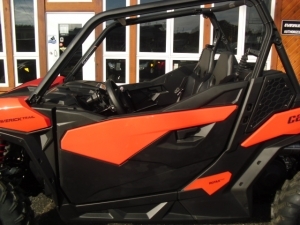 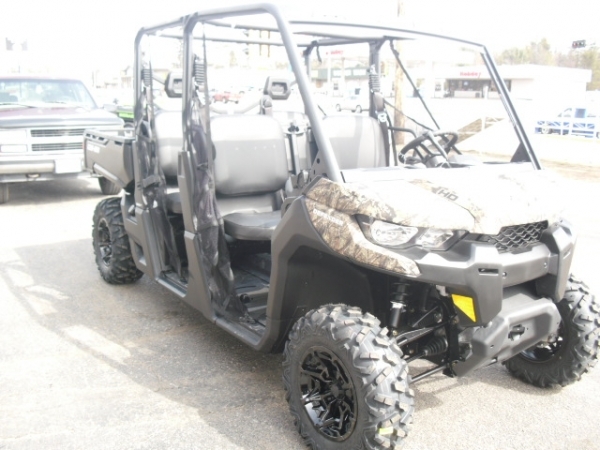 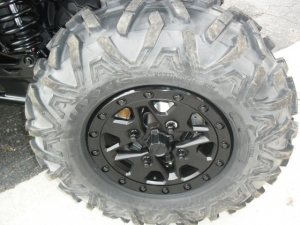 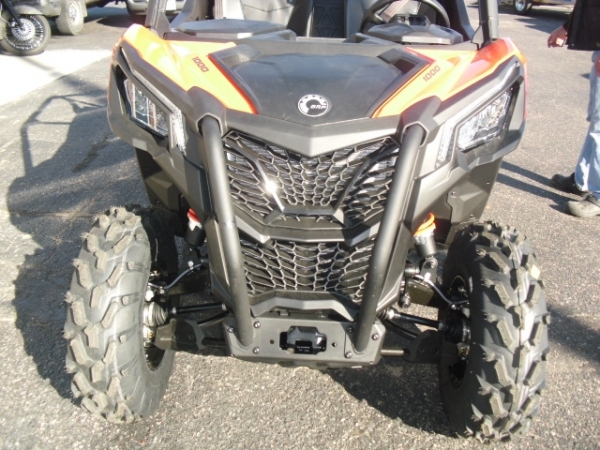 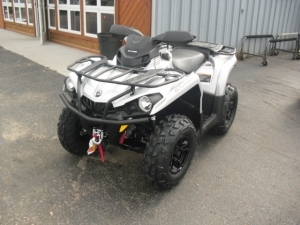 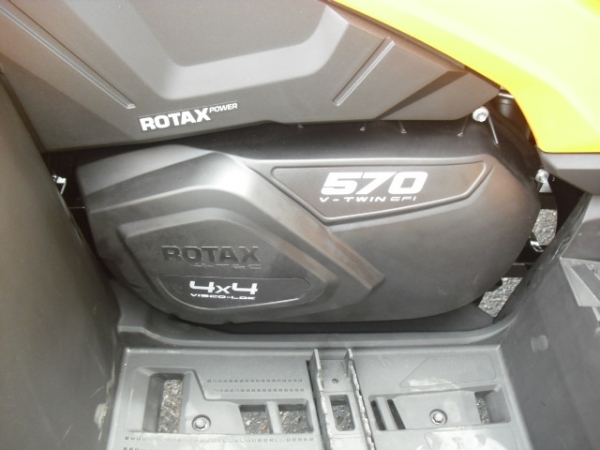 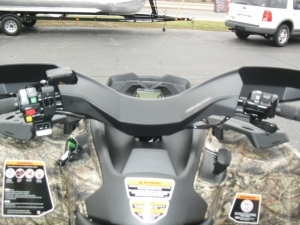 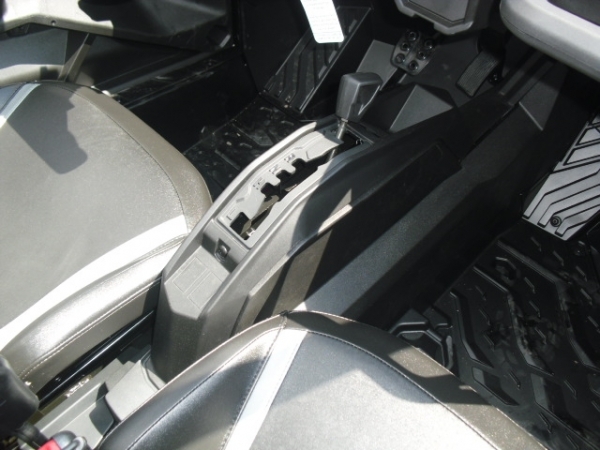 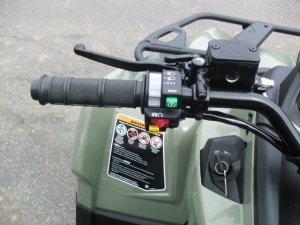 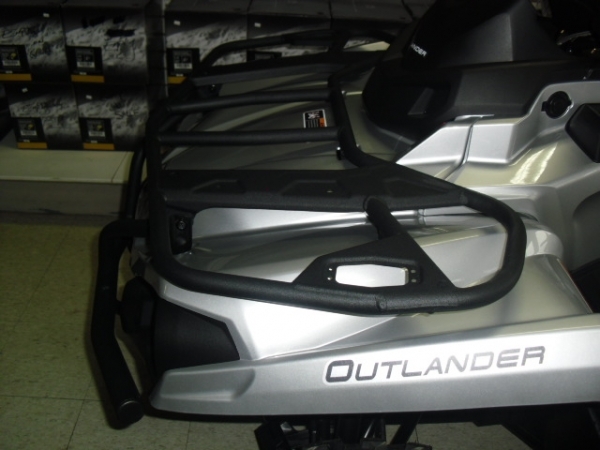 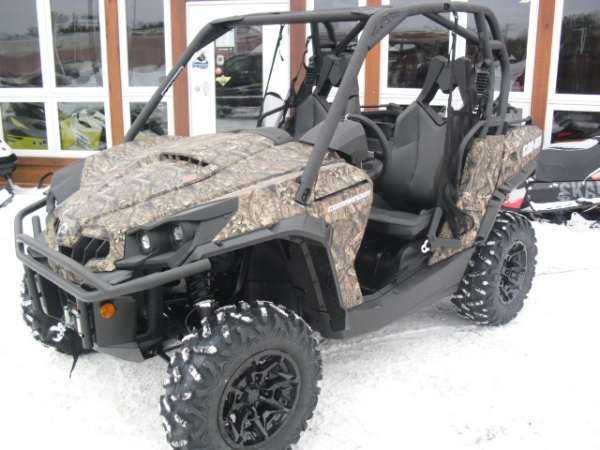 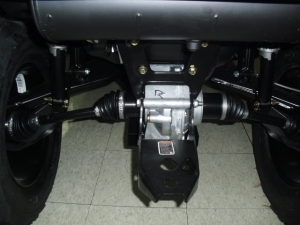 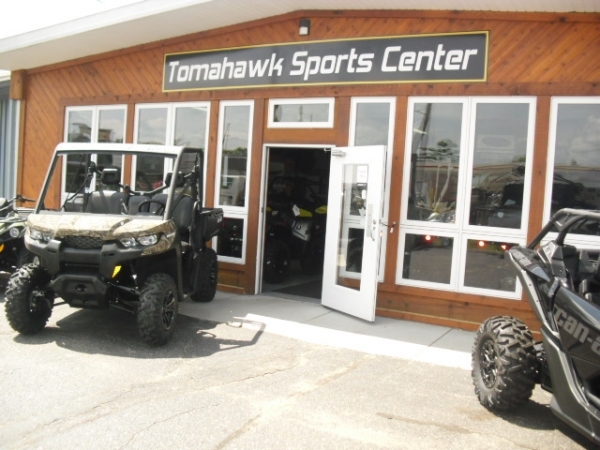 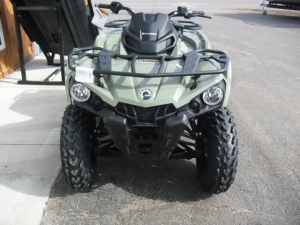 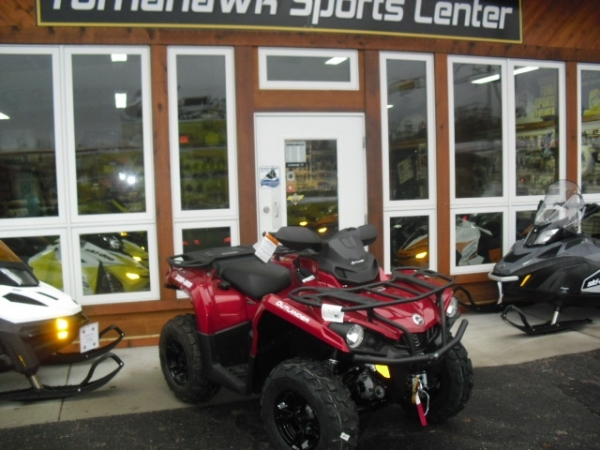 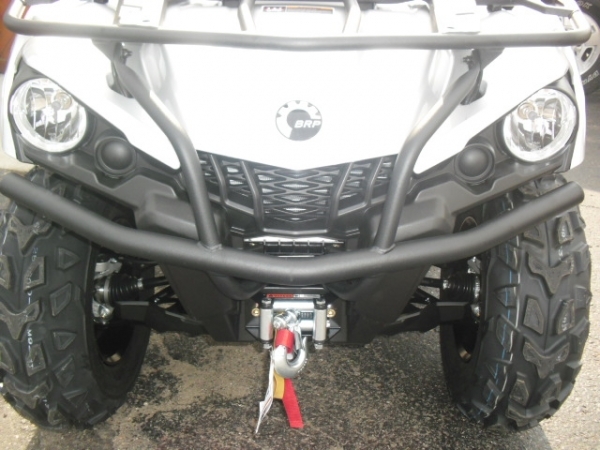 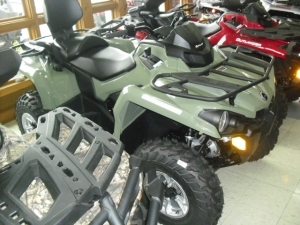 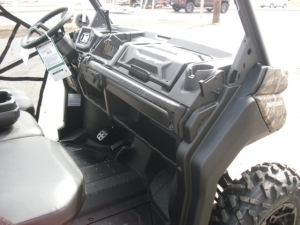 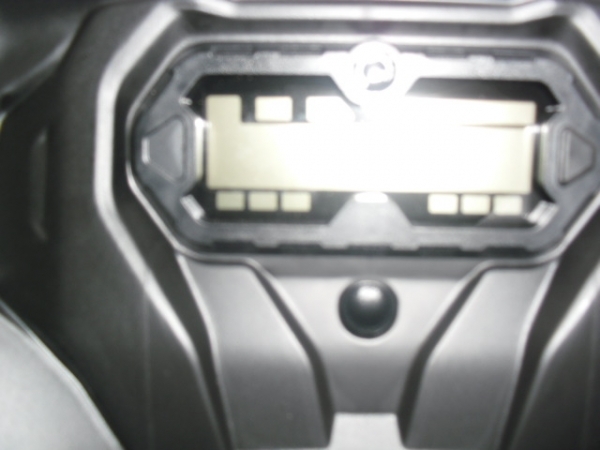 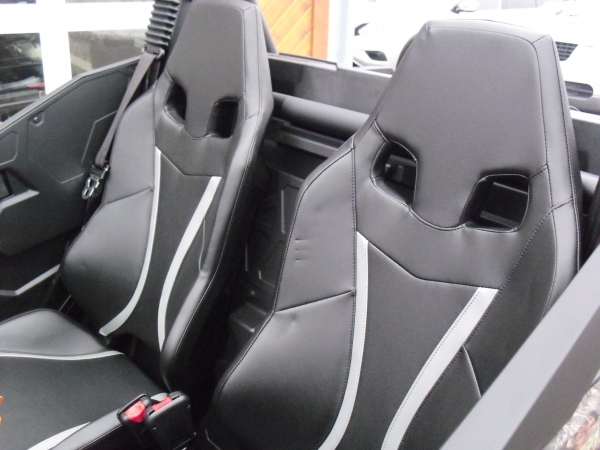 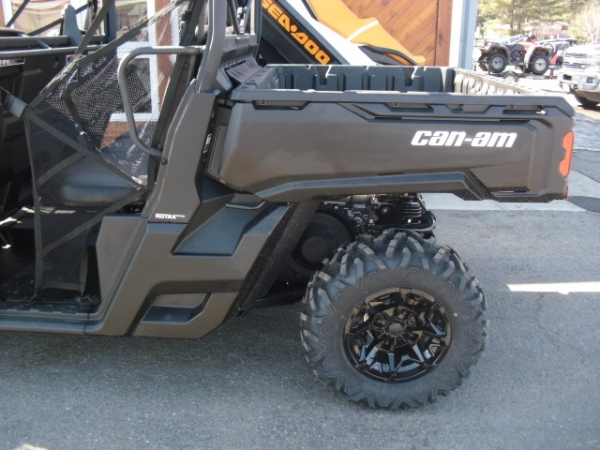 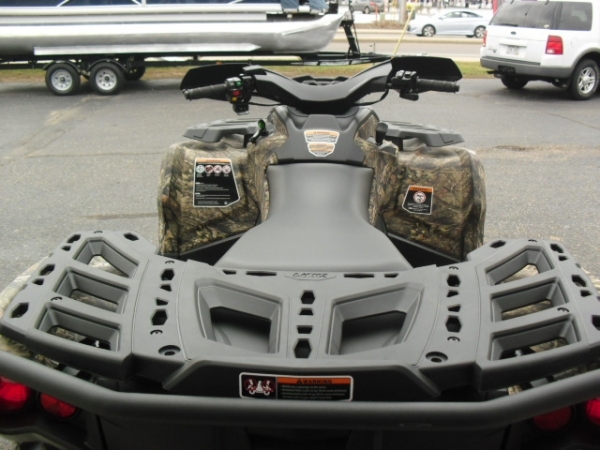 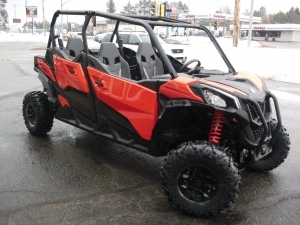 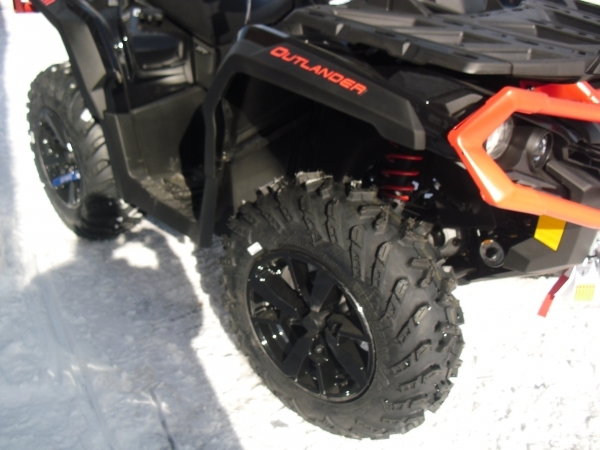 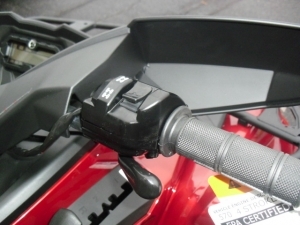 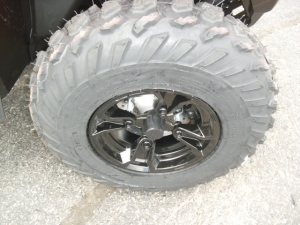 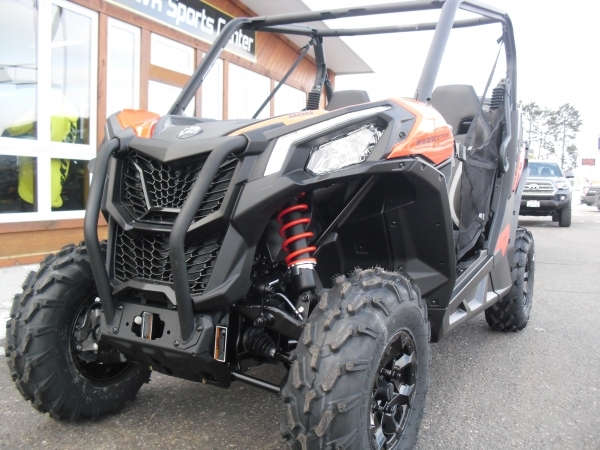 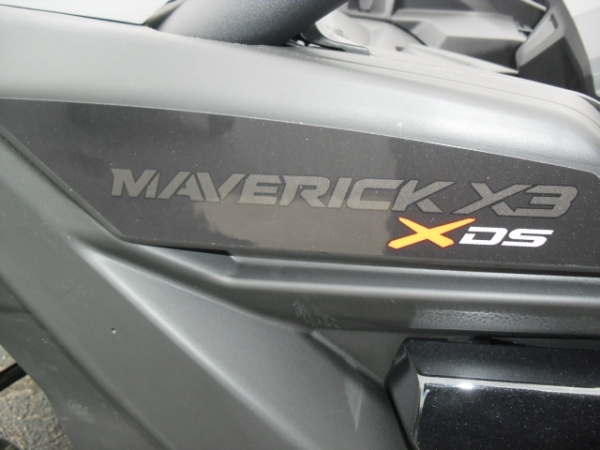 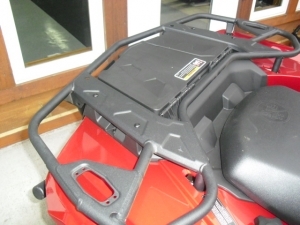 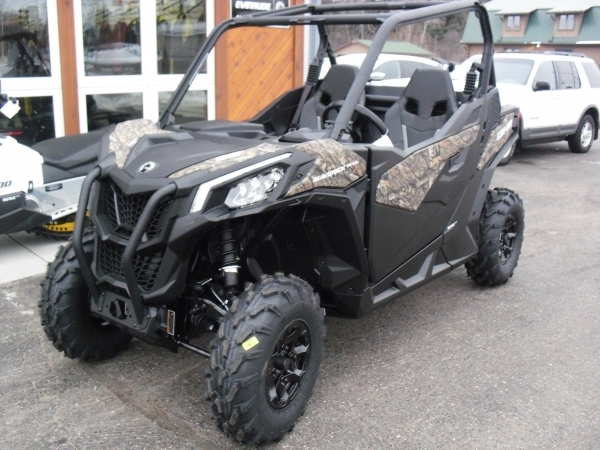 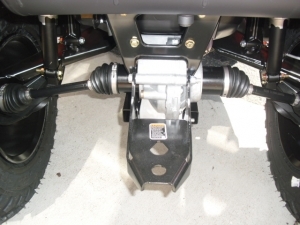 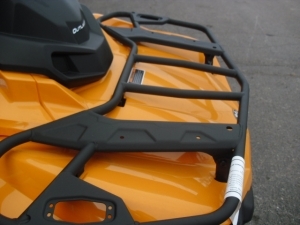 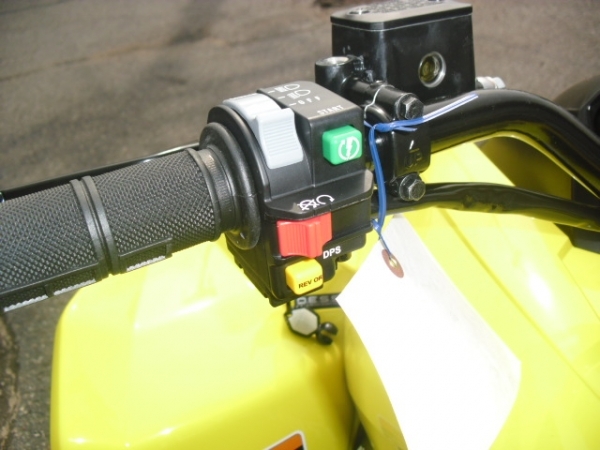 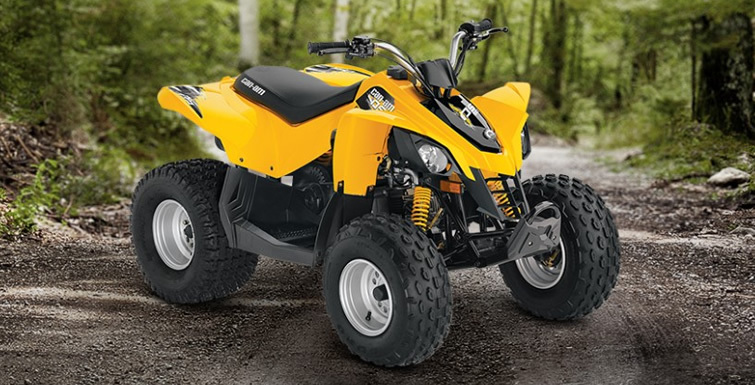 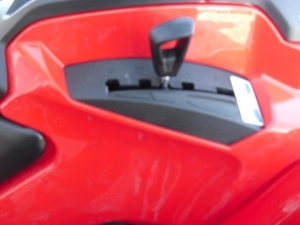 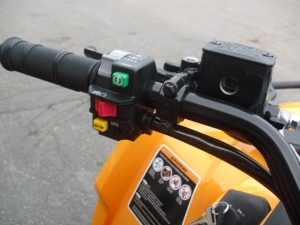 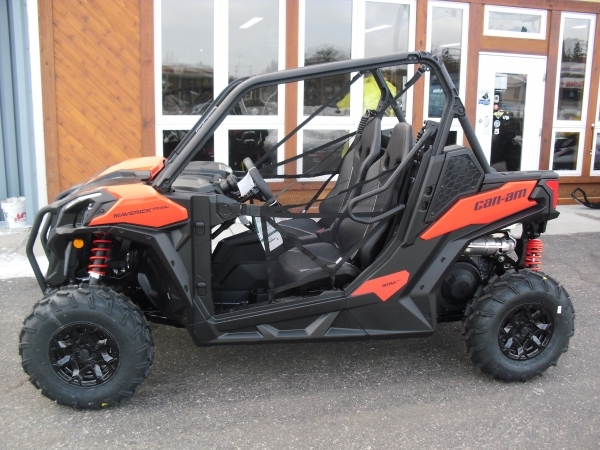 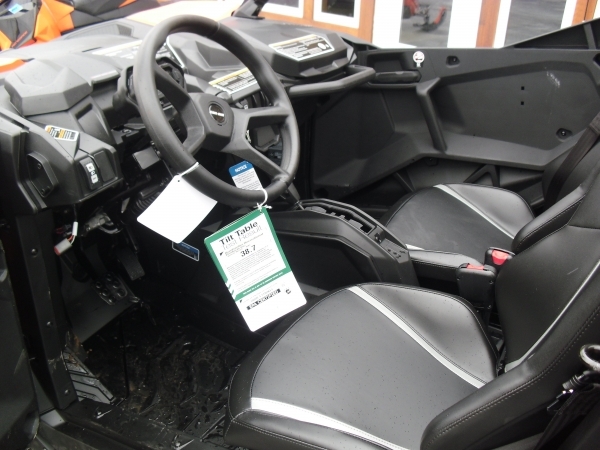 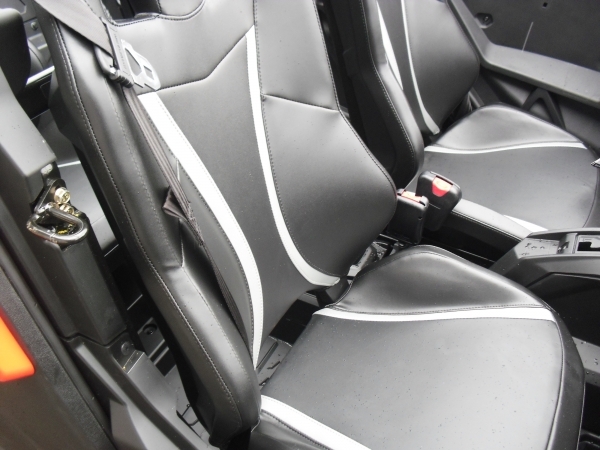 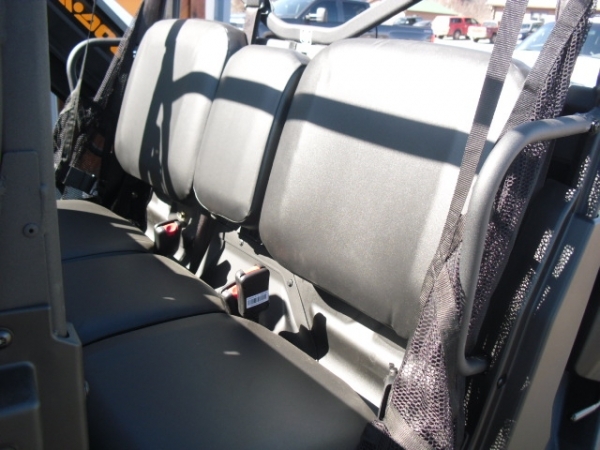 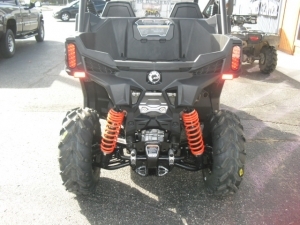 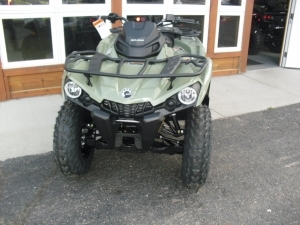 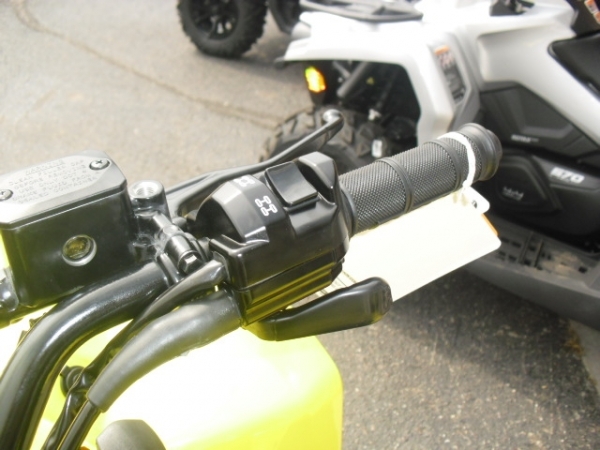 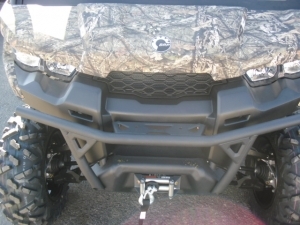 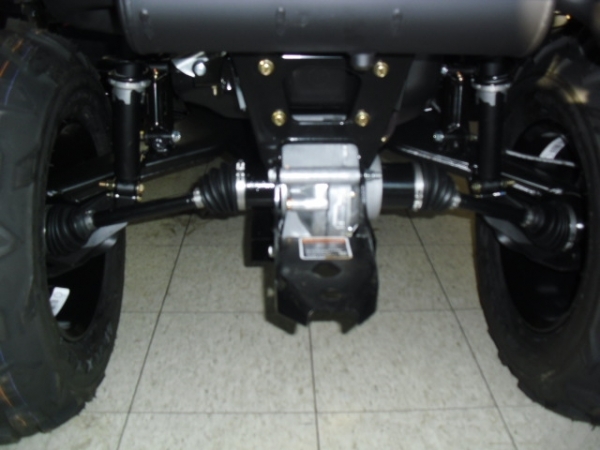 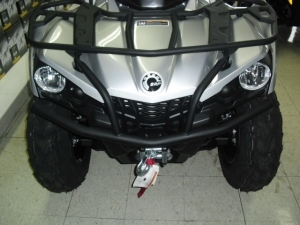 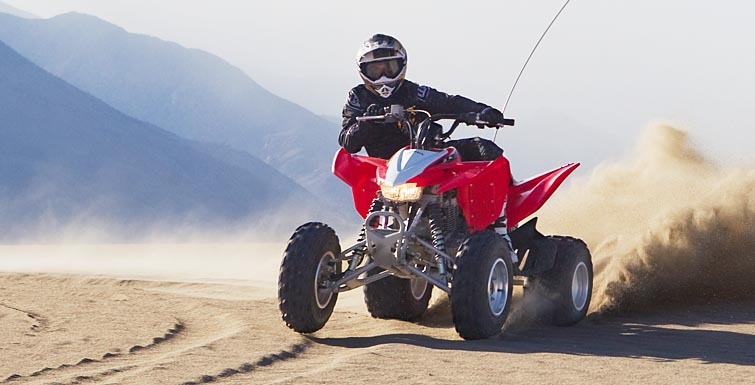 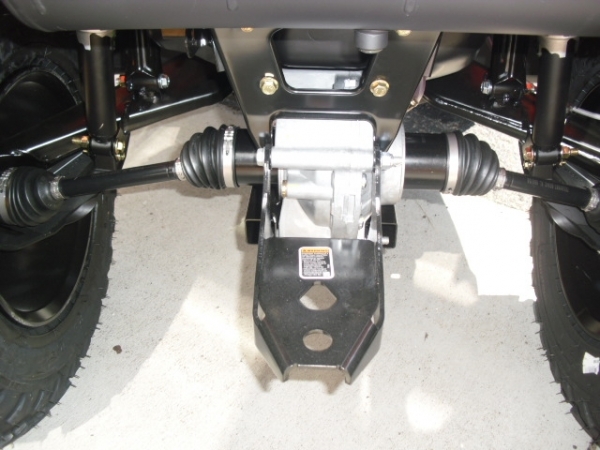 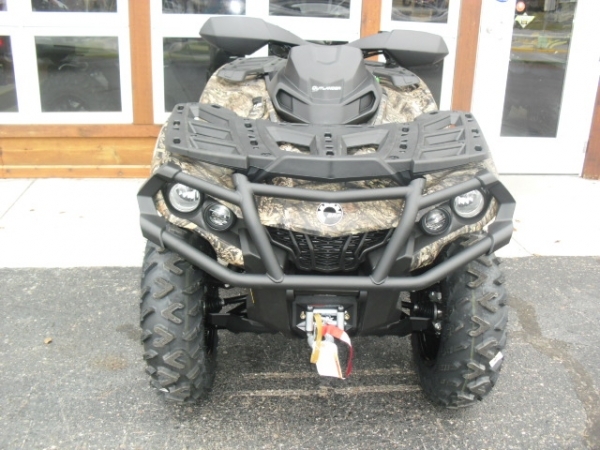 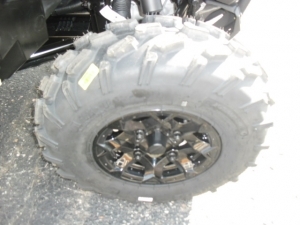 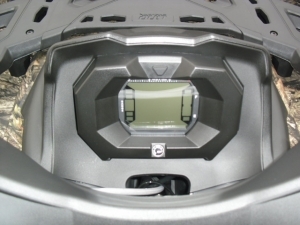 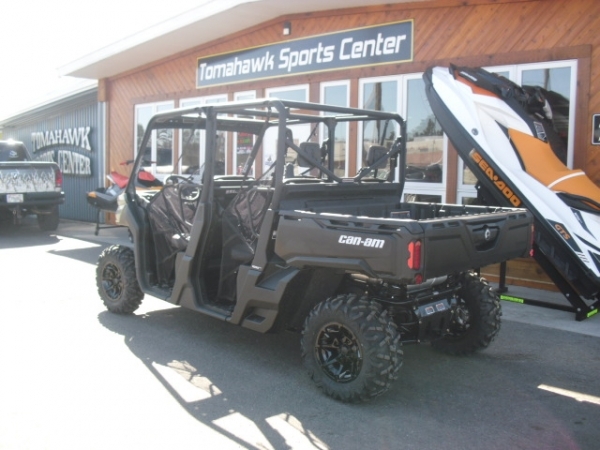 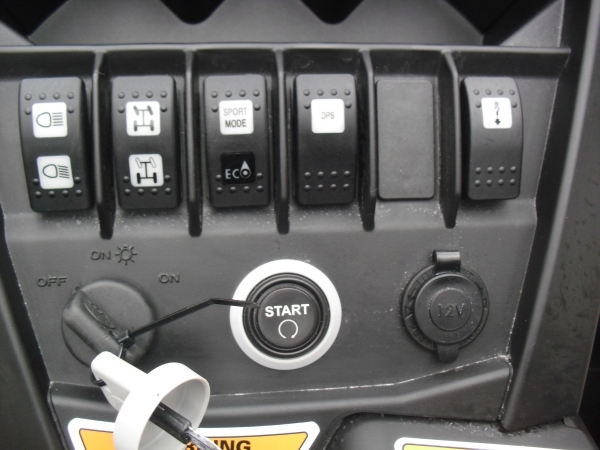 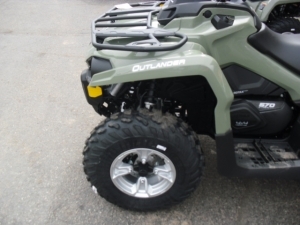 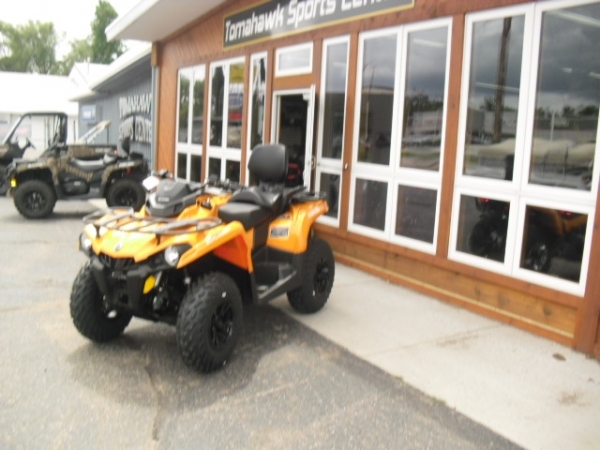 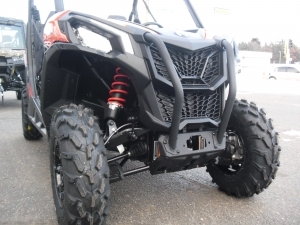 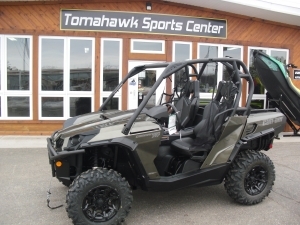 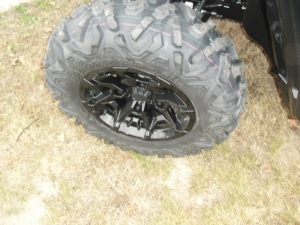 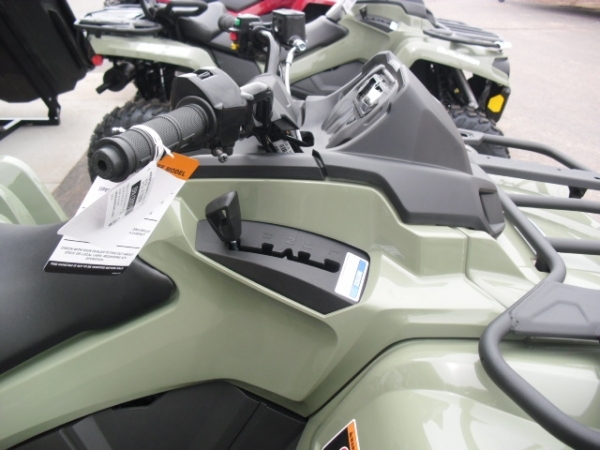 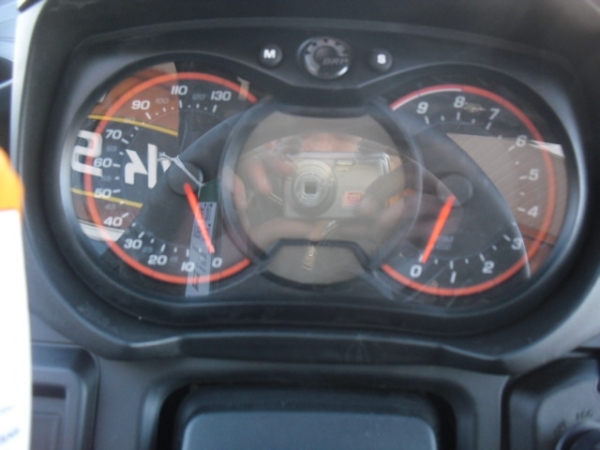 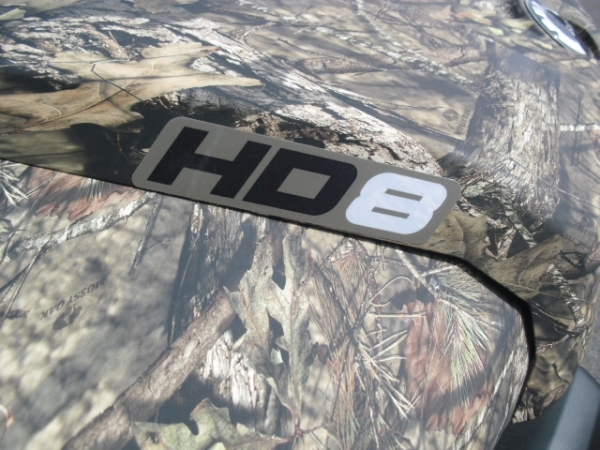 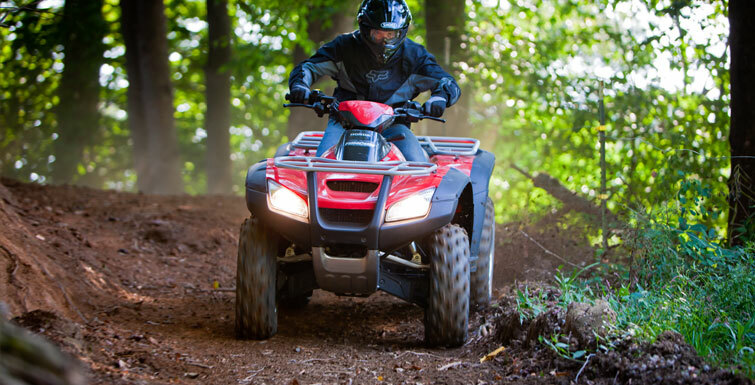 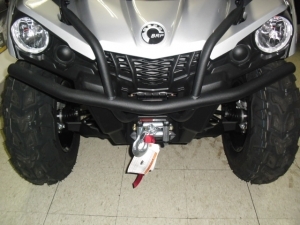 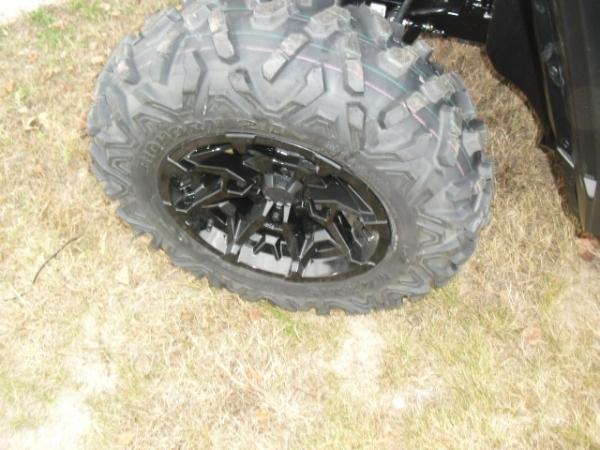 Tomahawk Sports Center carries Honda ATV's and related equipment. 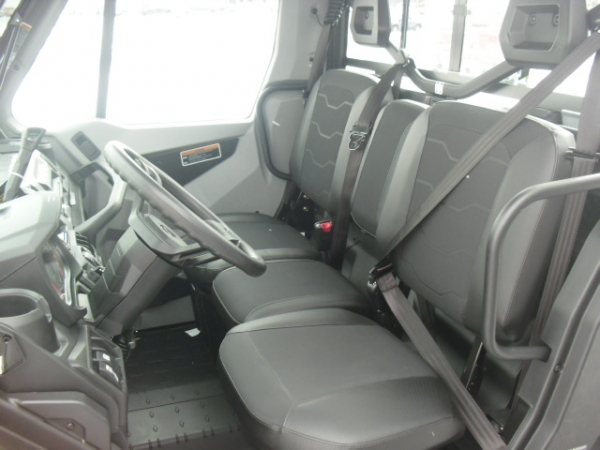 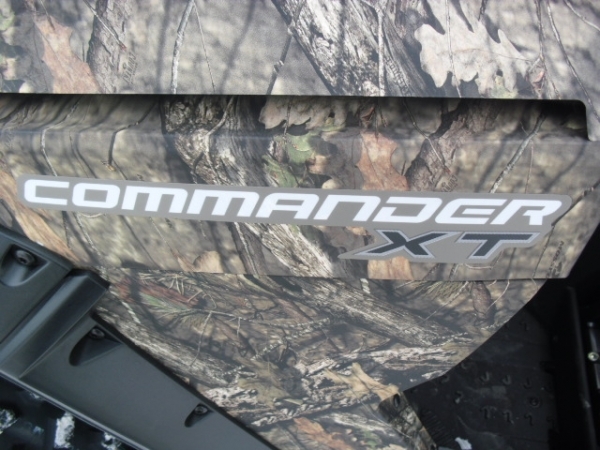 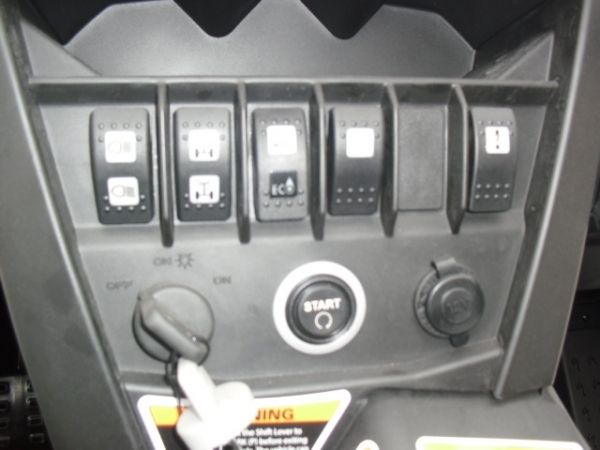 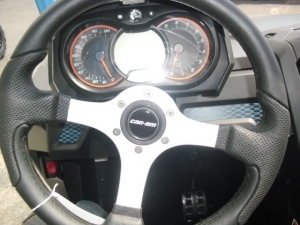 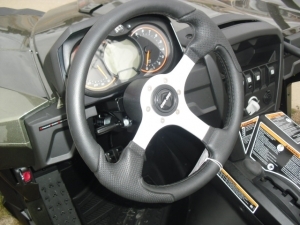 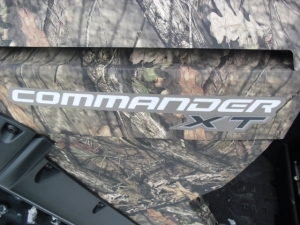 If you are looking for a work machine, or a play machine, Tomahawk Sports Center can put you on the perfect machine. 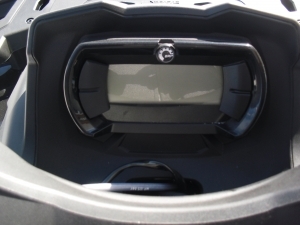 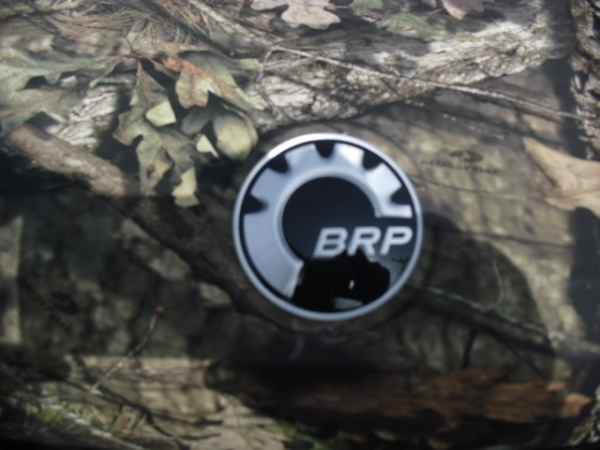 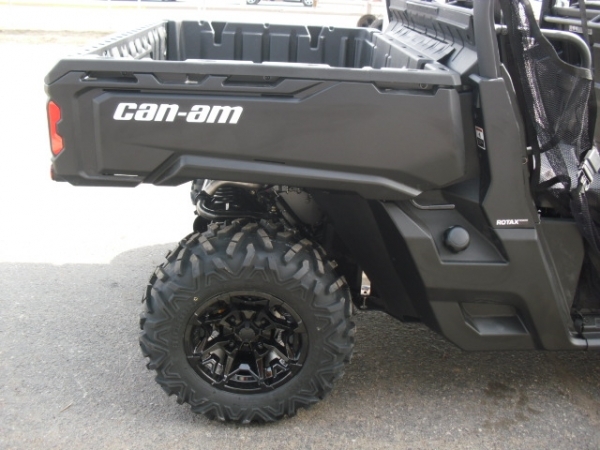 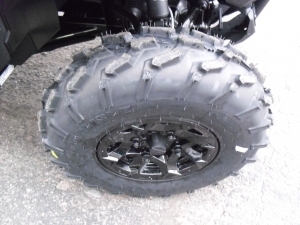 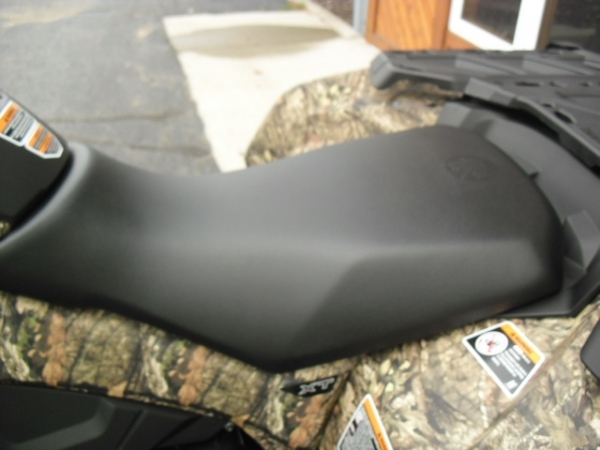 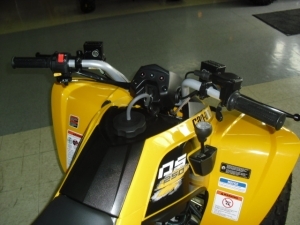 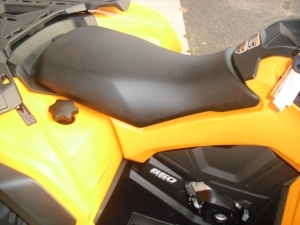 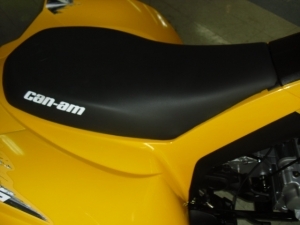 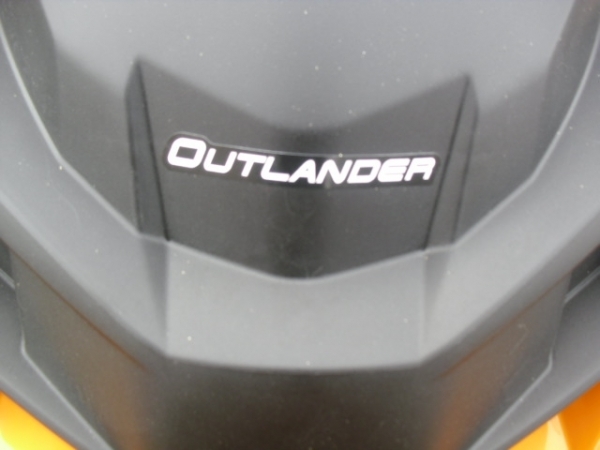 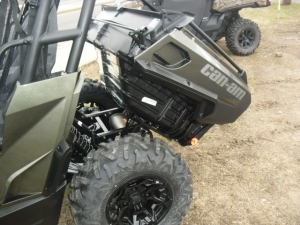 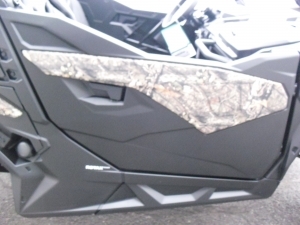 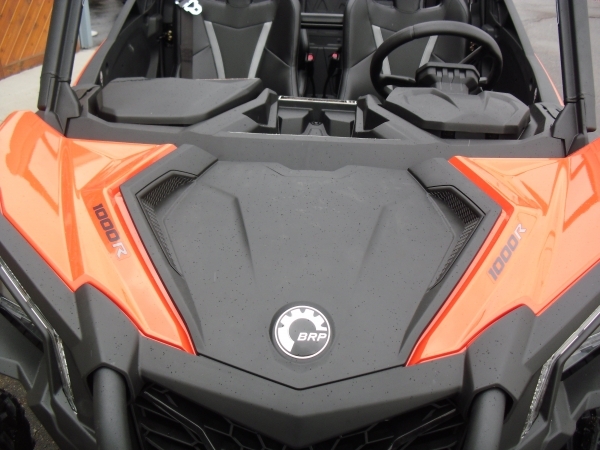 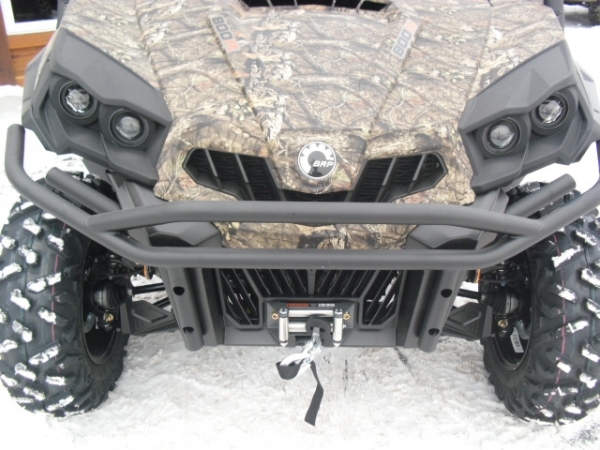 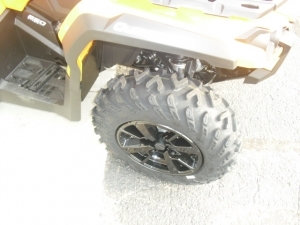 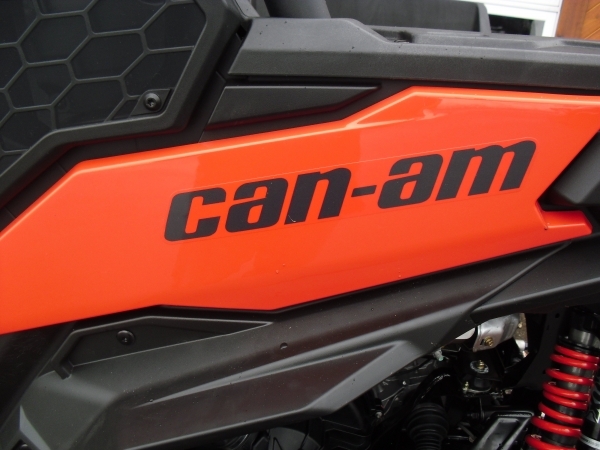 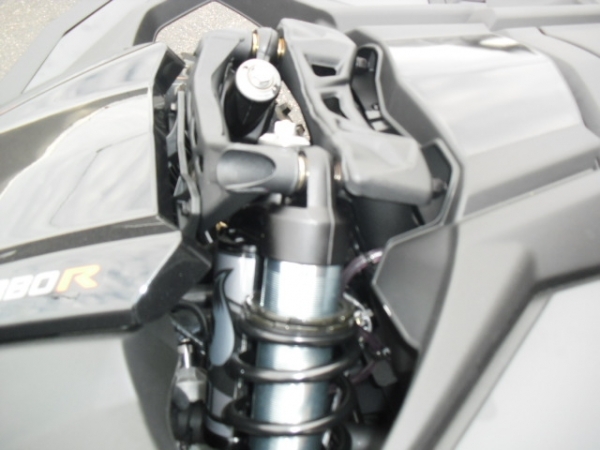 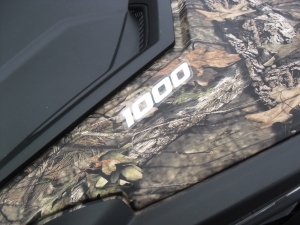 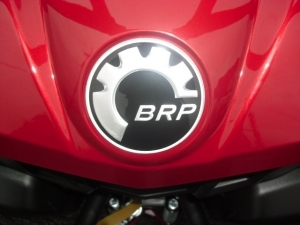 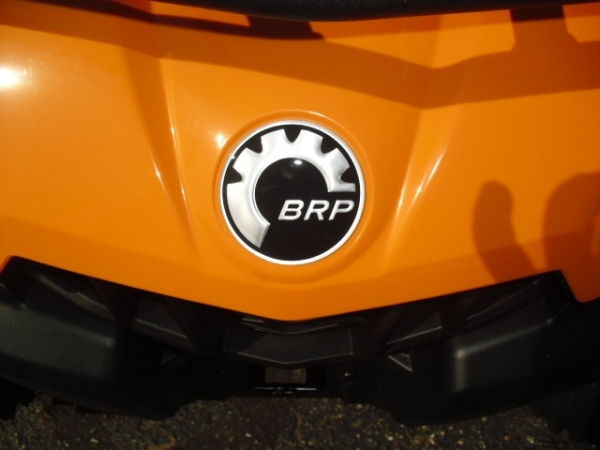 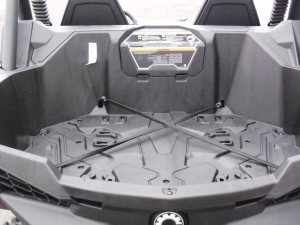 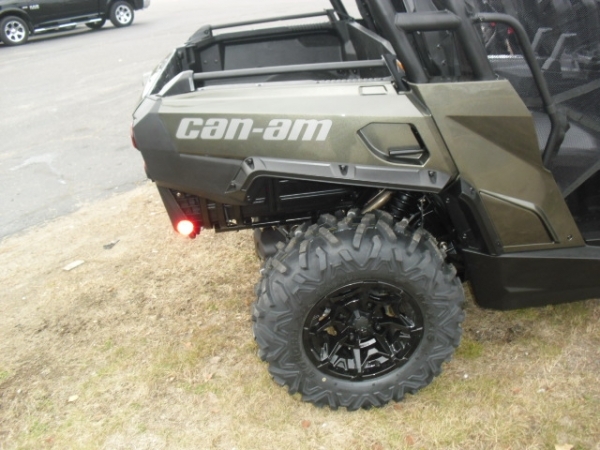 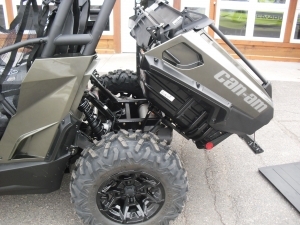 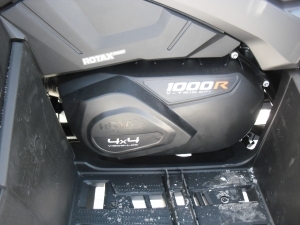 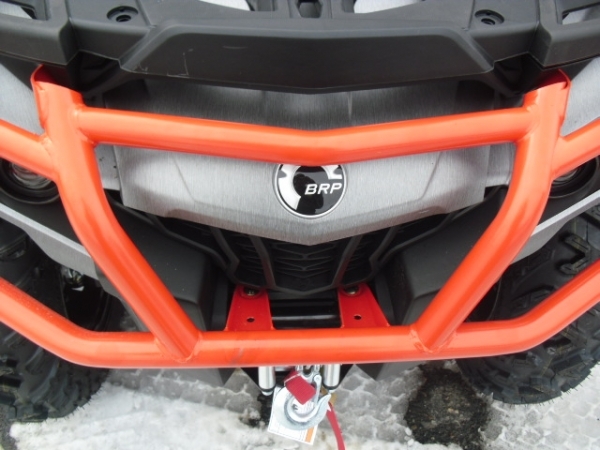 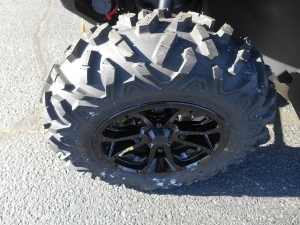 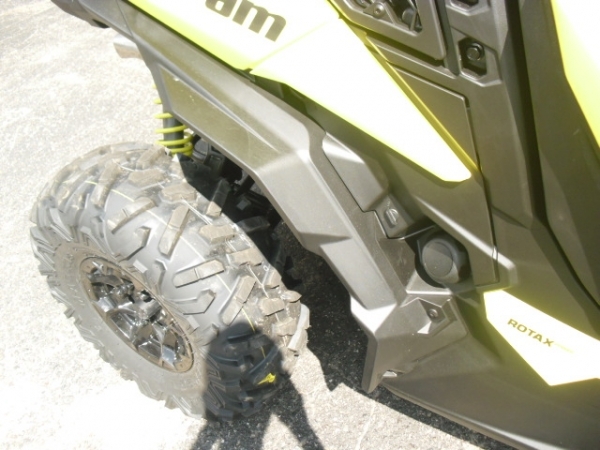 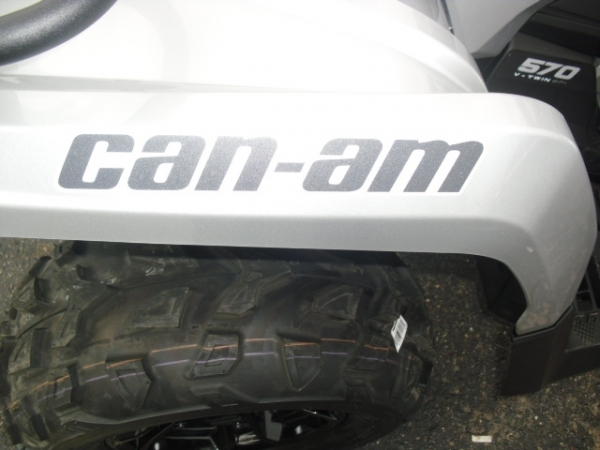 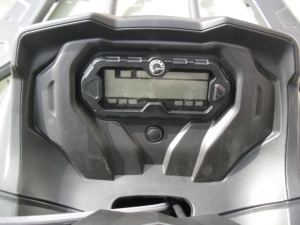 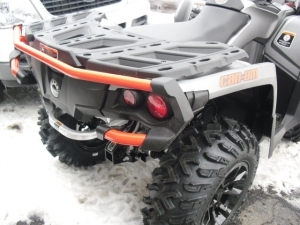 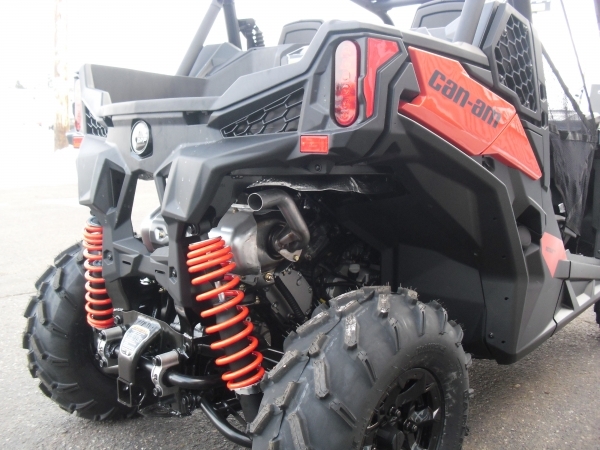 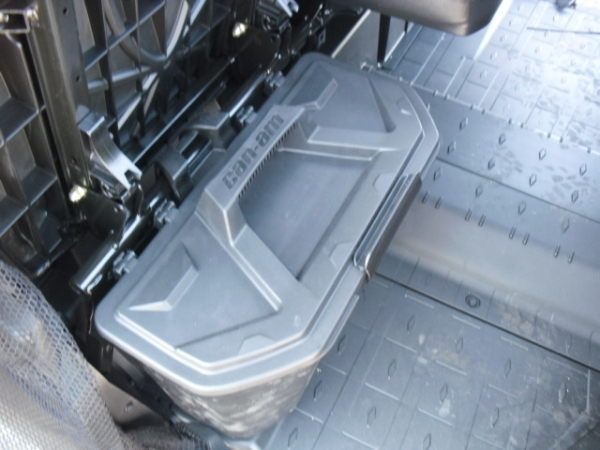 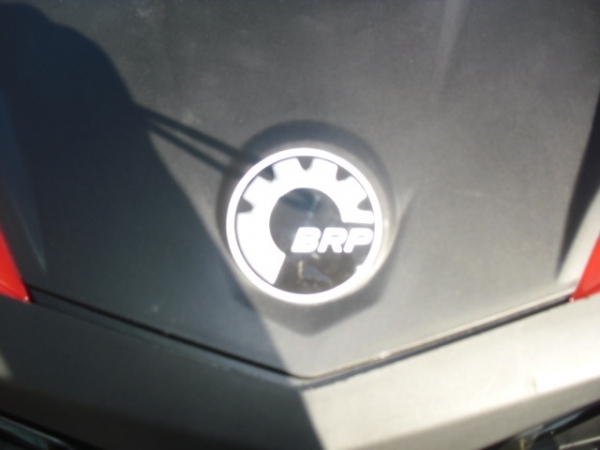 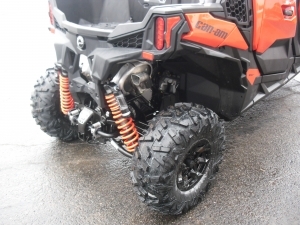 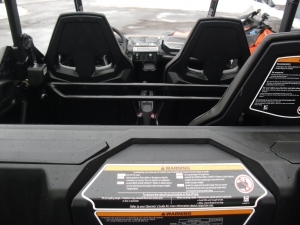 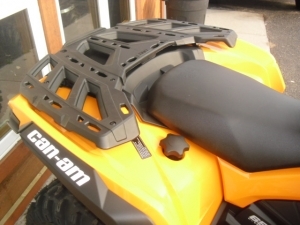 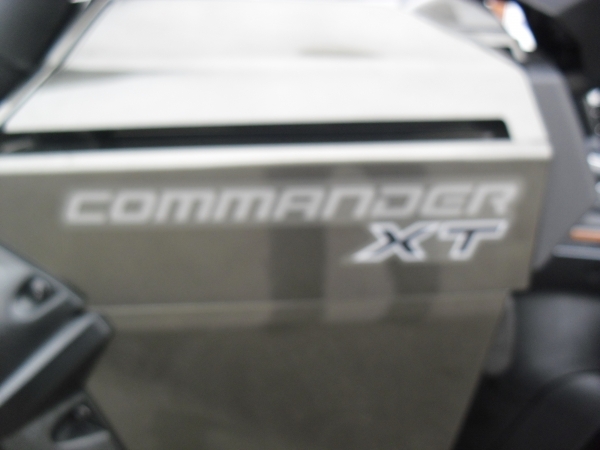 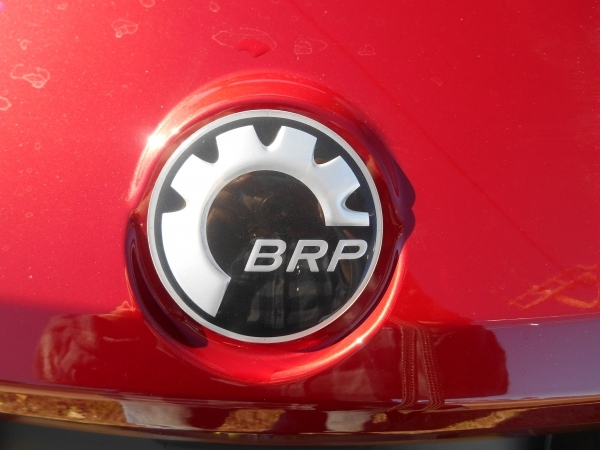 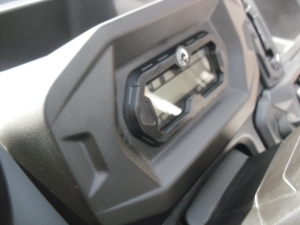 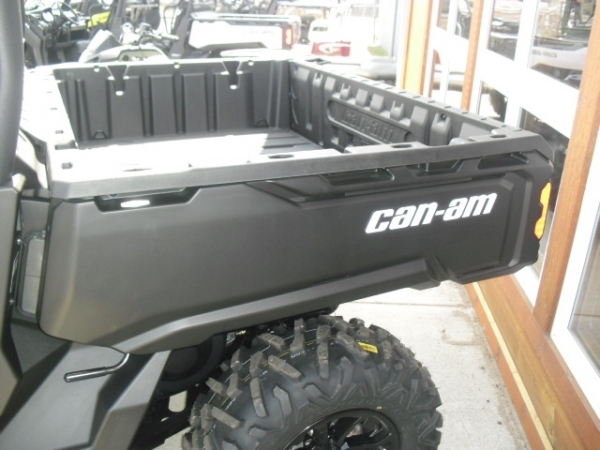 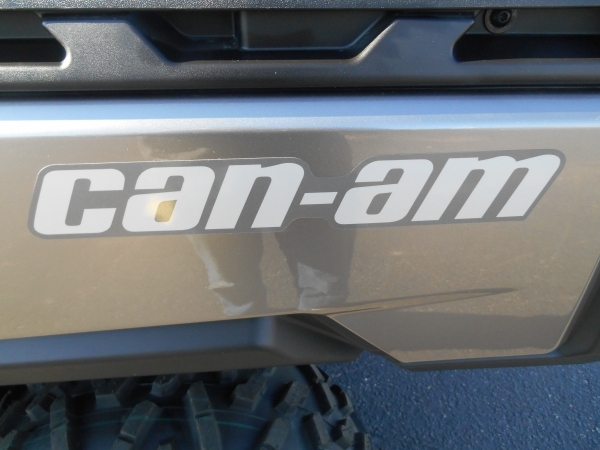 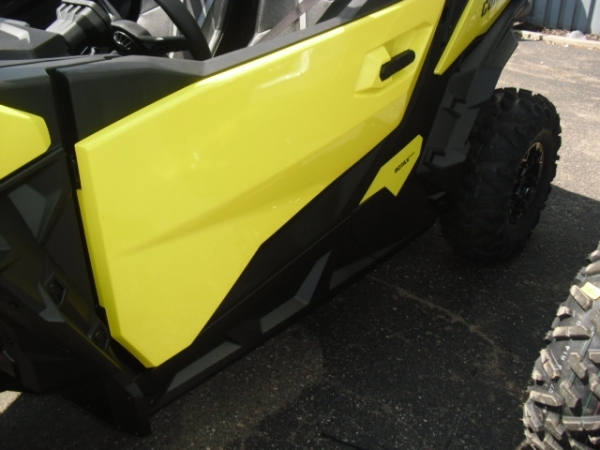 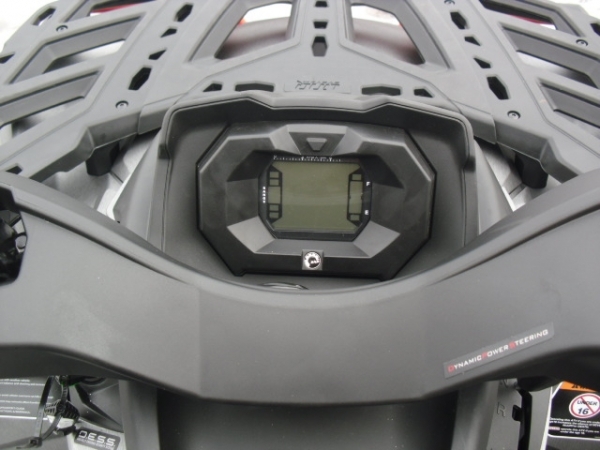 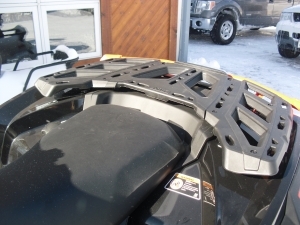 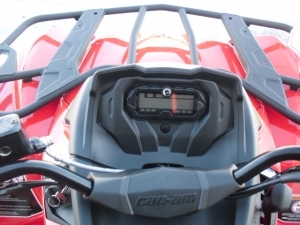 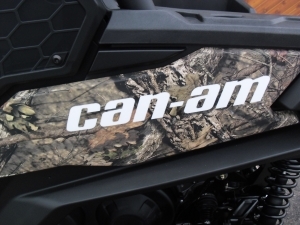 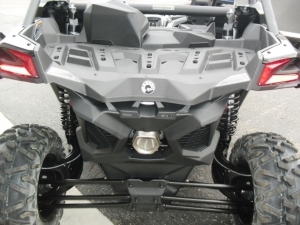 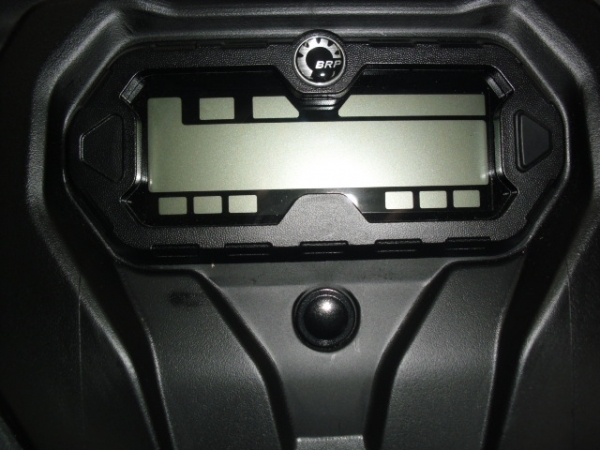 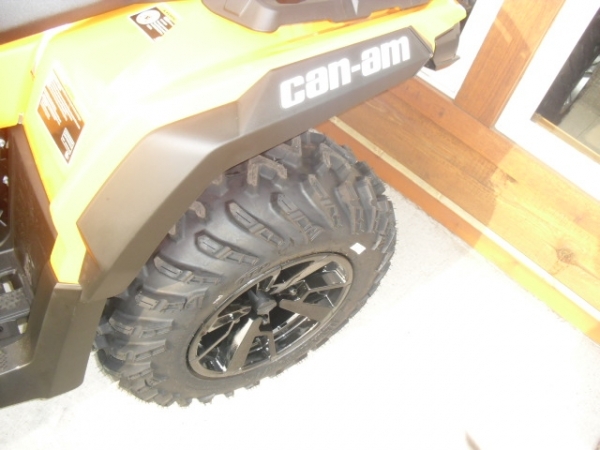 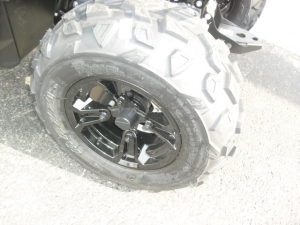 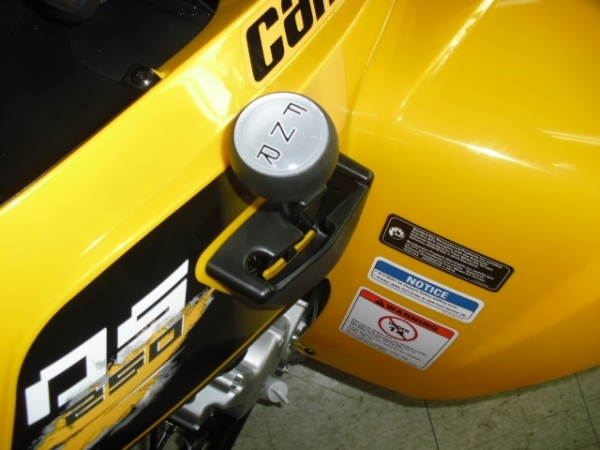 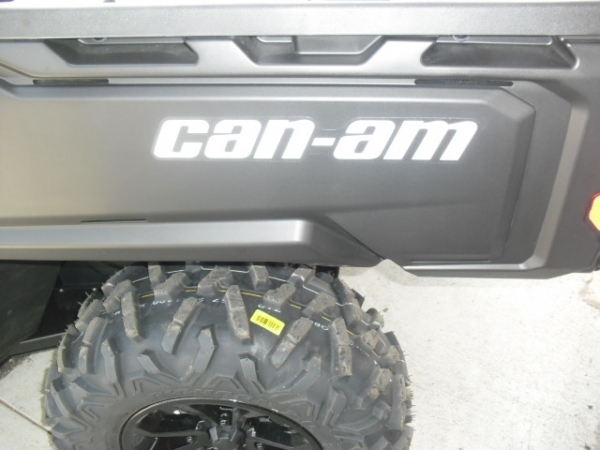 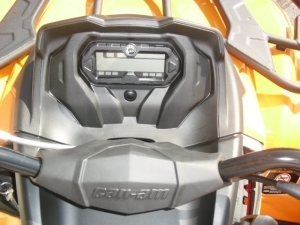 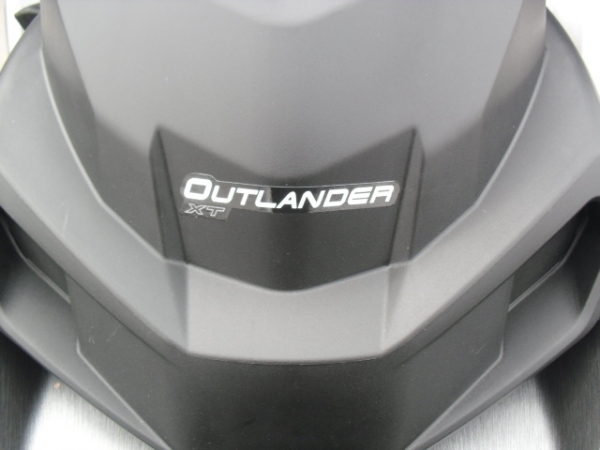 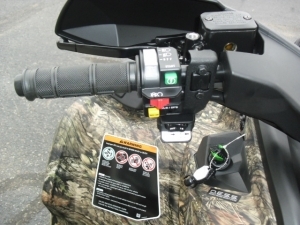 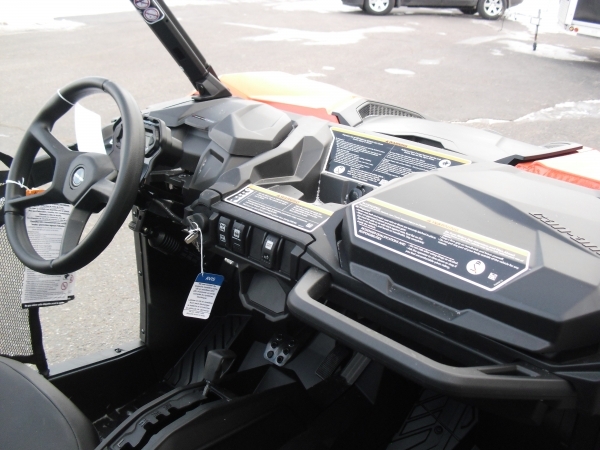 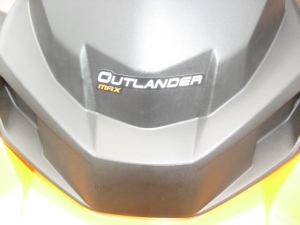 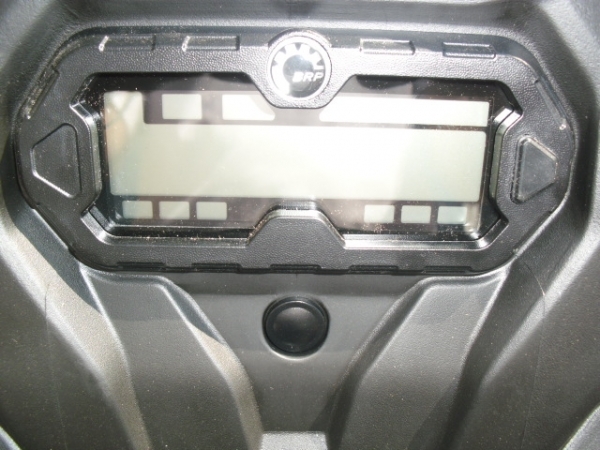 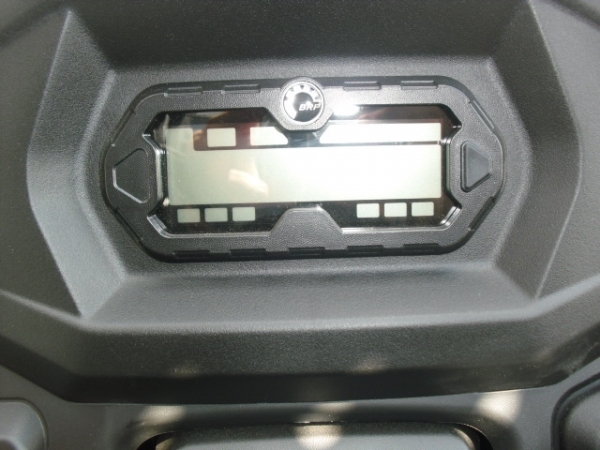 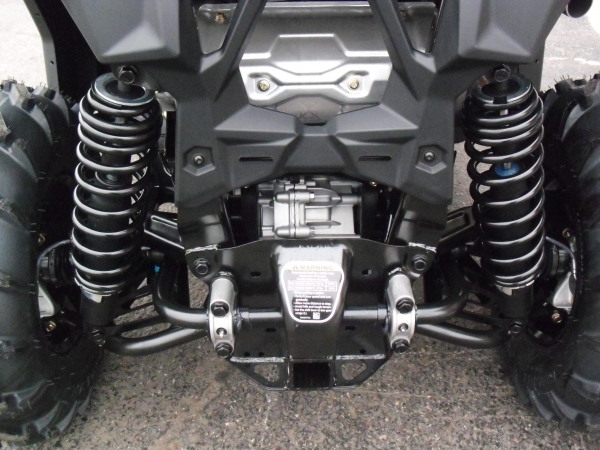 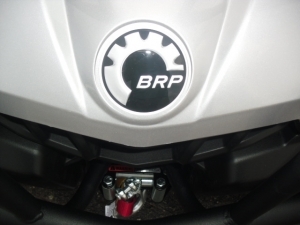 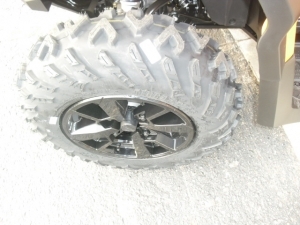 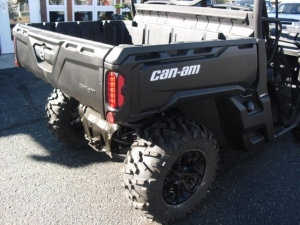 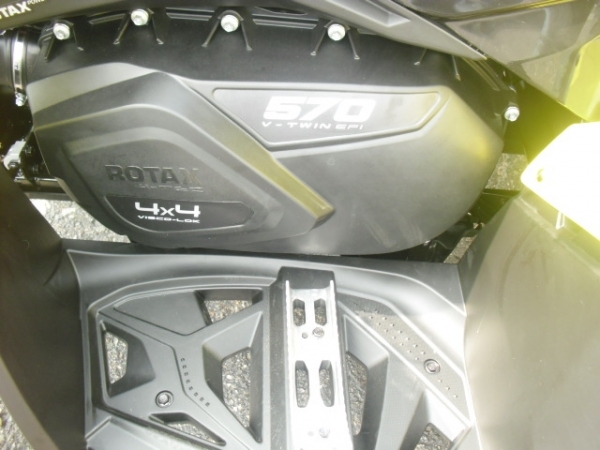 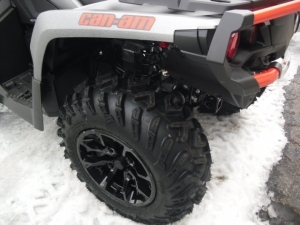 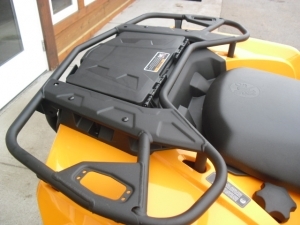 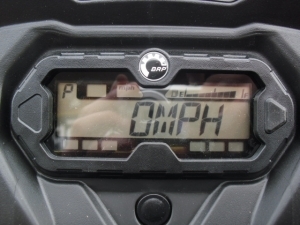 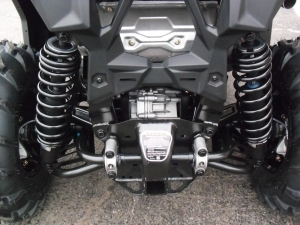 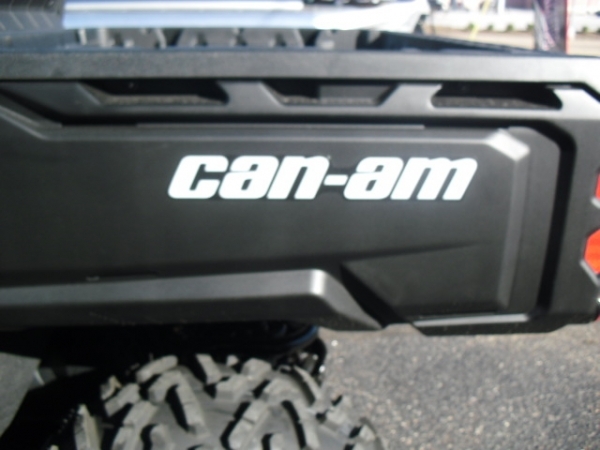 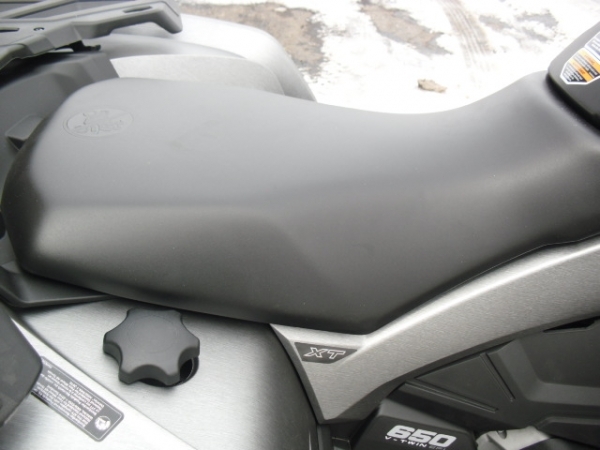 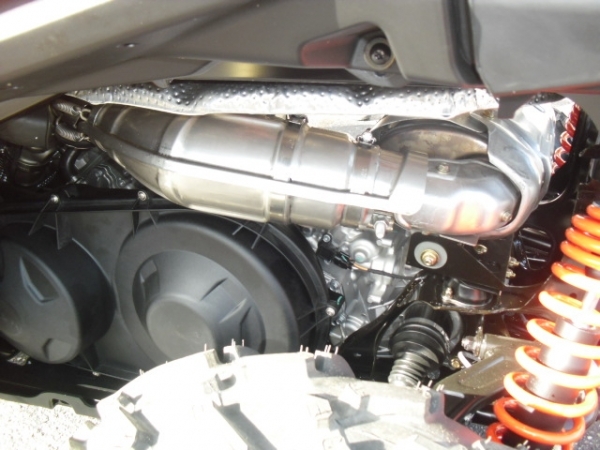 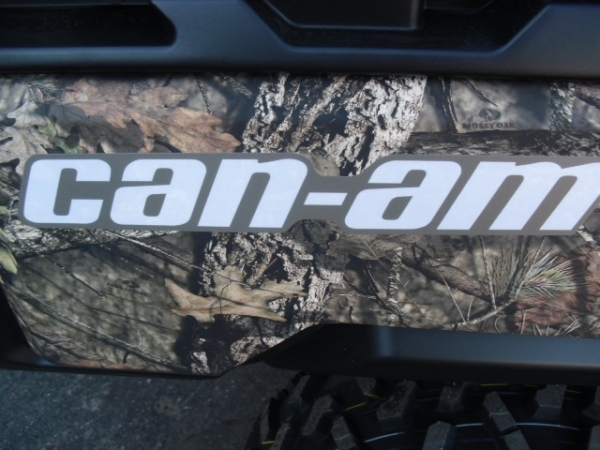 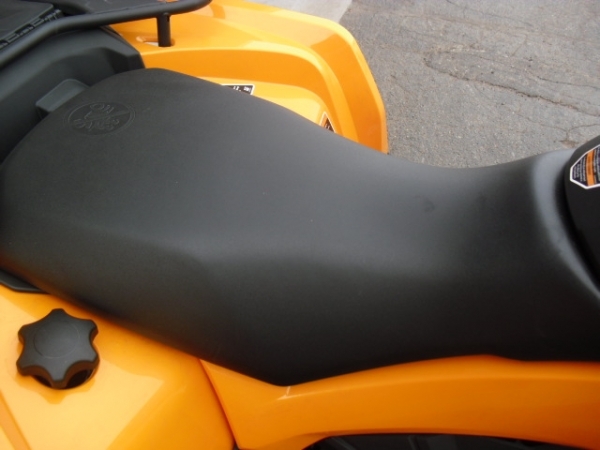 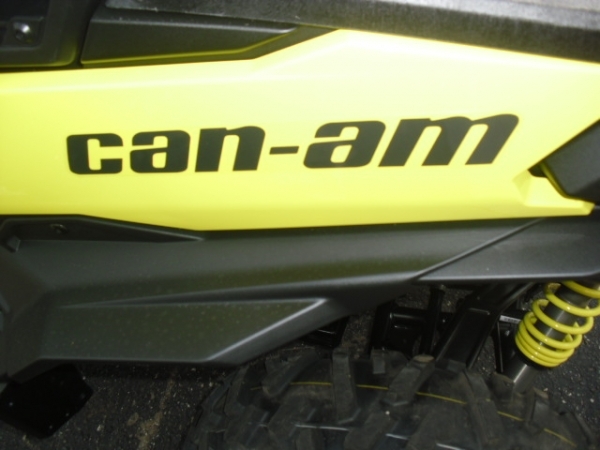 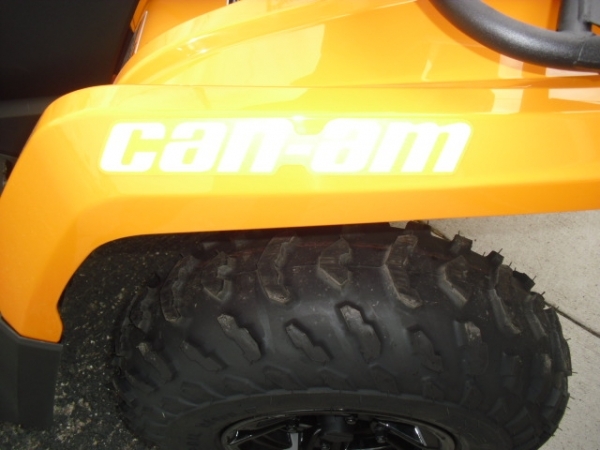 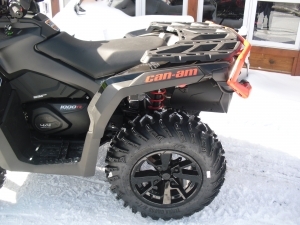 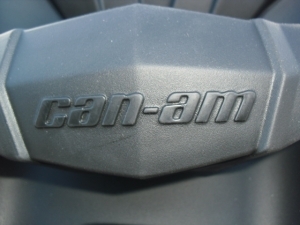 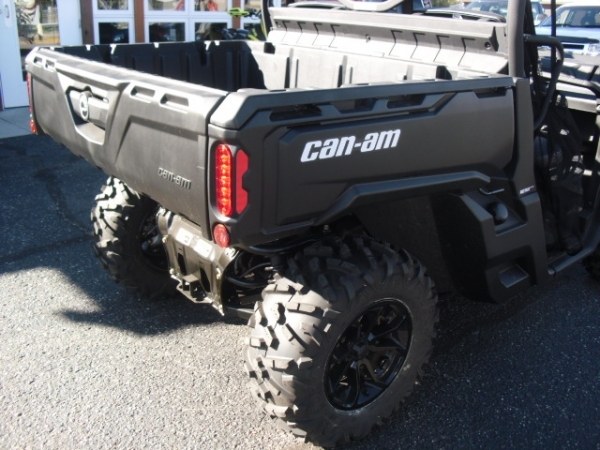 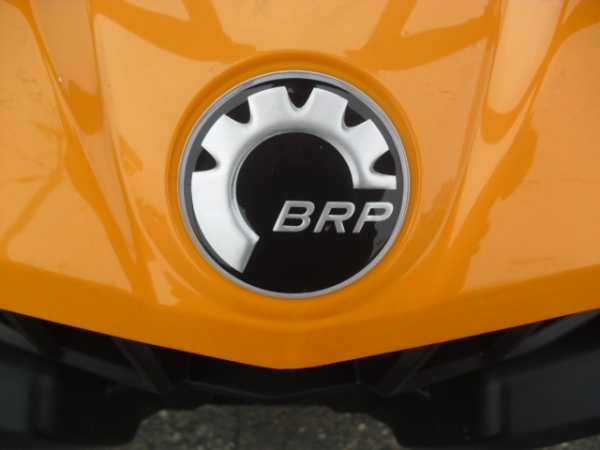 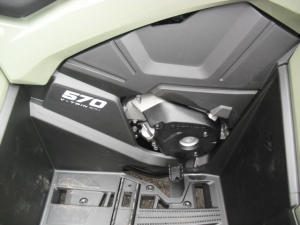 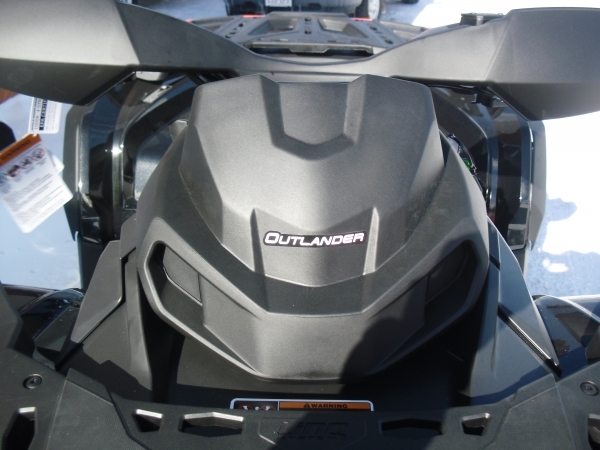 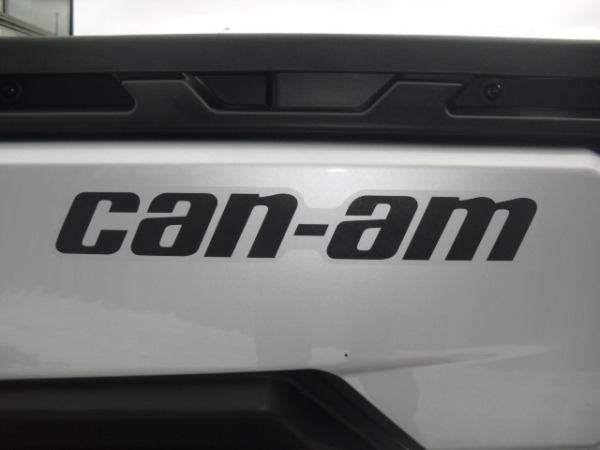 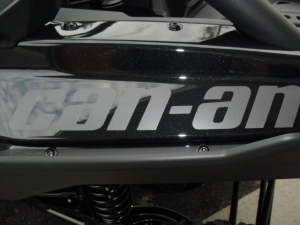 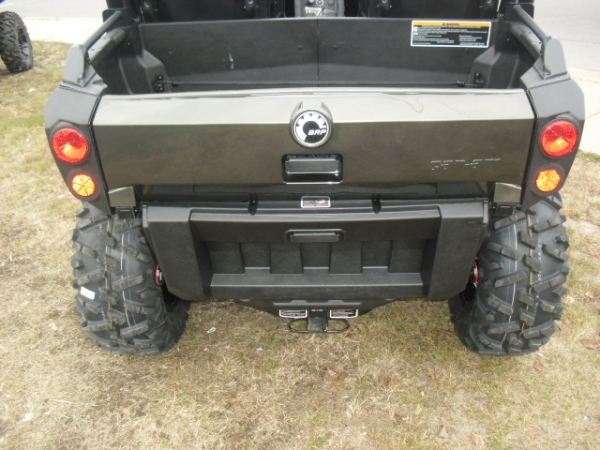 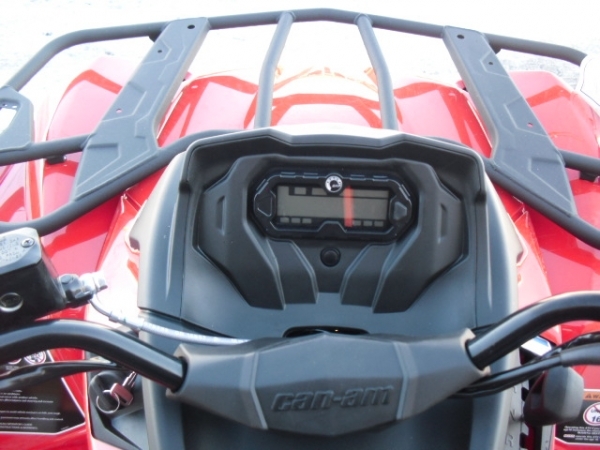 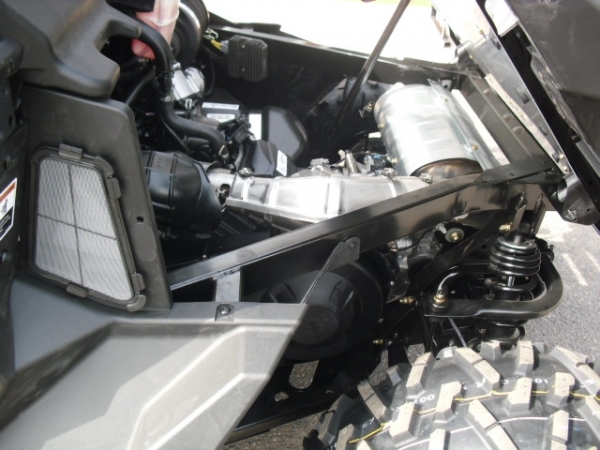 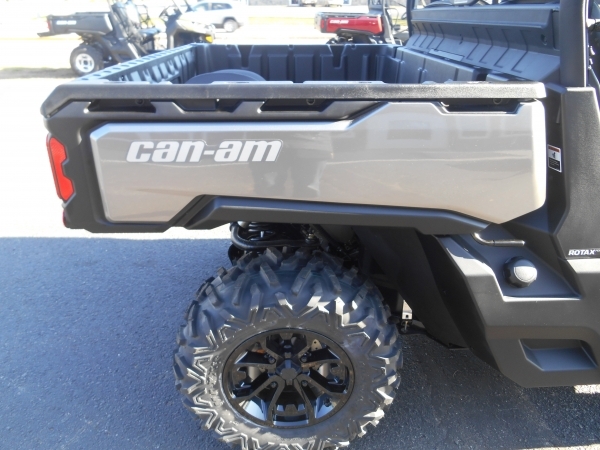 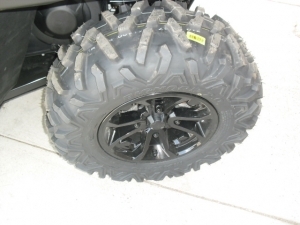 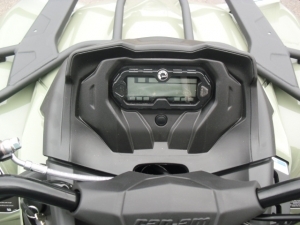 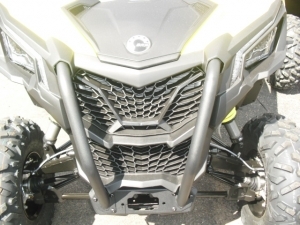 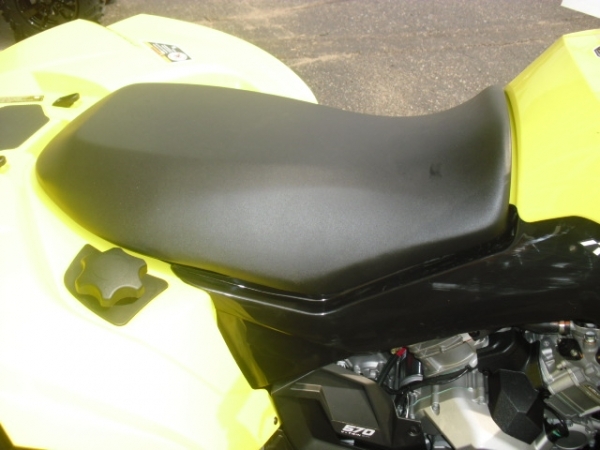 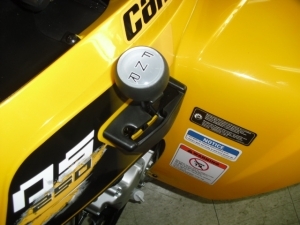 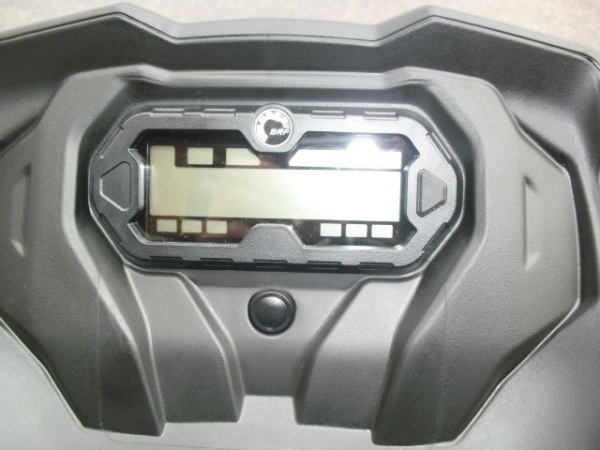 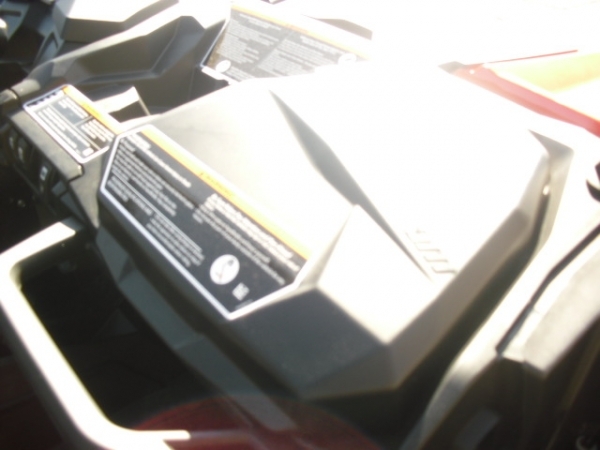 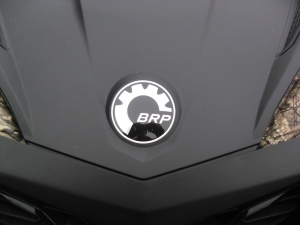 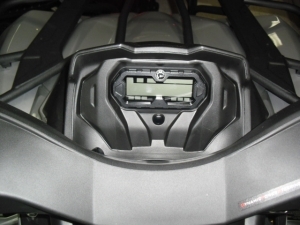 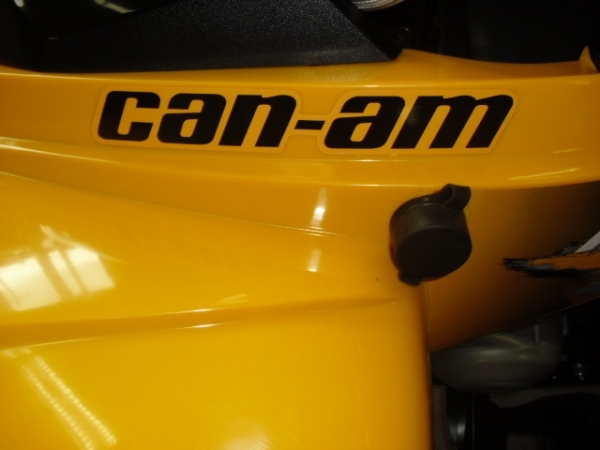 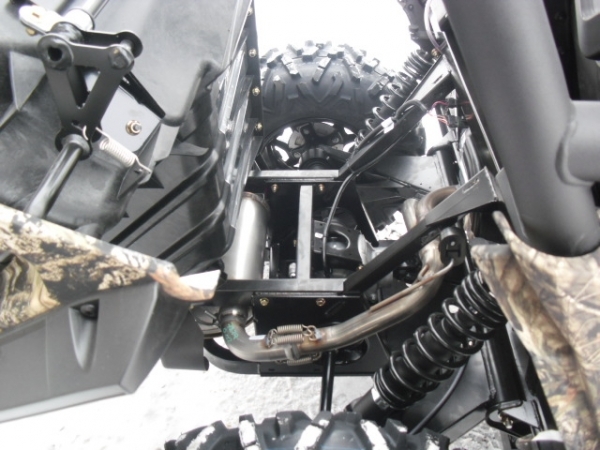 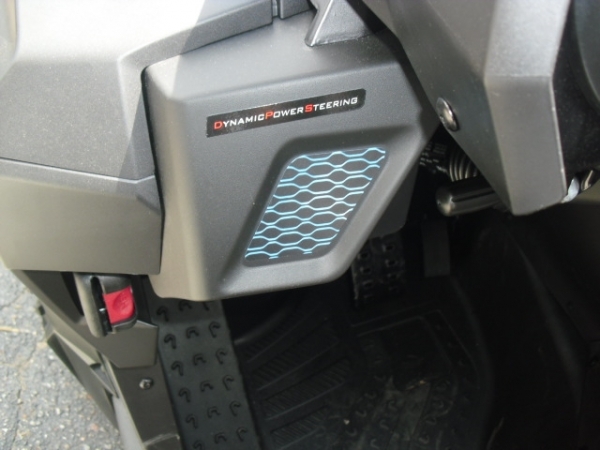 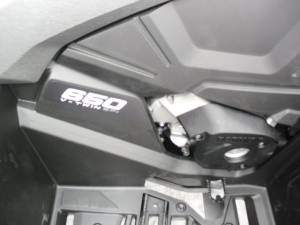 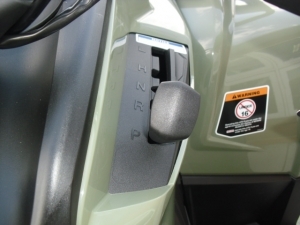 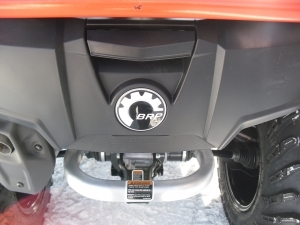 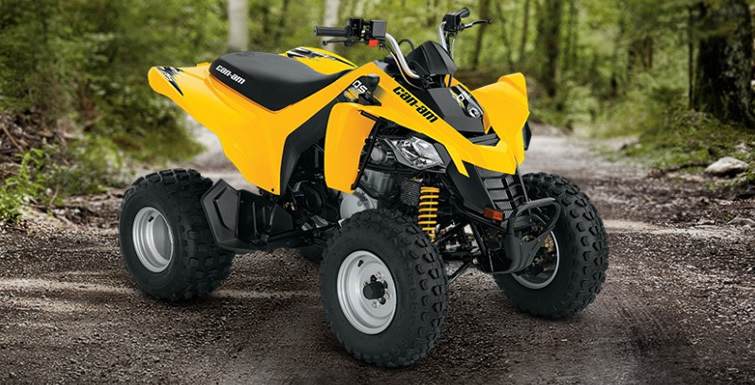 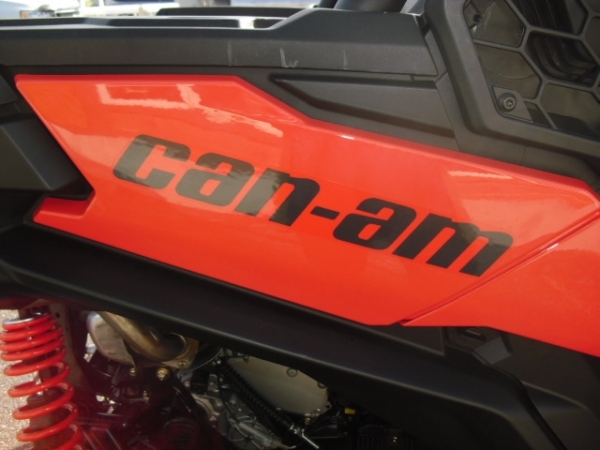 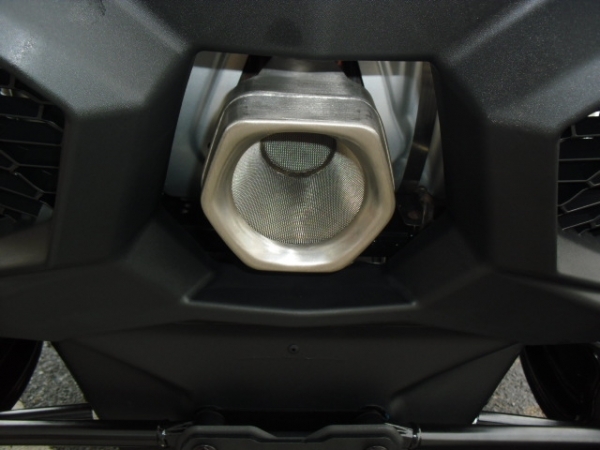 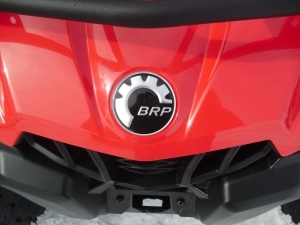 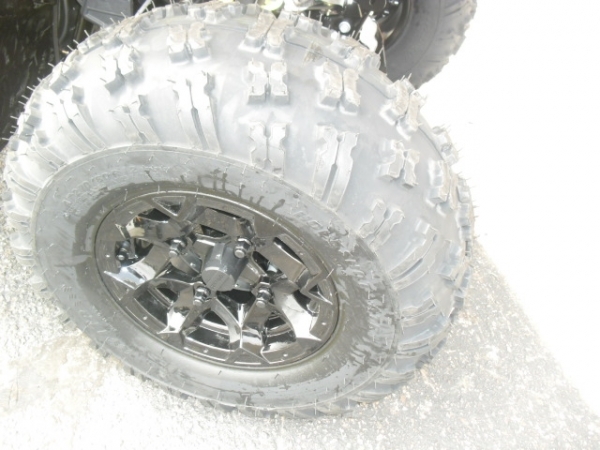 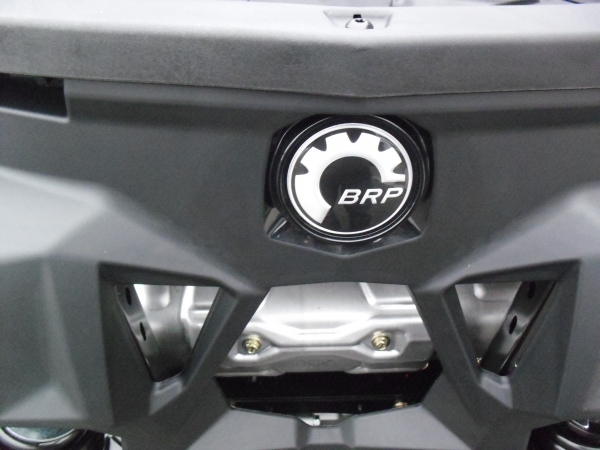 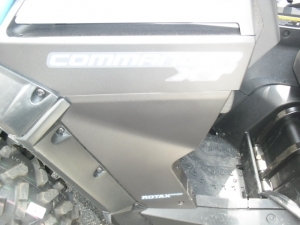 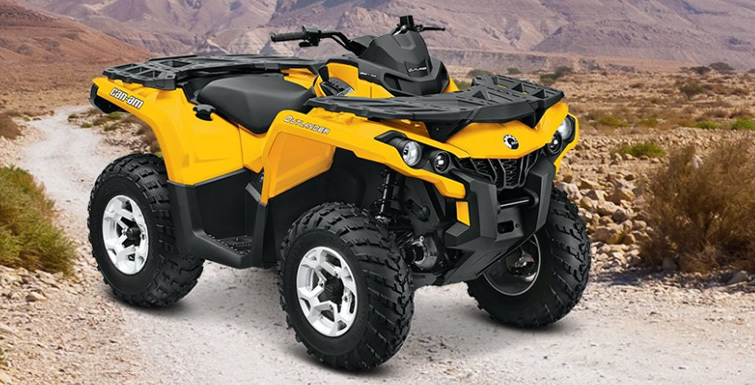 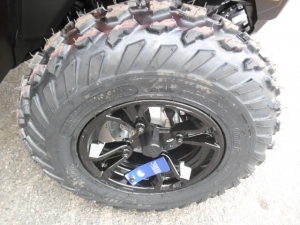 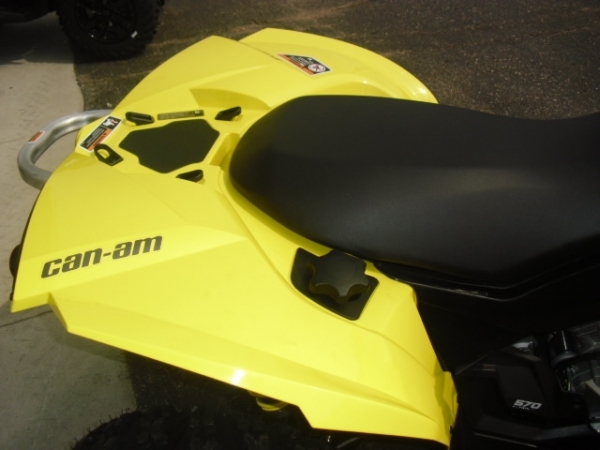 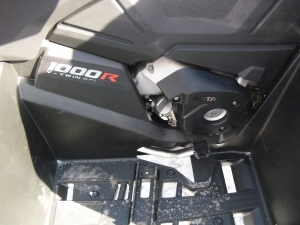 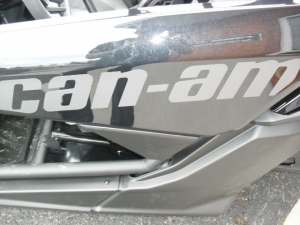 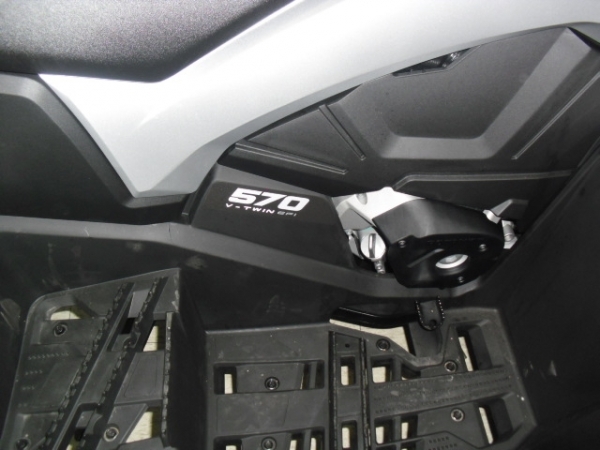 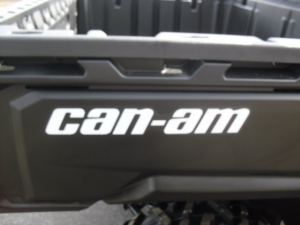 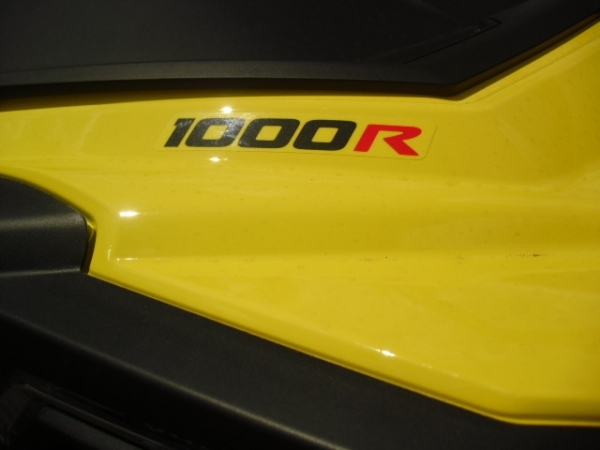 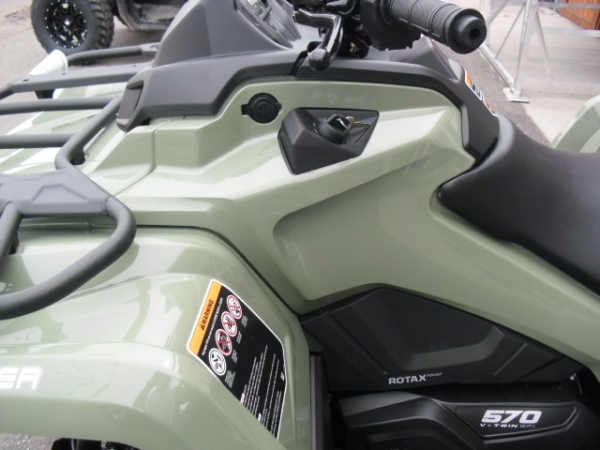 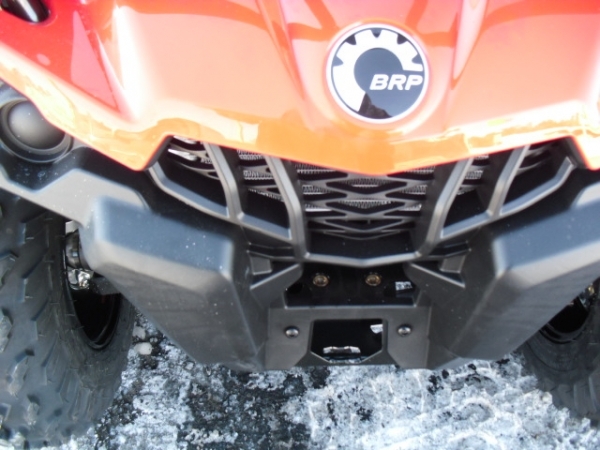 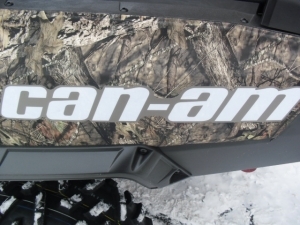 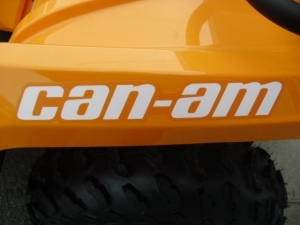 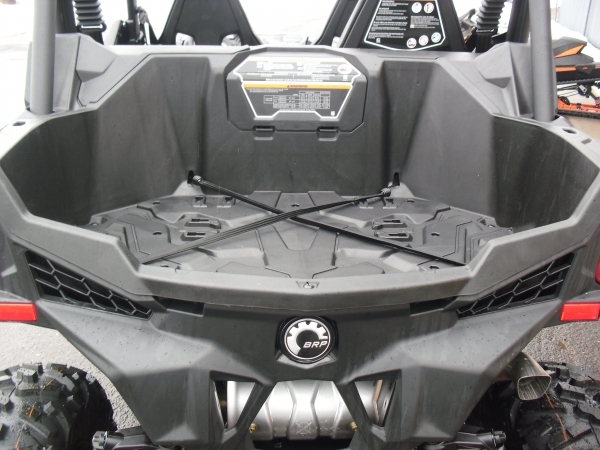 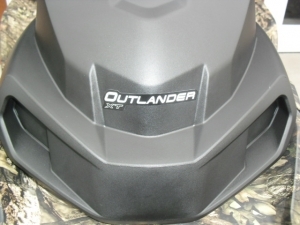 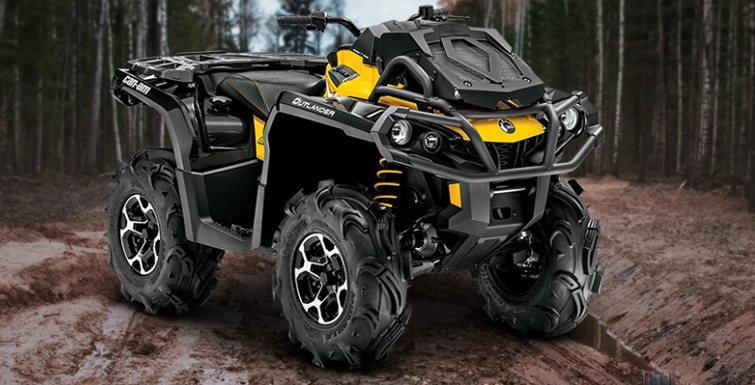 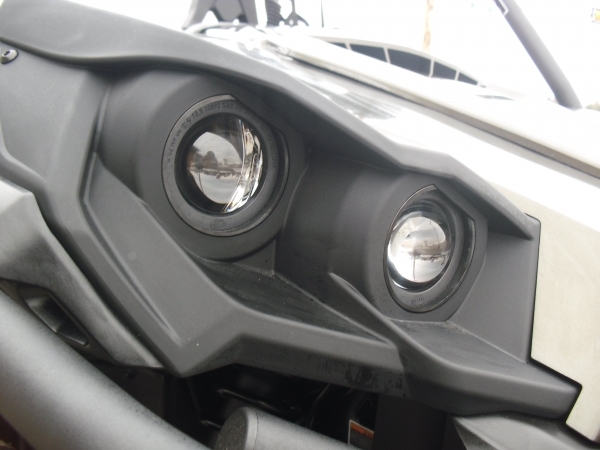 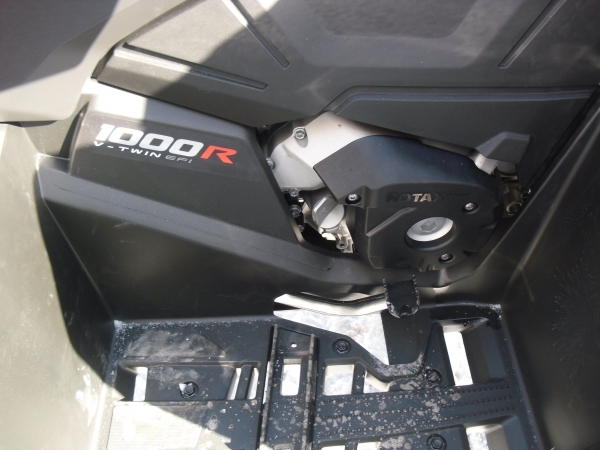 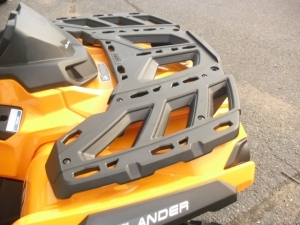 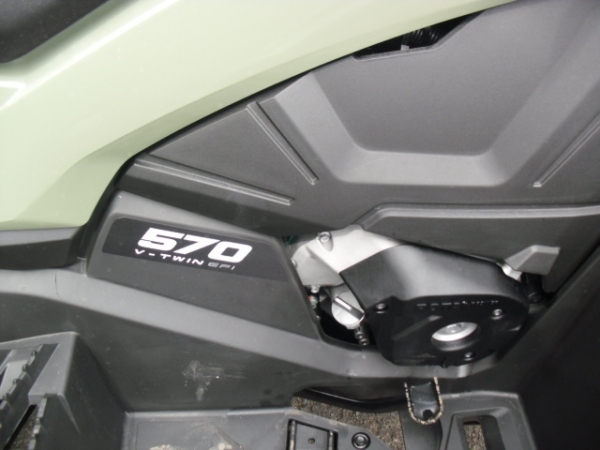 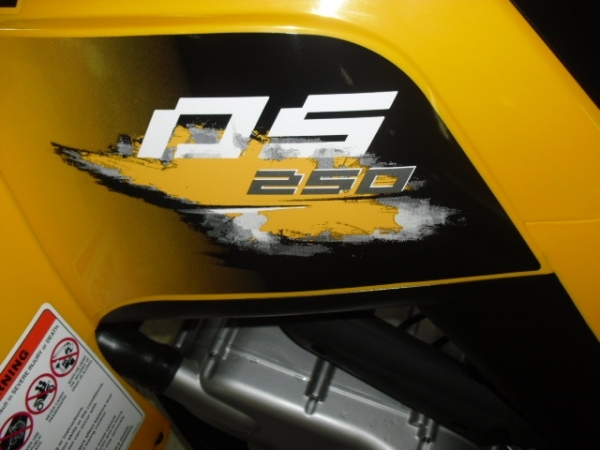 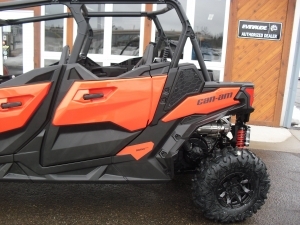 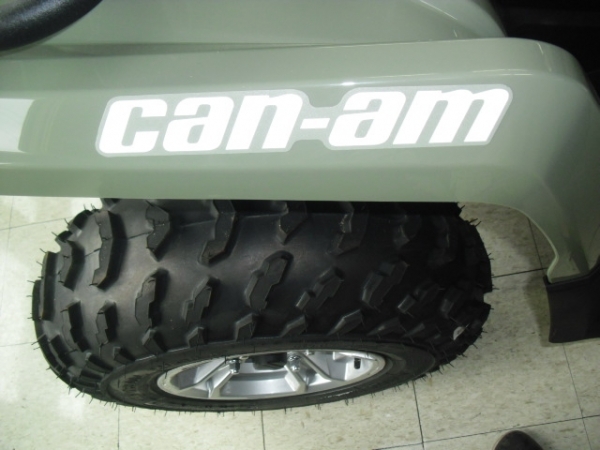 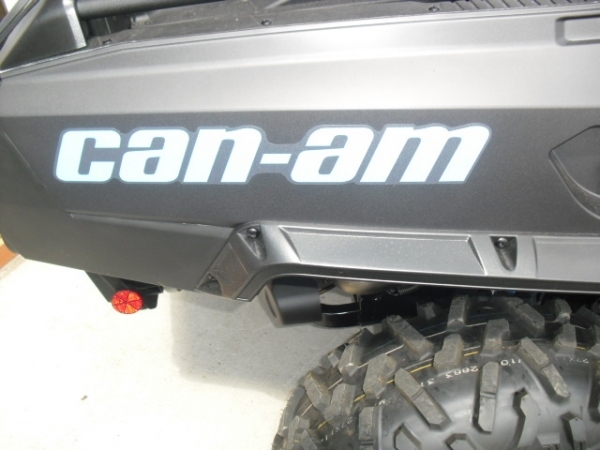 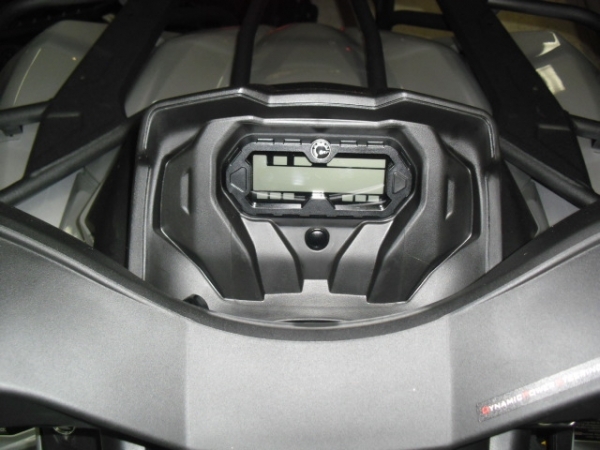 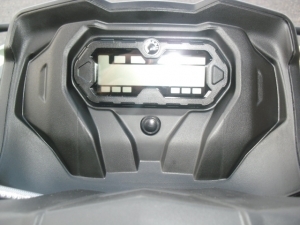 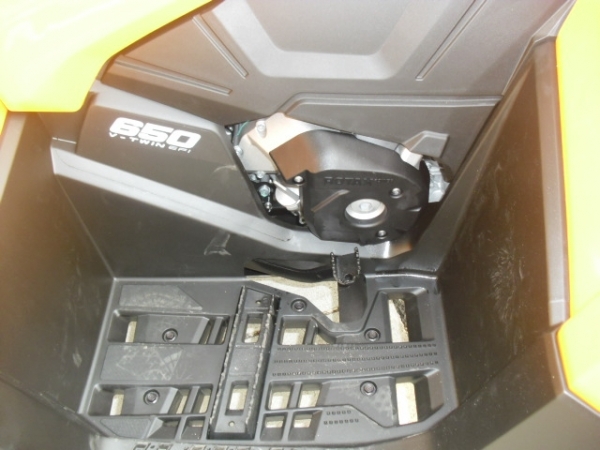 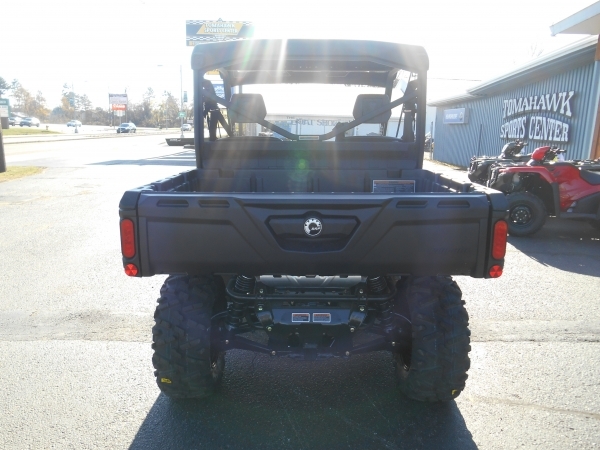 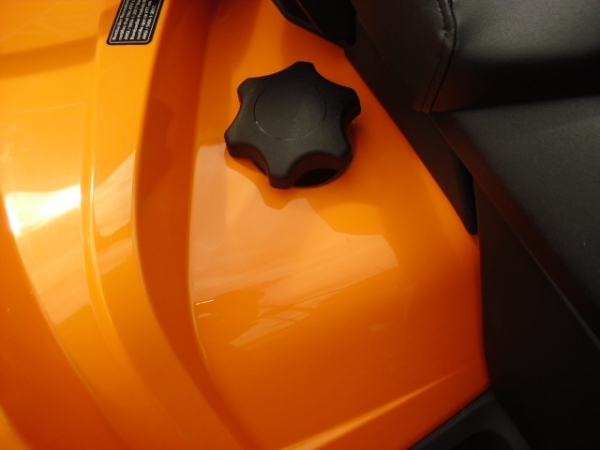 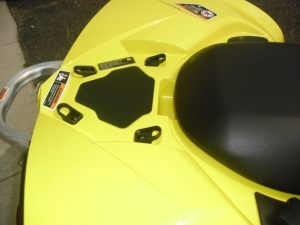 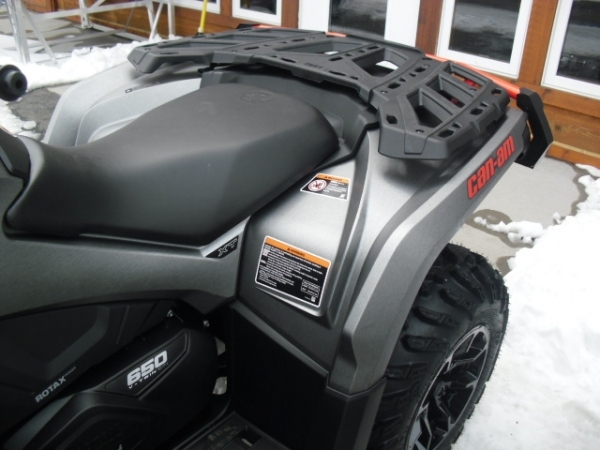 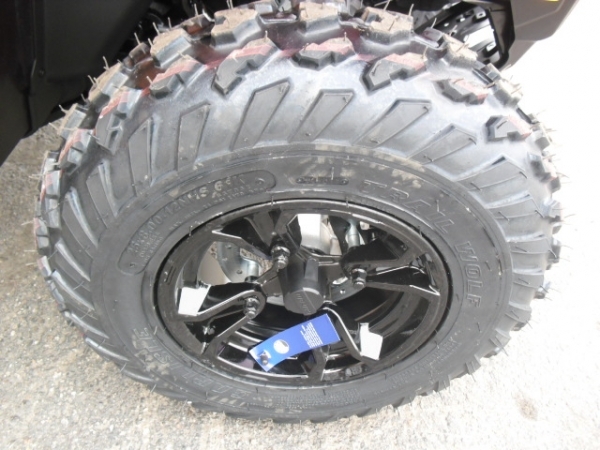 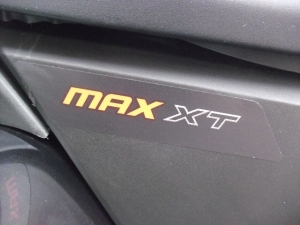 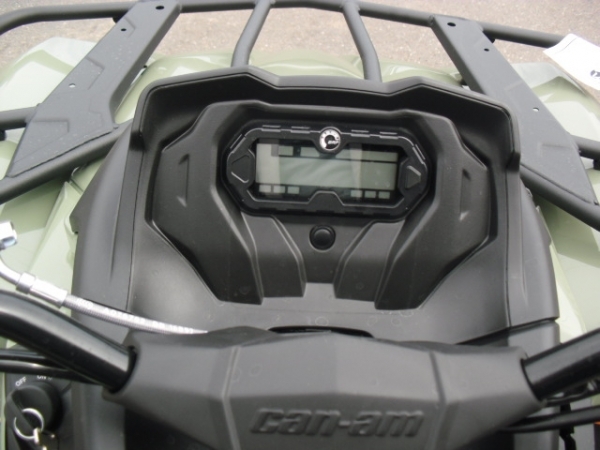 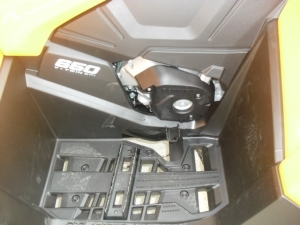 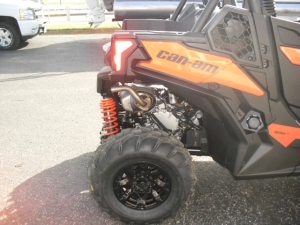 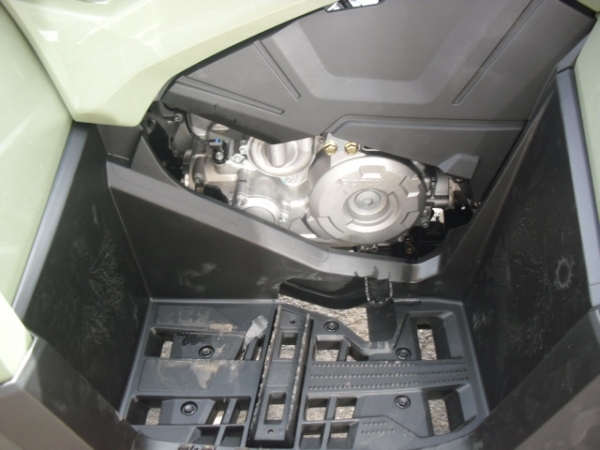 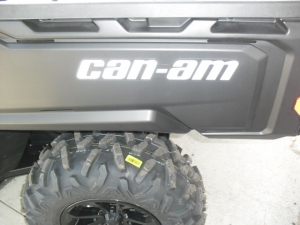 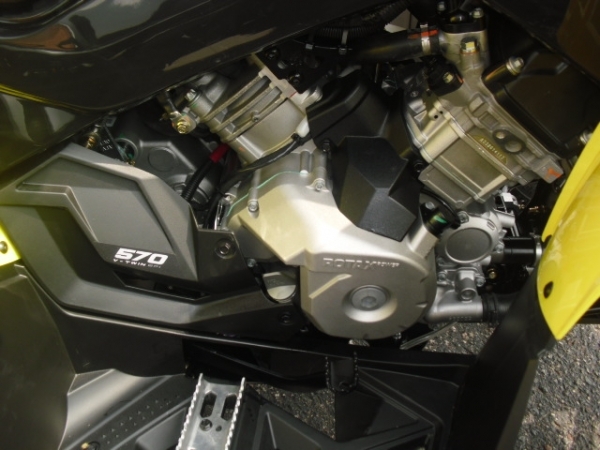 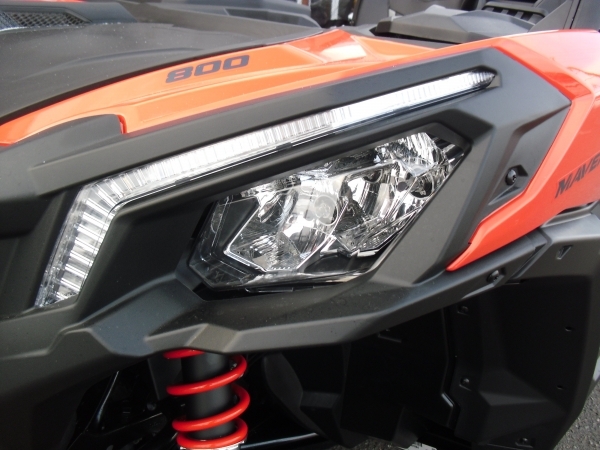 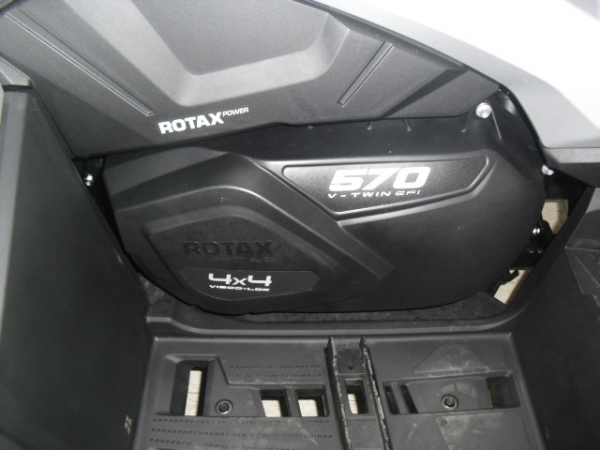 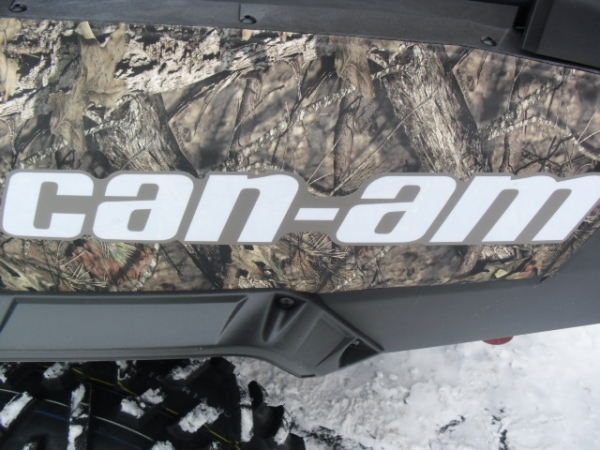 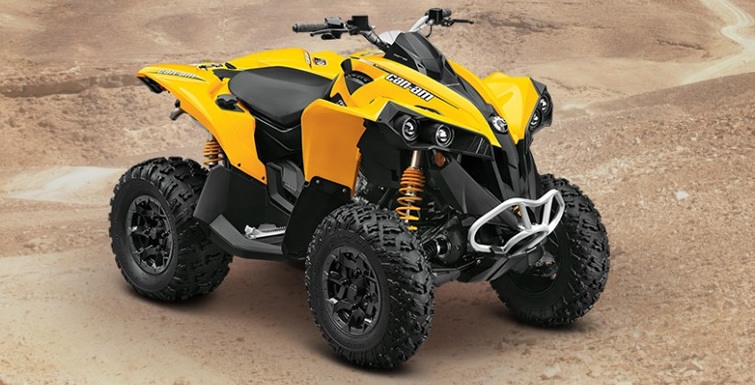 Along with Honda's TRX Sport ATV and FourTrax Utility ATV models, we now carry the new BRP Can-Am Roadster. 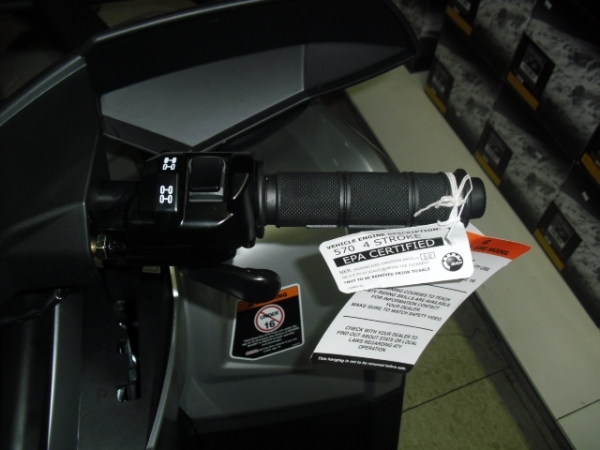 We encourage you to call about product information. 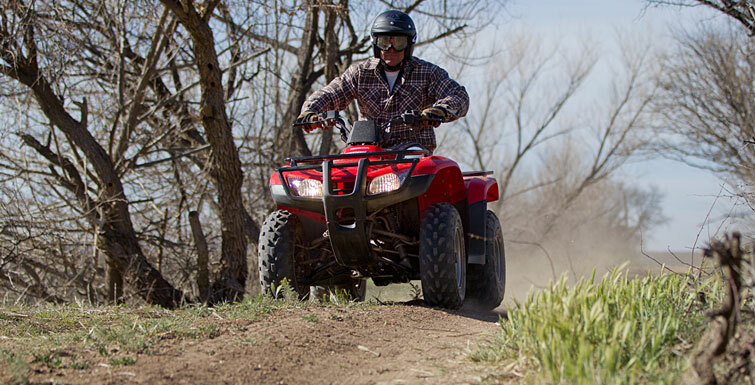 The beautiful and challenging fields and trails of the Northwood's await you! 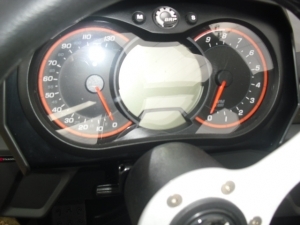 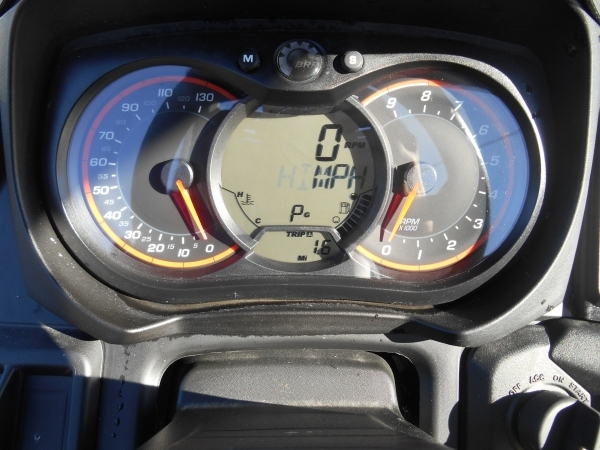 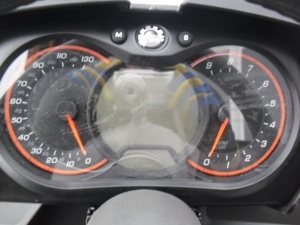 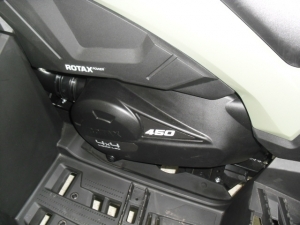 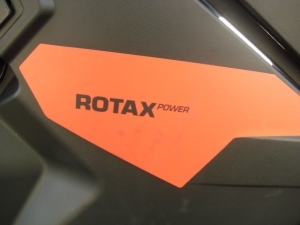 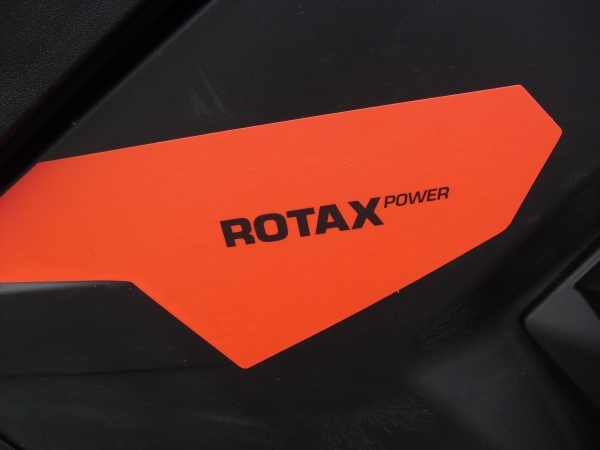 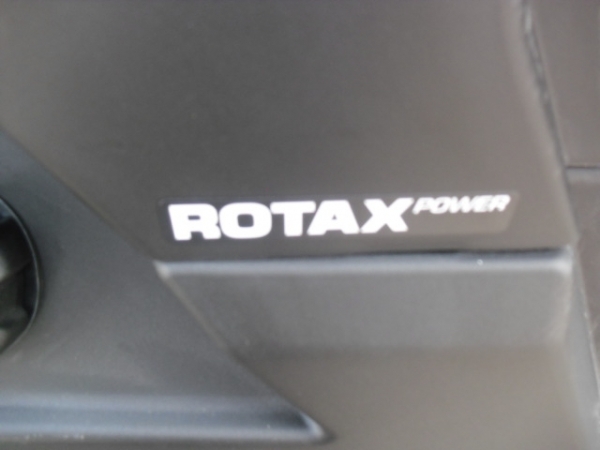 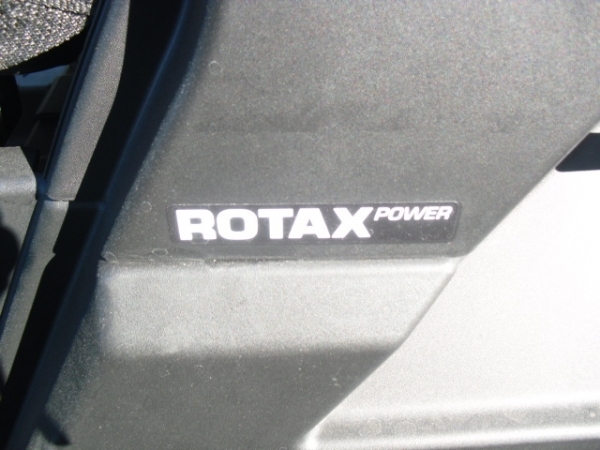 ROTAX SINGLE CYLINDER 450CC / 38 H.P. STEEL RACKS WITH LINQ BRACKETS AVAILABLE. 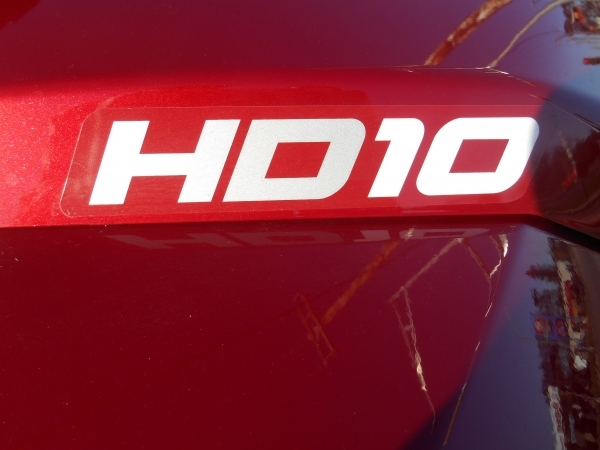 172 H.P. 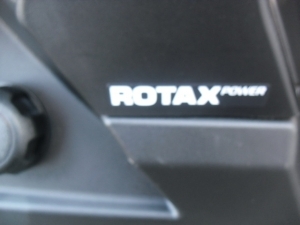 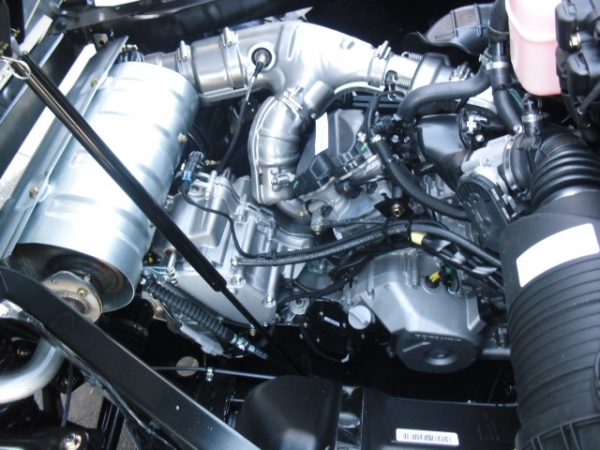 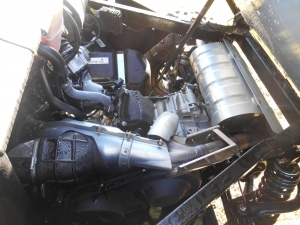 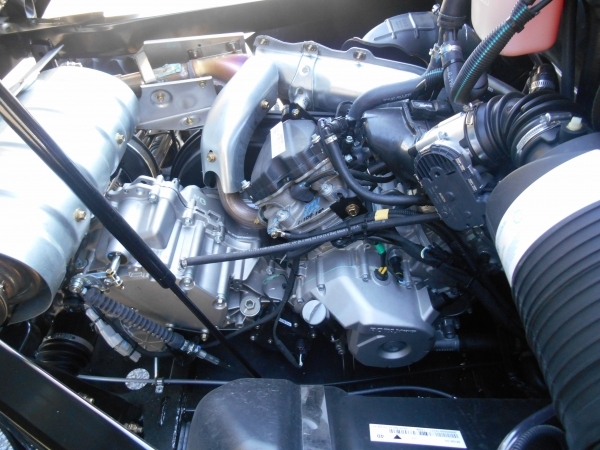 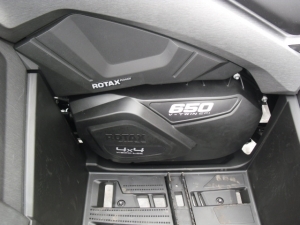 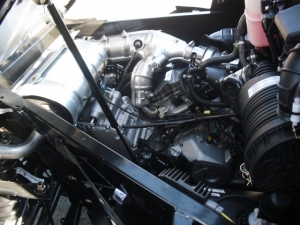 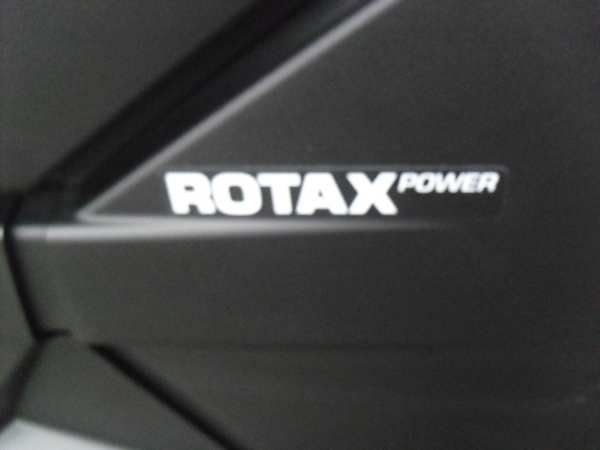 ROTAX 900cc ENGINE WOW!!!!!! 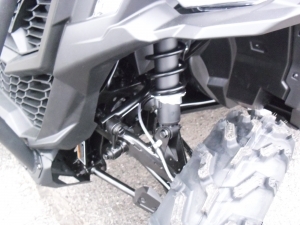 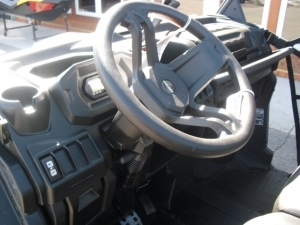 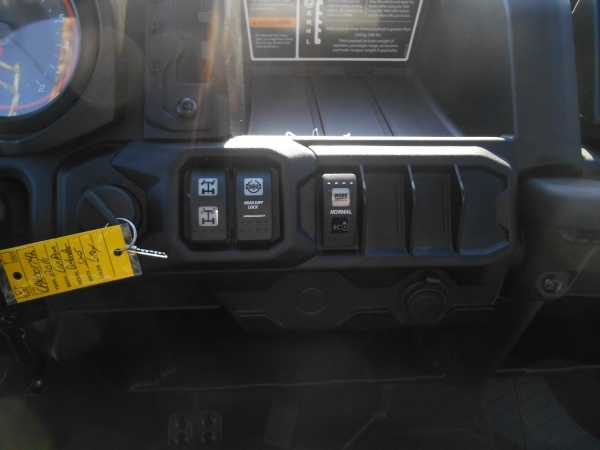 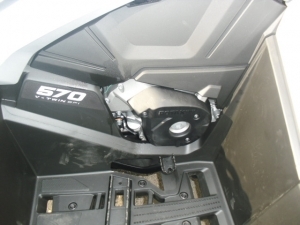 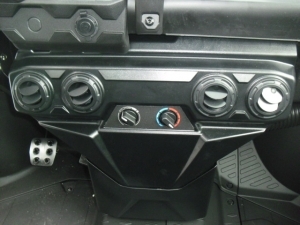 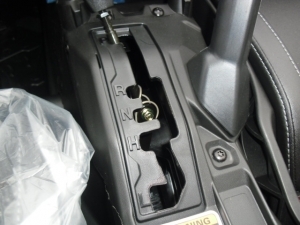 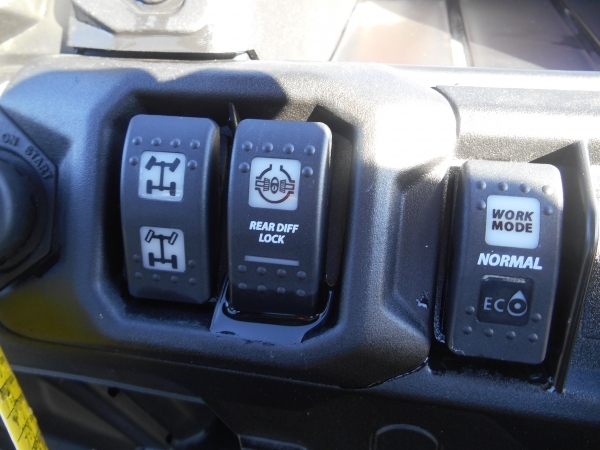 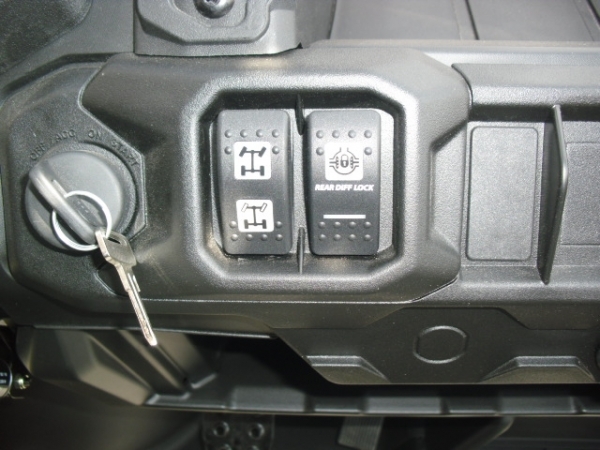 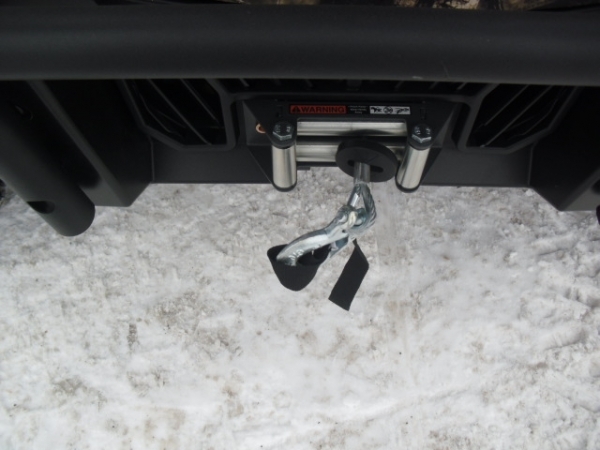 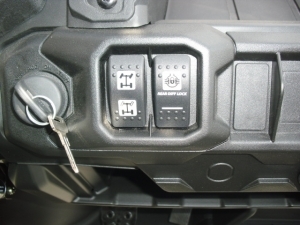 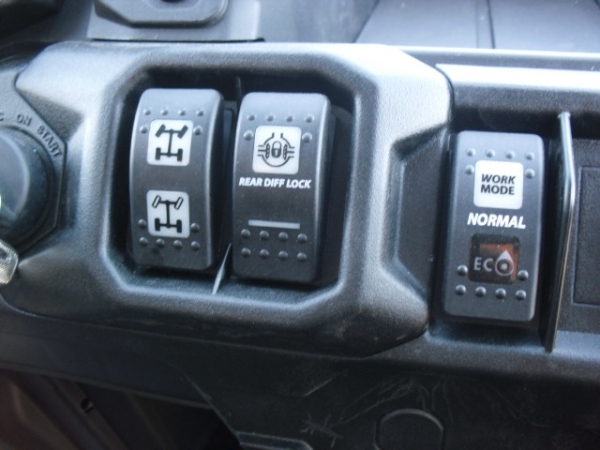 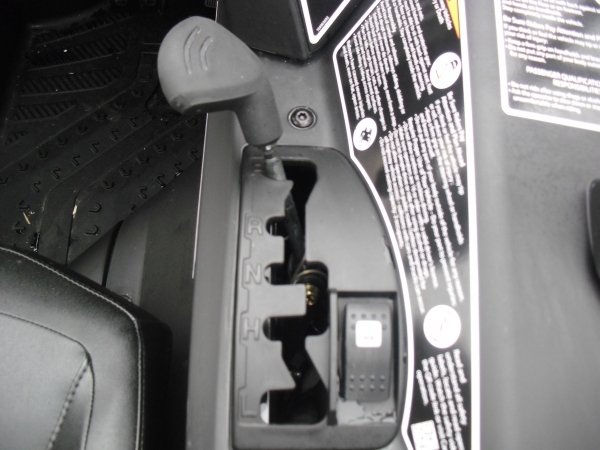 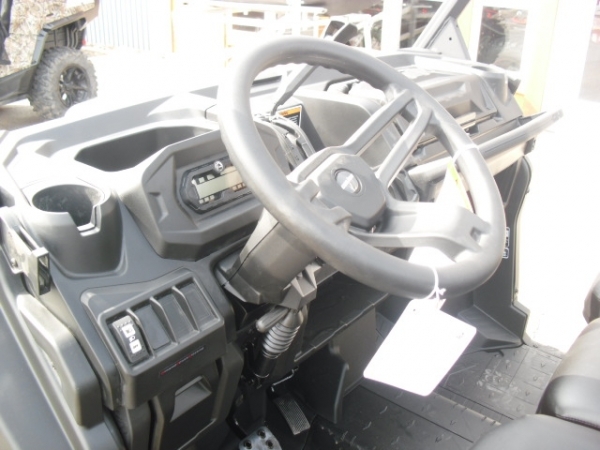 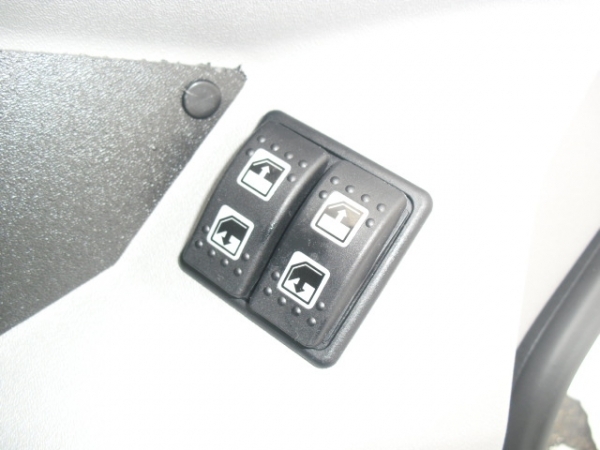 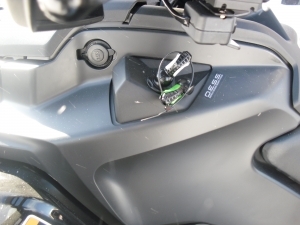 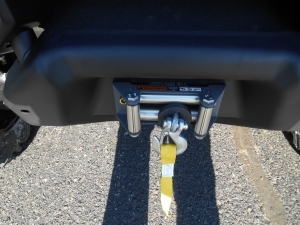 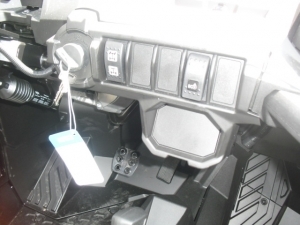 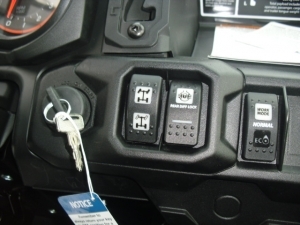 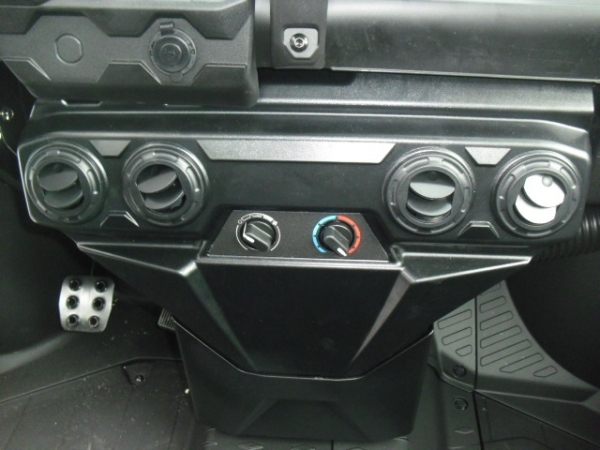 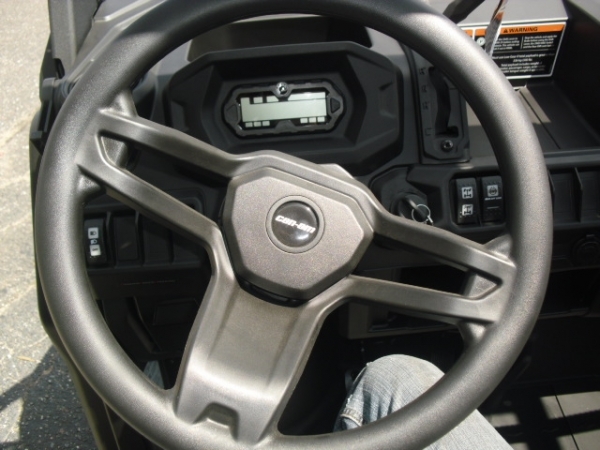 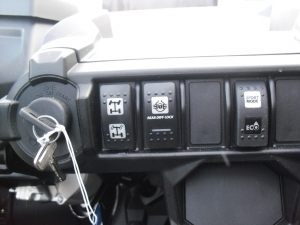 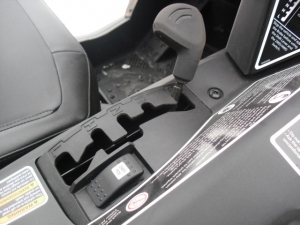 NEW FOR 2019 VISCO LOCK X AUTO LOCKING FRONT DIFFERENTIAL - COOL!!! 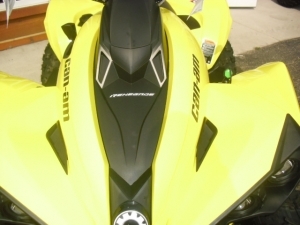 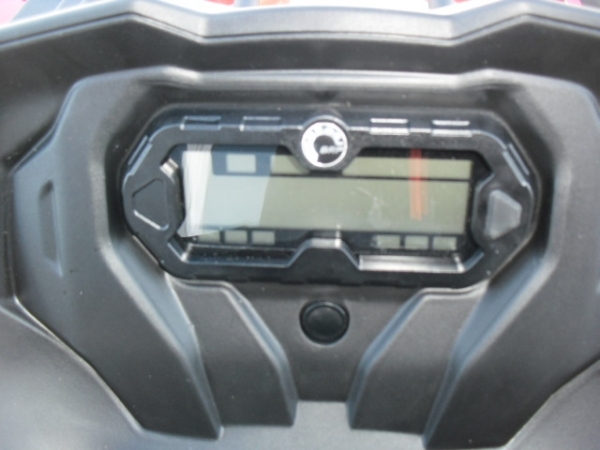 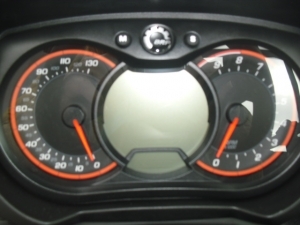 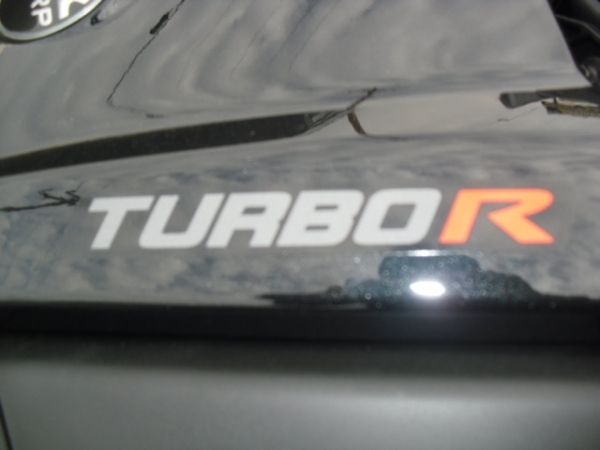 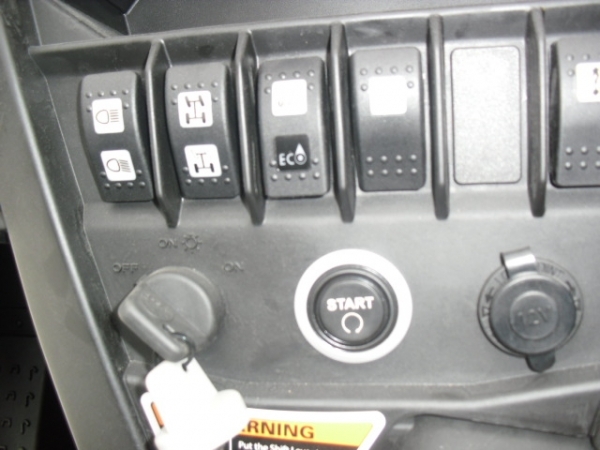 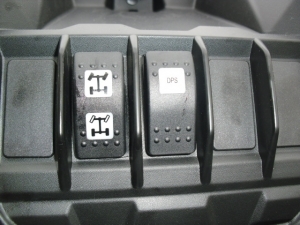 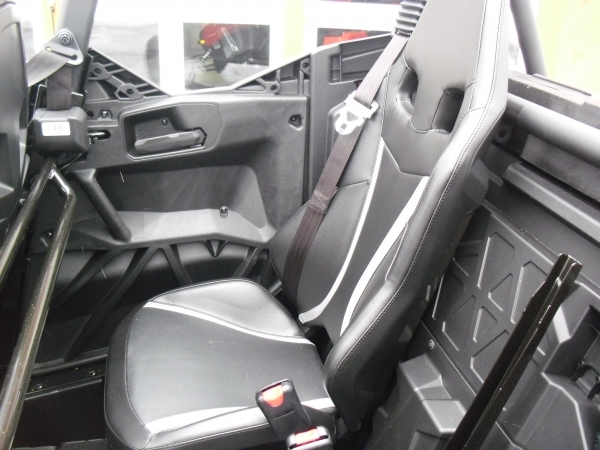 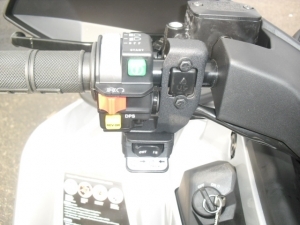 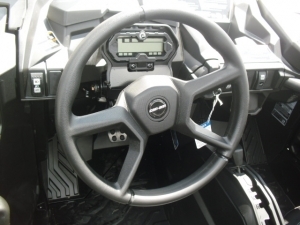 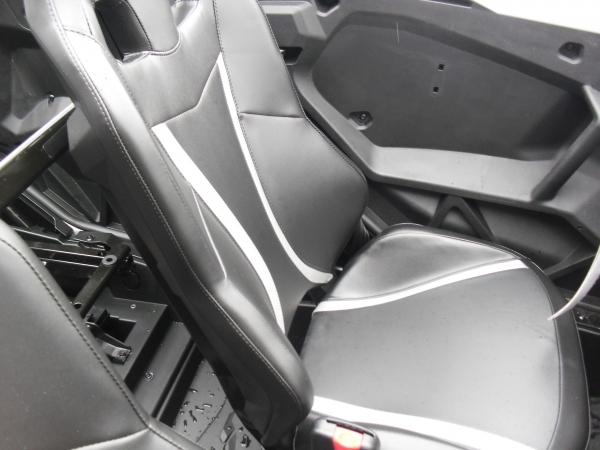 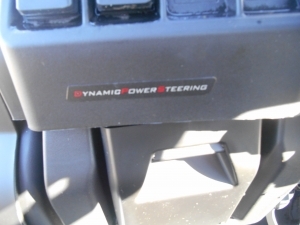 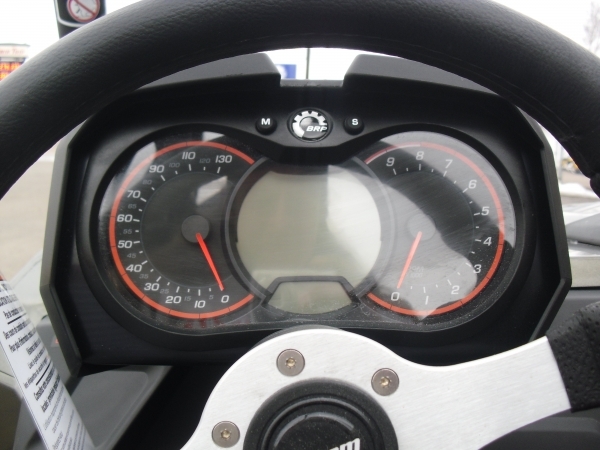 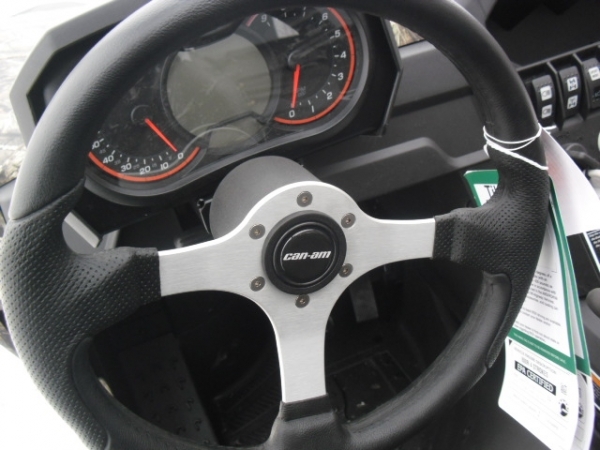 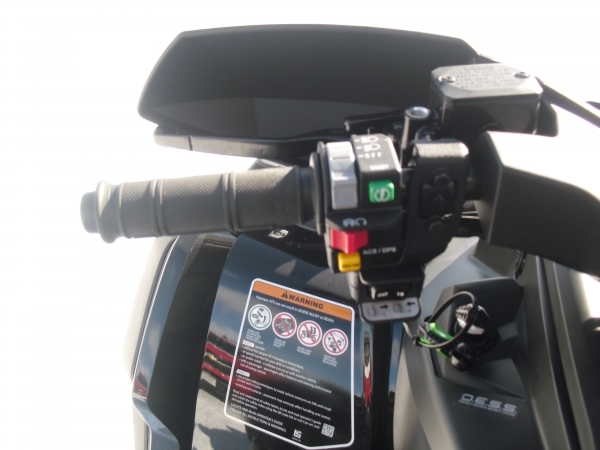 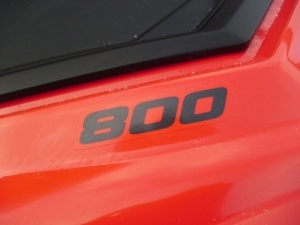 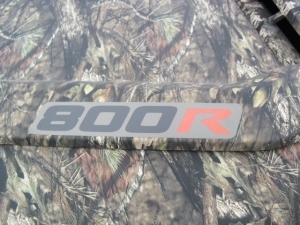 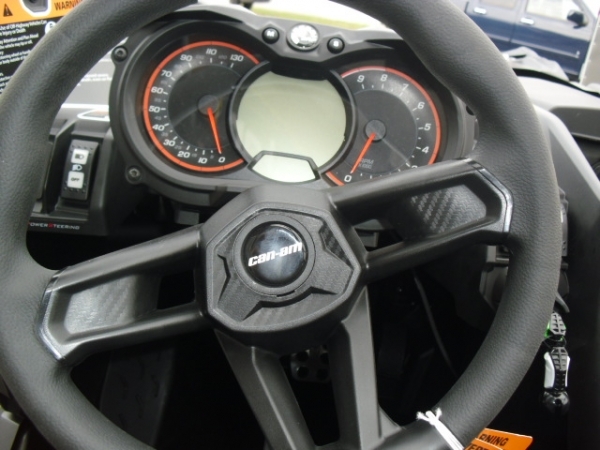 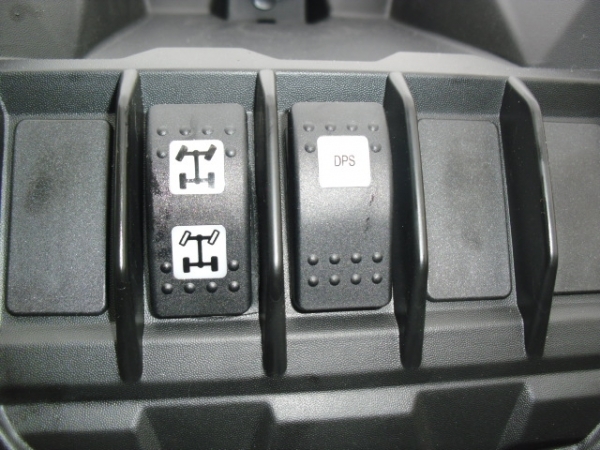 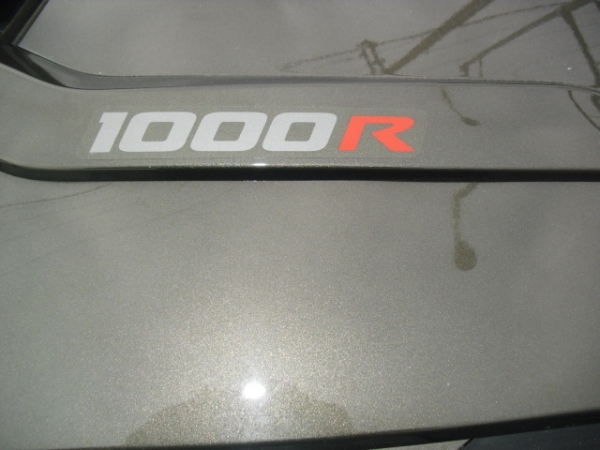 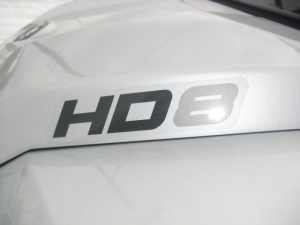 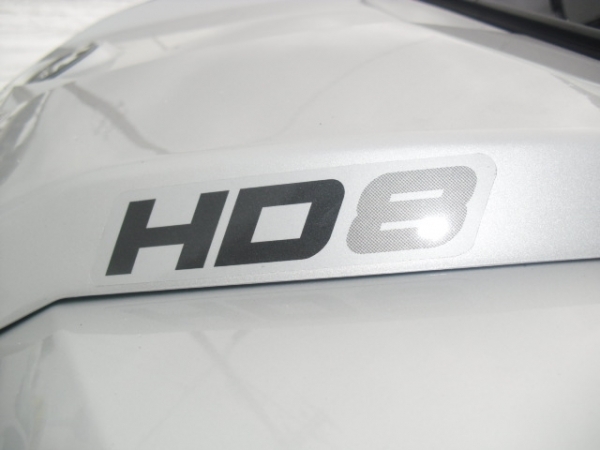 PLUS MUCH MORE / THESE ARE A VERY IMPRESSIVE MACHINE!!!!!! 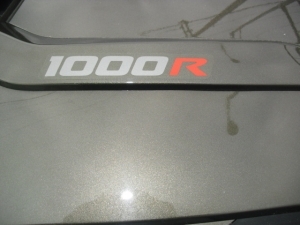 PLUS MUCH MUCH MORE A LOT MORE!!!!!! 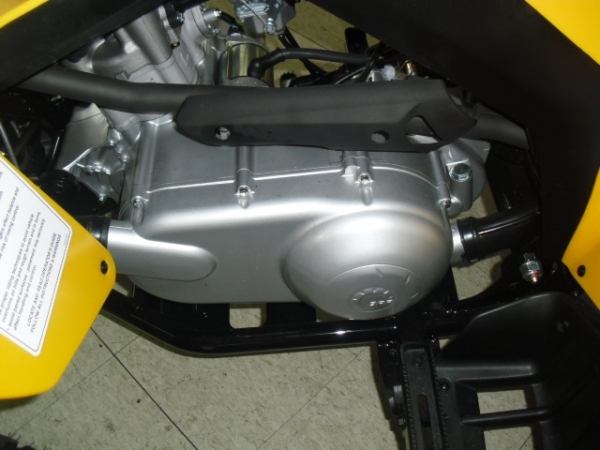 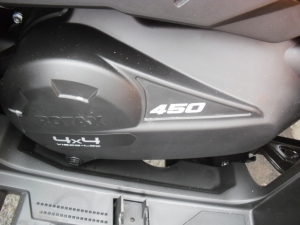 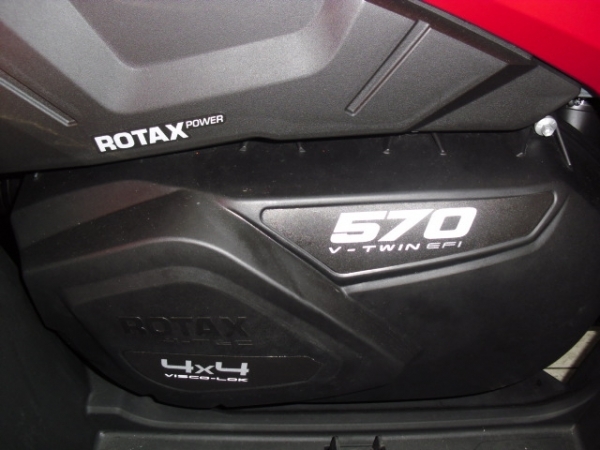 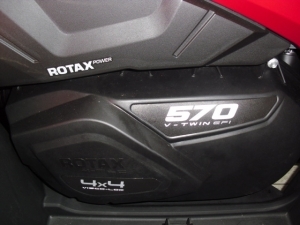 1000cc ROTAX V TWIN ENGINE NEW HIGHER H.P. 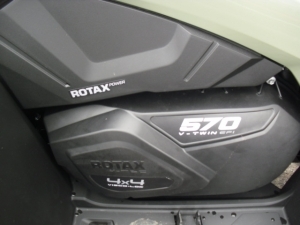 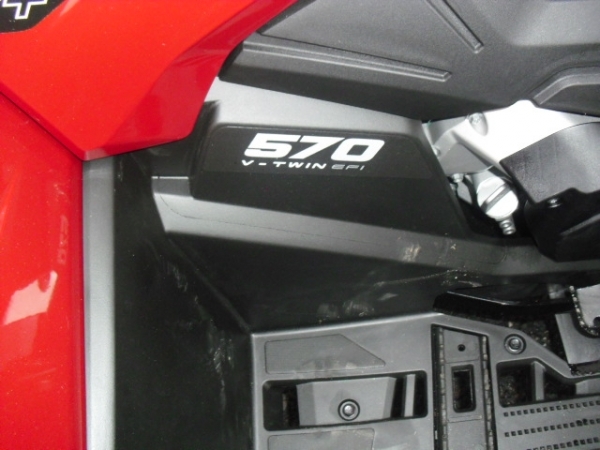 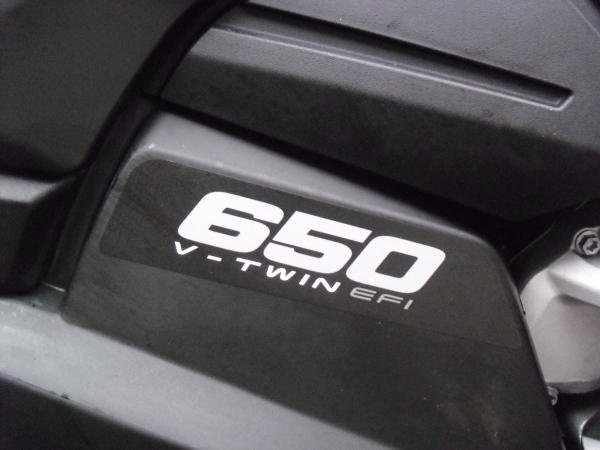 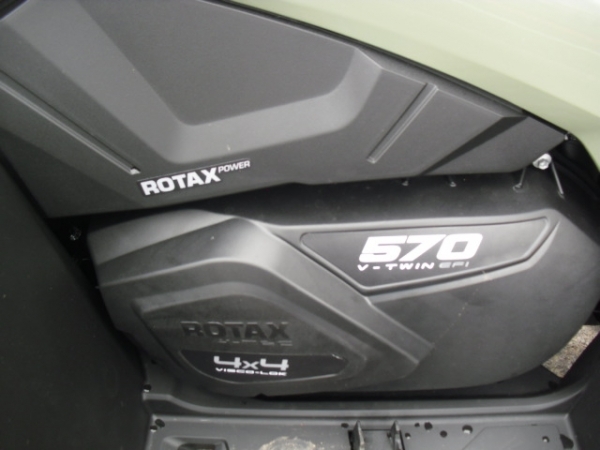 1000cc ROTAX V TWIN ENGINE 75 H.P.